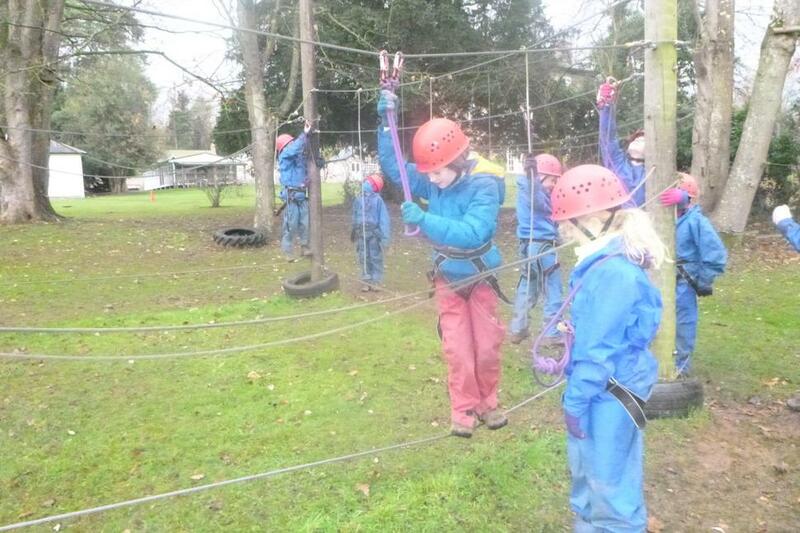 Everyone has had a really exciting and interesting day again today. 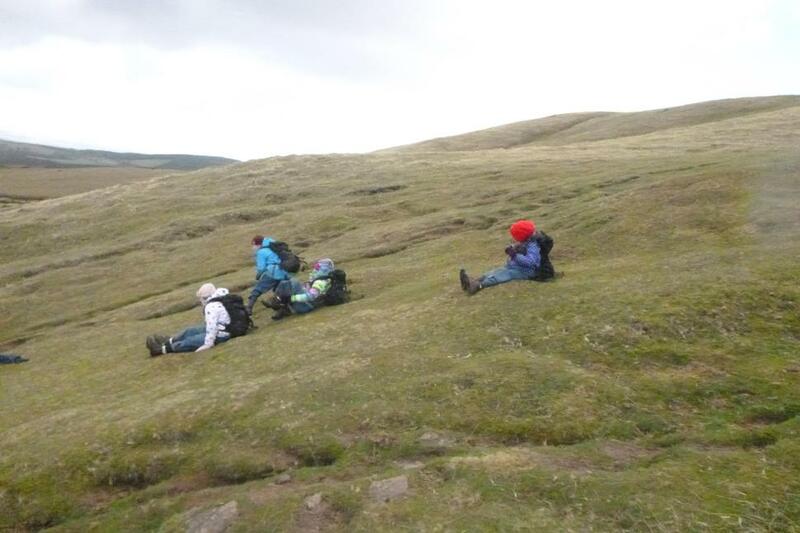 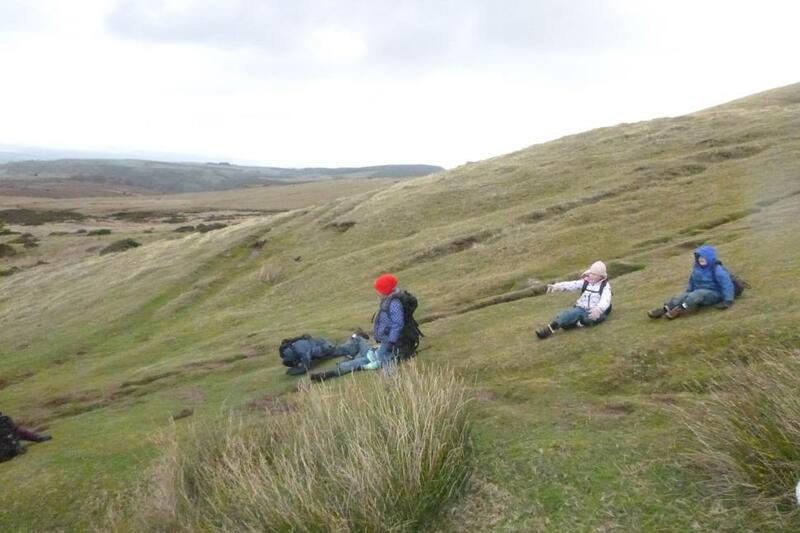 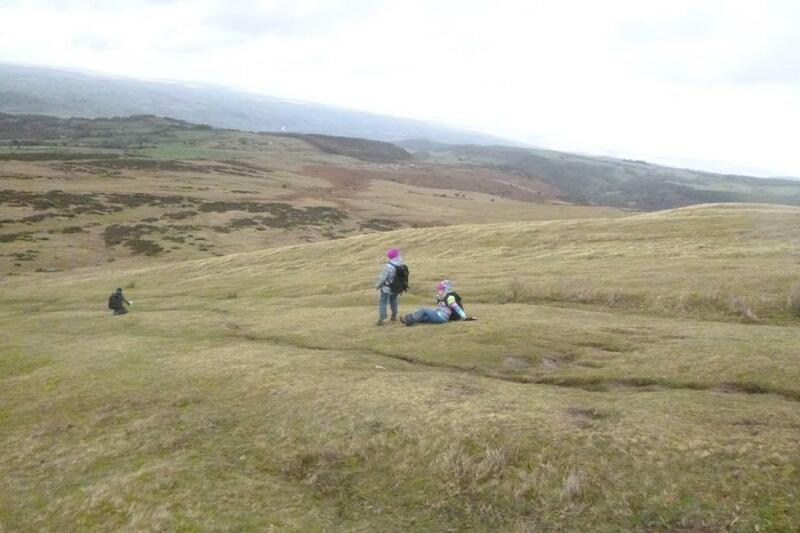 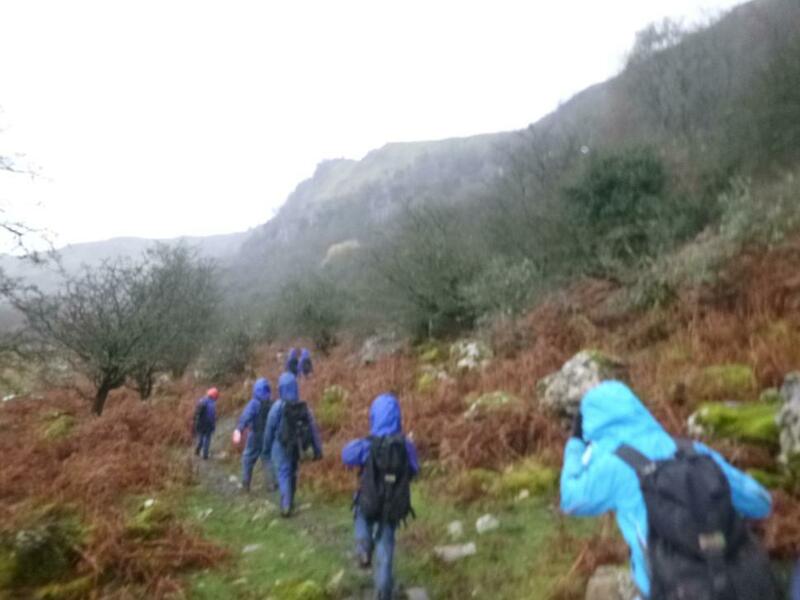 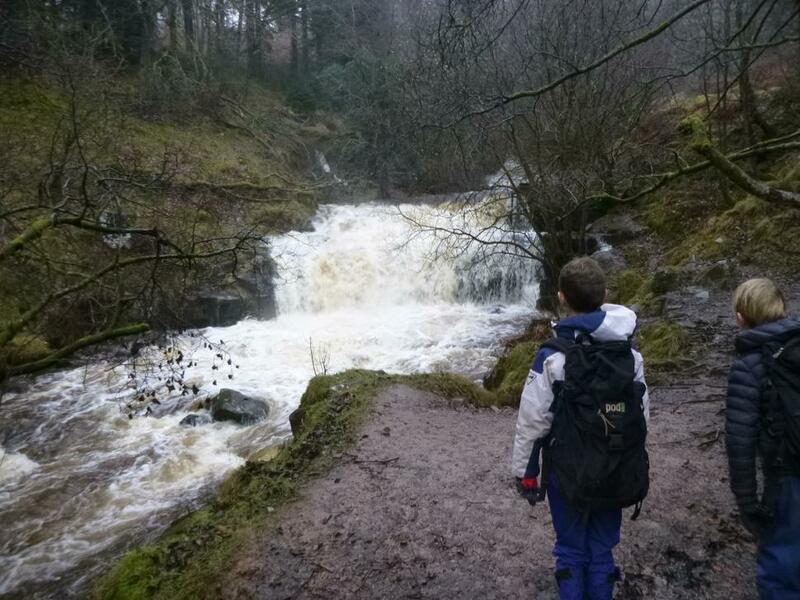 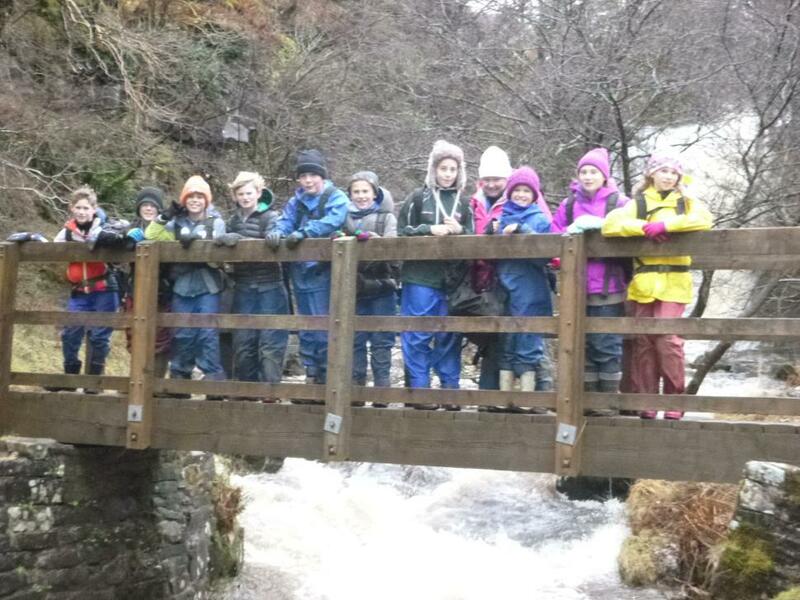 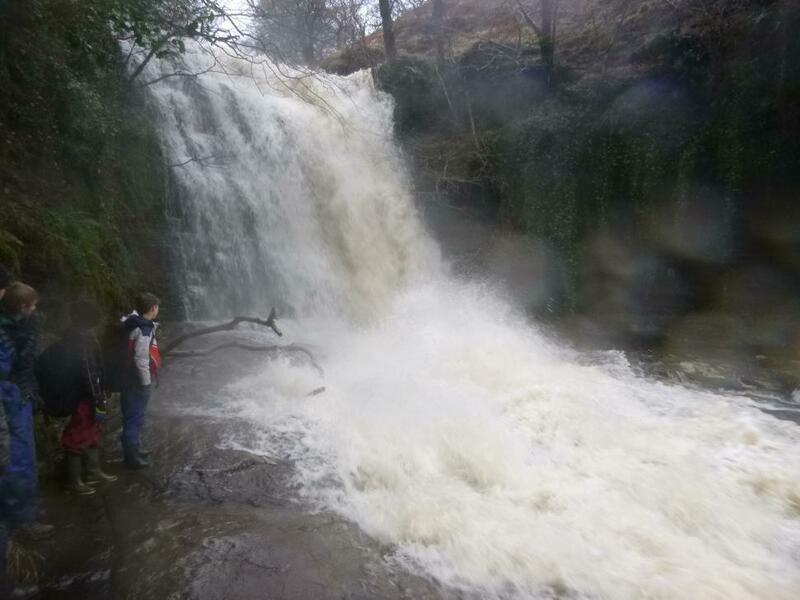 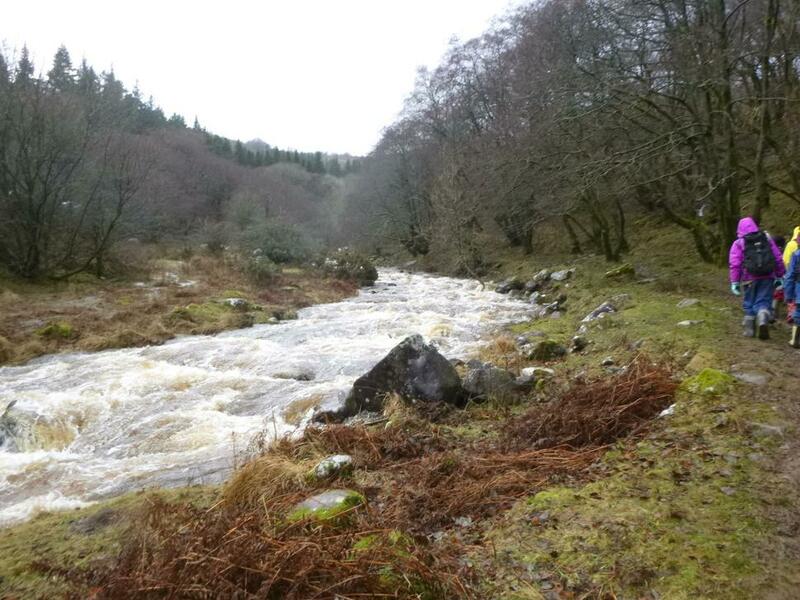 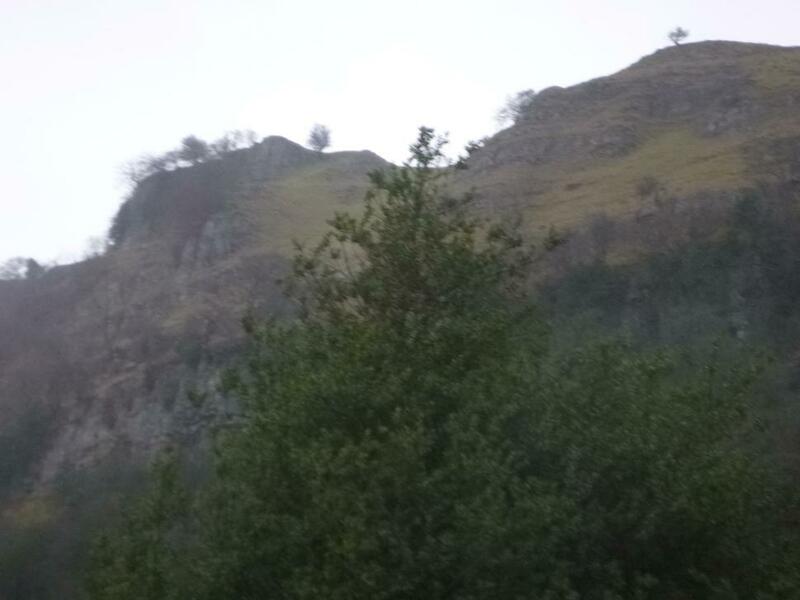 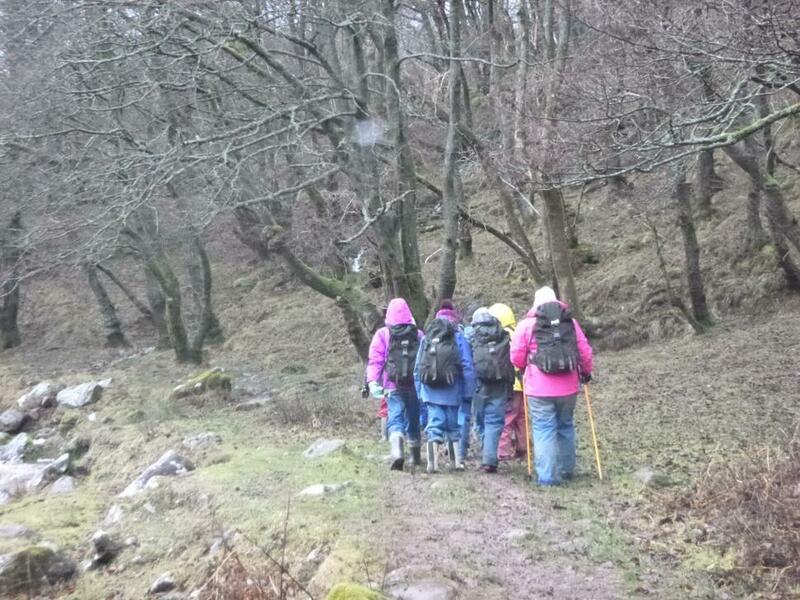 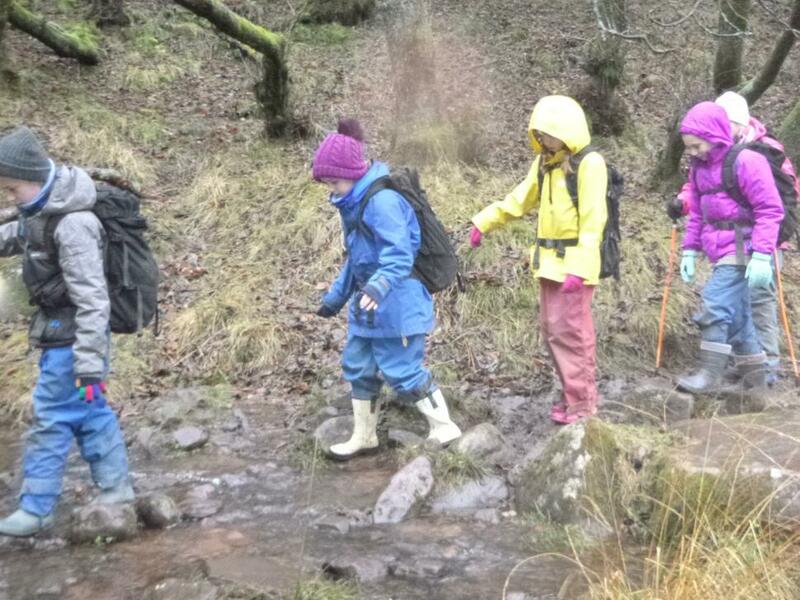 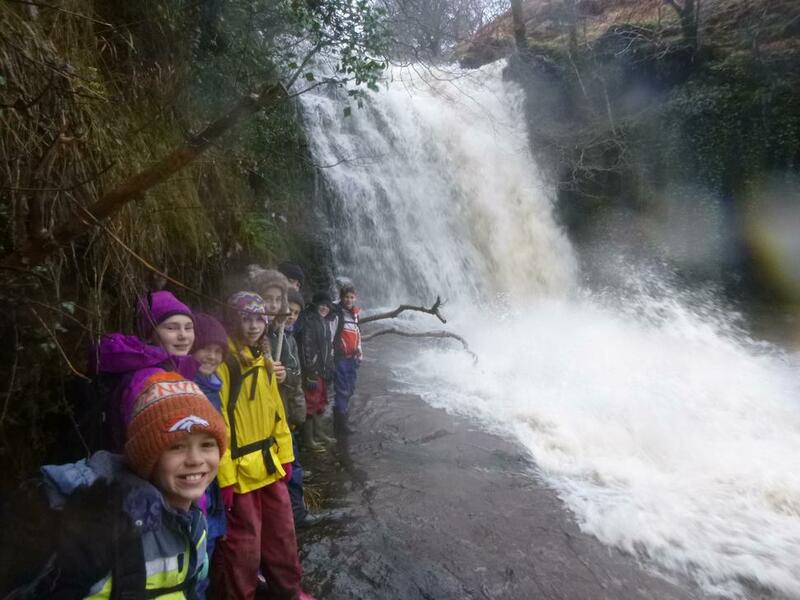 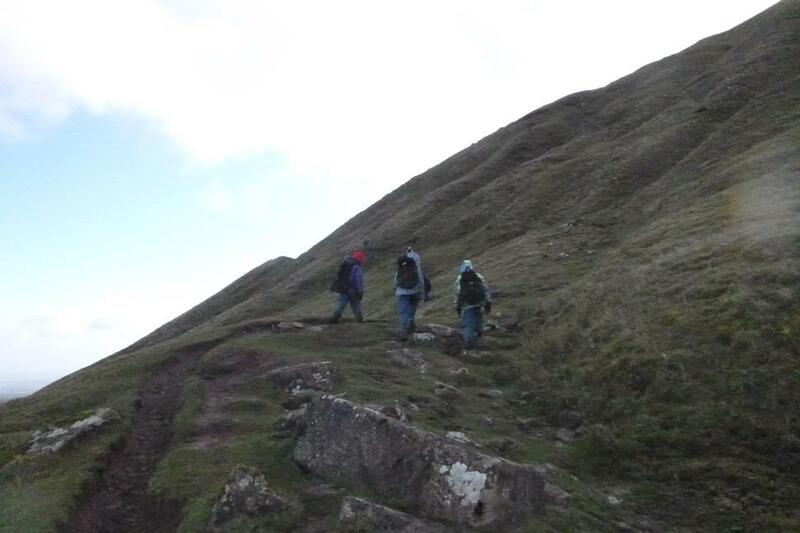 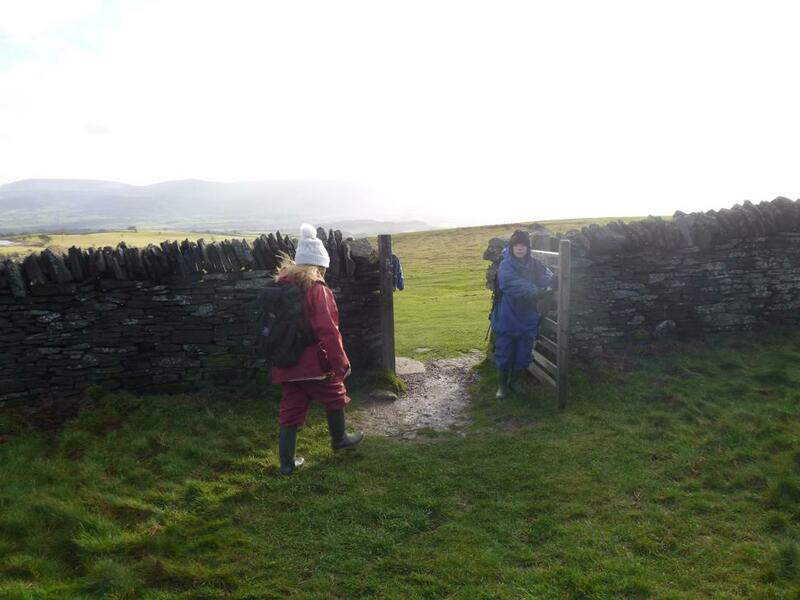 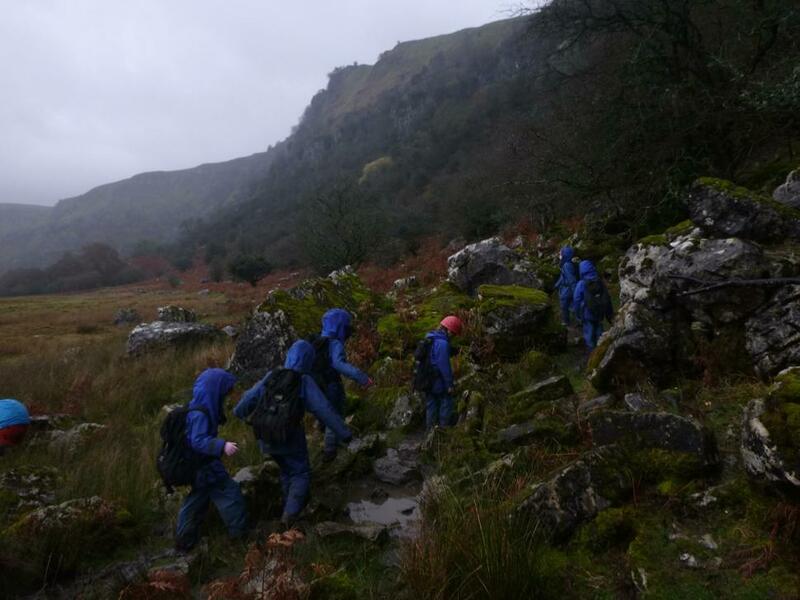 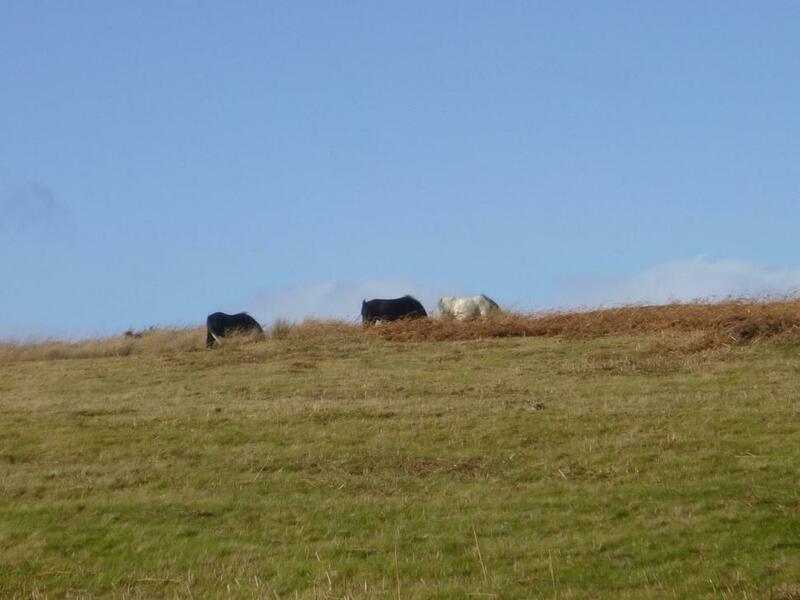 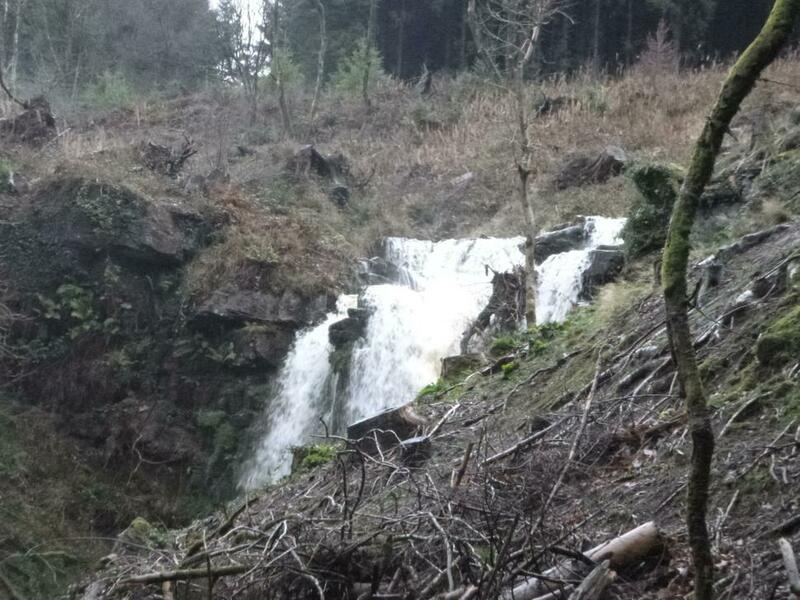 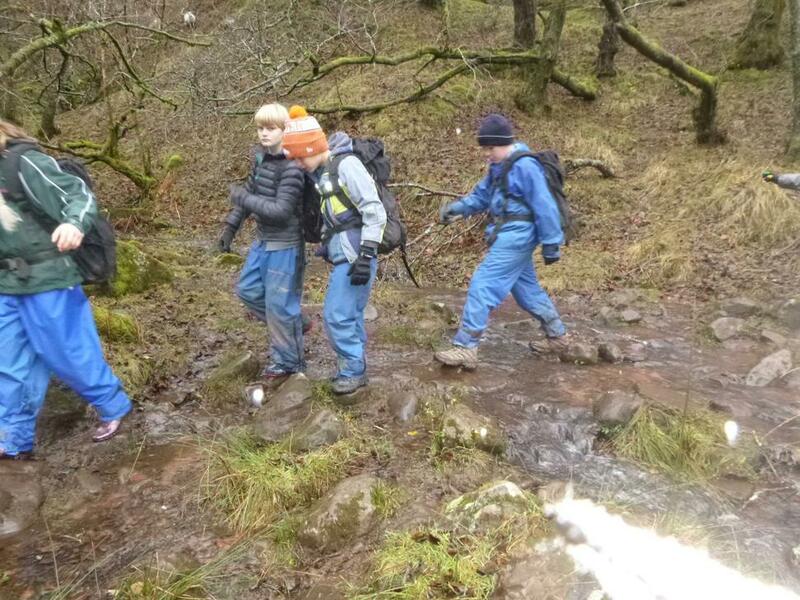 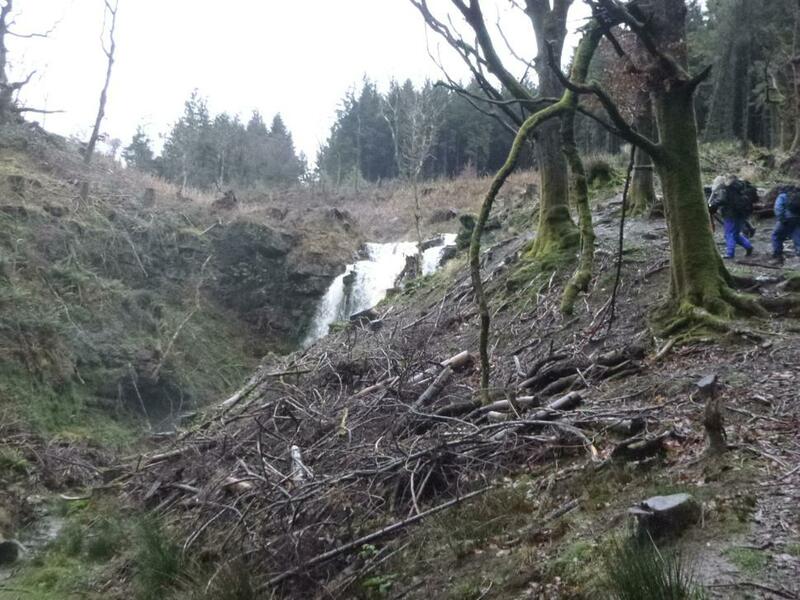 Due to the weather conditions, the hill walking group had to stay quite low and so went to an area that contained natural waterfalls and amazing beauty. 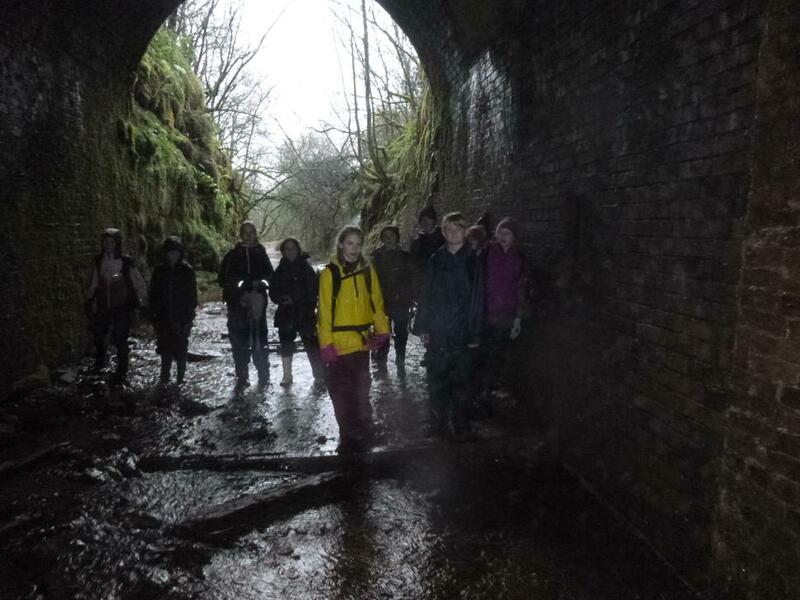 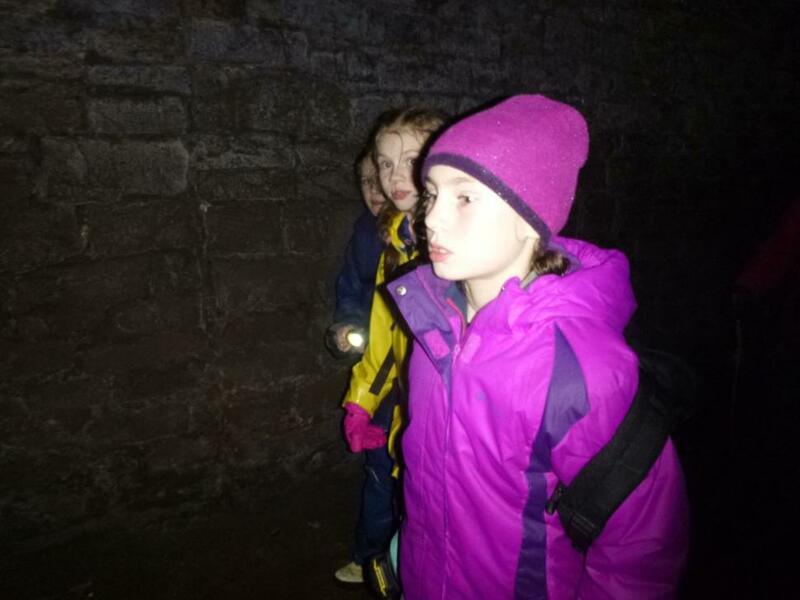 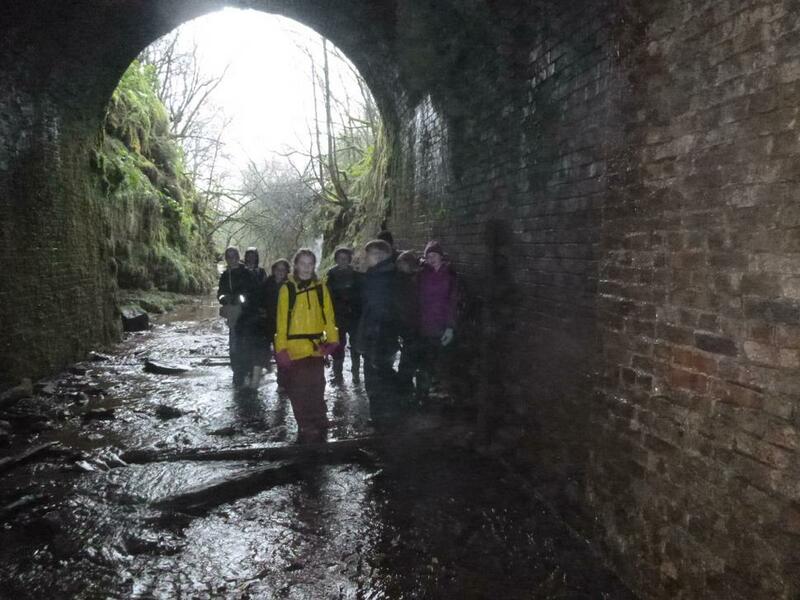 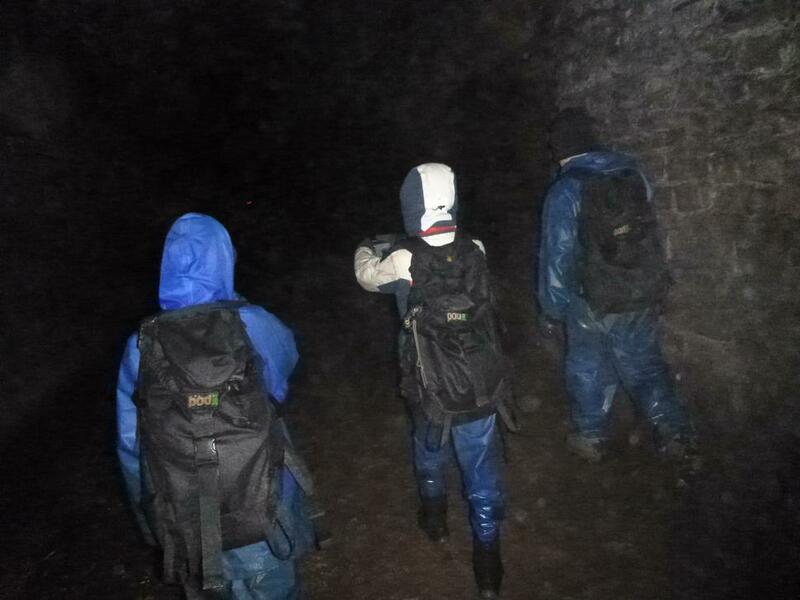 They also walked through an abandoned tunnel in the dark which was, for many, the highlight of their day. 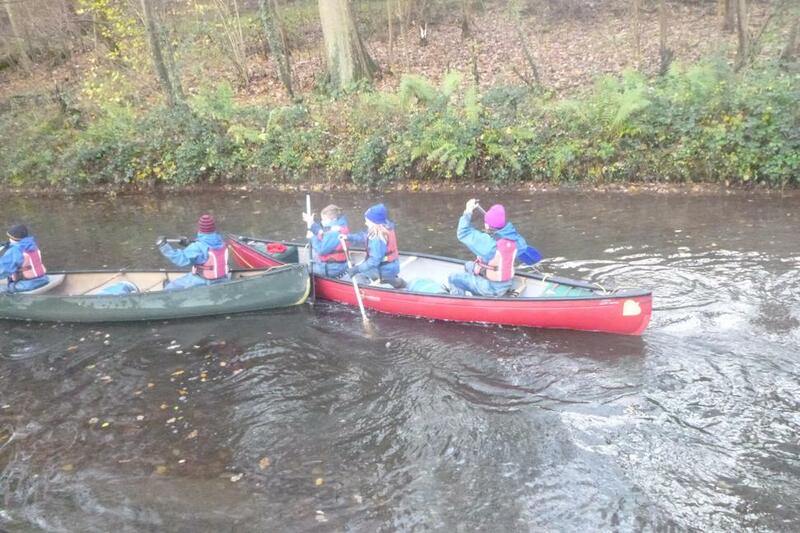 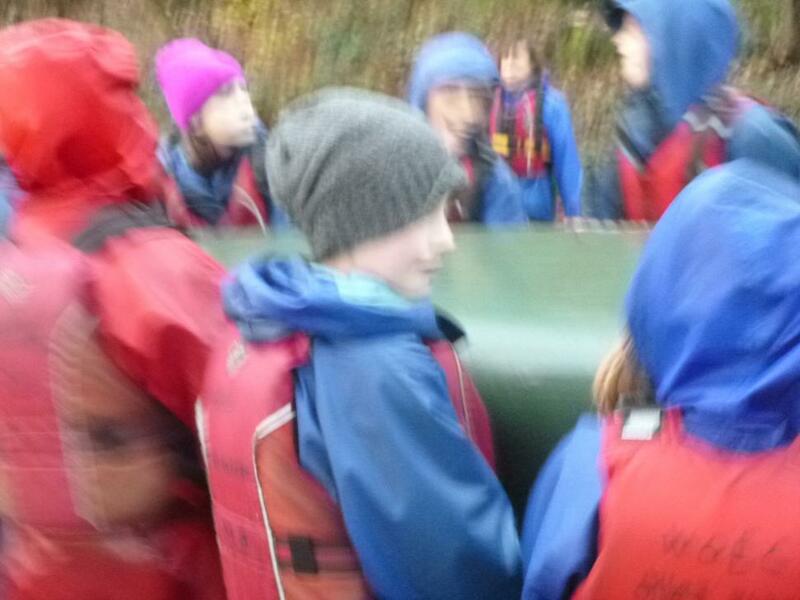 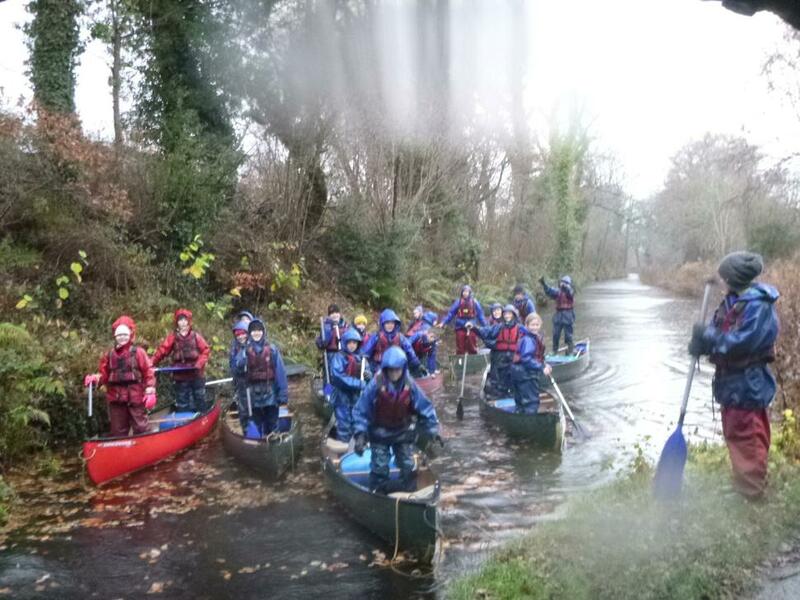 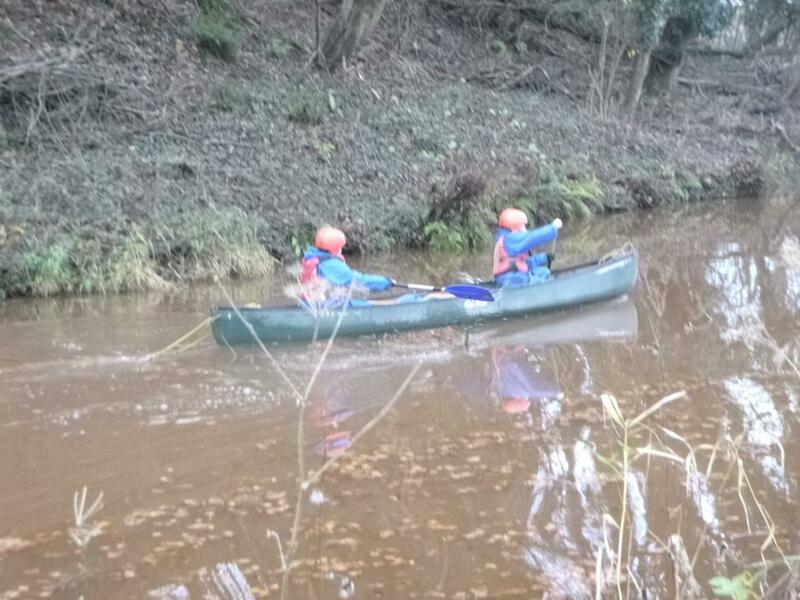 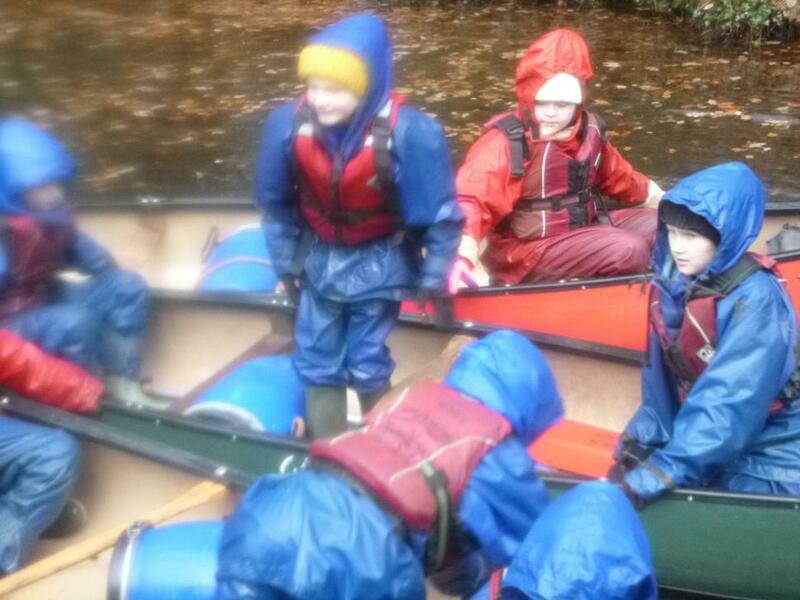 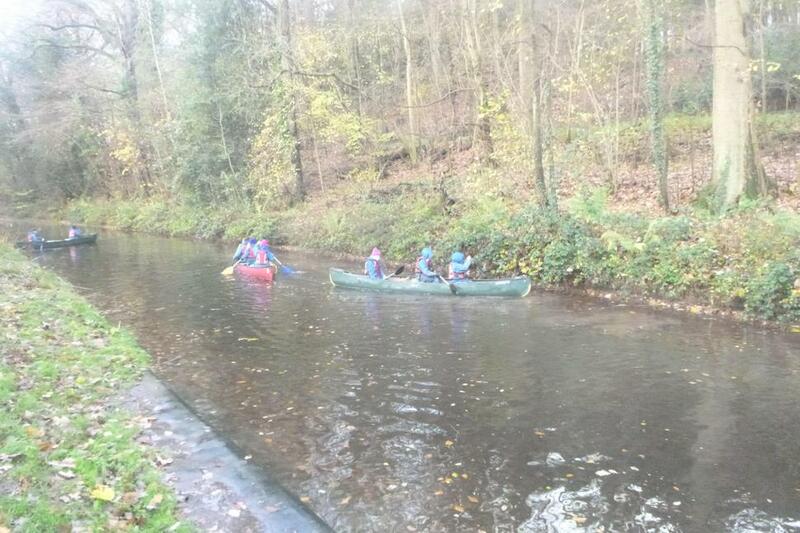 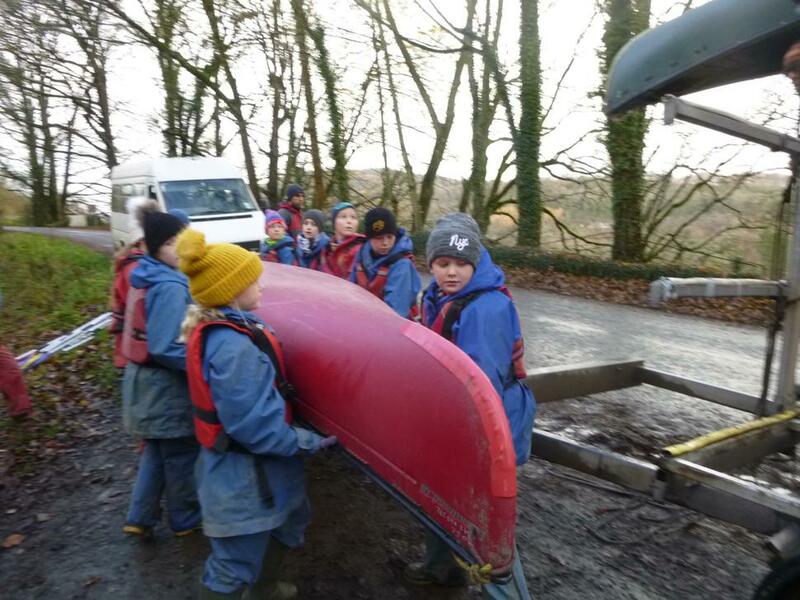 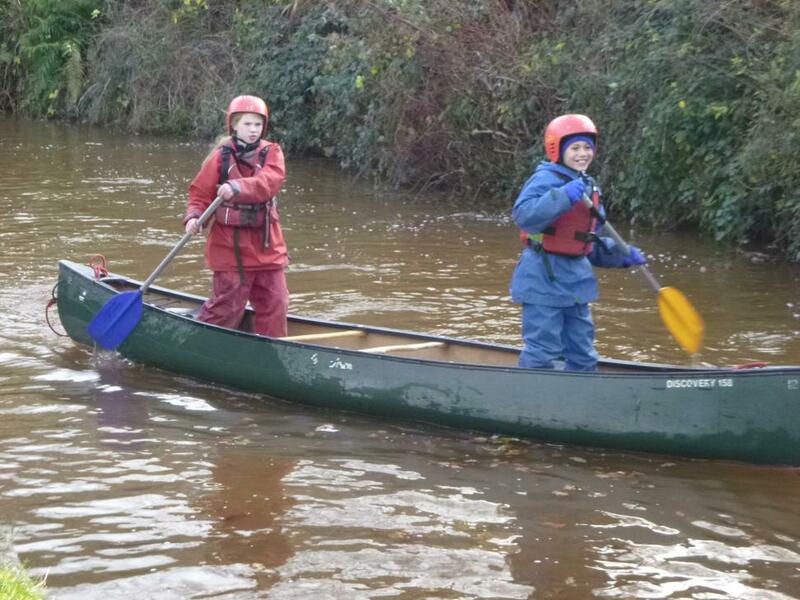 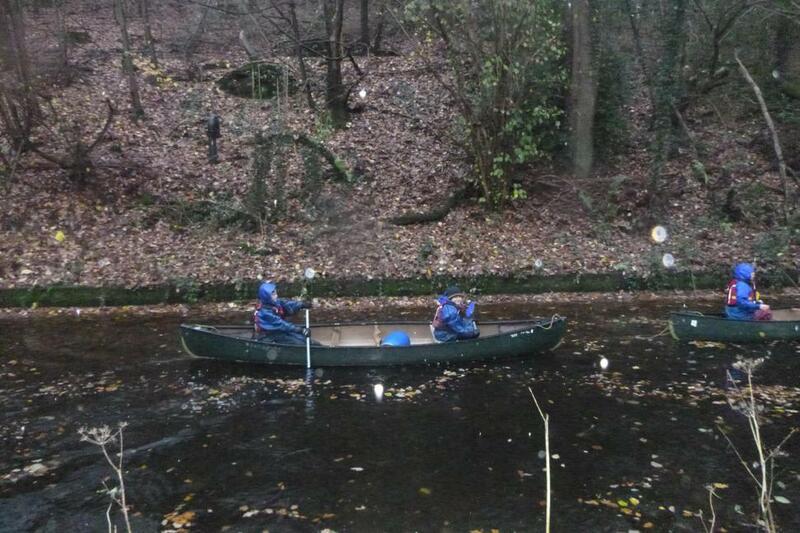 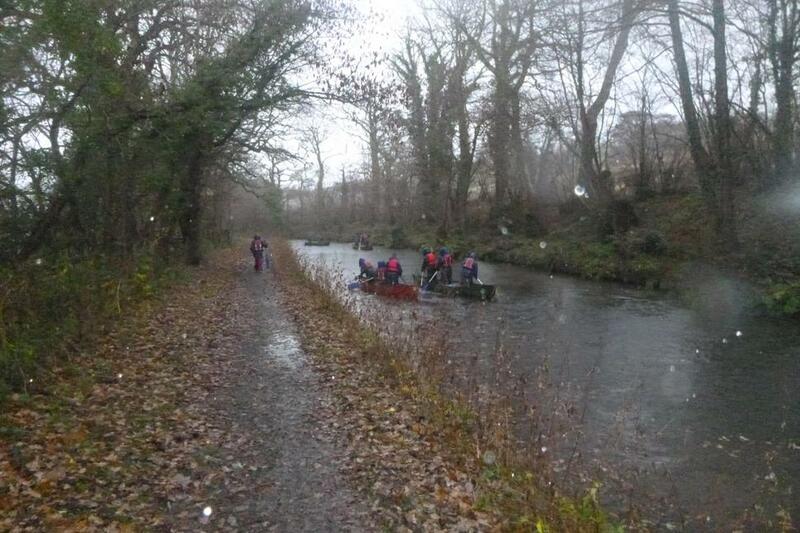 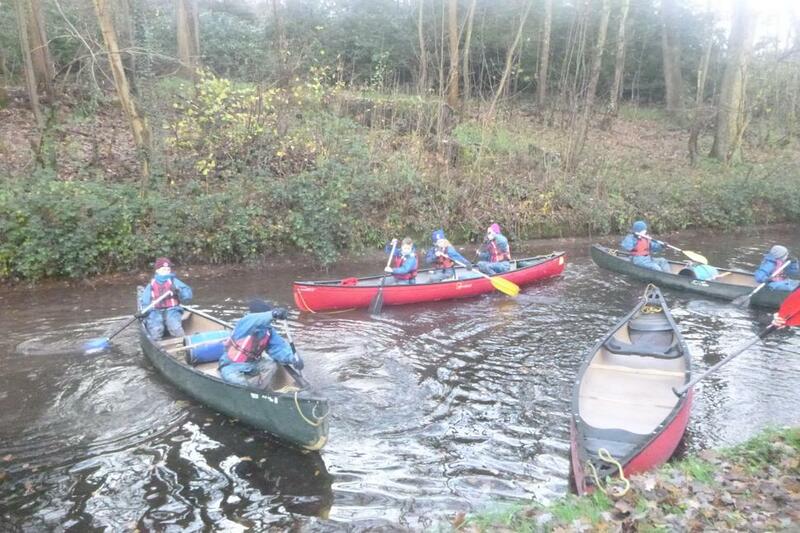 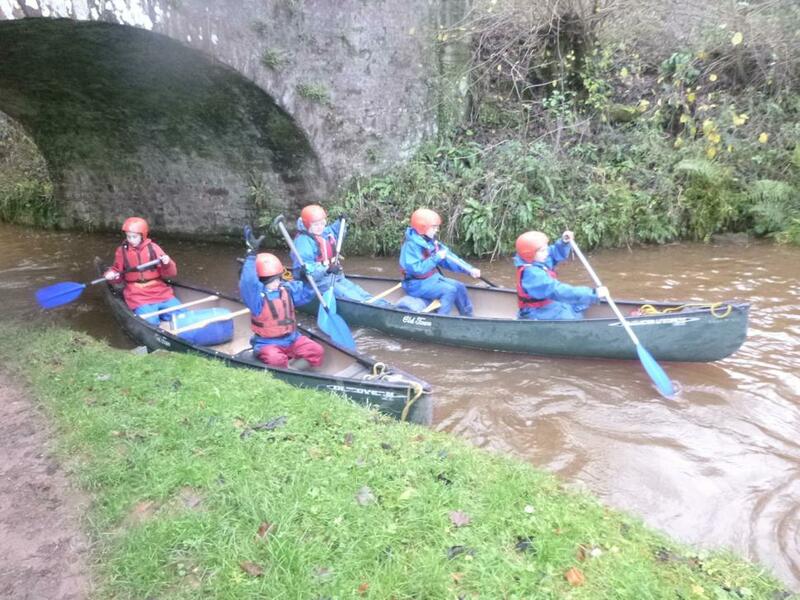 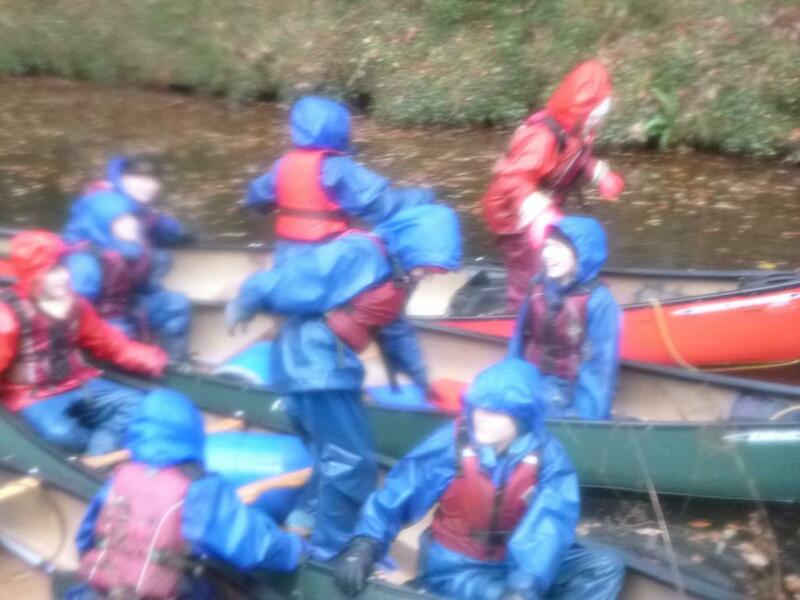 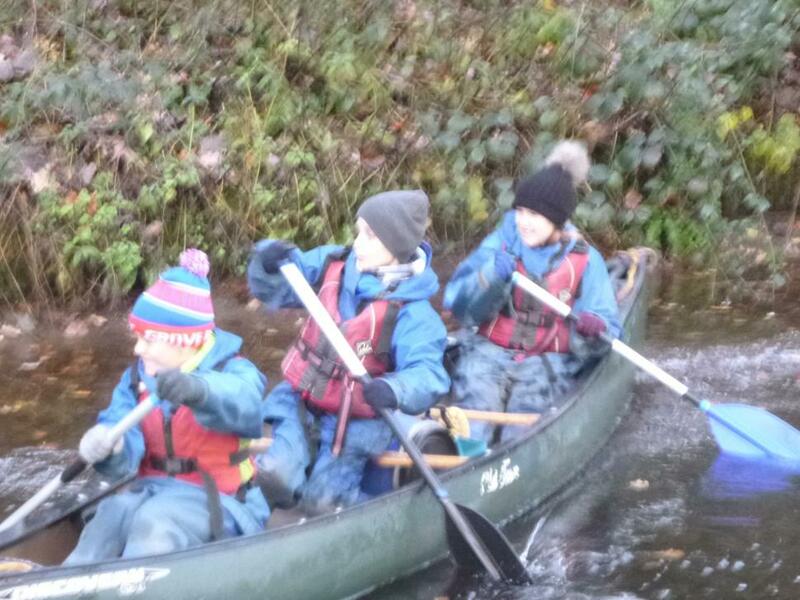 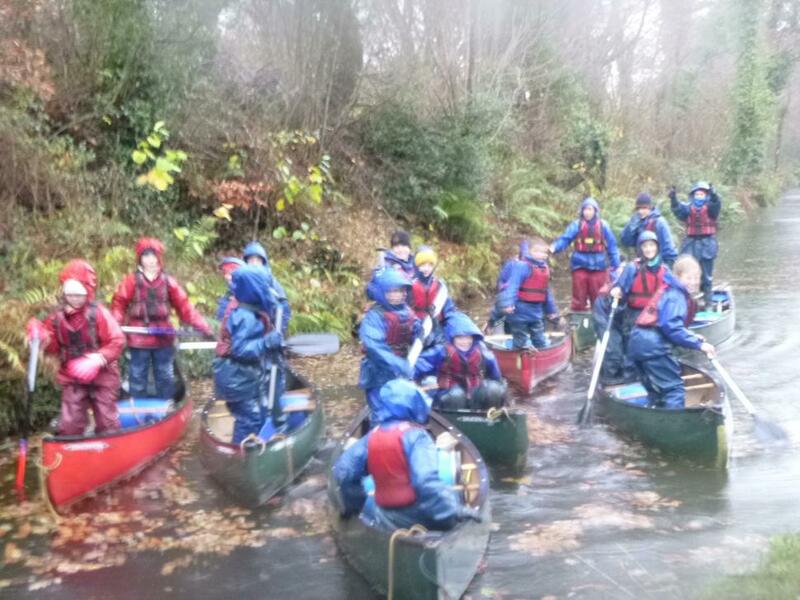 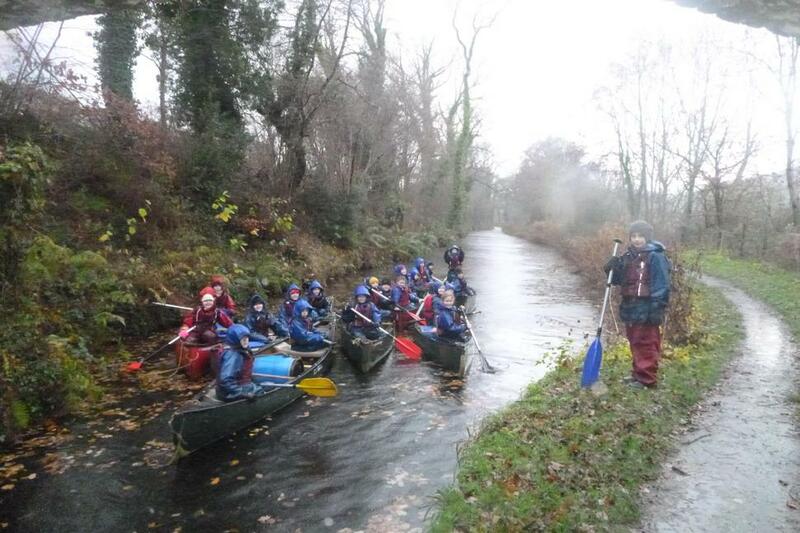 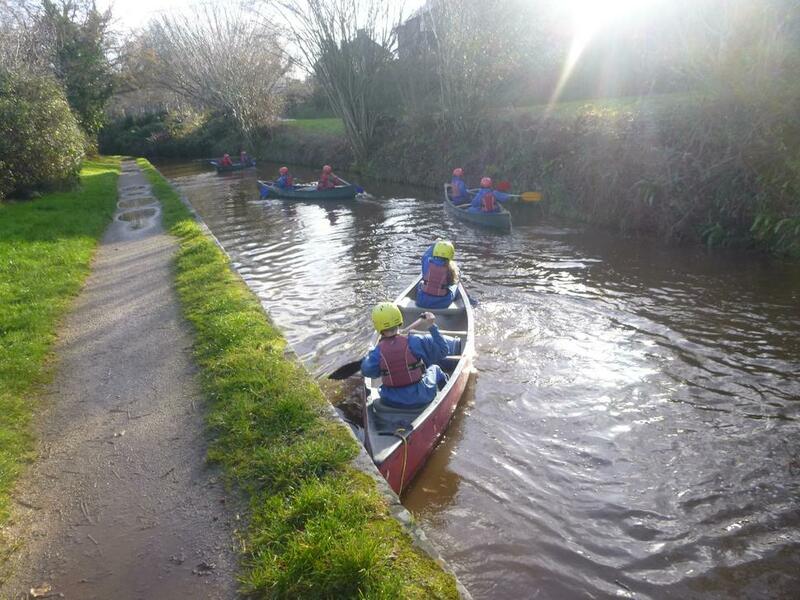 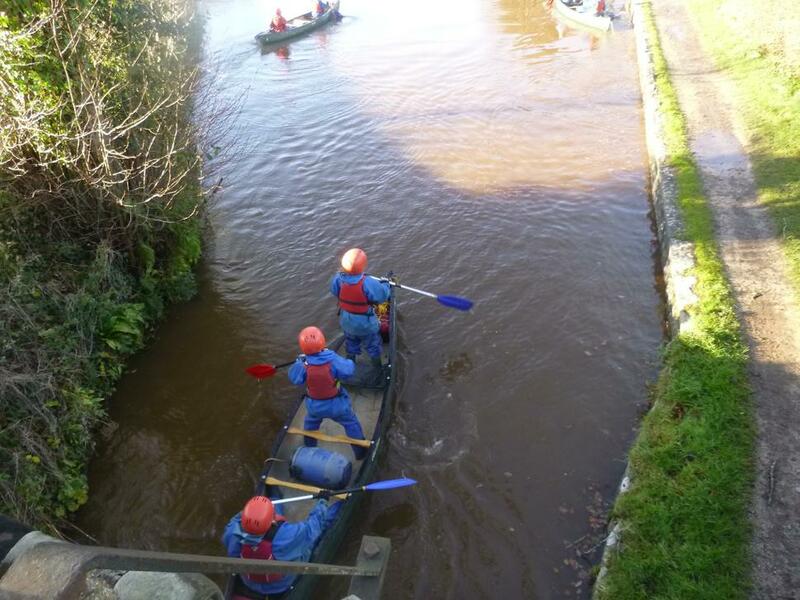 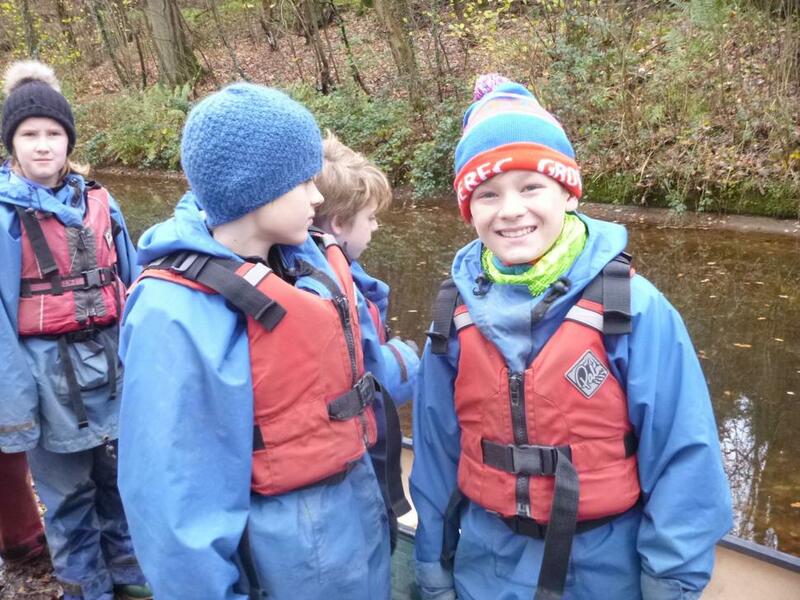 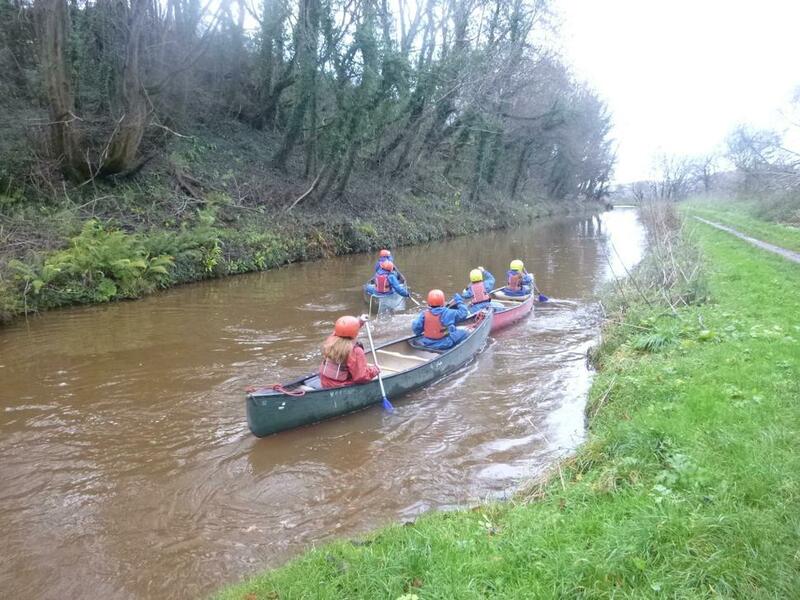 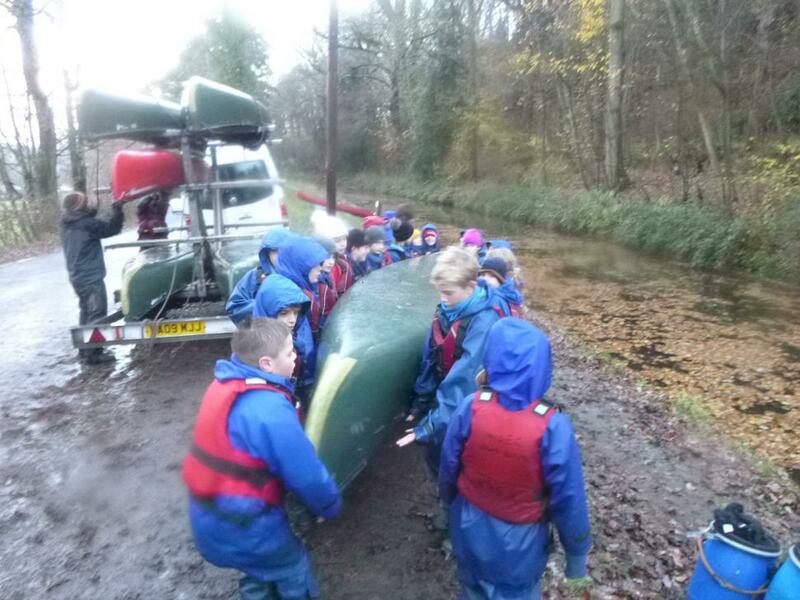 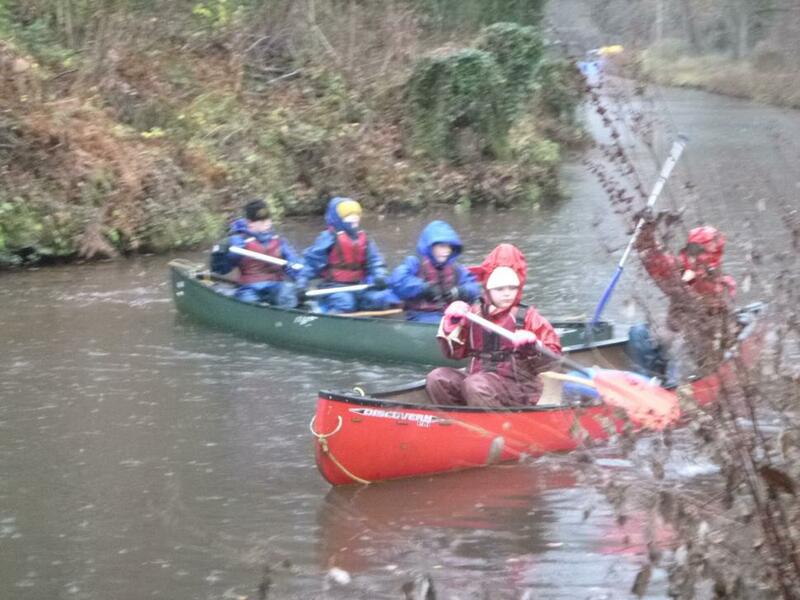 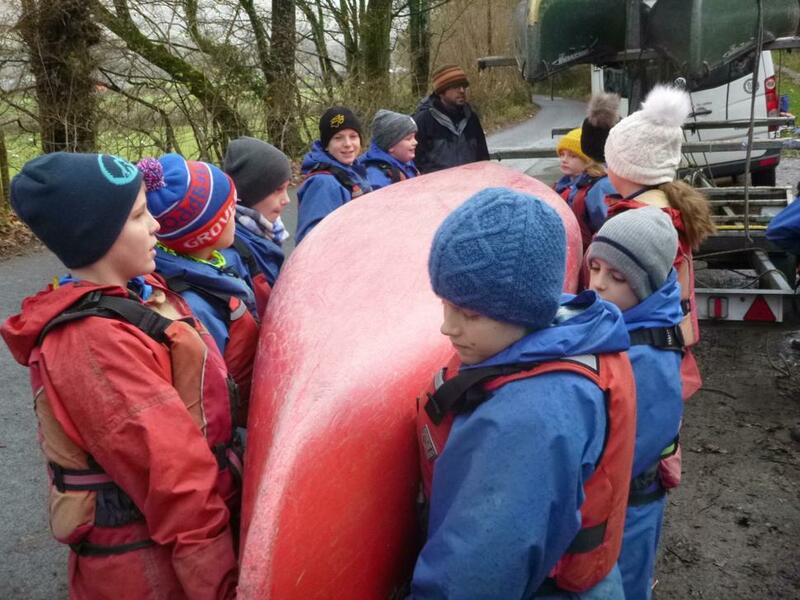 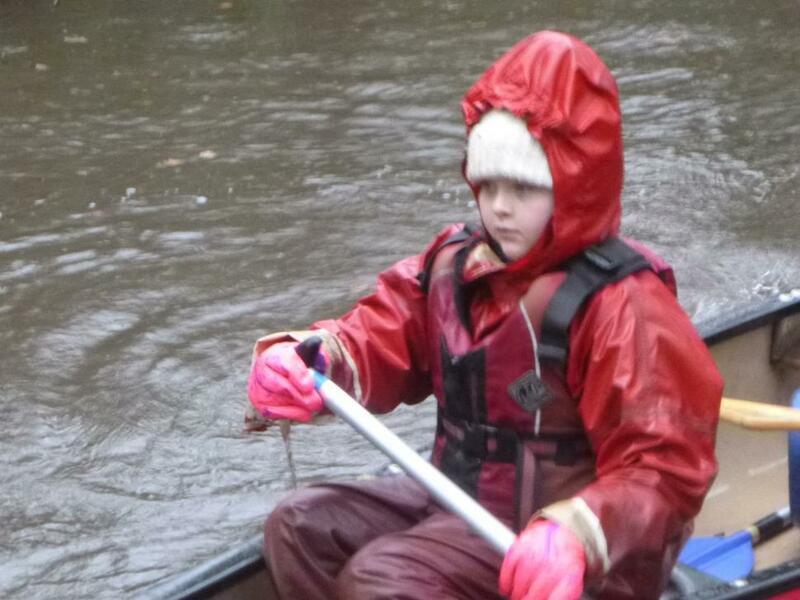 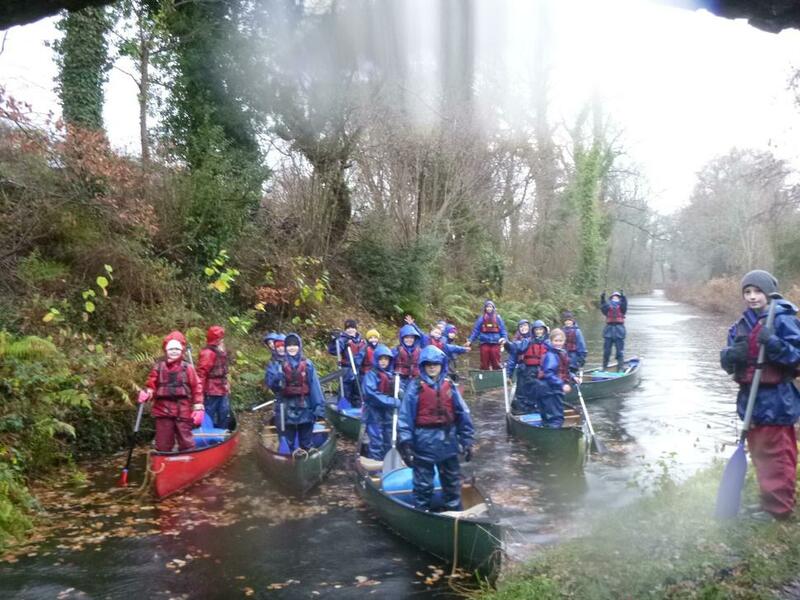 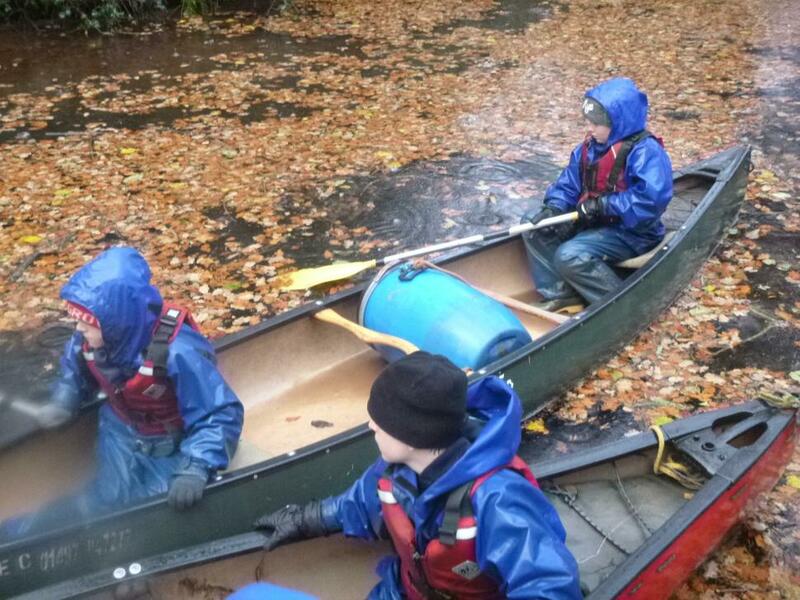 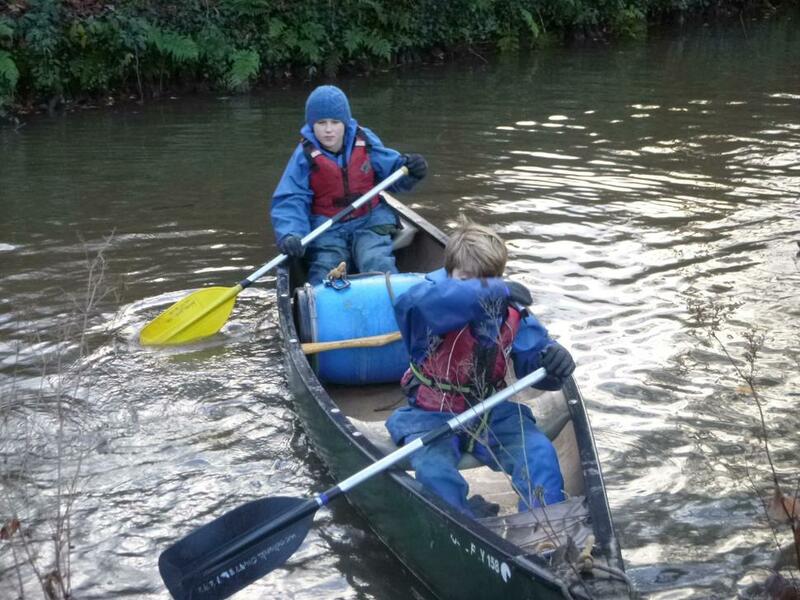 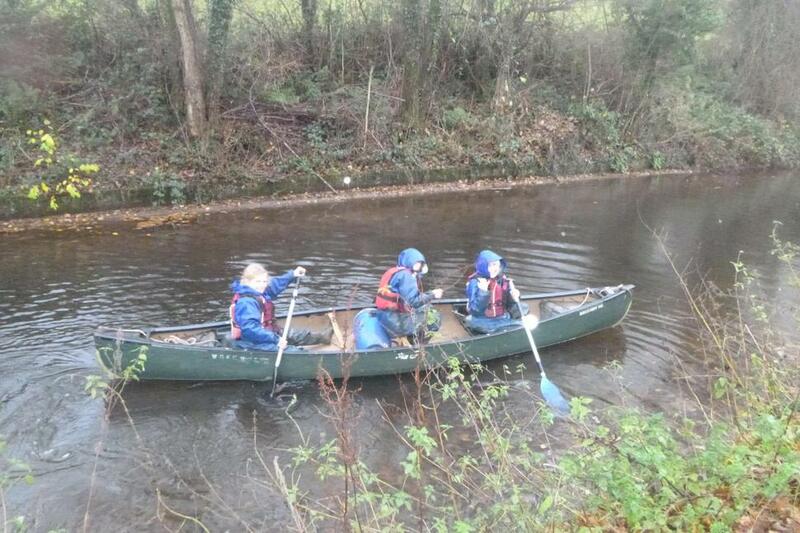 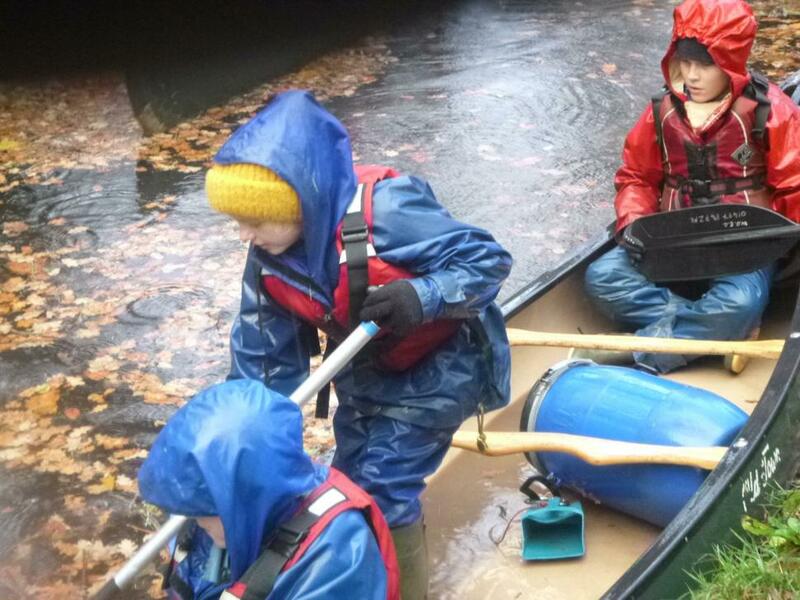 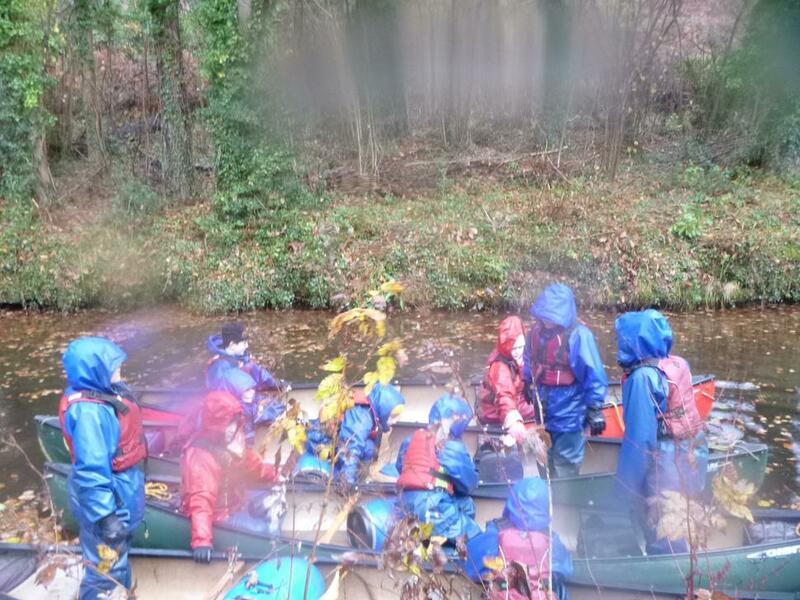 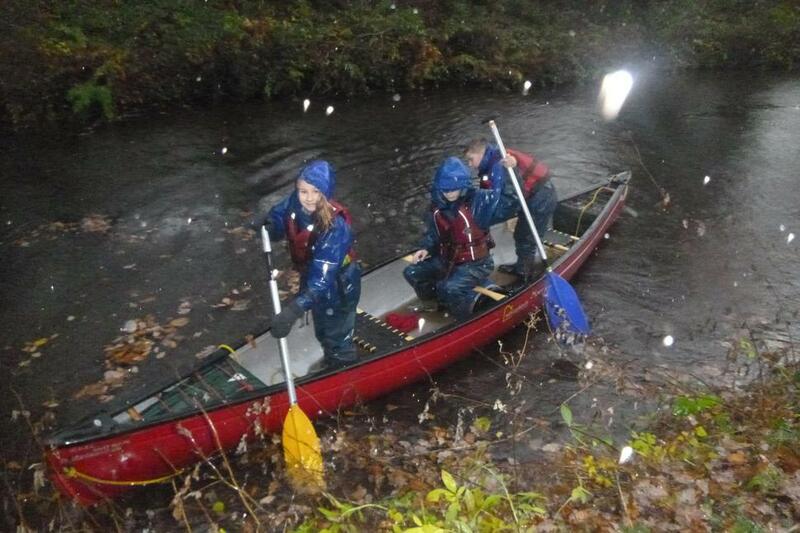 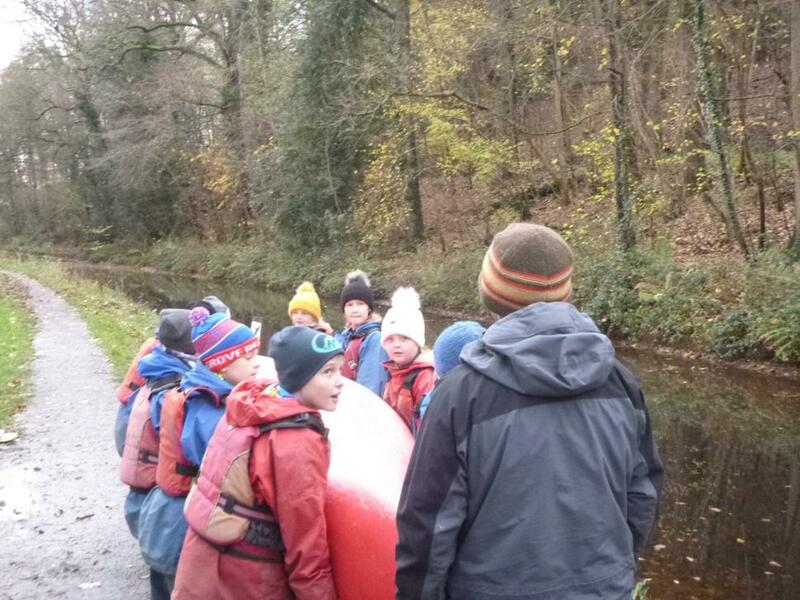 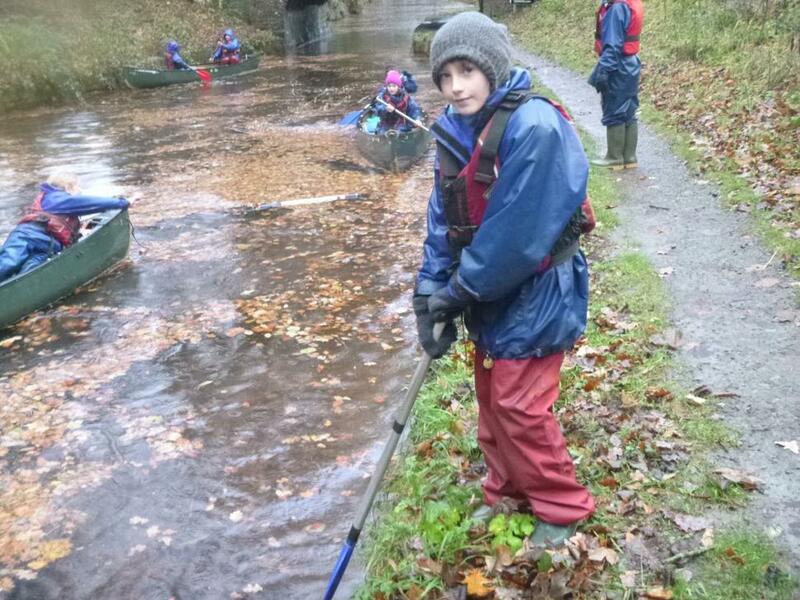 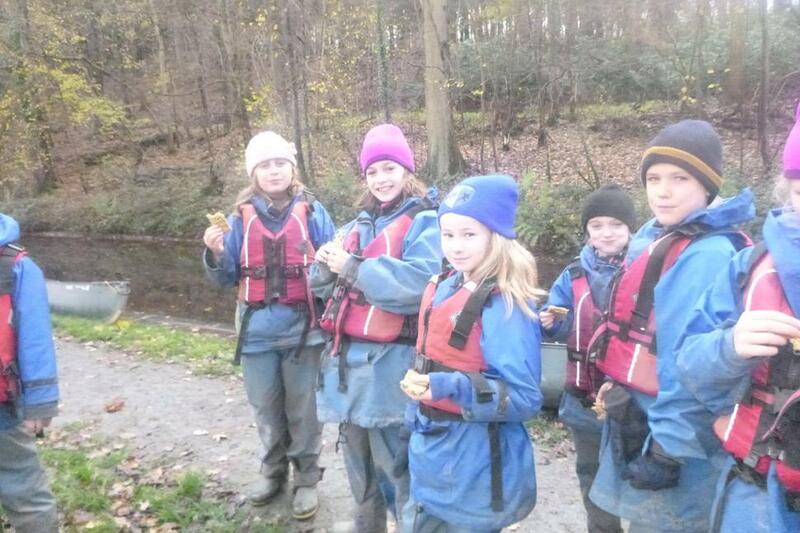 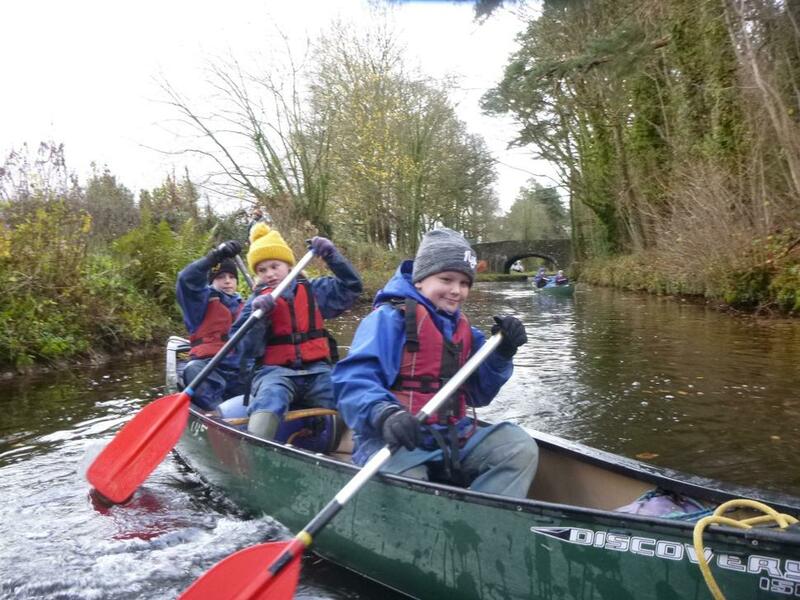 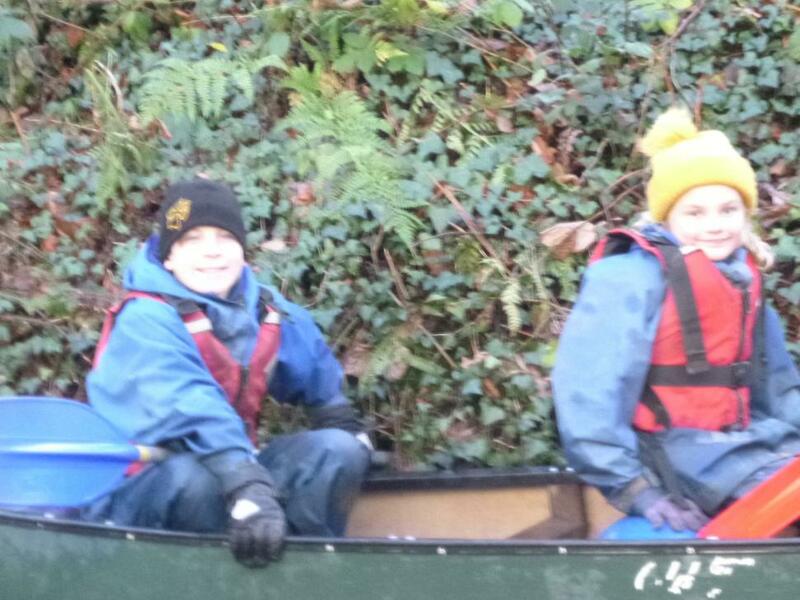 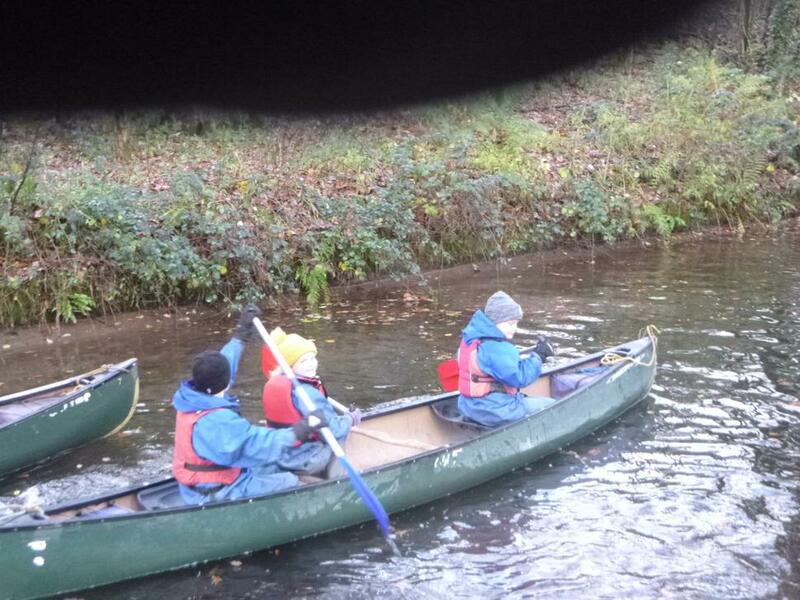 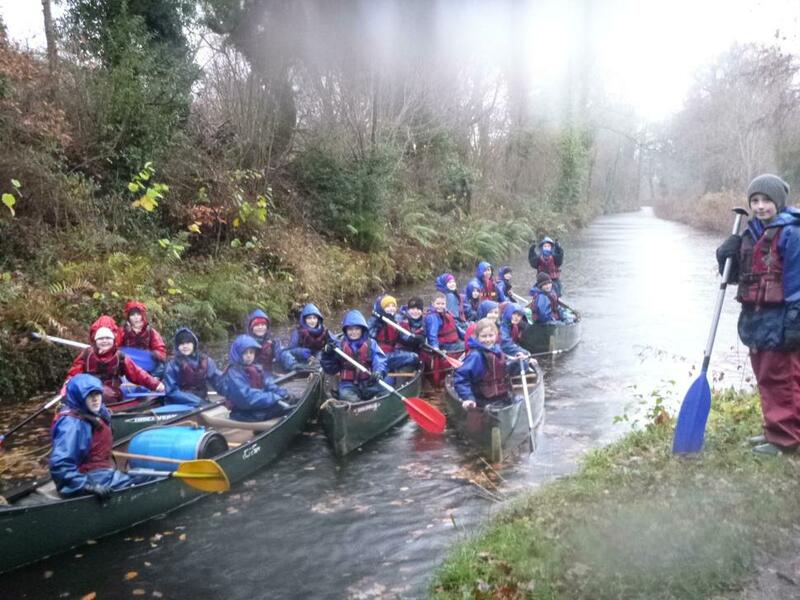 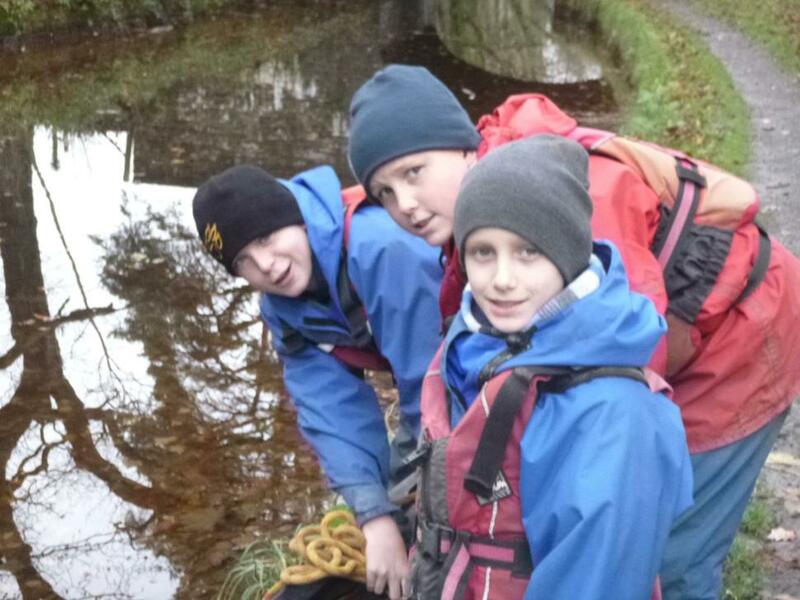 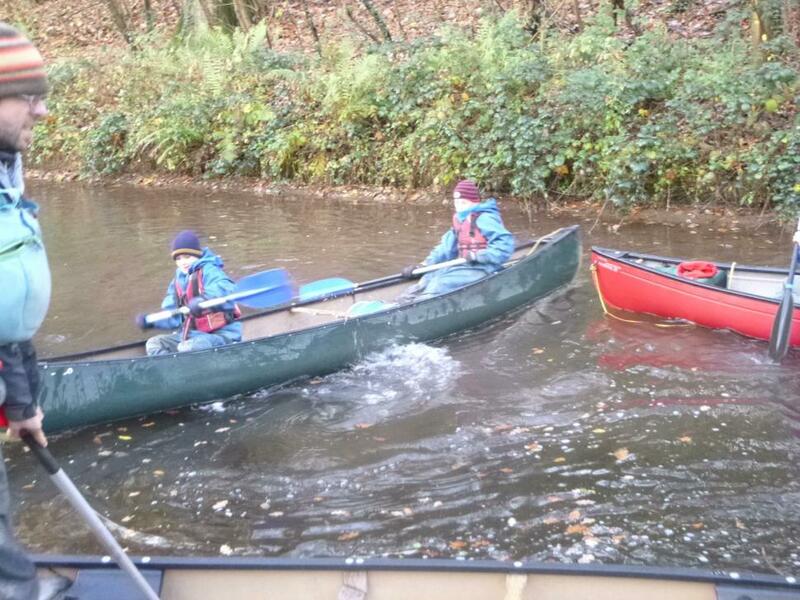 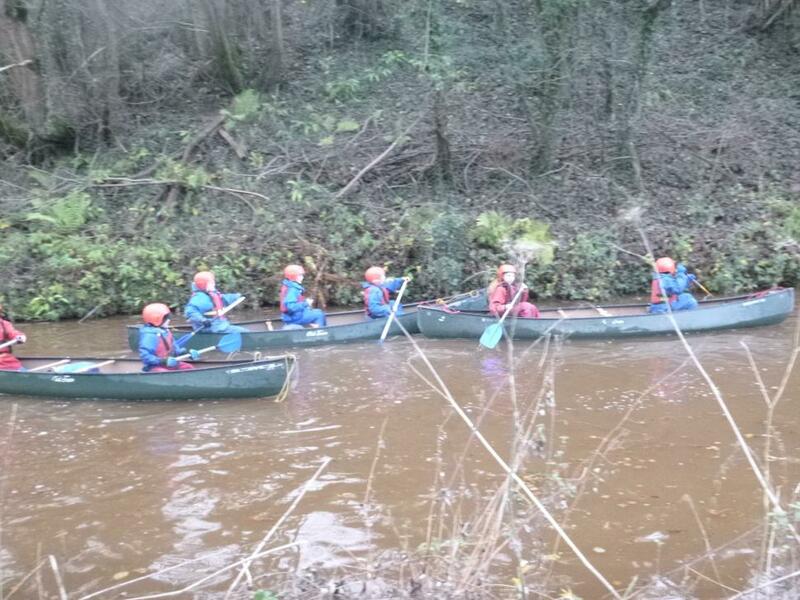 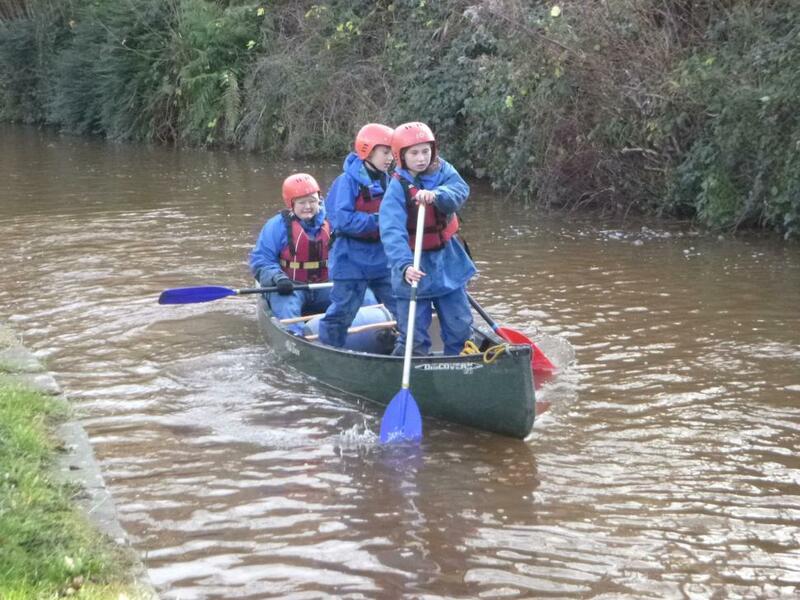 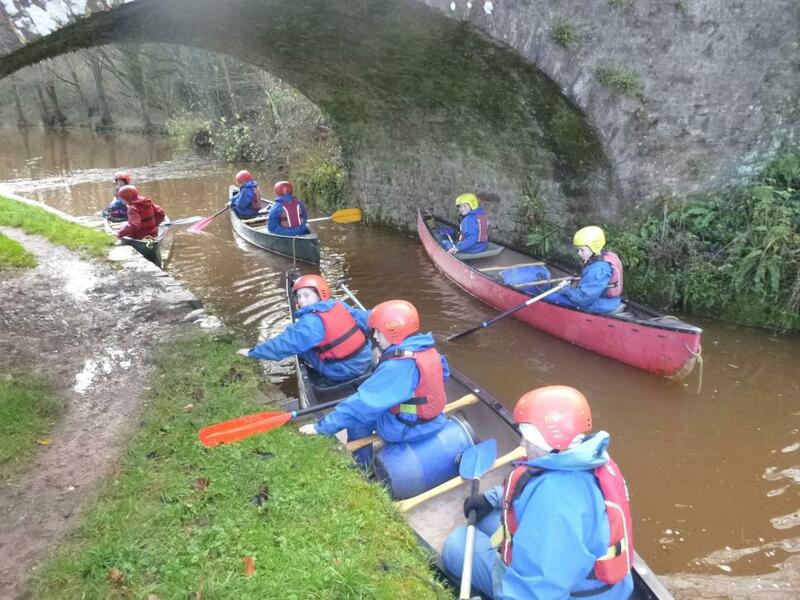 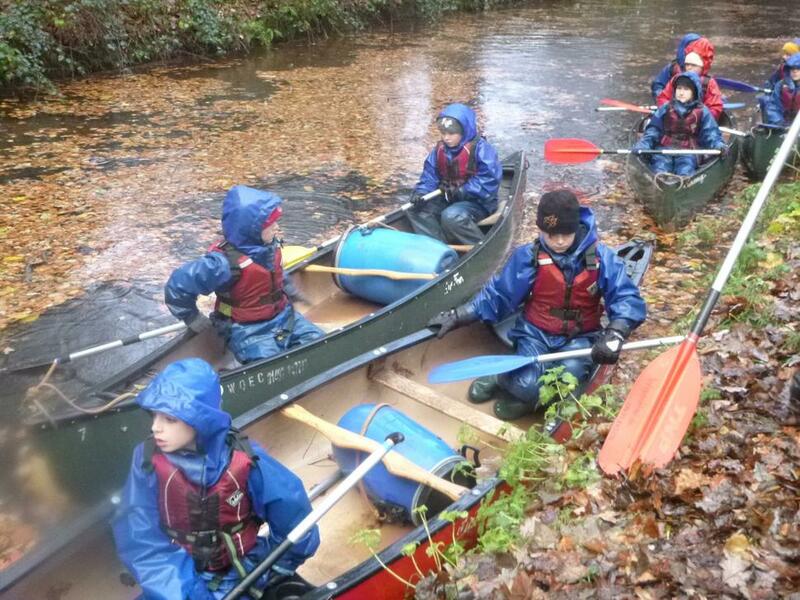 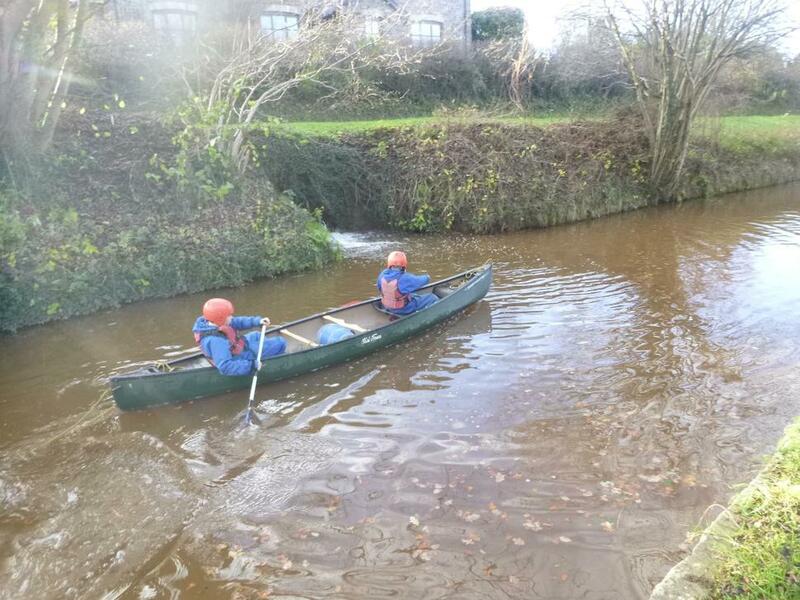 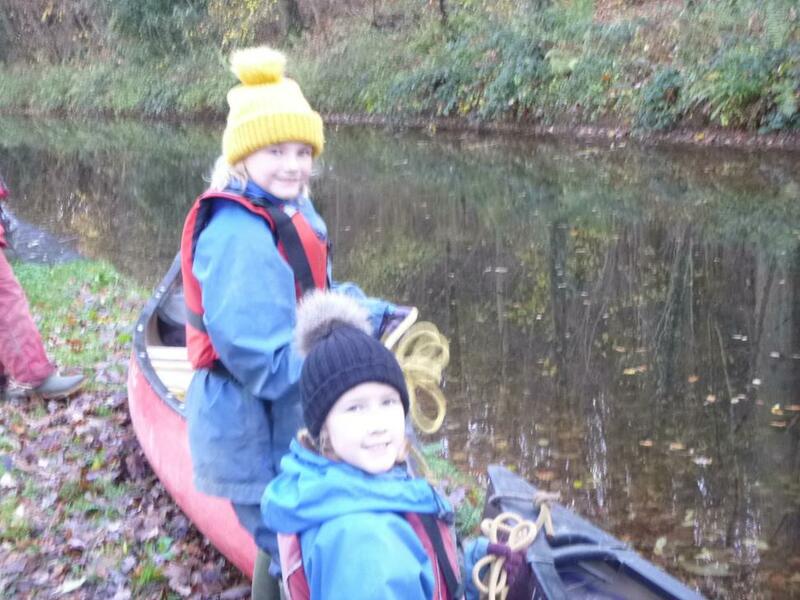 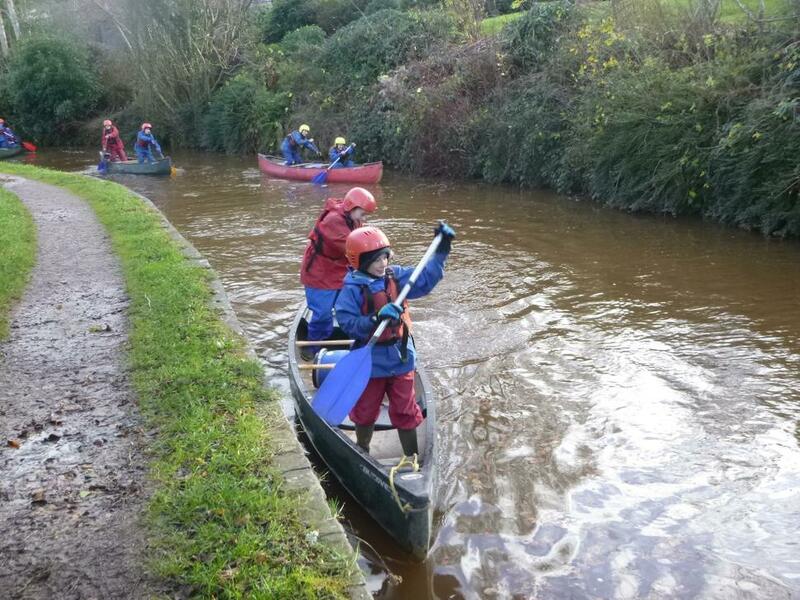 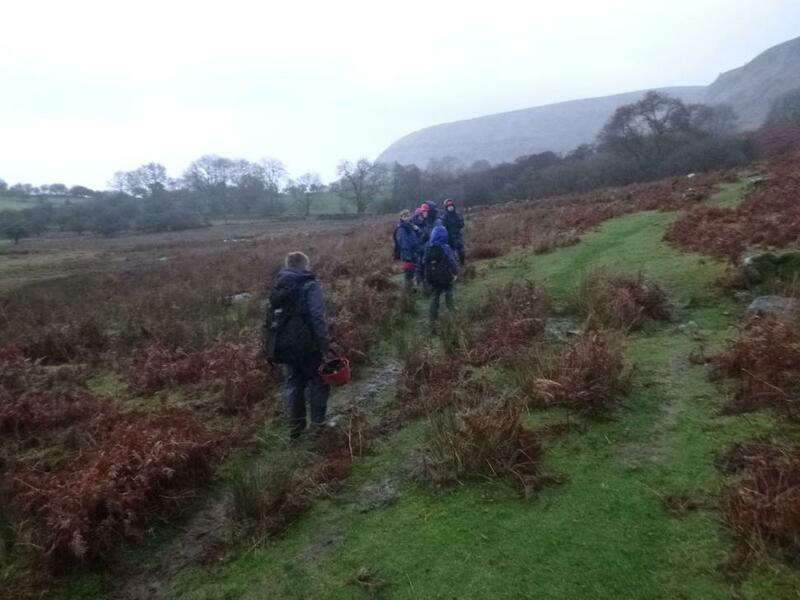 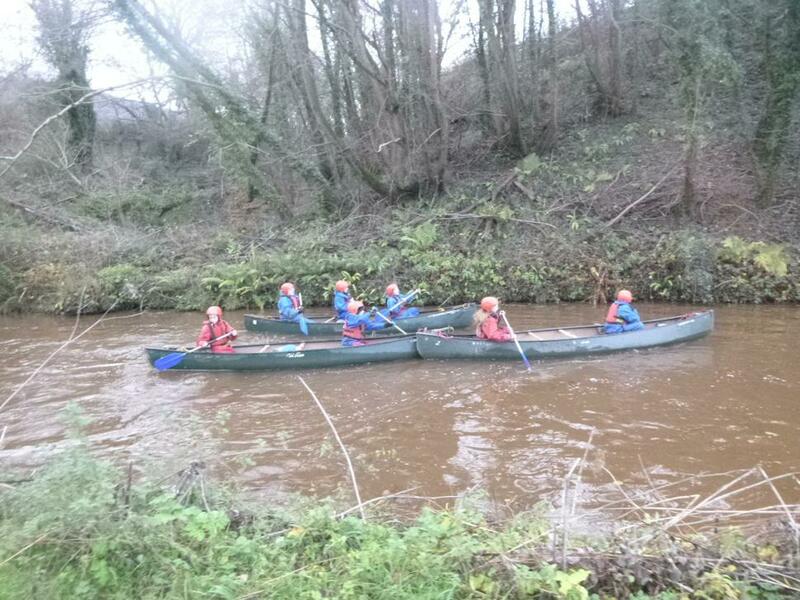 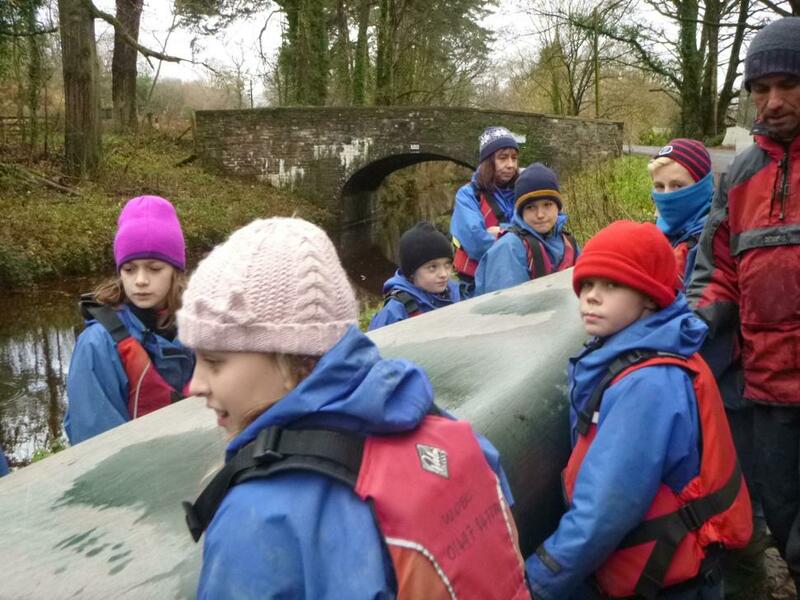 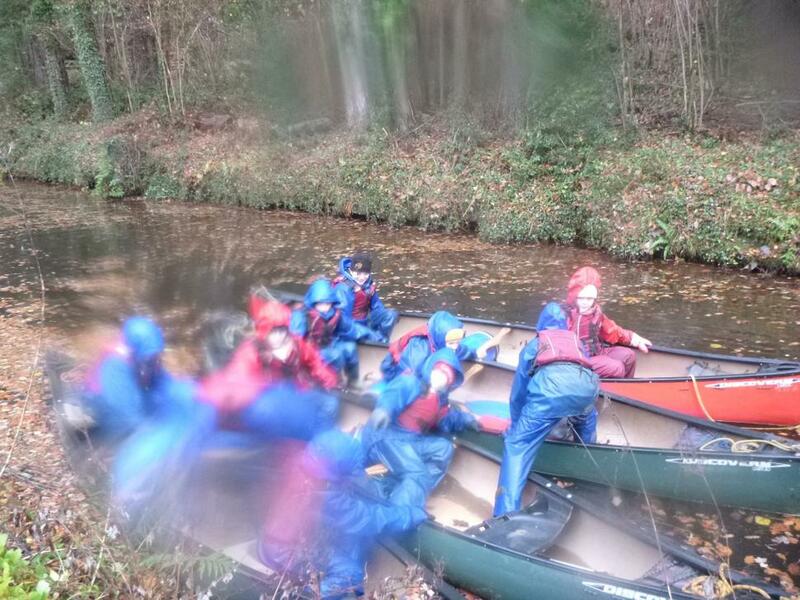 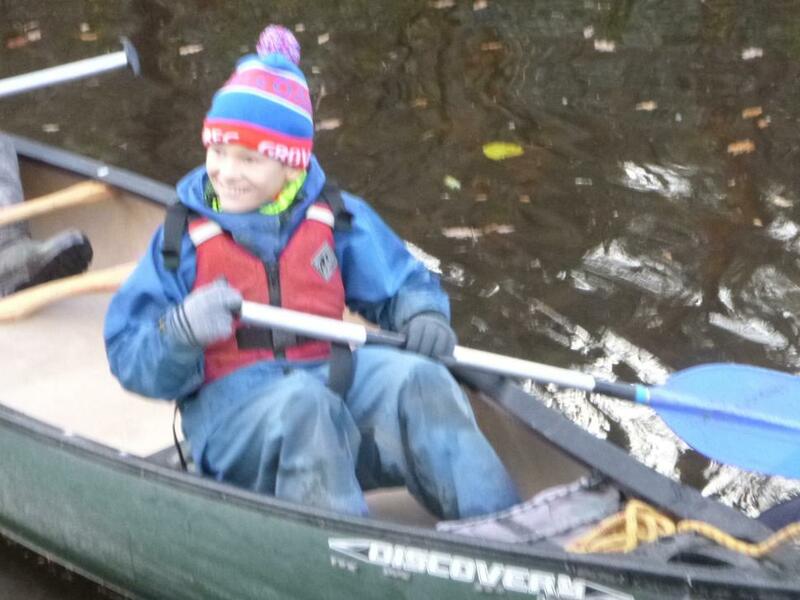 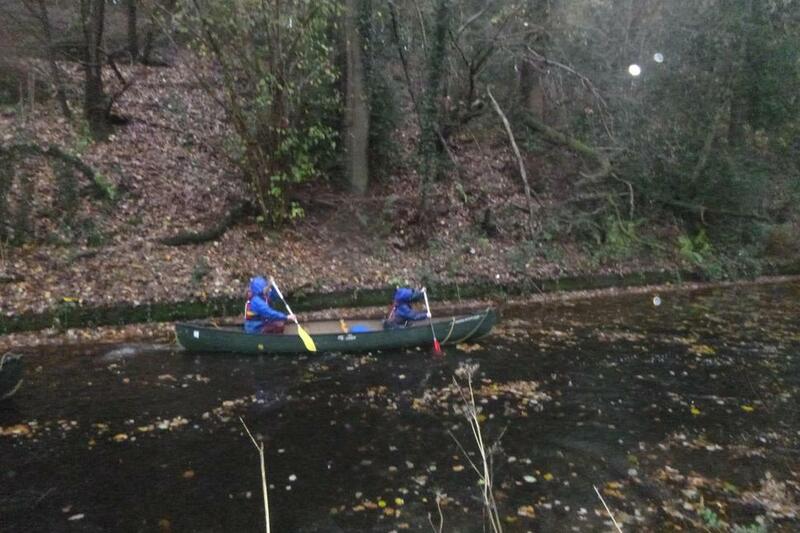 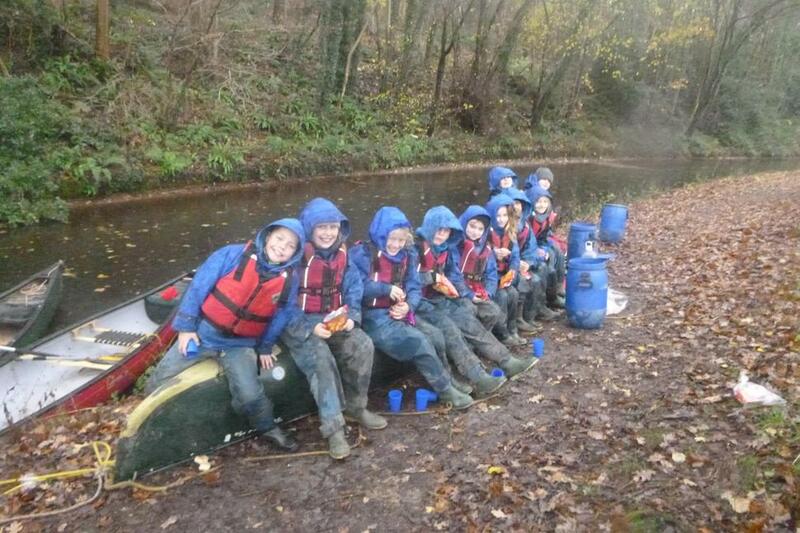 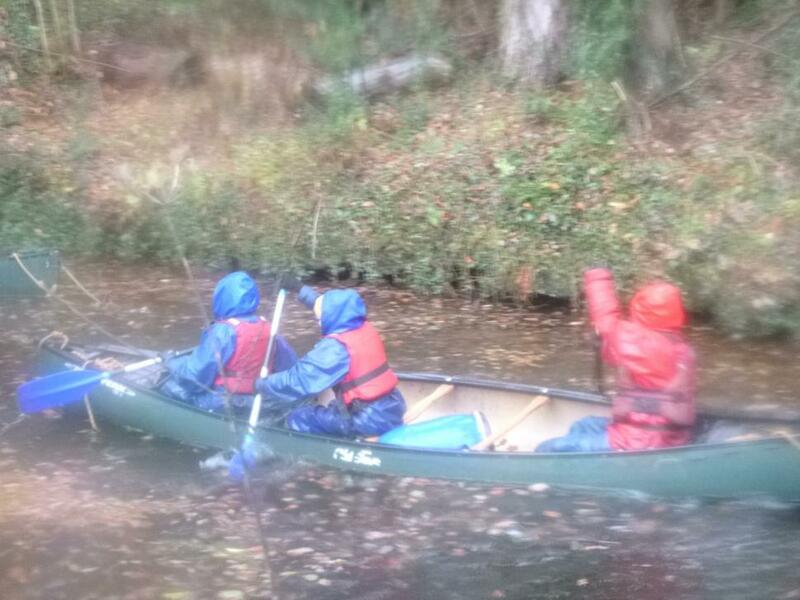 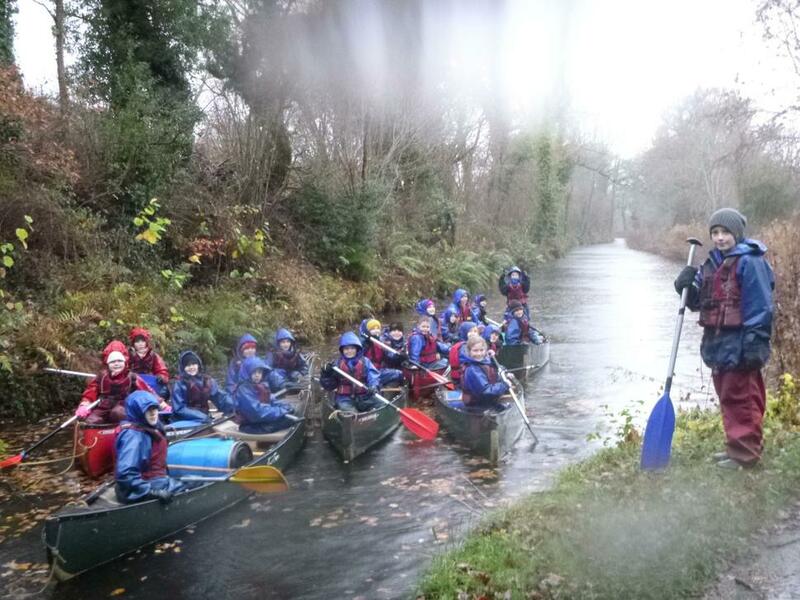 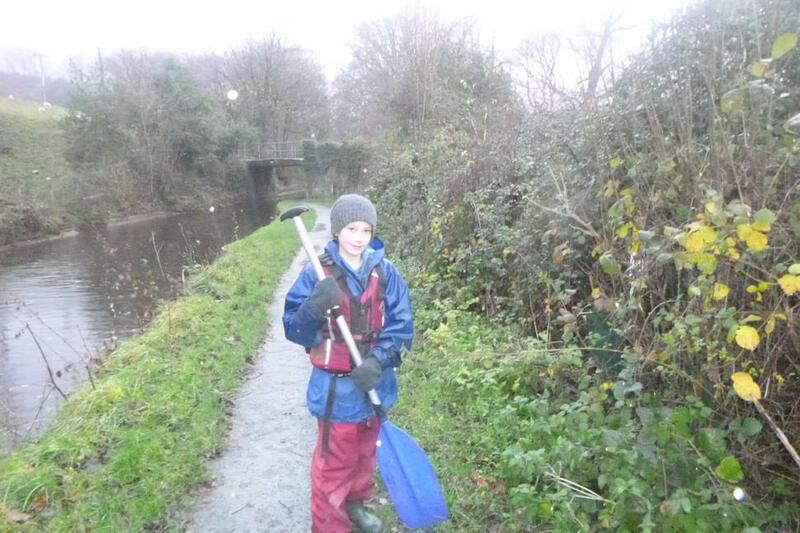 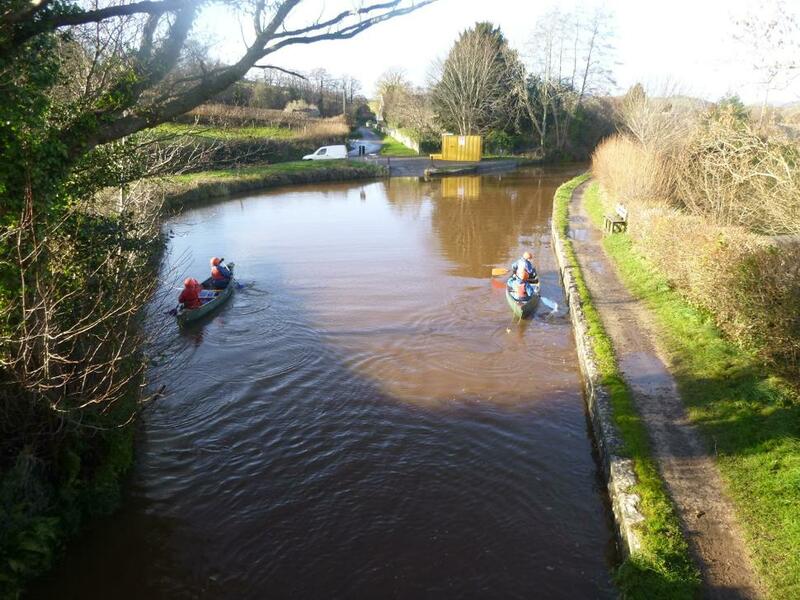 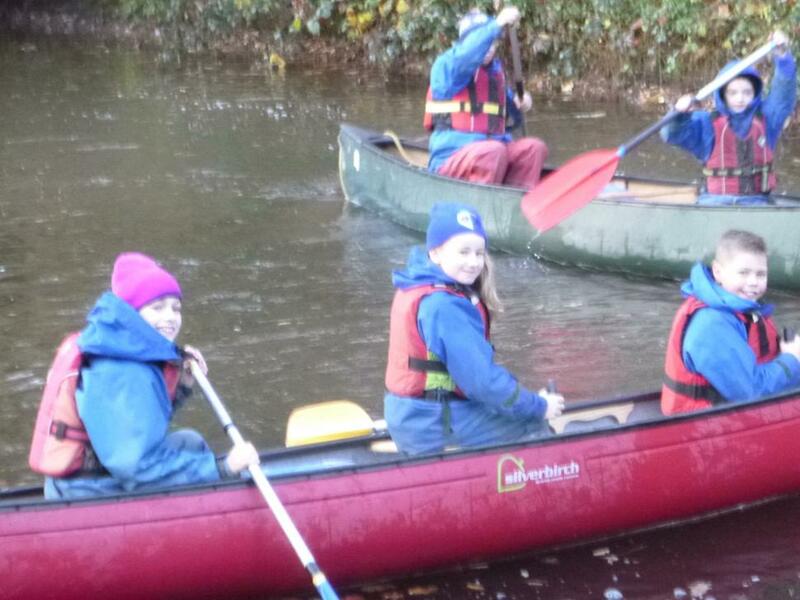 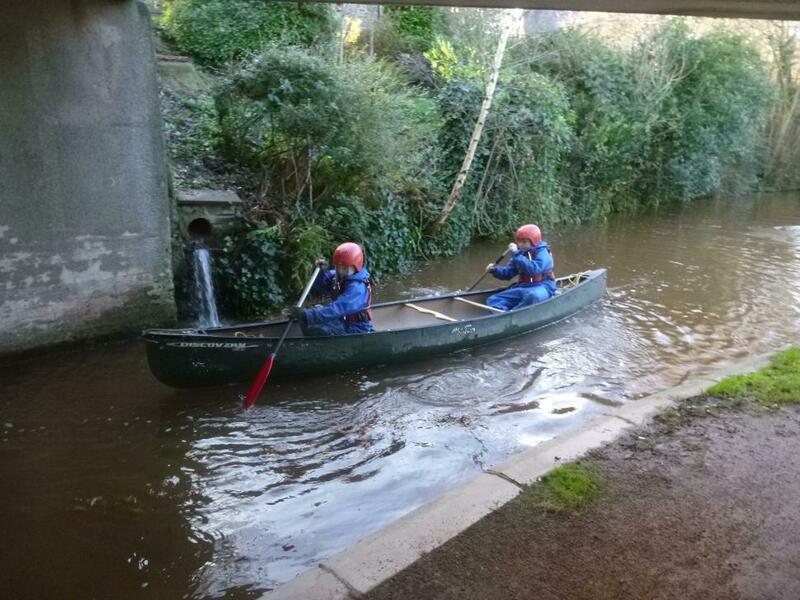 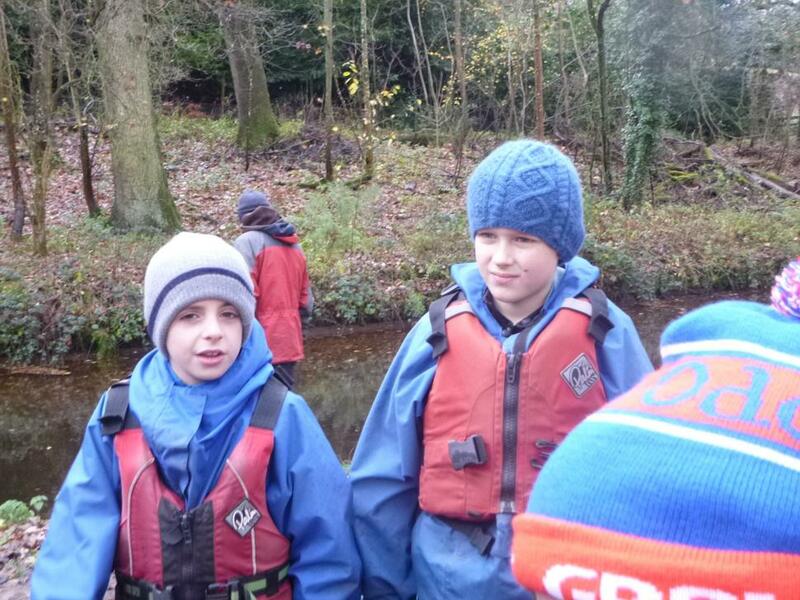 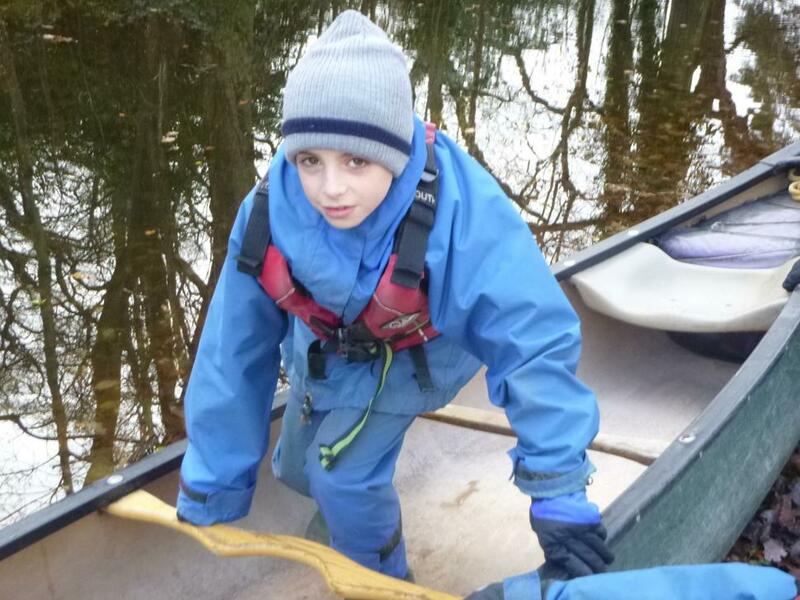 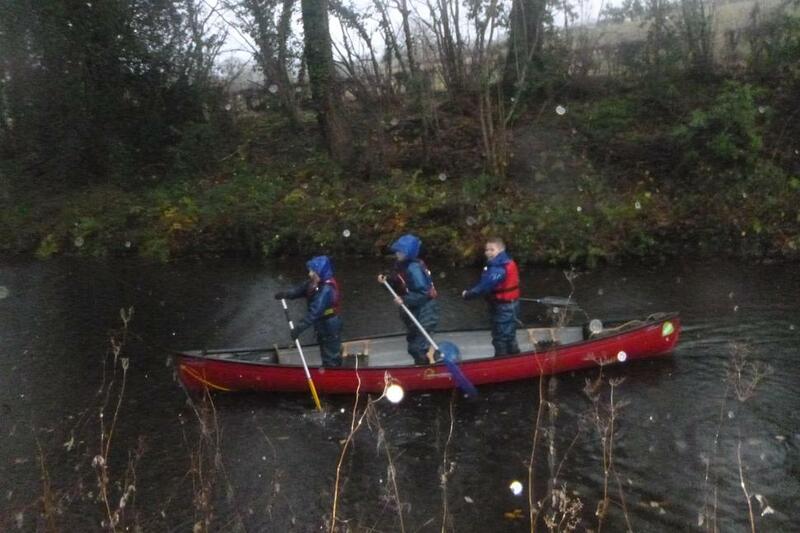 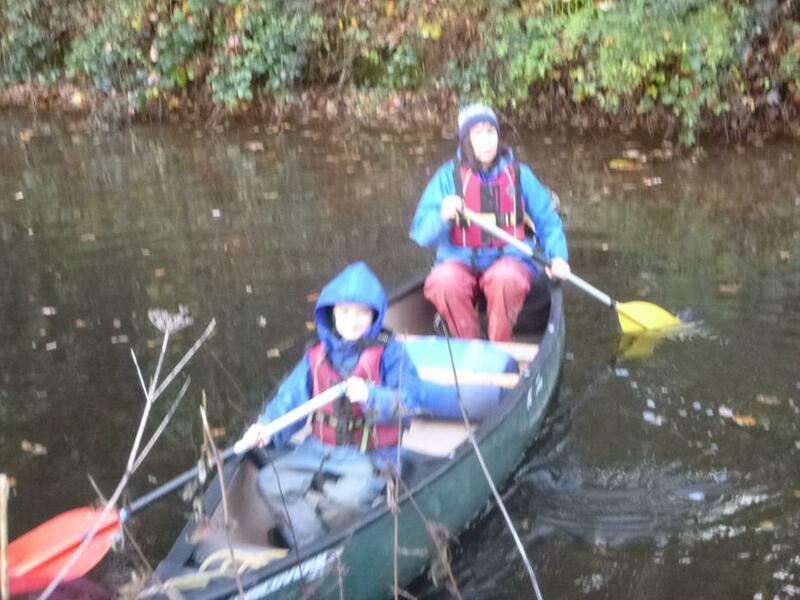 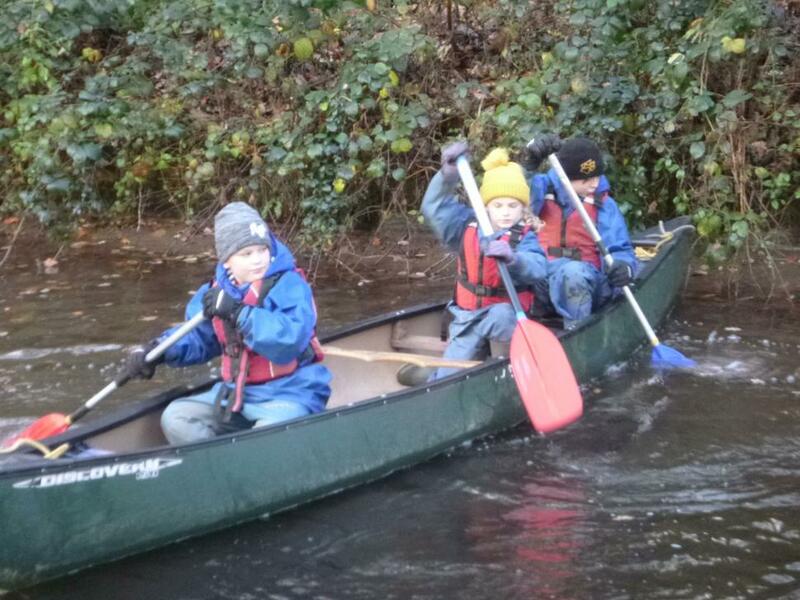 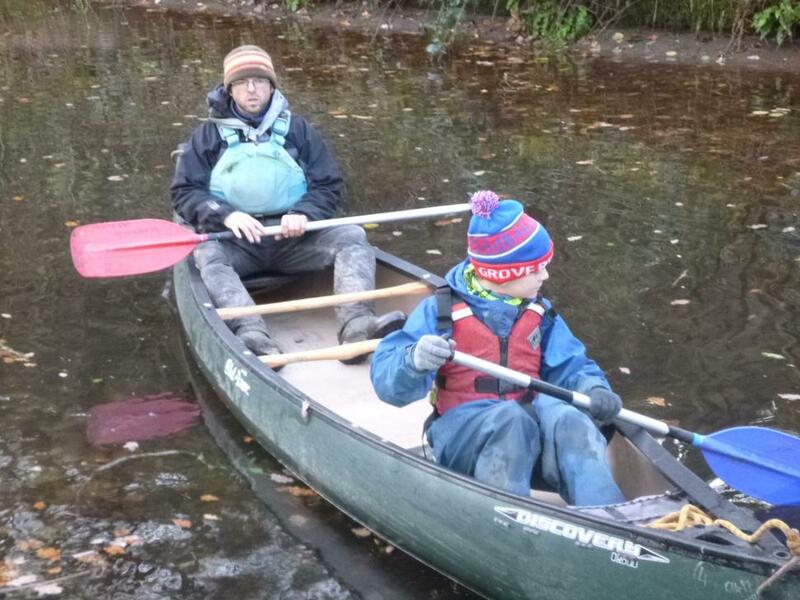 The other 2 groups went canoeing in rather wet and blustery conditions but that certainly didn't dampen their enthusiasm. 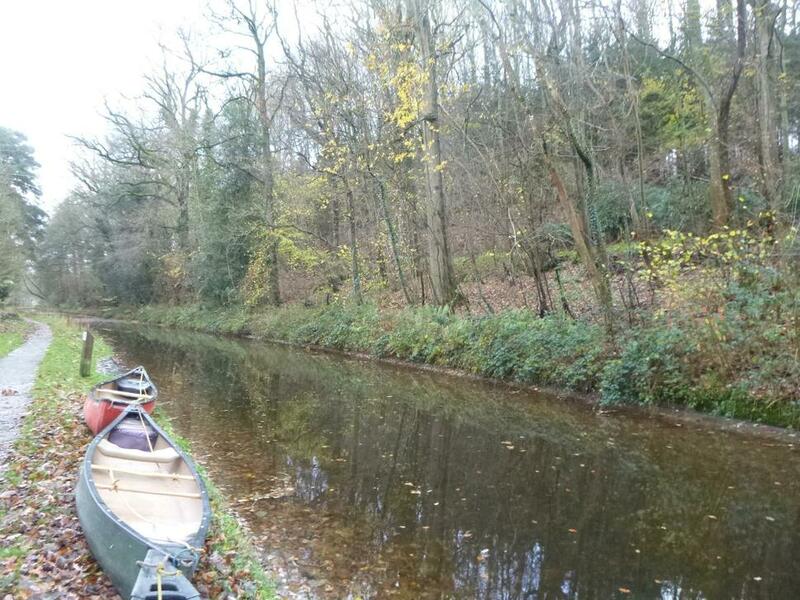 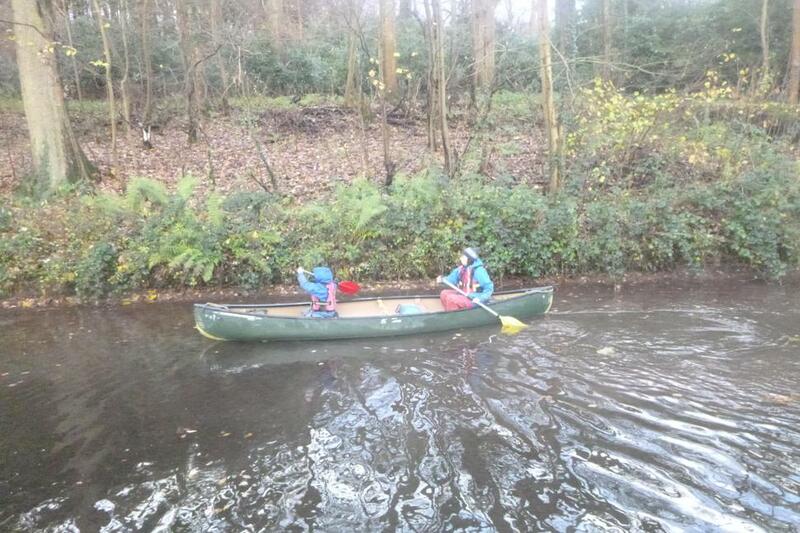 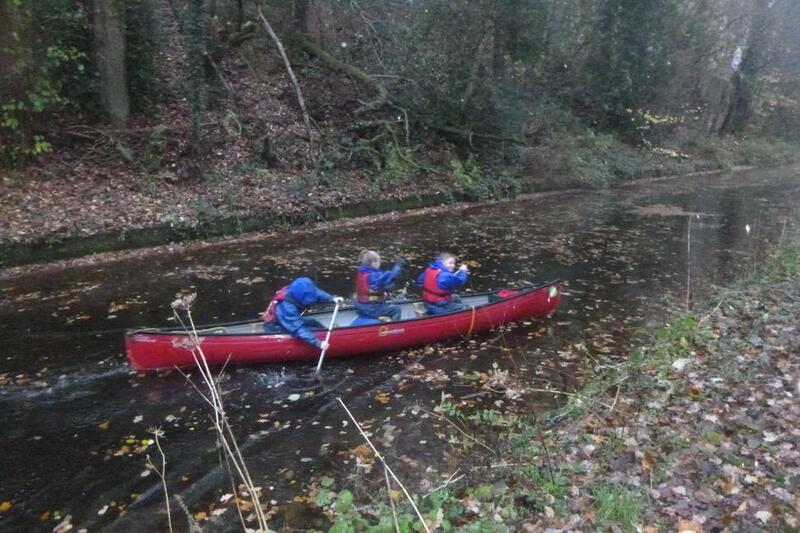 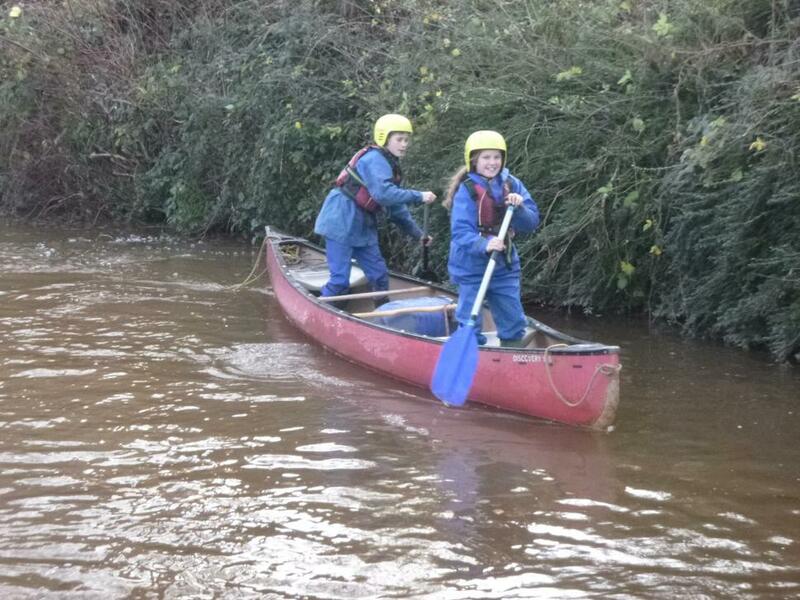 We canoed in 2s and 3s sitting, standing and even going backwards. 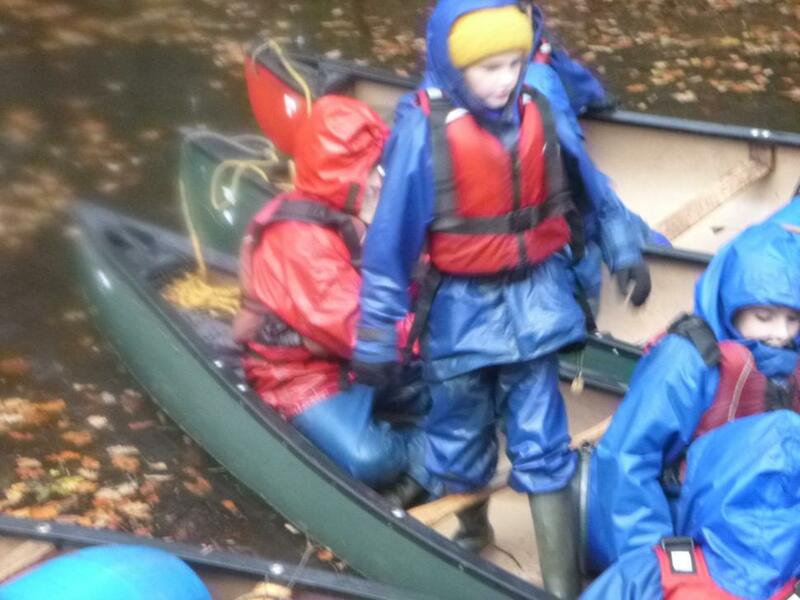 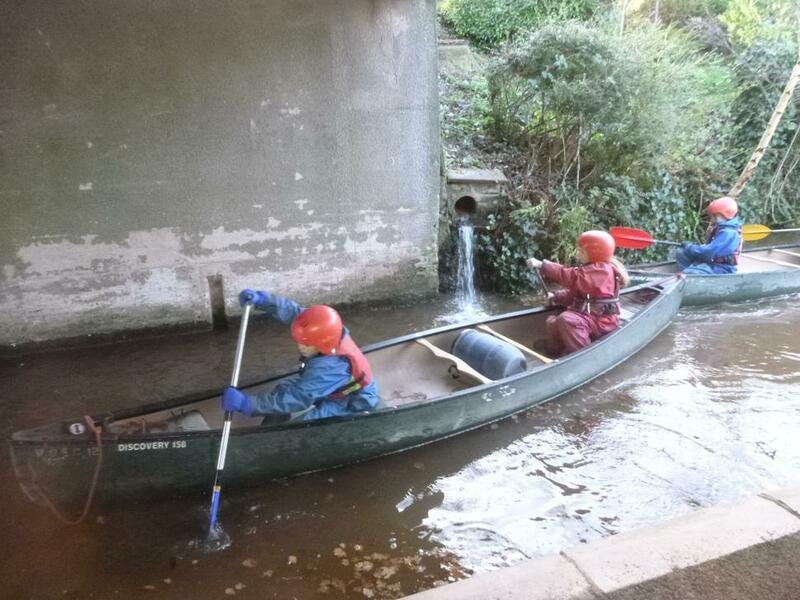 Some children played games that involved swapping boats and all thoroughly enjoyed themselves. 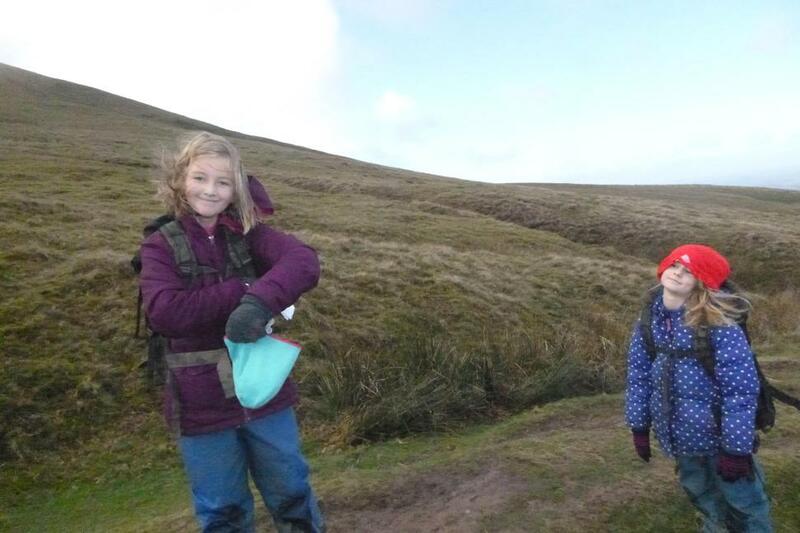 After a curry dinner and banofee pie, we did our shopping and packed. 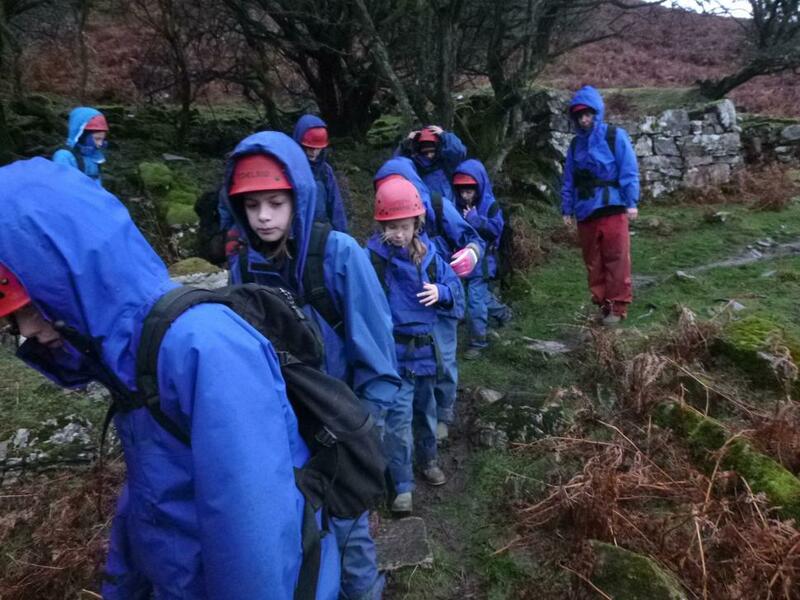 We have done our best so far but there are going to be lots of very damp clothes in the suitcases tomorrow! 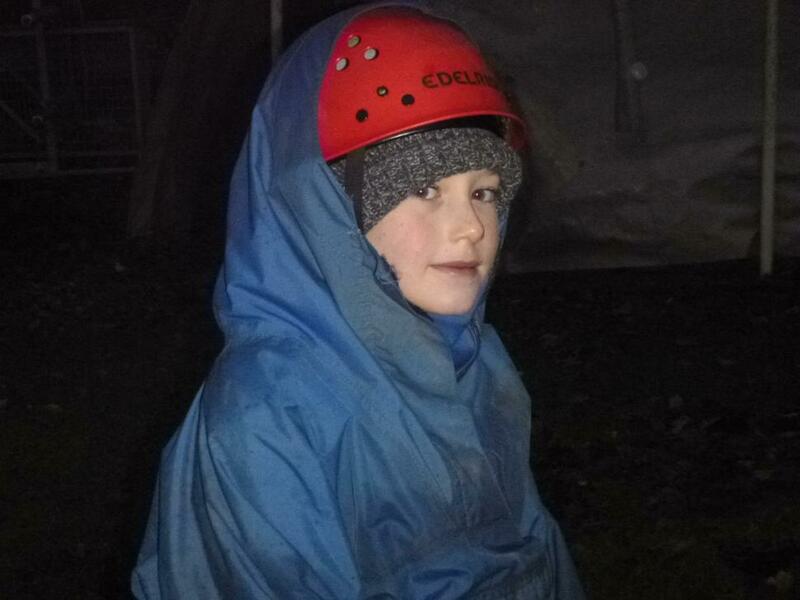 All children slept well last night and many had to be woken this morning. 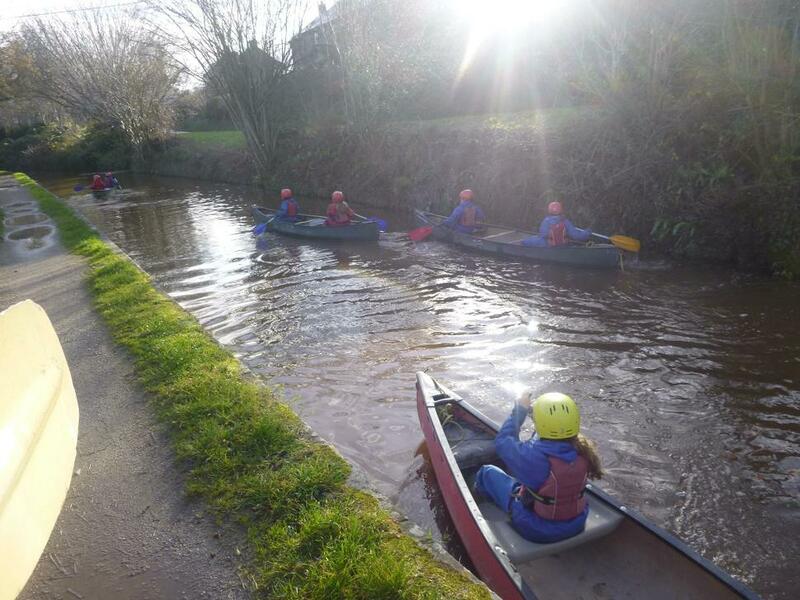 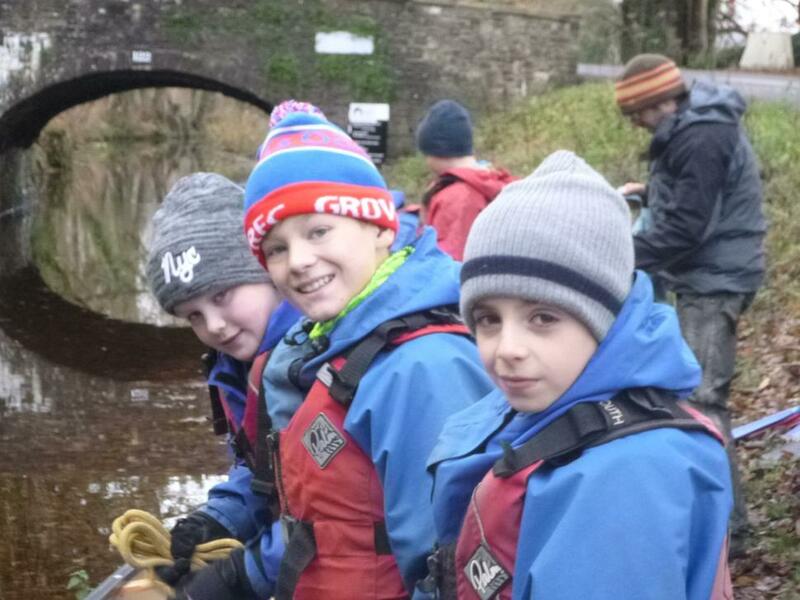 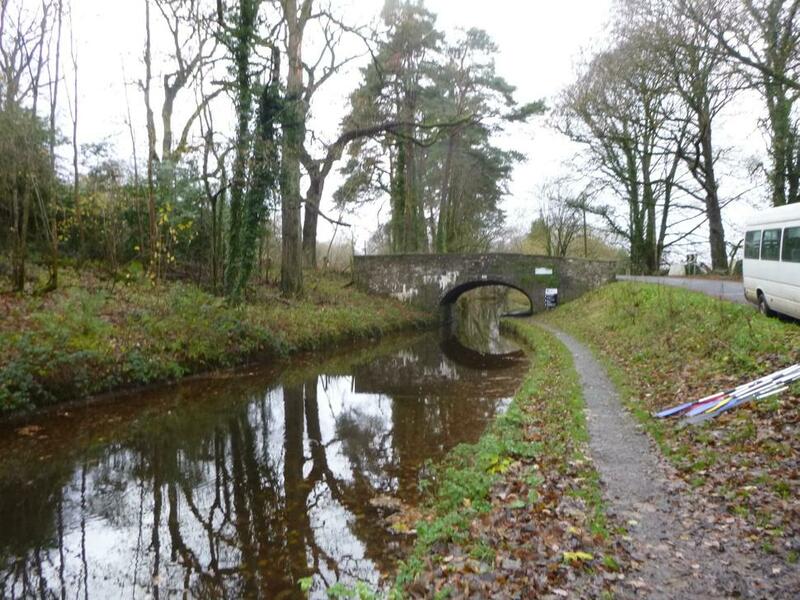 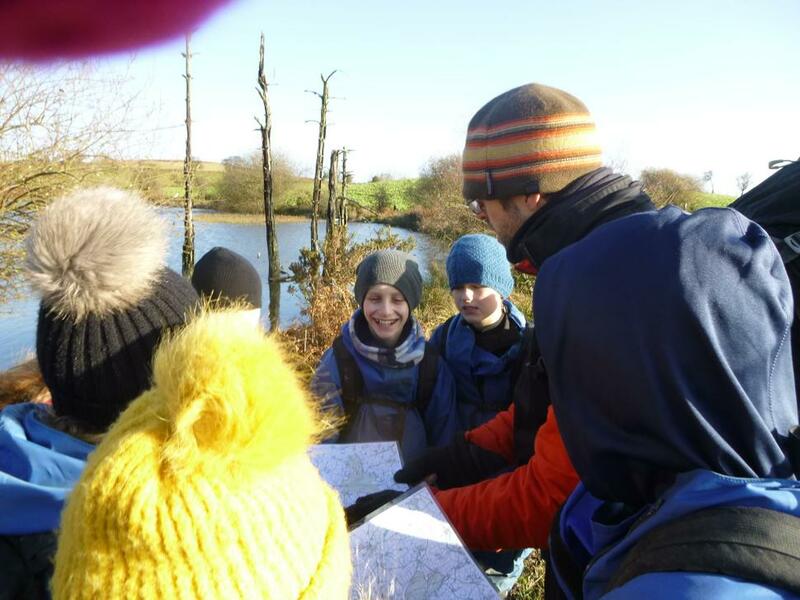 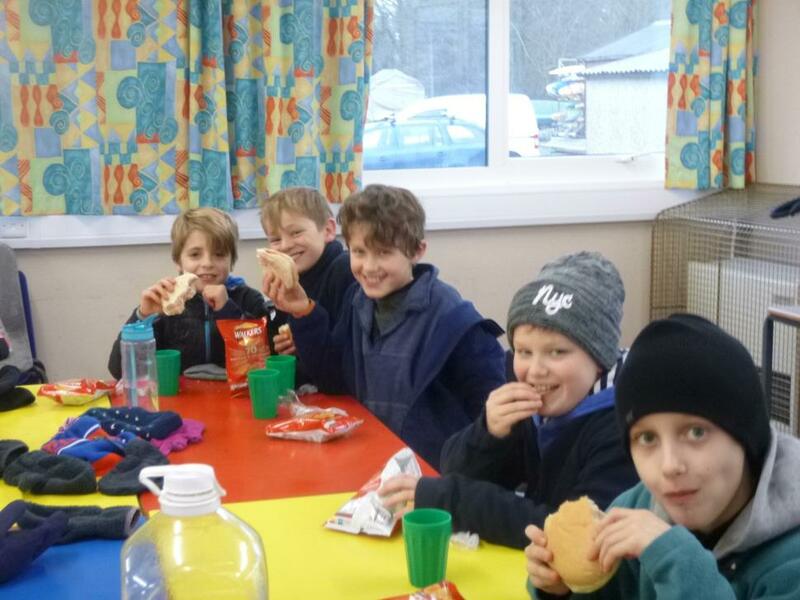 Breakfast is bacon rolls this morning and we will all be wrapping up with many layers and waterproofs as Mrs Brady's group are mountain walking today and the other 2 groups are canoeing on the canal. 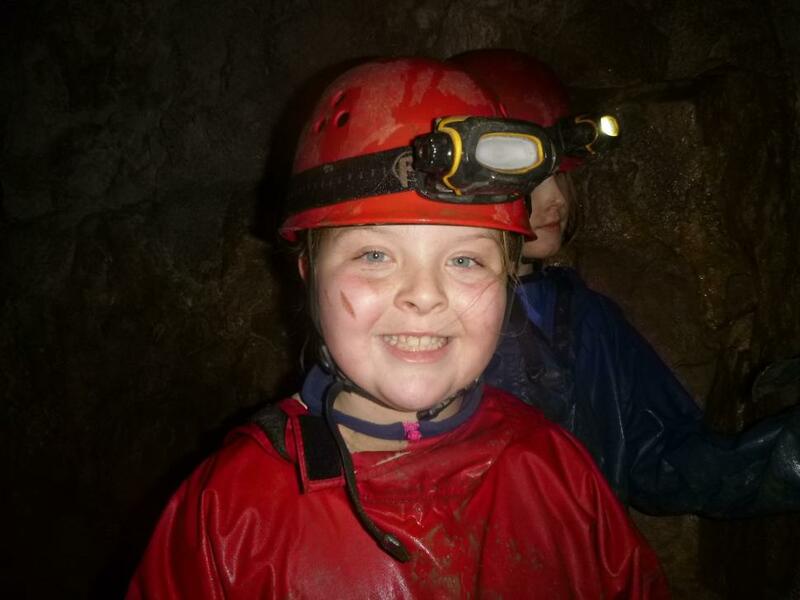 All of the children have had a fabulous day and if you look at all the smiles below in the pictures everyone can see the proof. 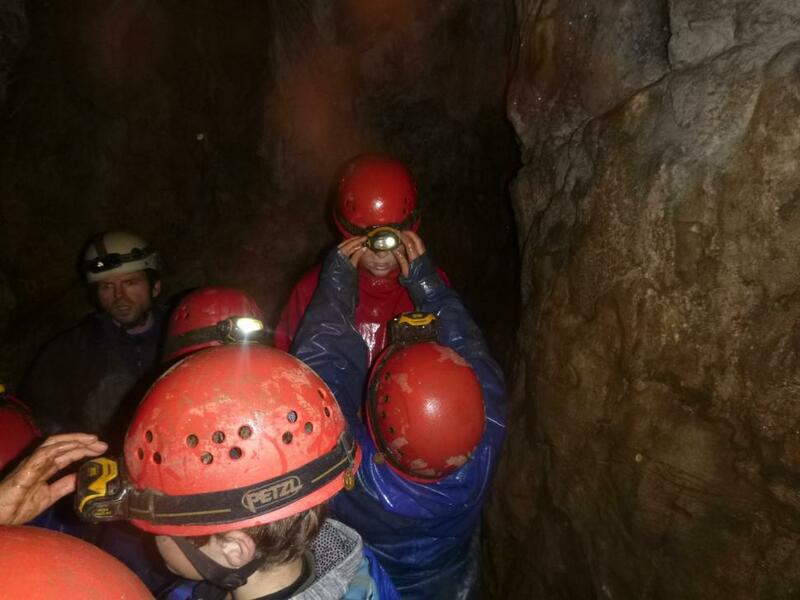 The 2 groups that went caving took quite a long time to get going with some children taking 3 attempts to get everything they needed but eventually we left excited for our day. 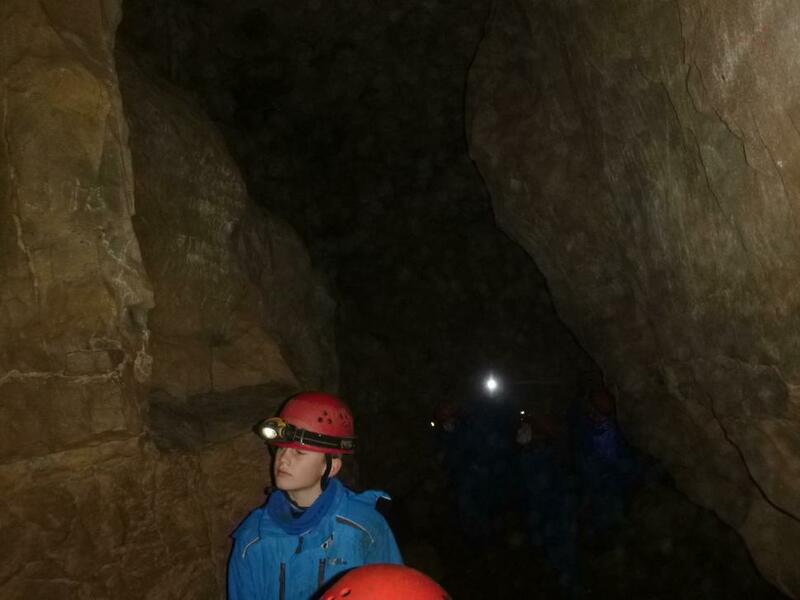 We had a 45 minute trek to the caves where we immediately had lunch. 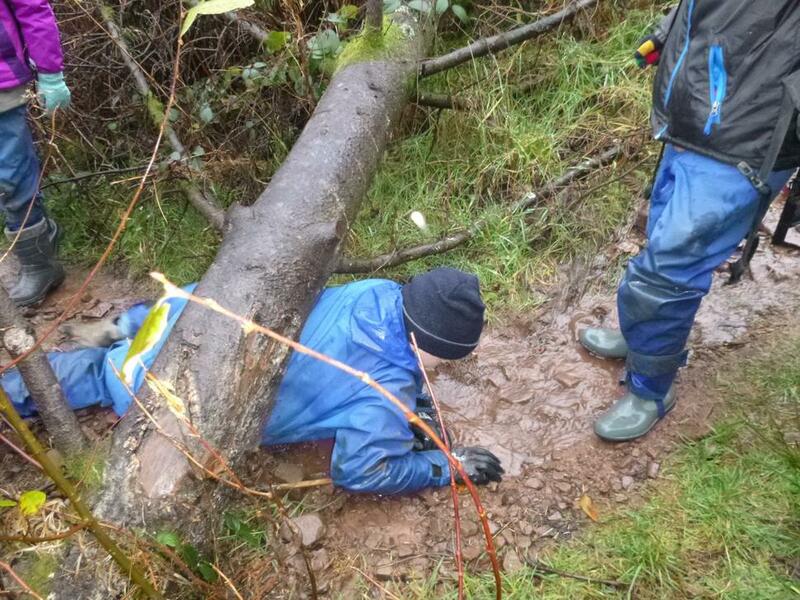 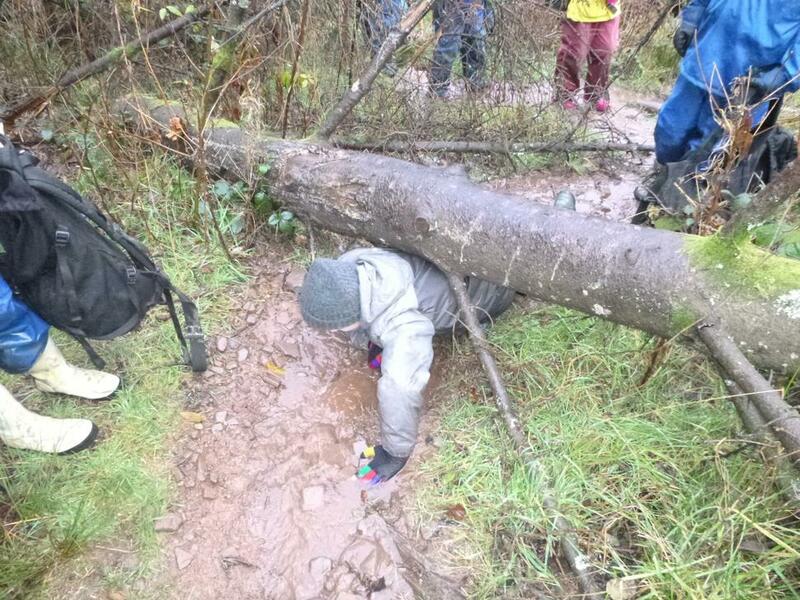 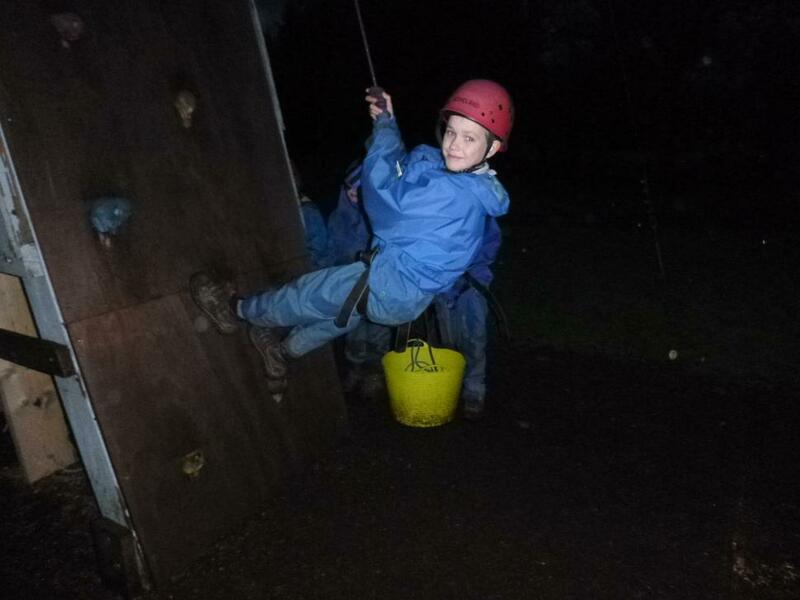 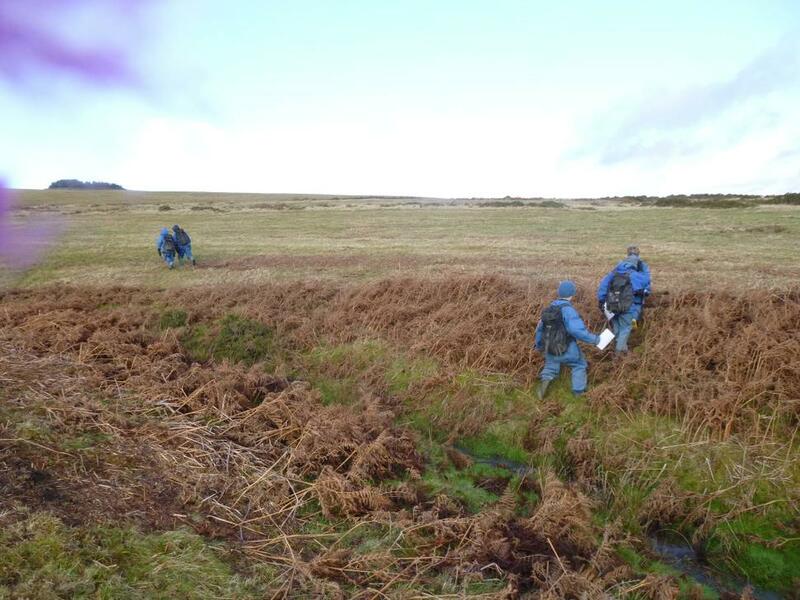 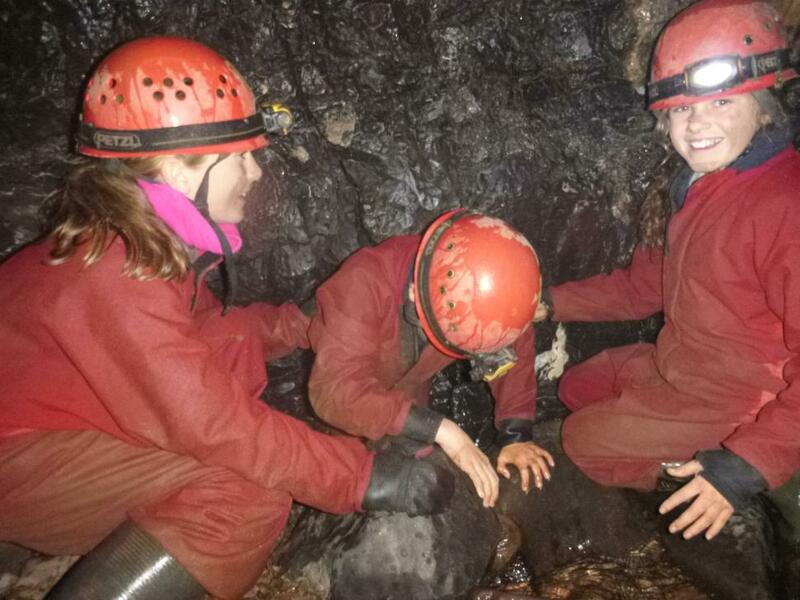 The children completed various challenges and everyone squeezed through small gaps and wriggled on their stomachs through narrow holes. 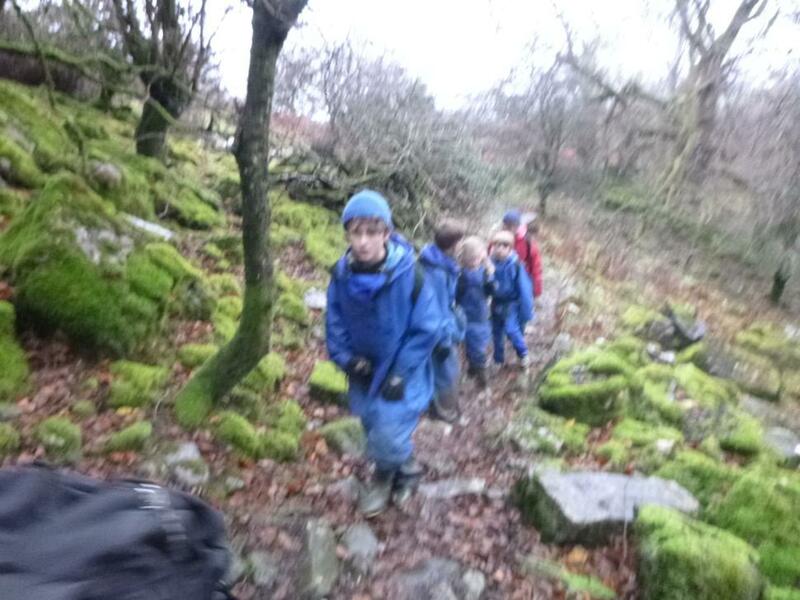 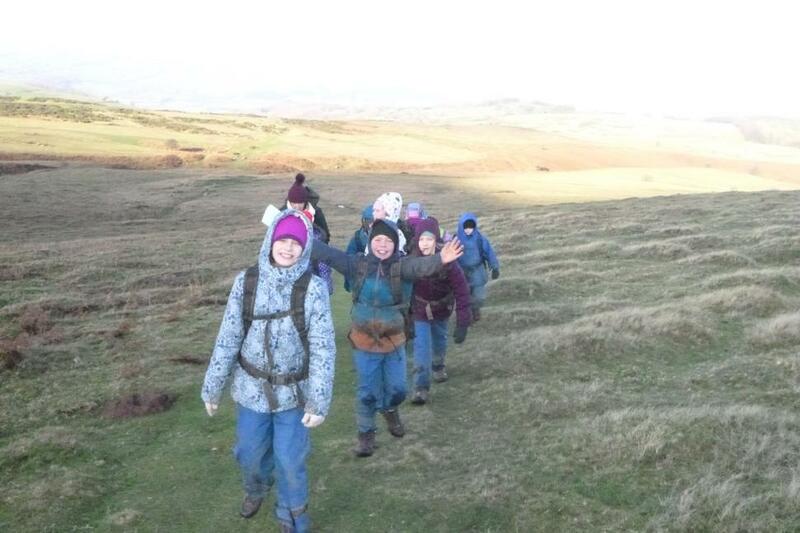 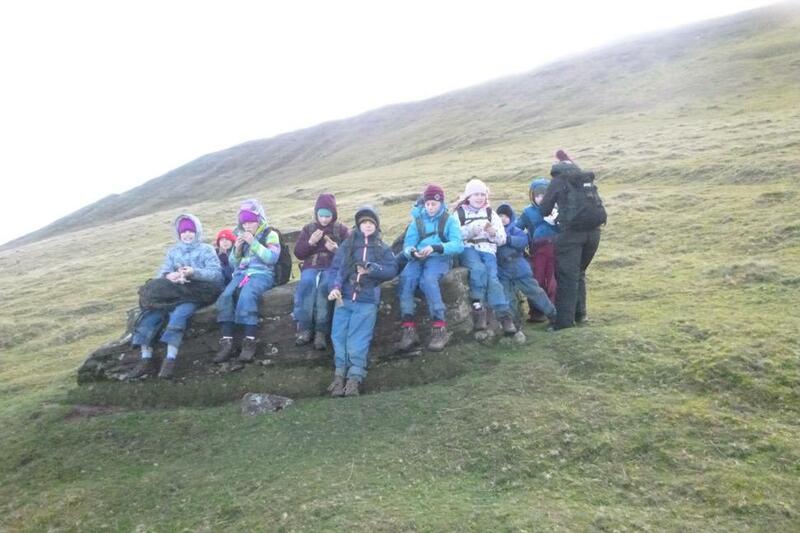 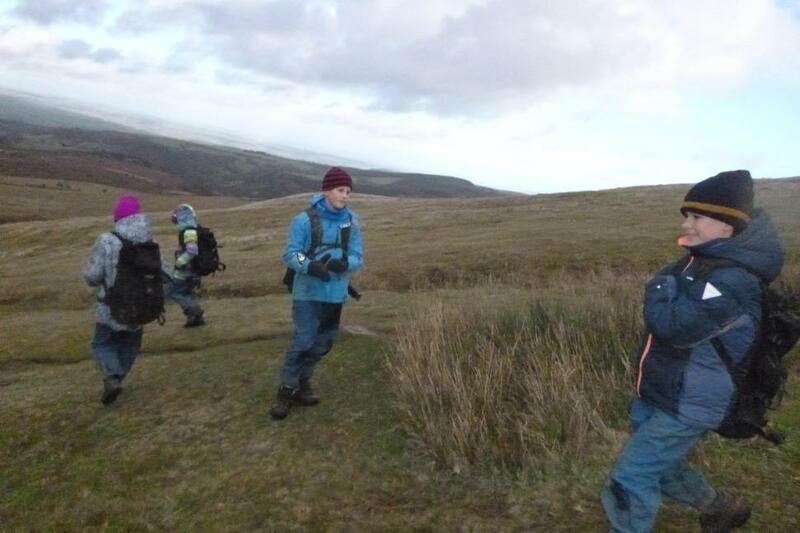 Very dirty smiles and hands were had by everyone as we walked back to the minibus. 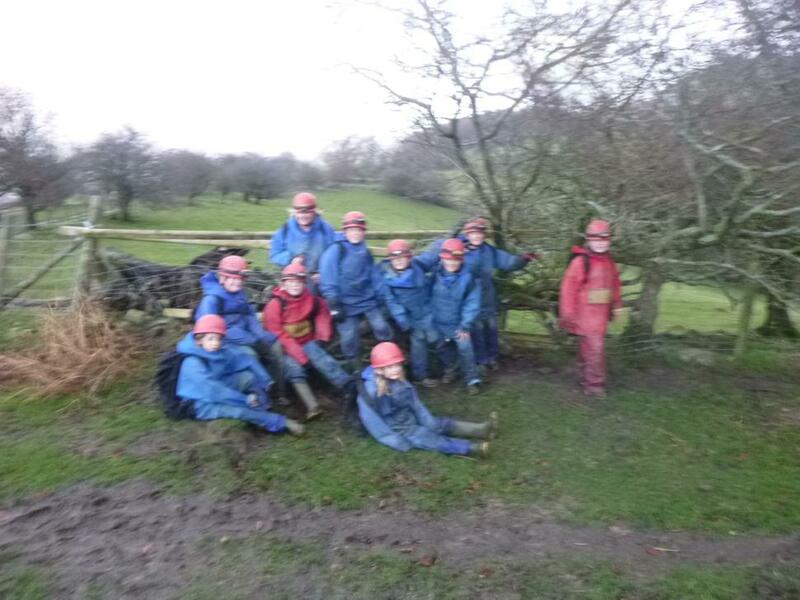 The other group also had a fabulous day on site. 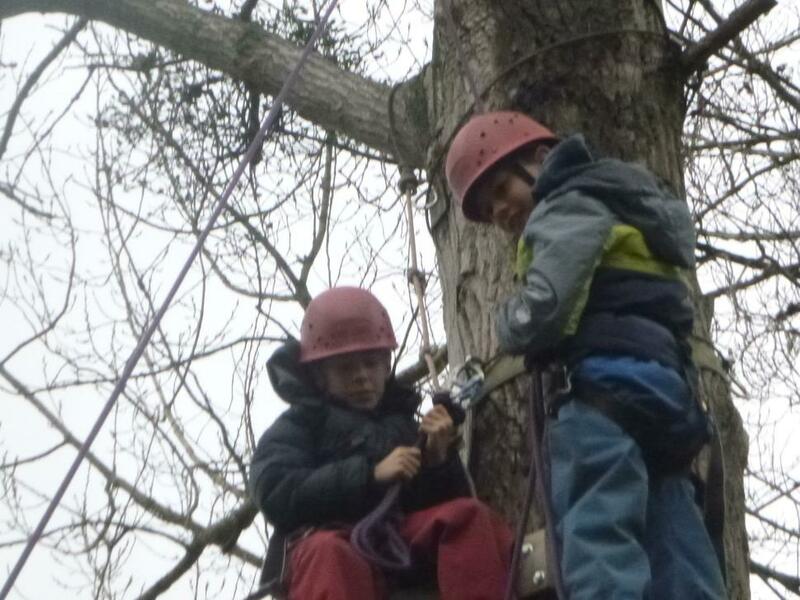 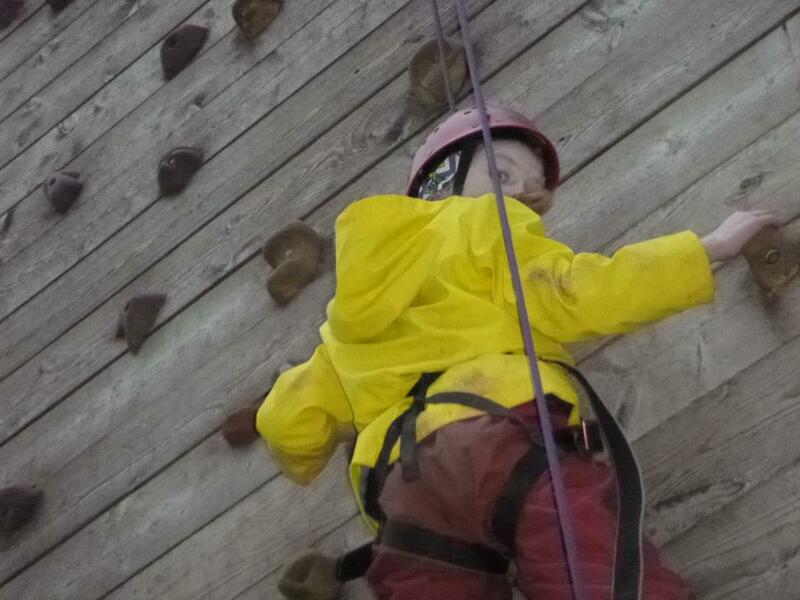 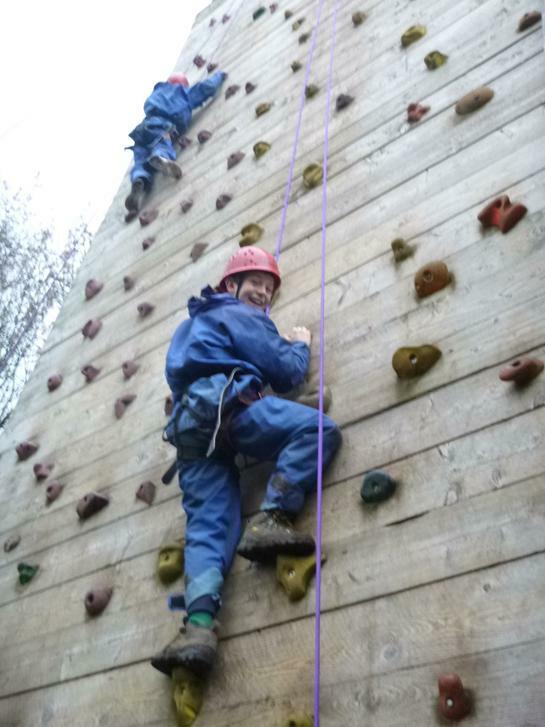 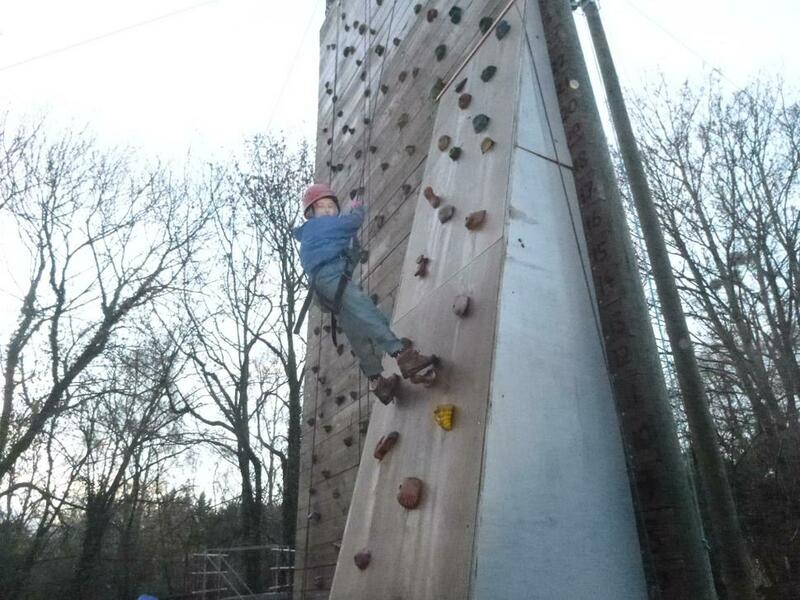 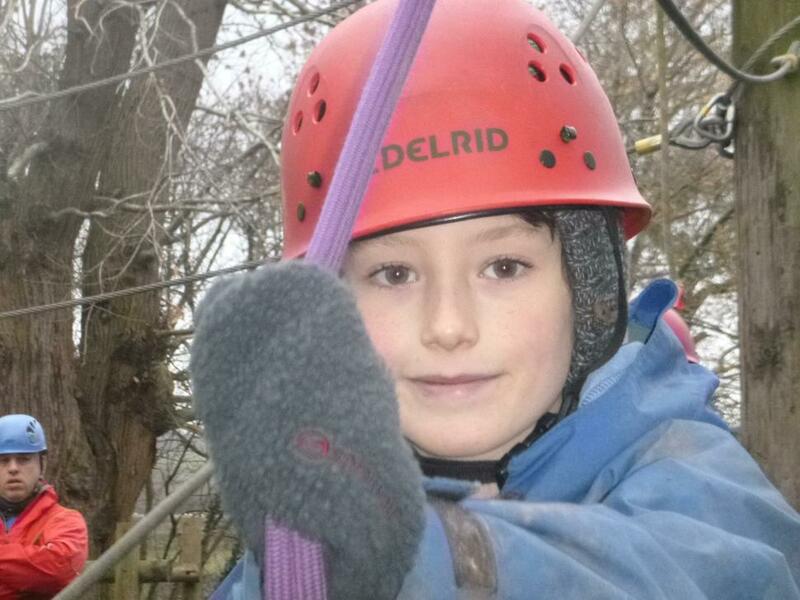 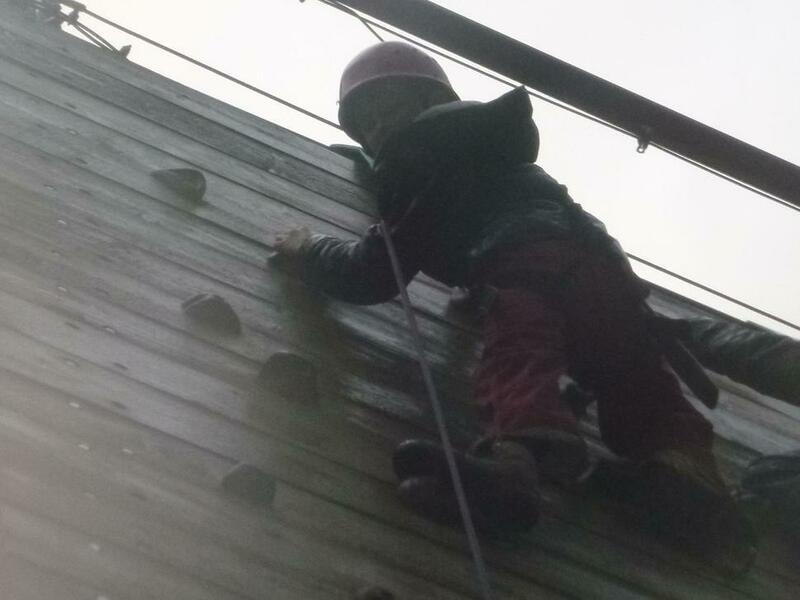 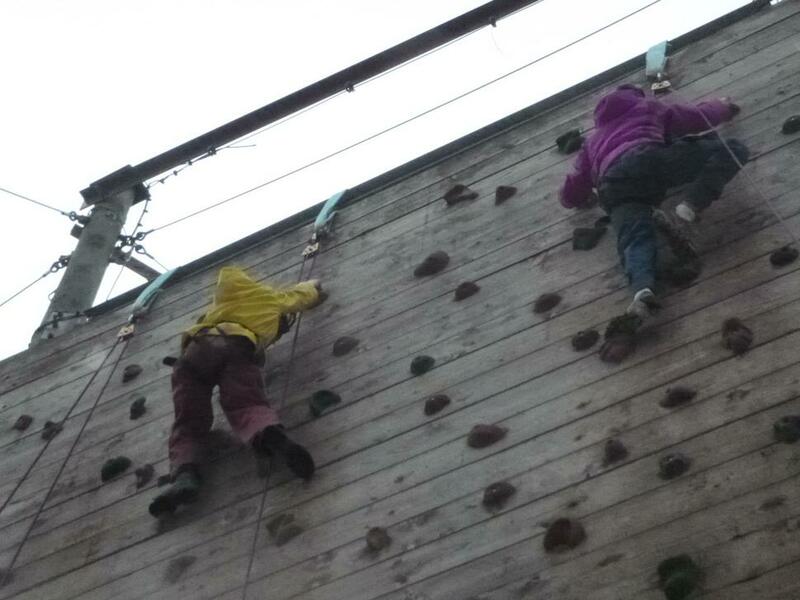 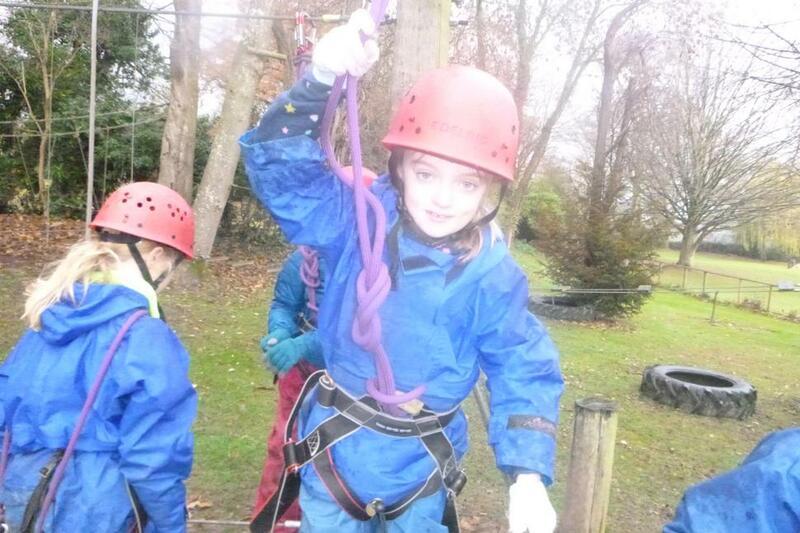 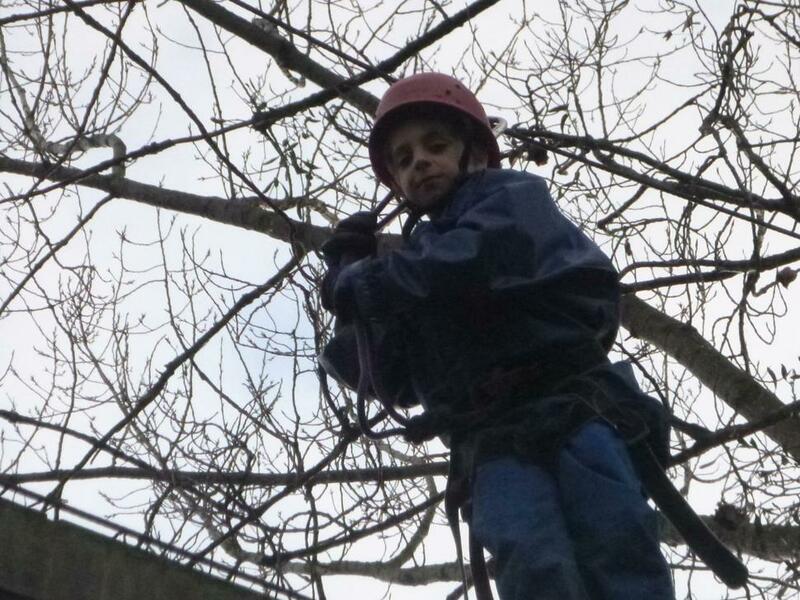 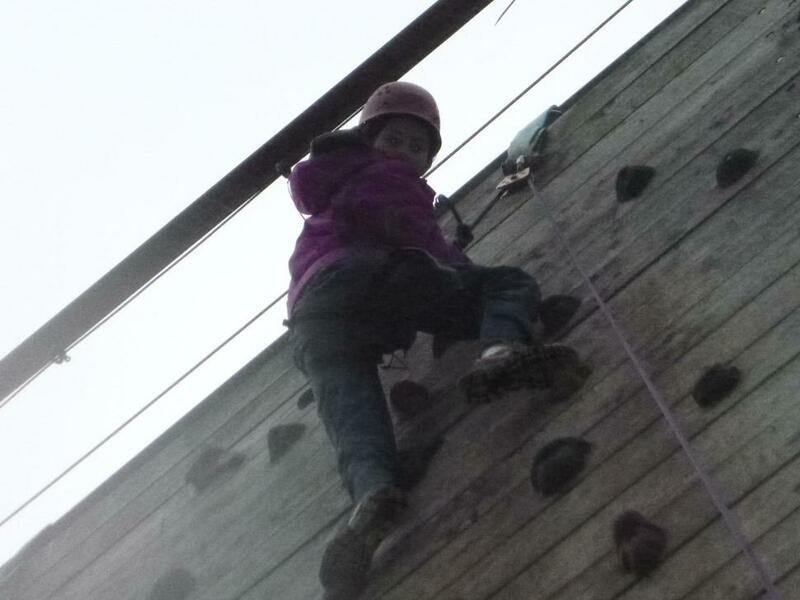 The children completed the high ropes in style and everyone surpassed their target on the climbing wall. 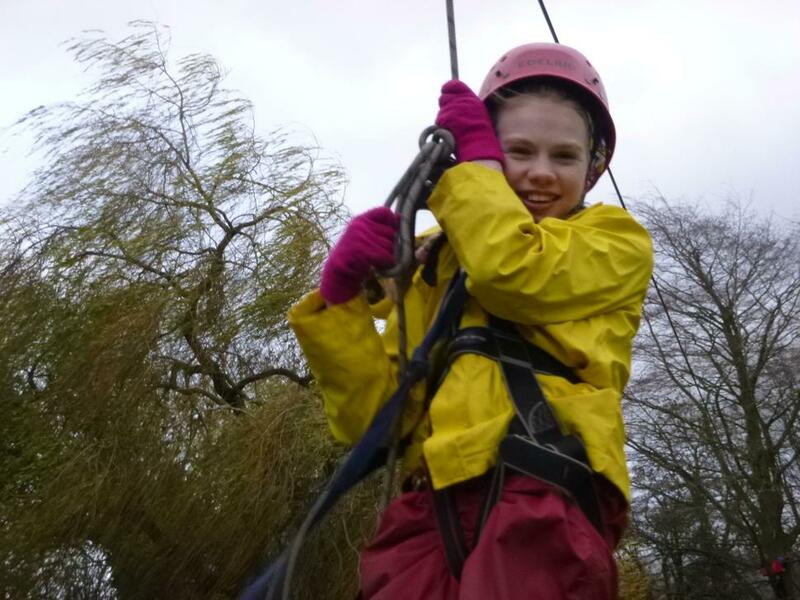 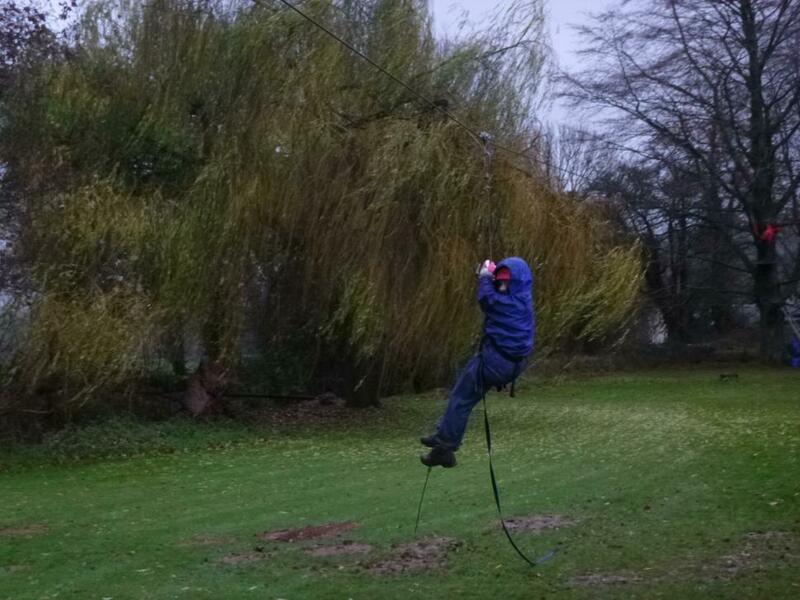 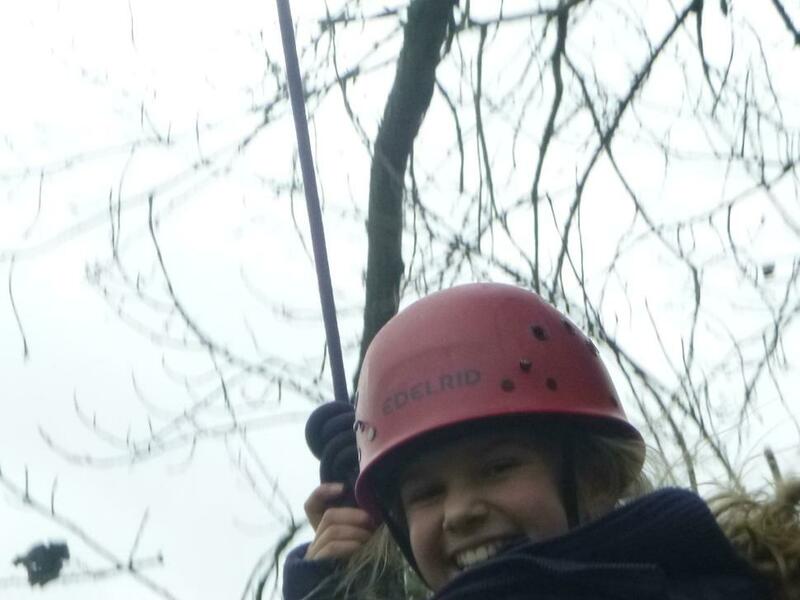 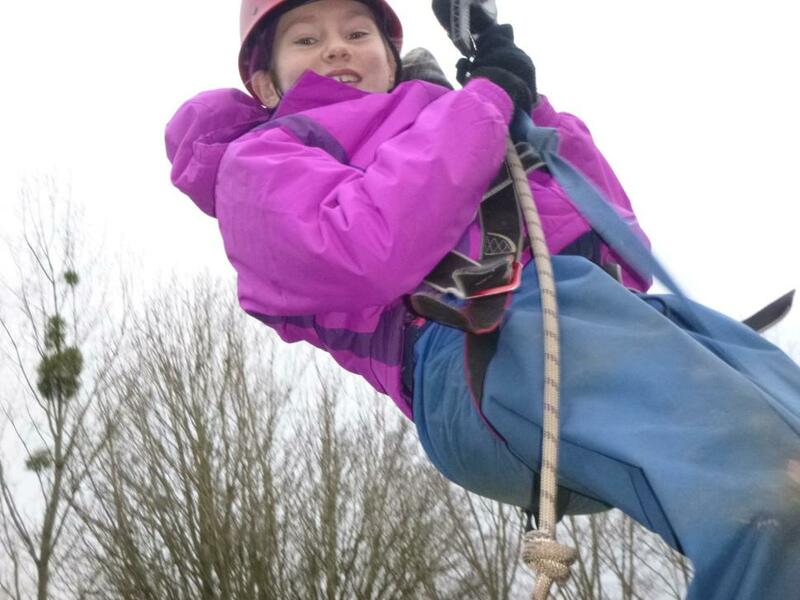 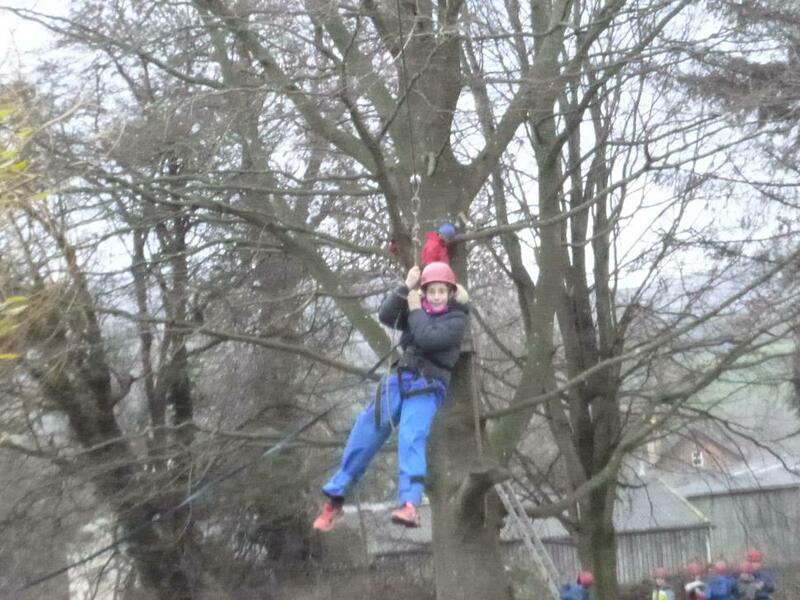 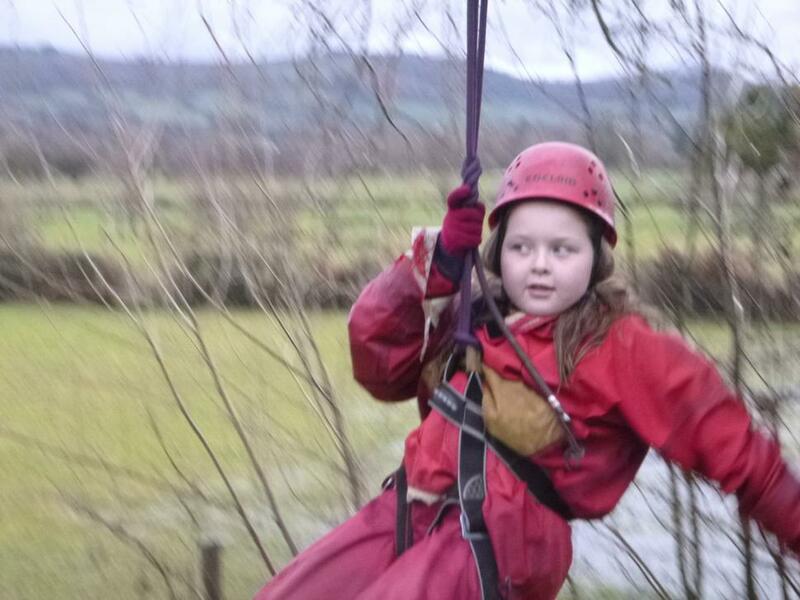 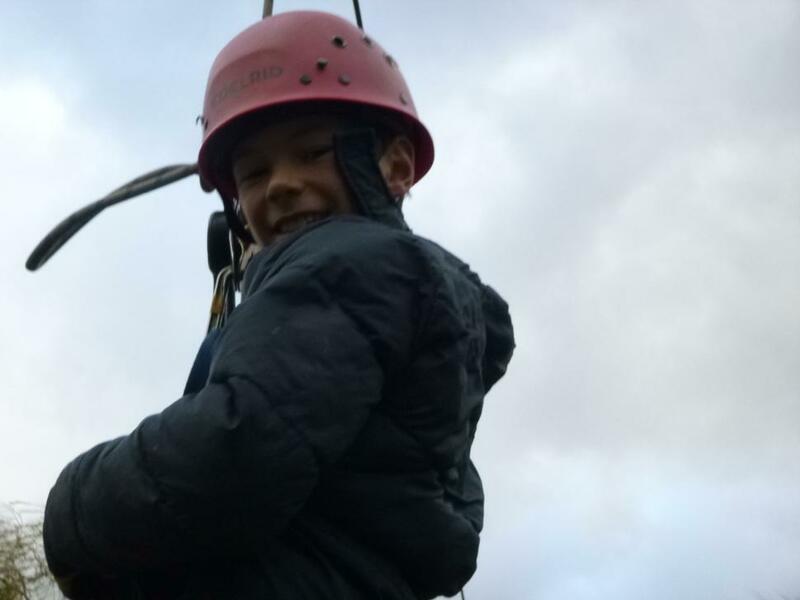 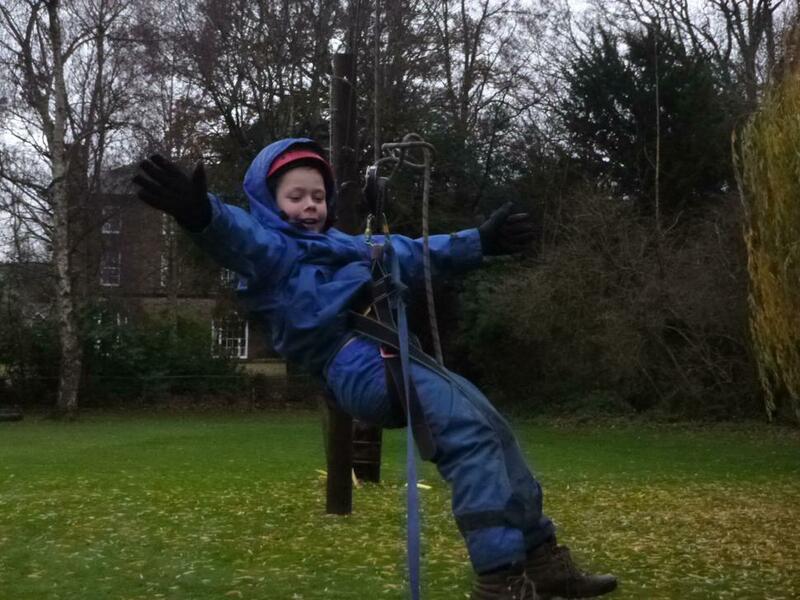 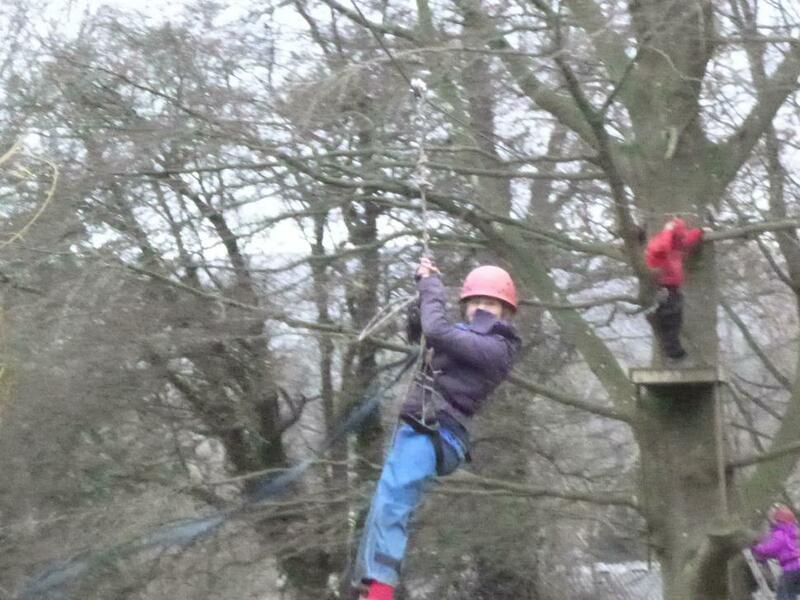 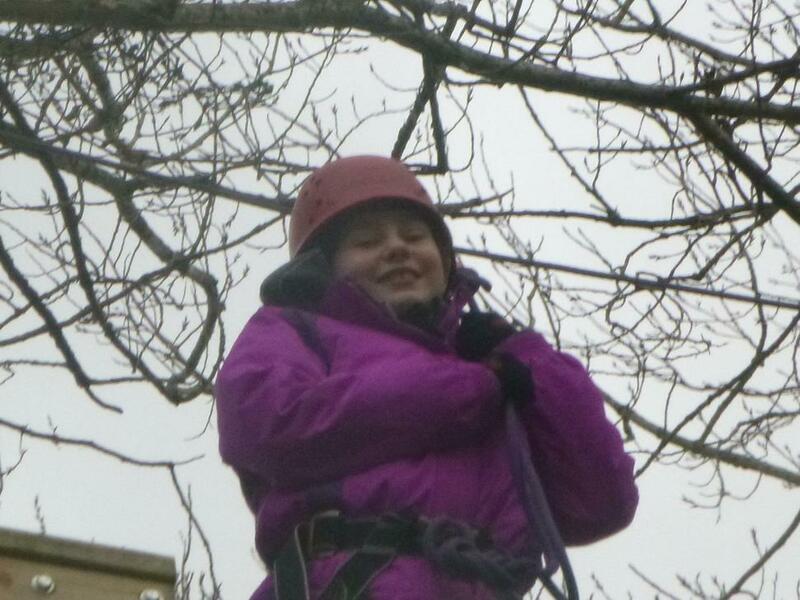 The zip wire was,again, a favourite with everyone and every child on site today completed the zip wire. 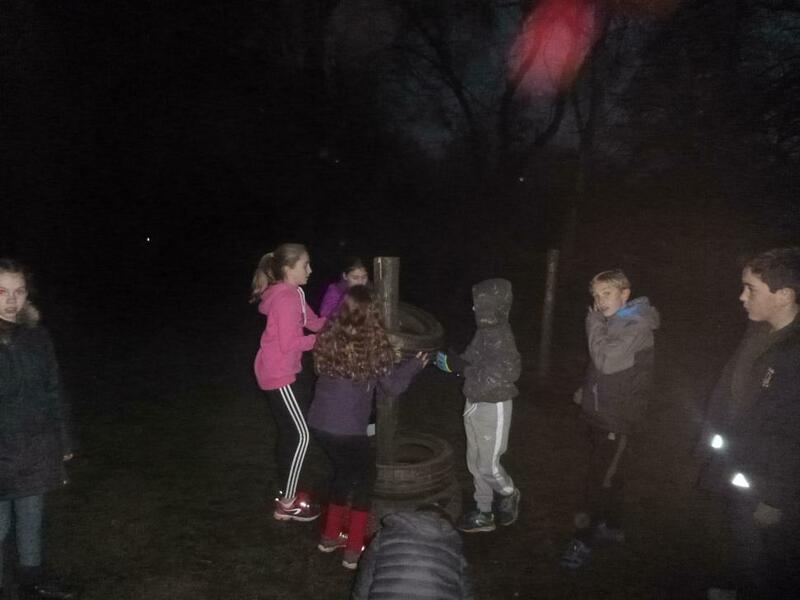 This evening, we have had an orienteering challenge further a field in the grounds and then we ended the day with hot chocolate and read our story after discussing their favourite and proudest moments of the day. 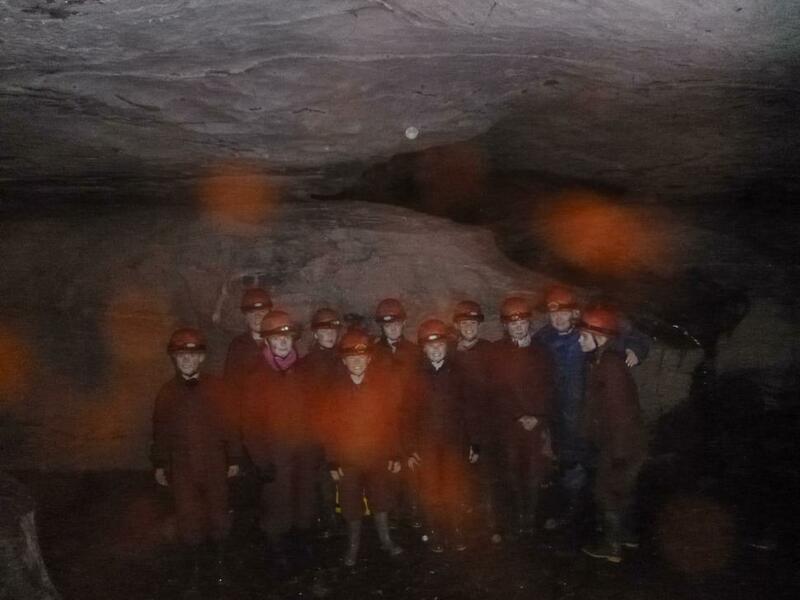 All are quiet and in bed now for hopefully another good night's sleep. 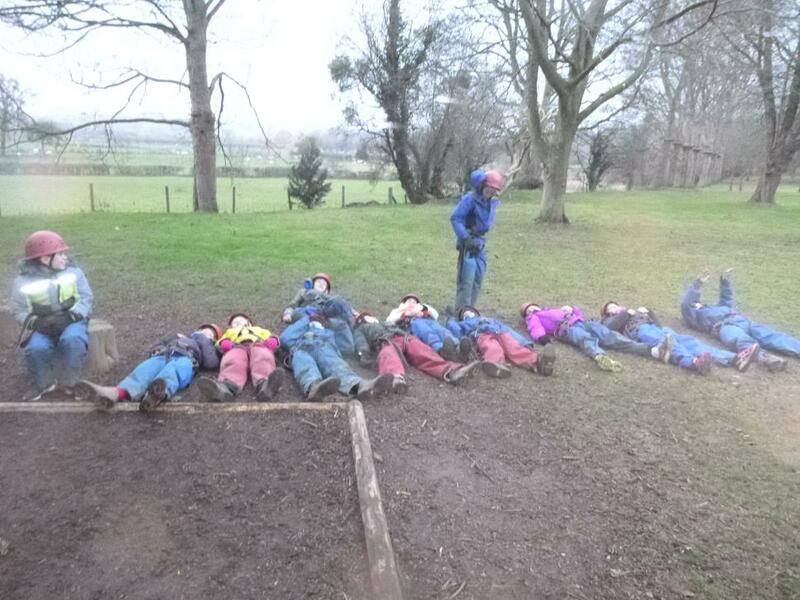 All children have had a fantastic night's sleep. 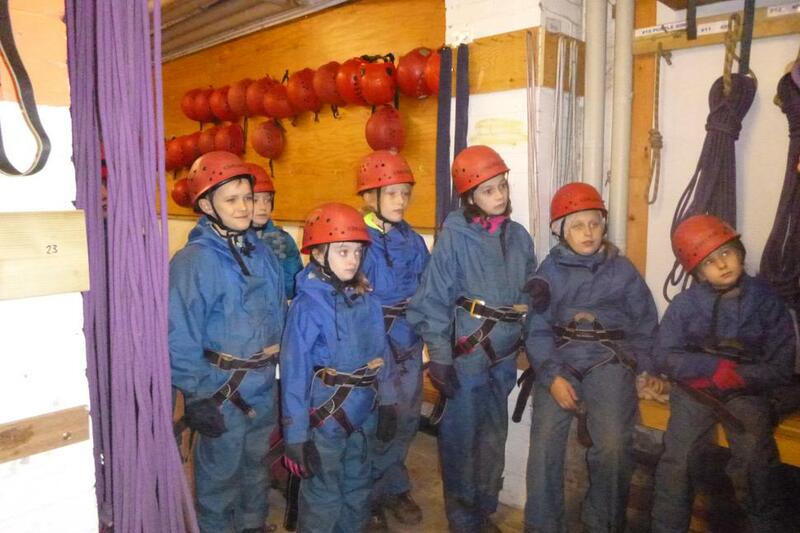 Some rooms have had to be woken today which is always a sign that the children are doing well. 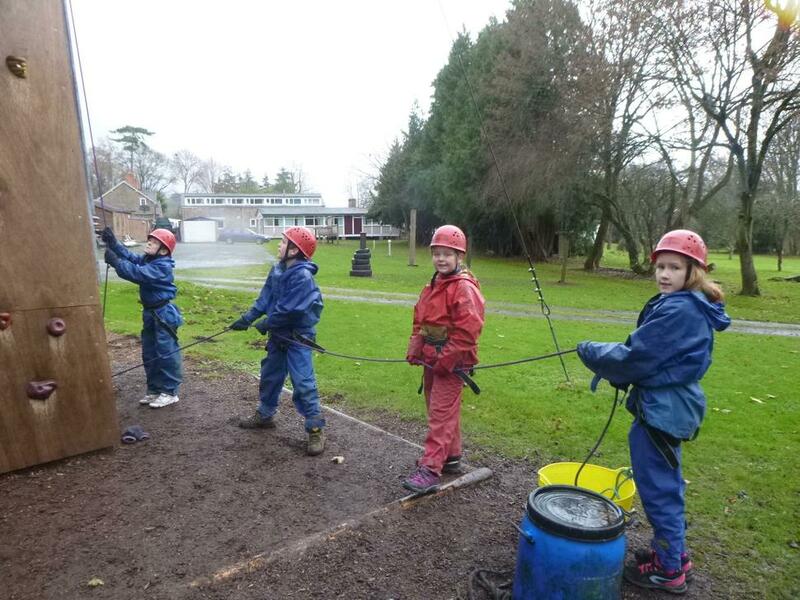 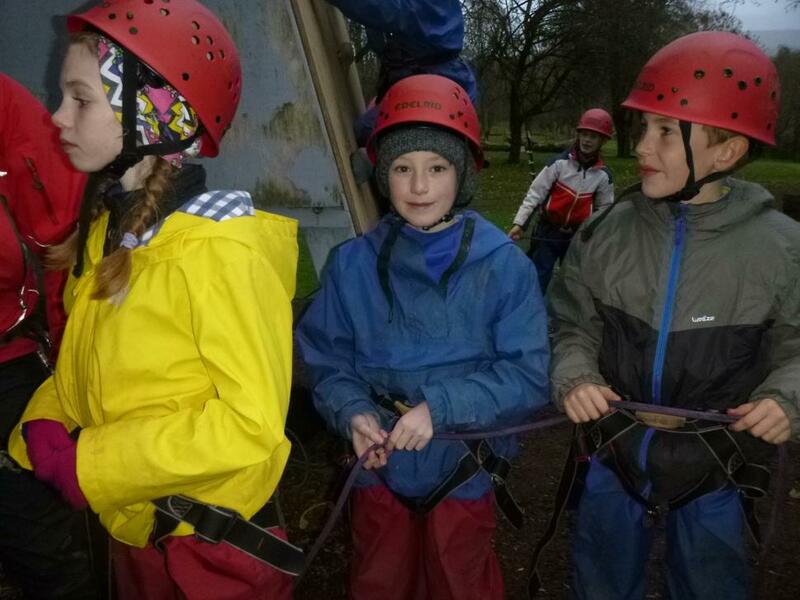 Today, the other 2 groups will go caving and one group will stay onsite and do the high ropes course, climbing wall and zip wire. 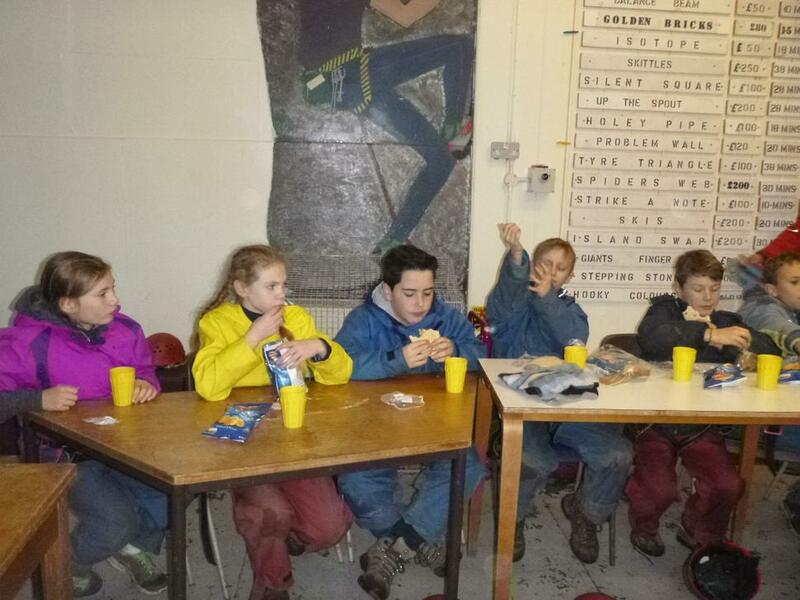 All children slept well last night and began their day with a filling breakfast of cereal, toast and scrambled egg. 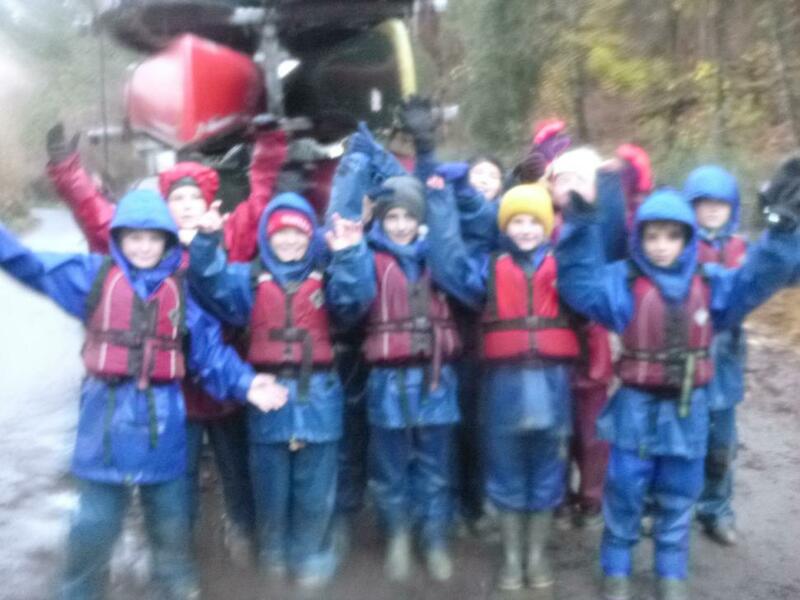 Today has been a very wet day but fantastic all the same. 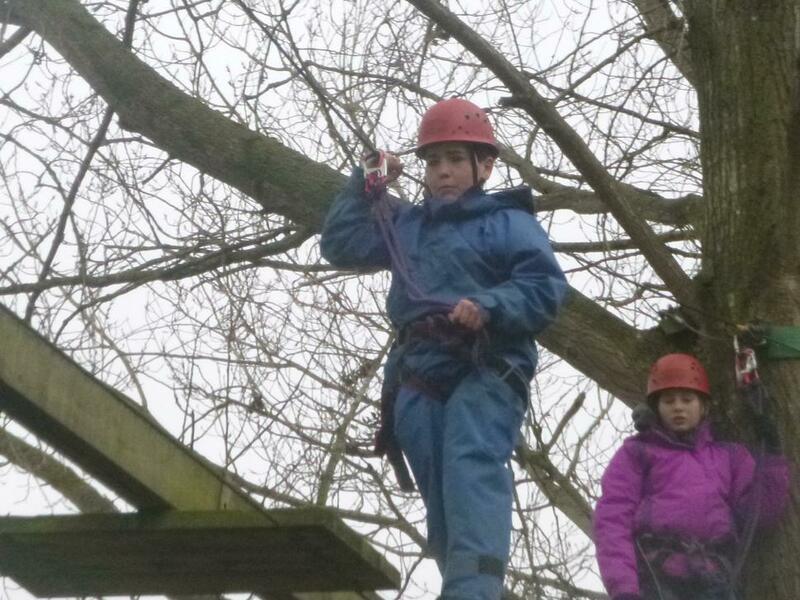 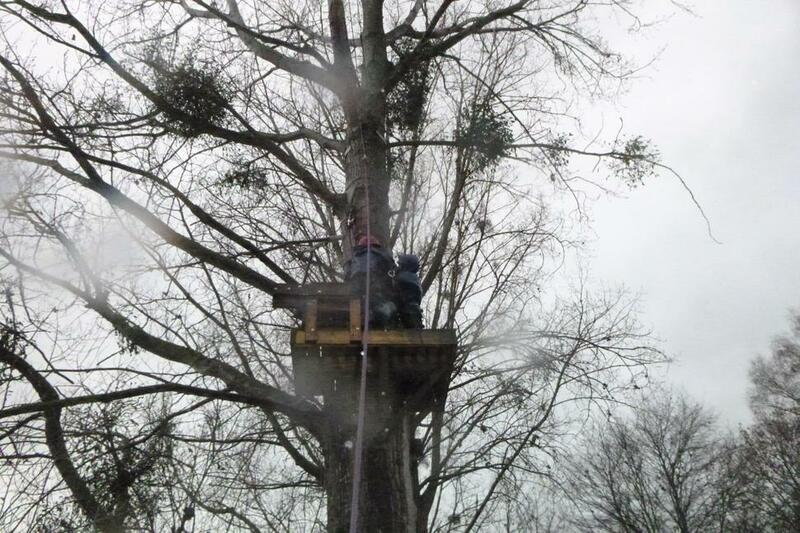 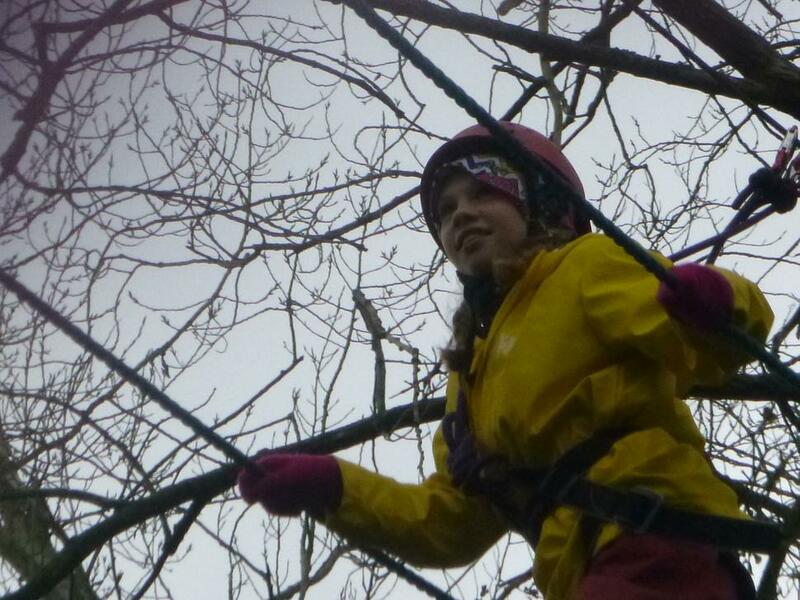 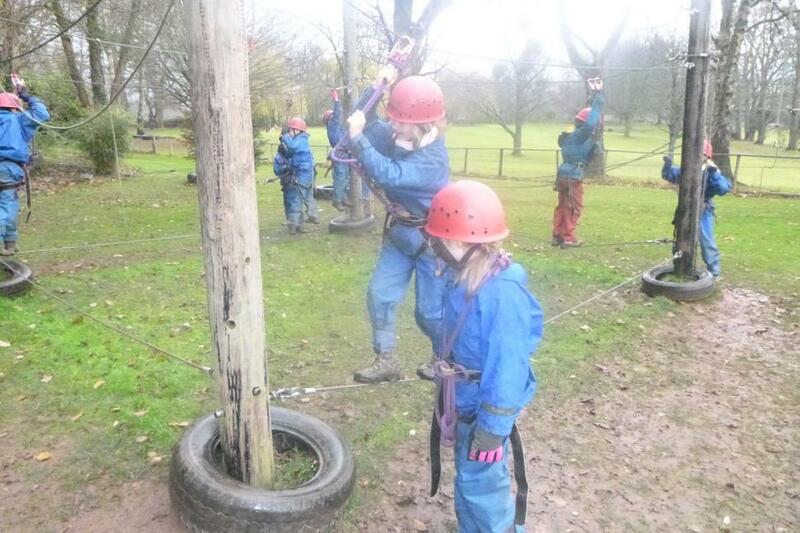 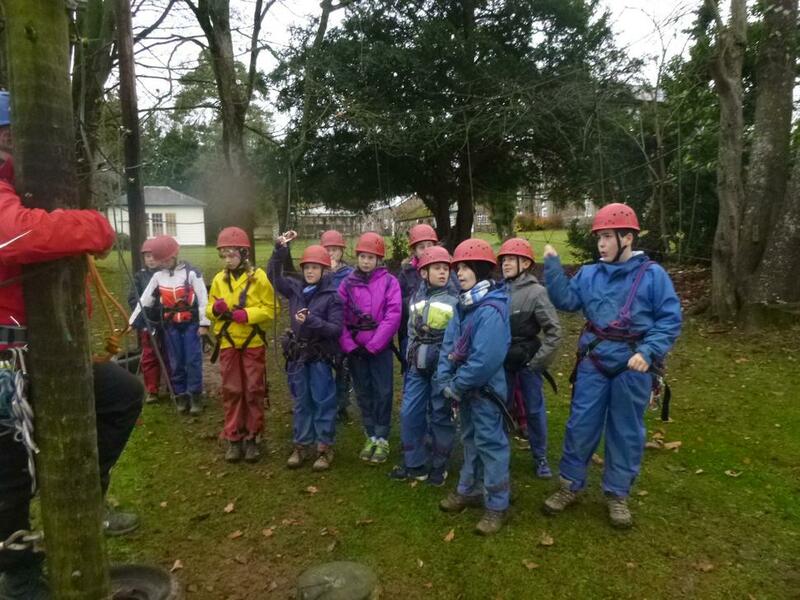 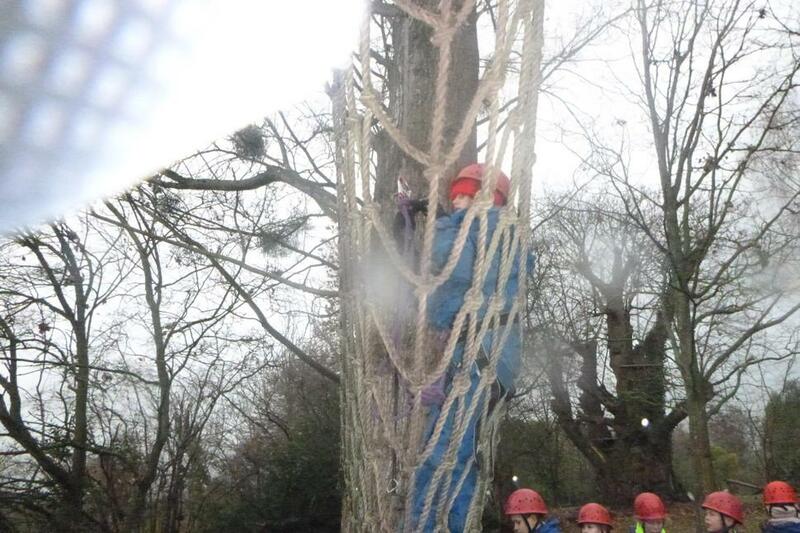 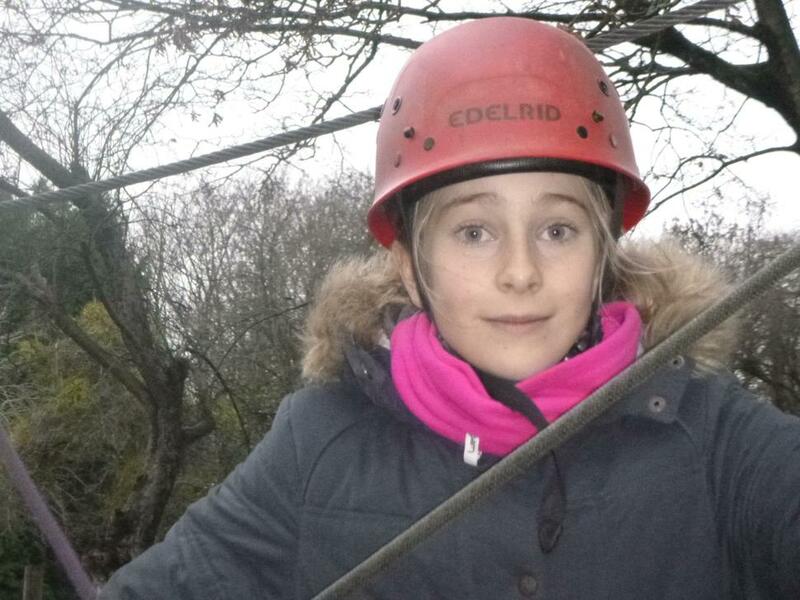 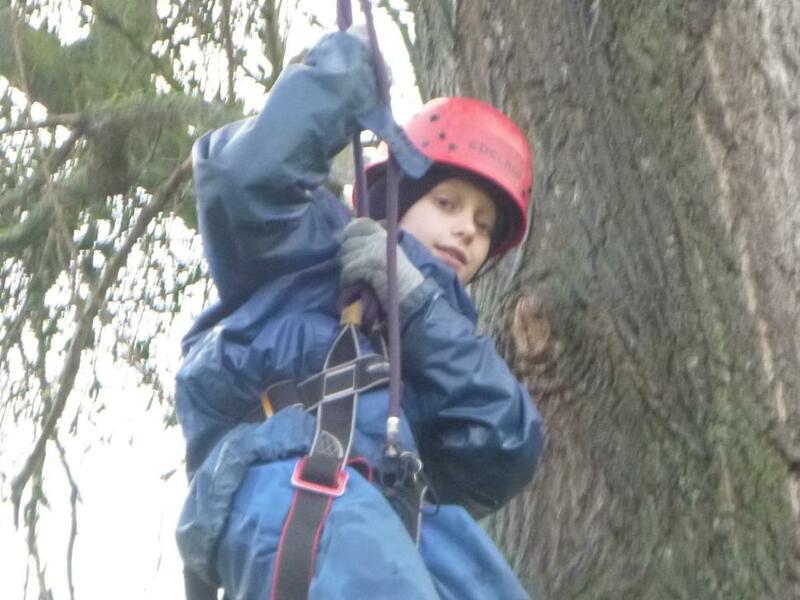 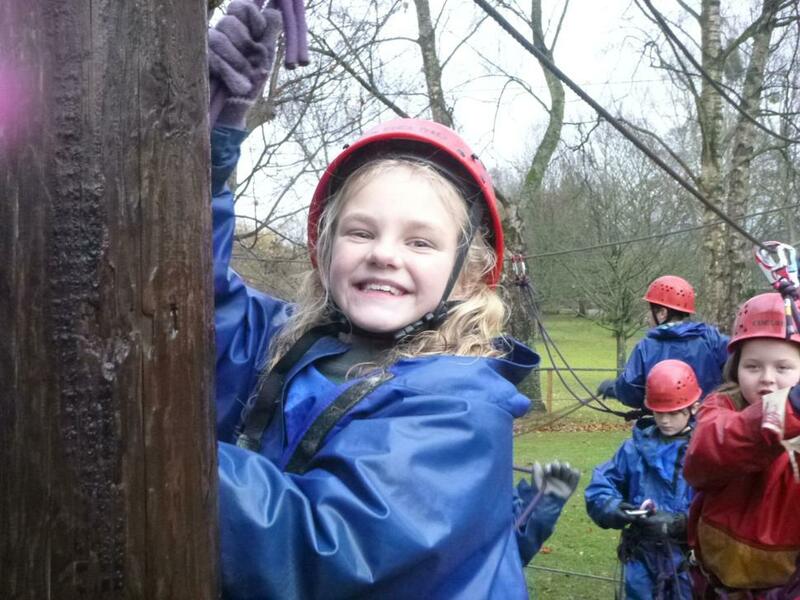 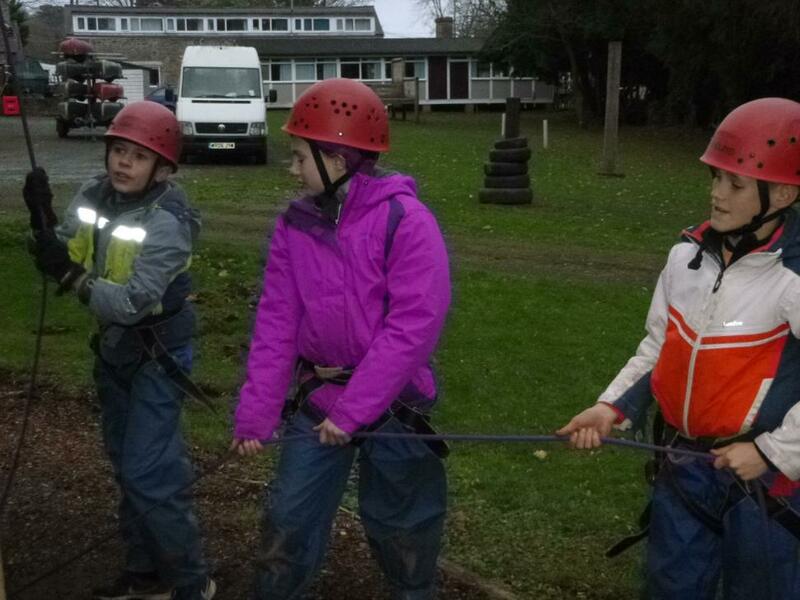 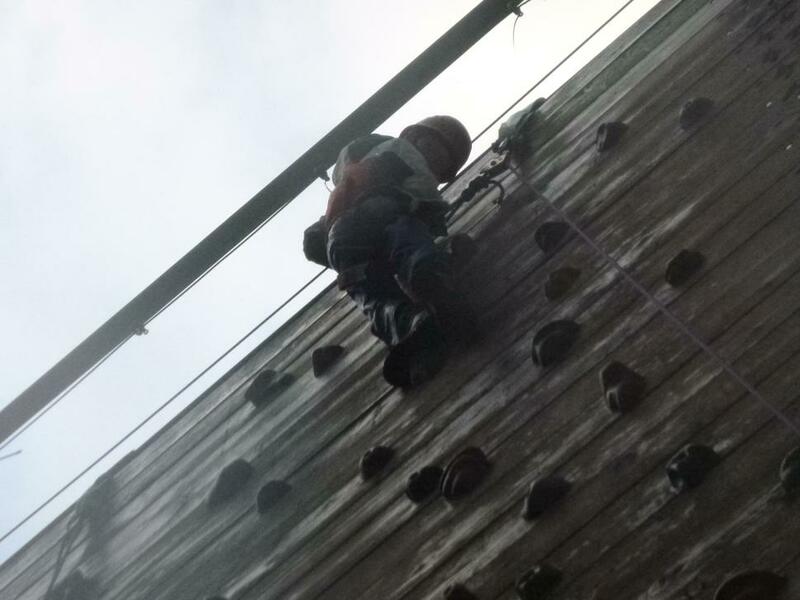 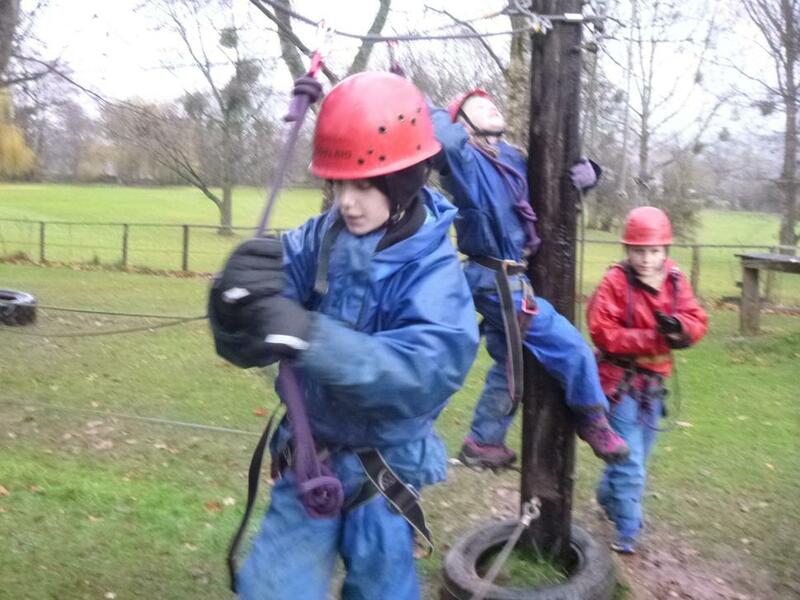 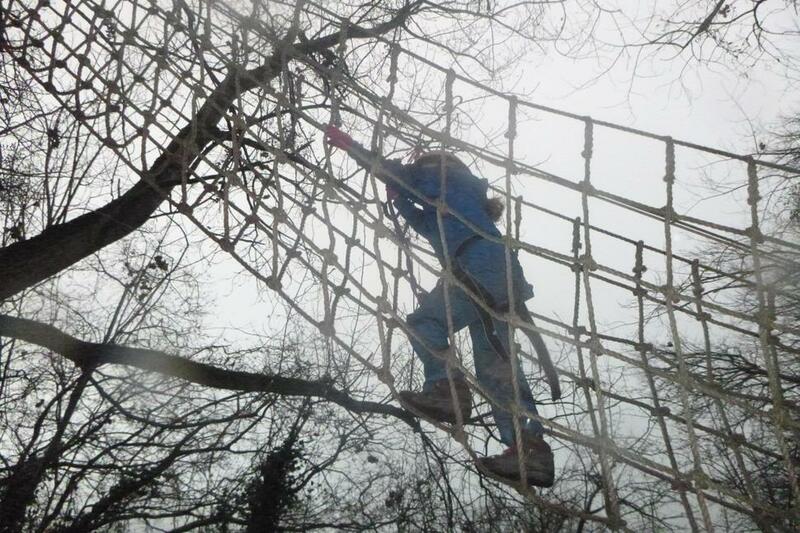 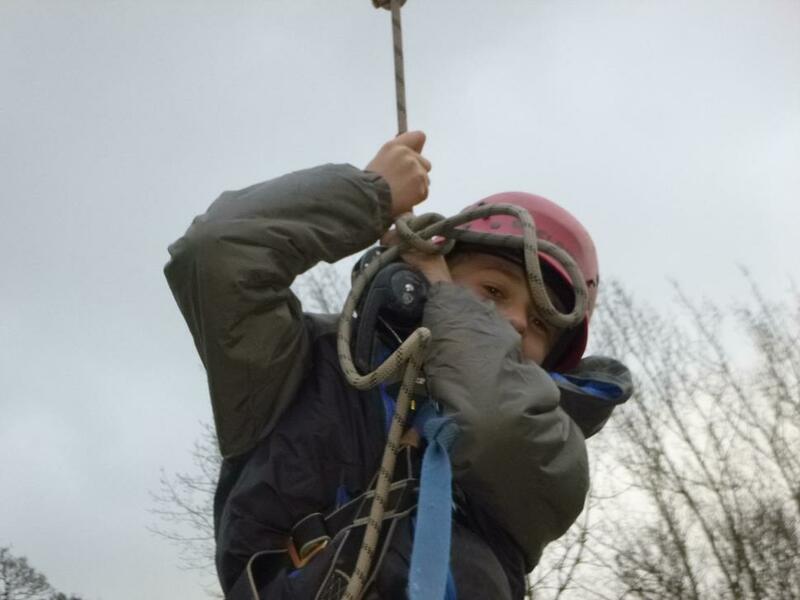 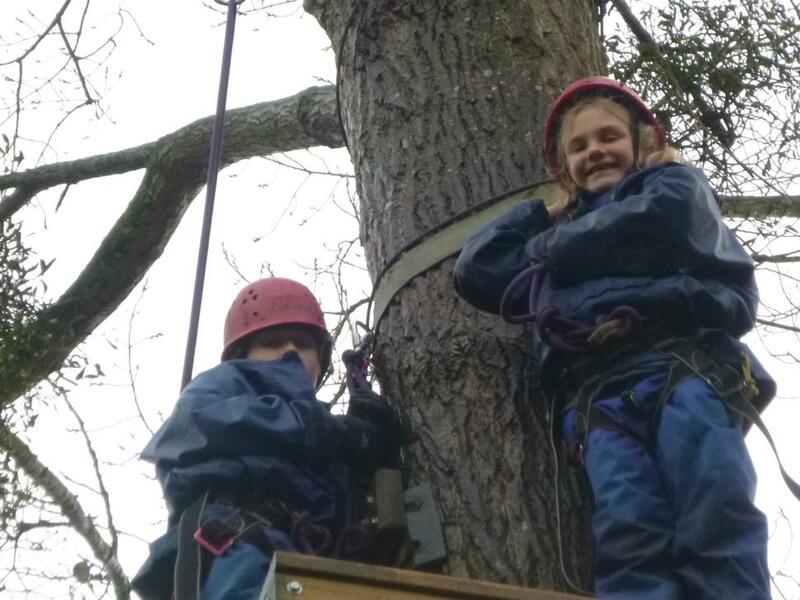 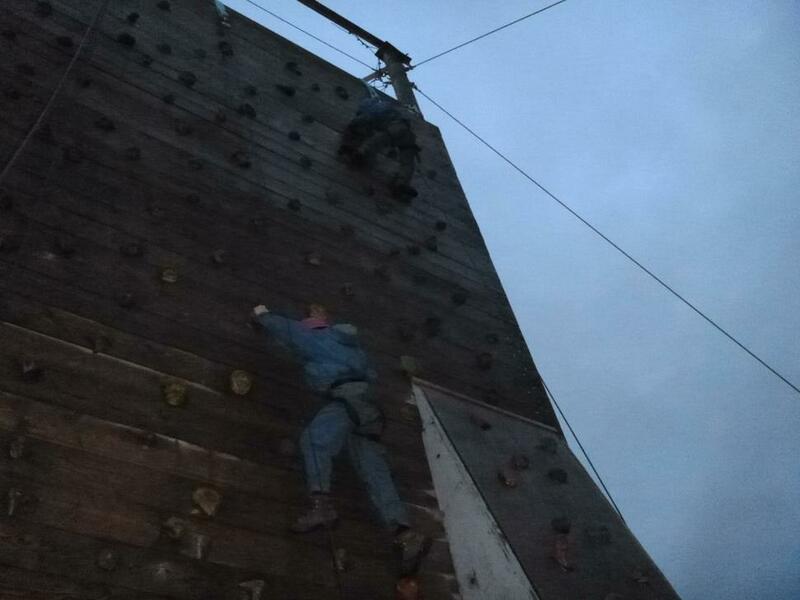 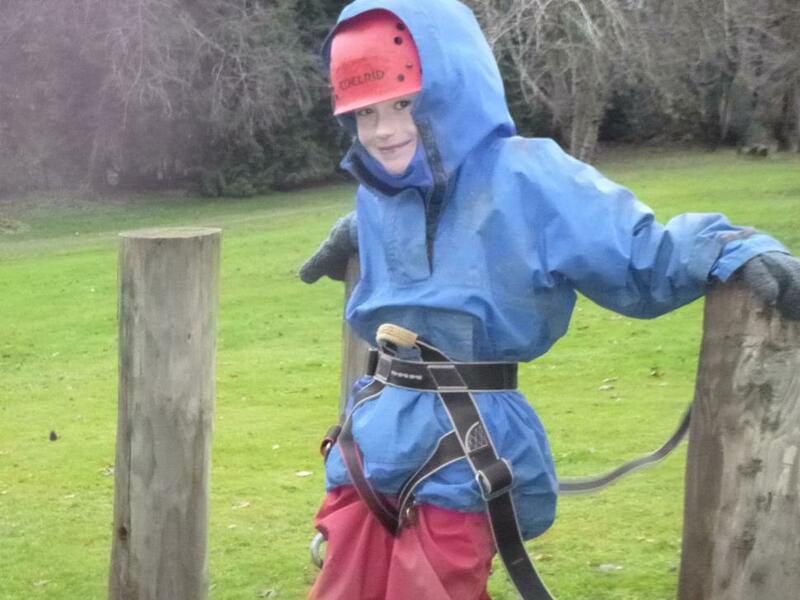 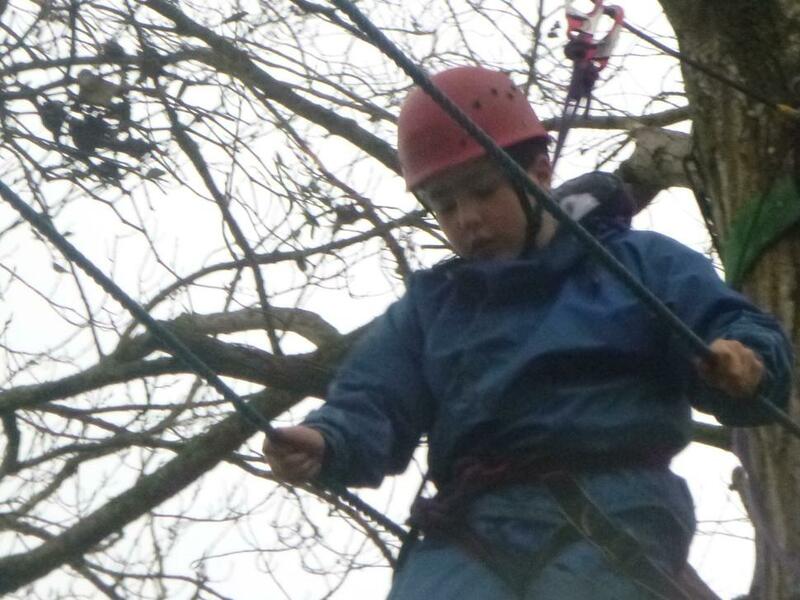 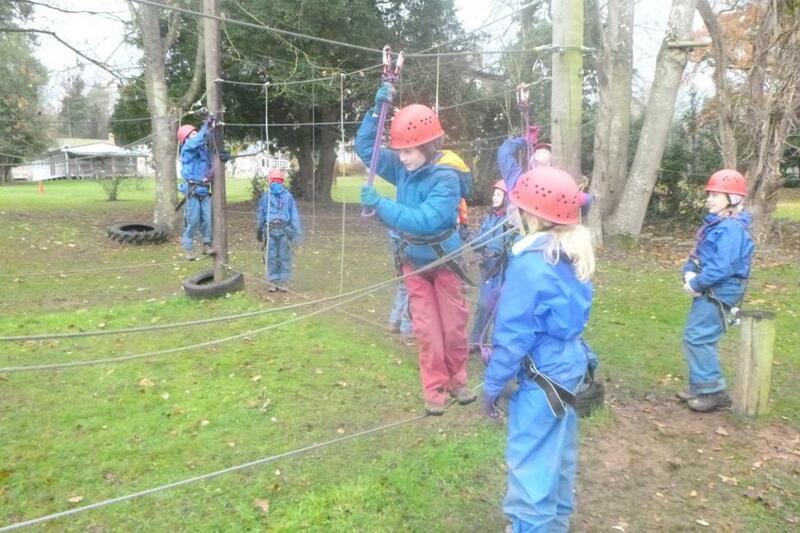 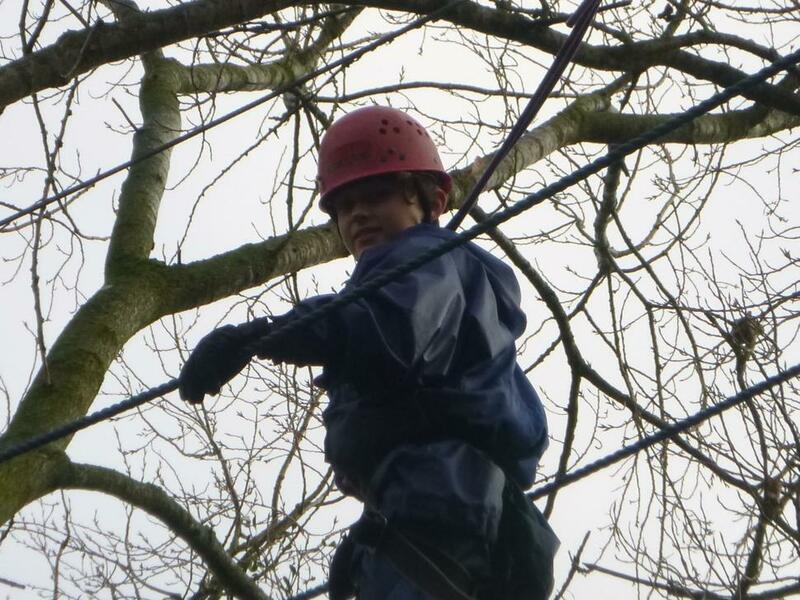 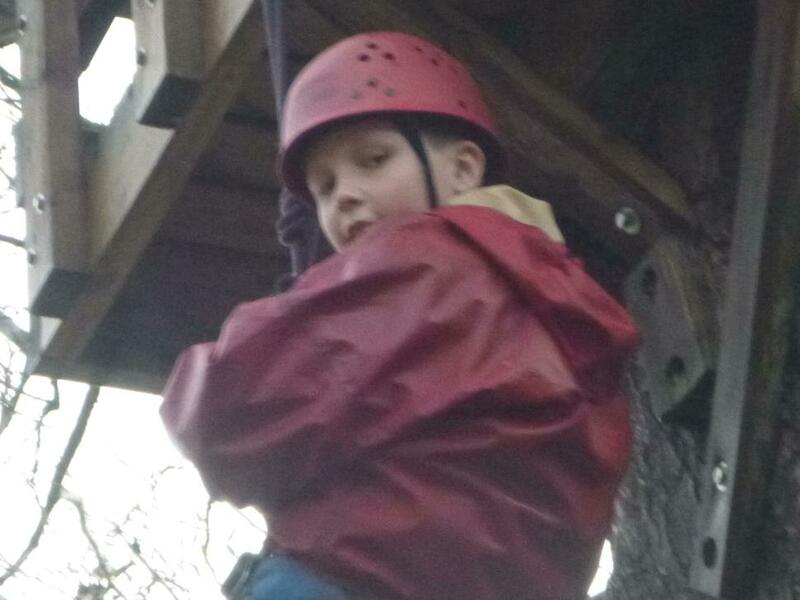 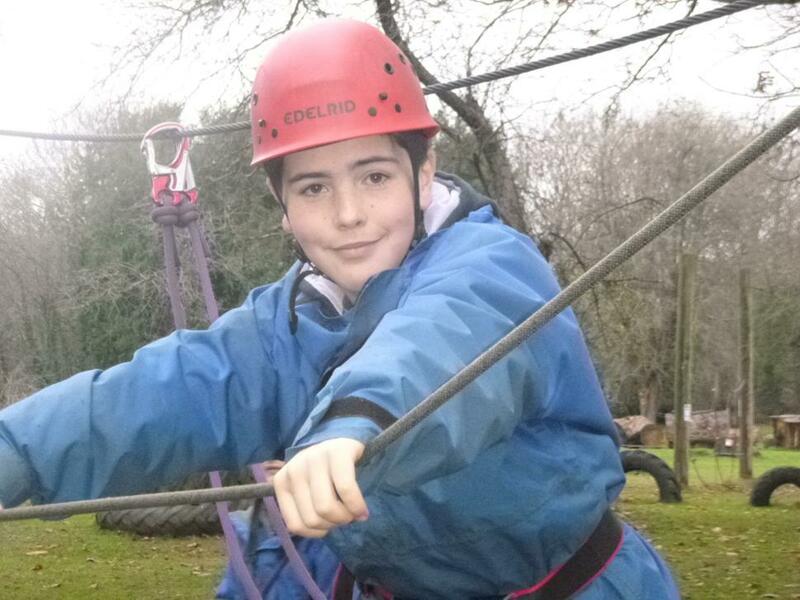 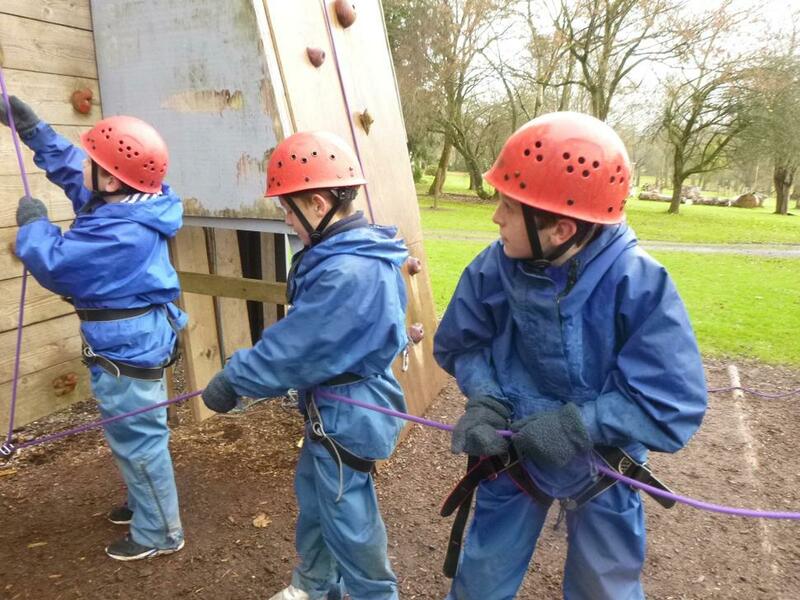 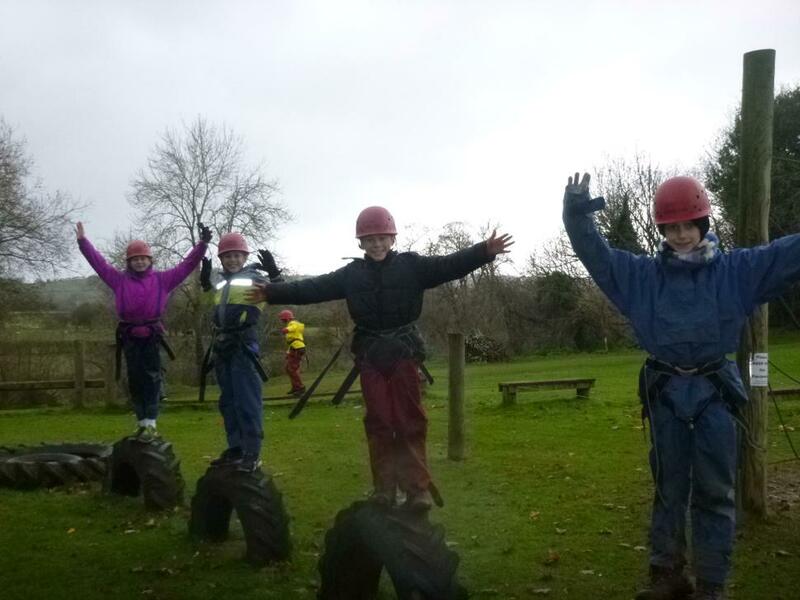 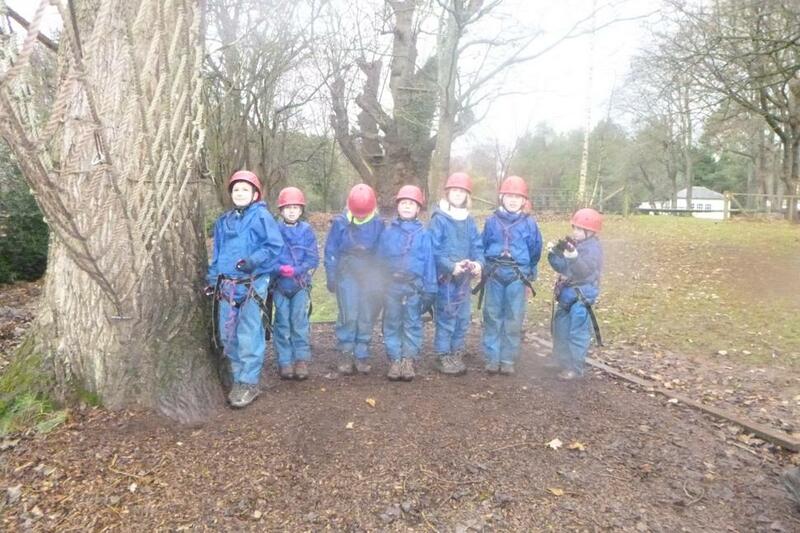 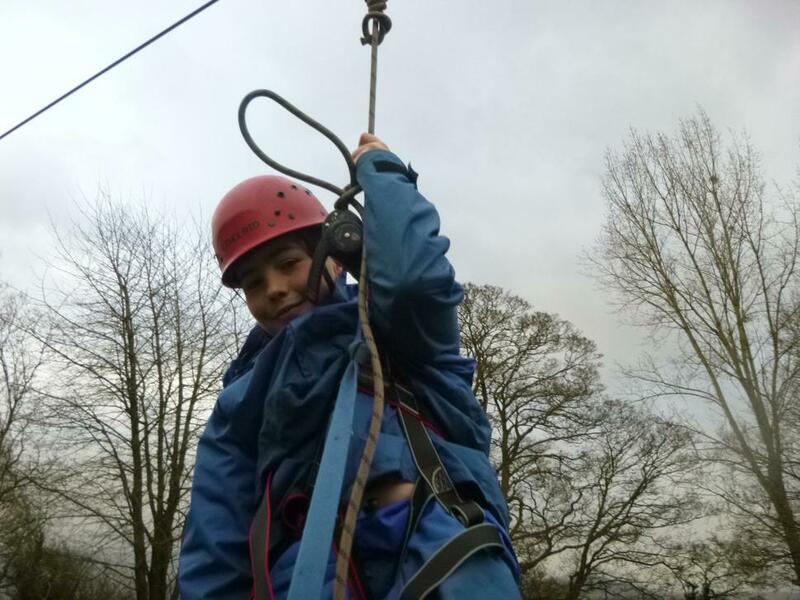 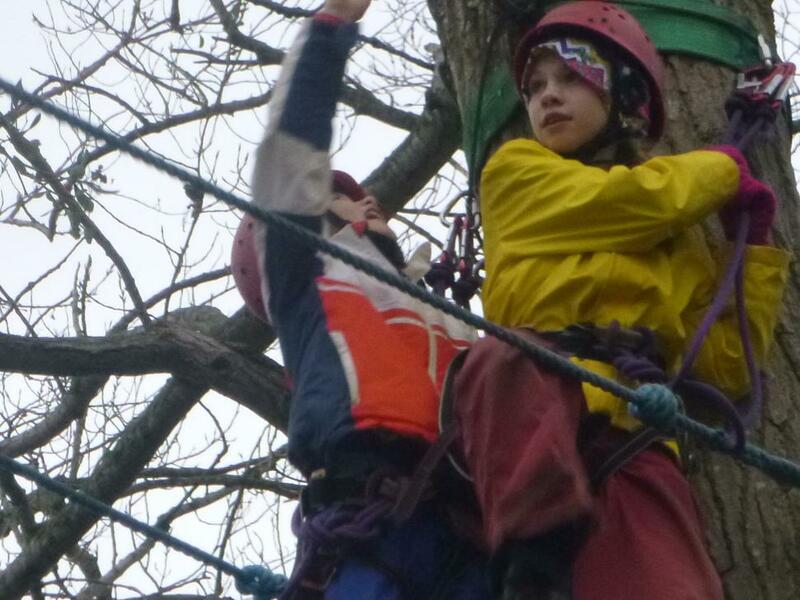 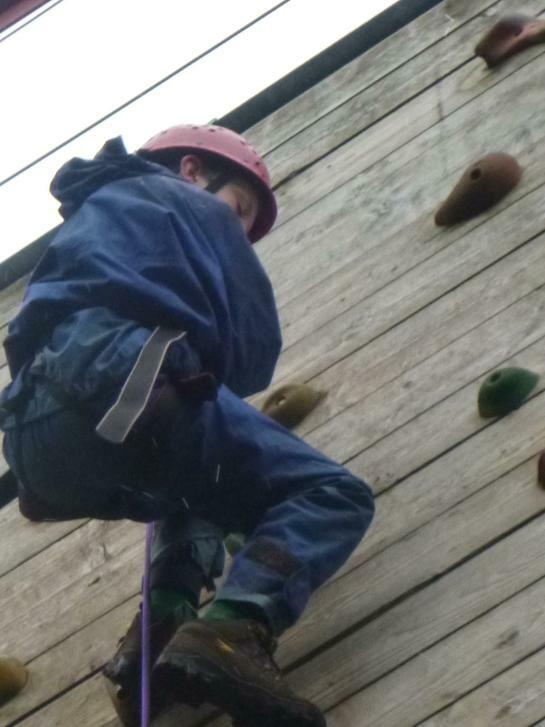 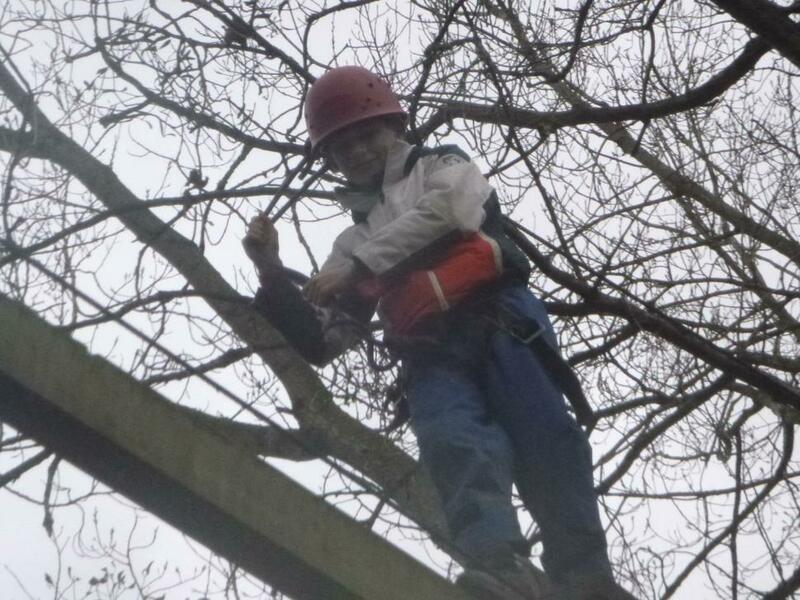 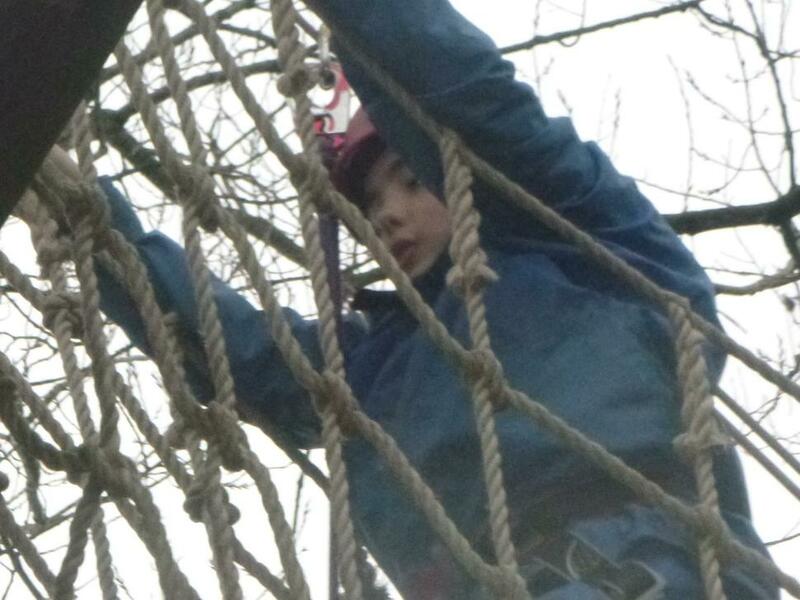 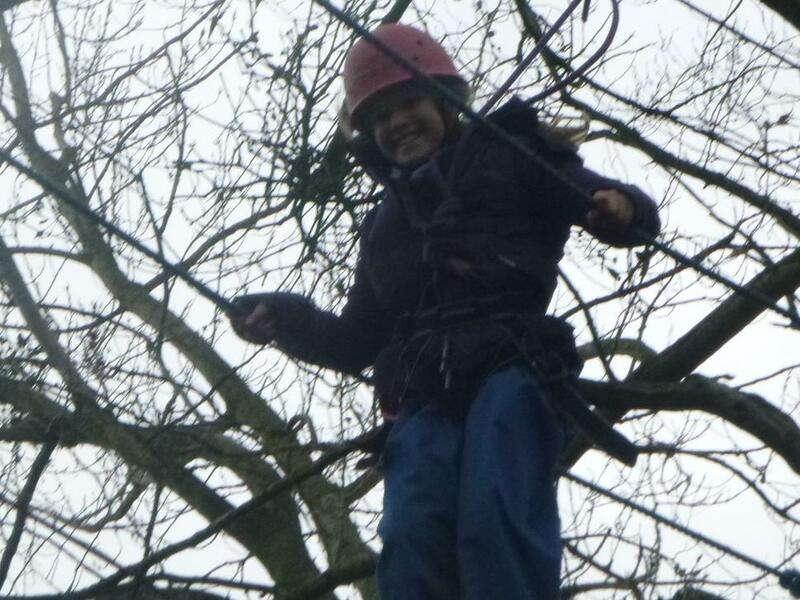 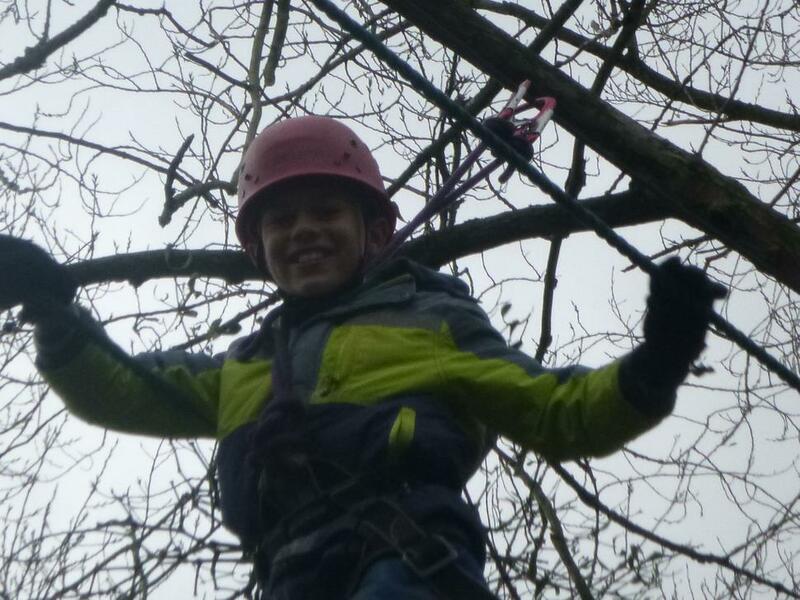 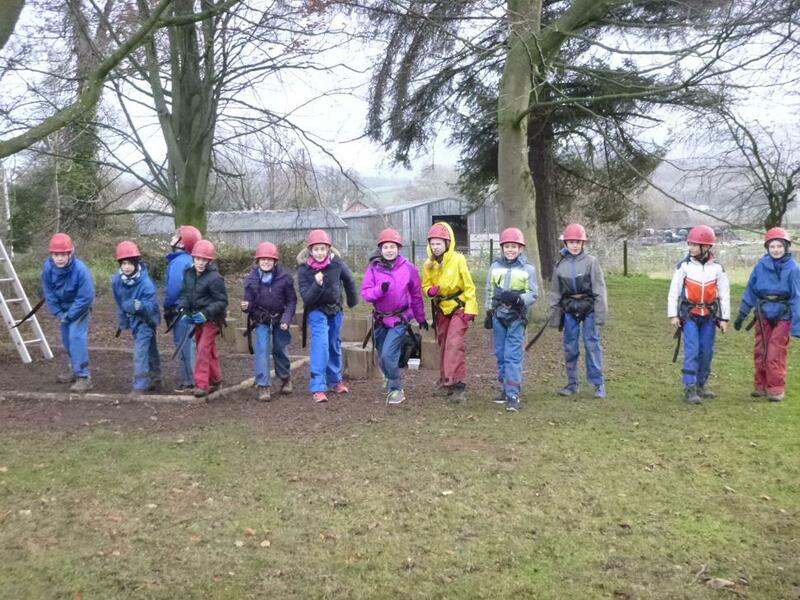 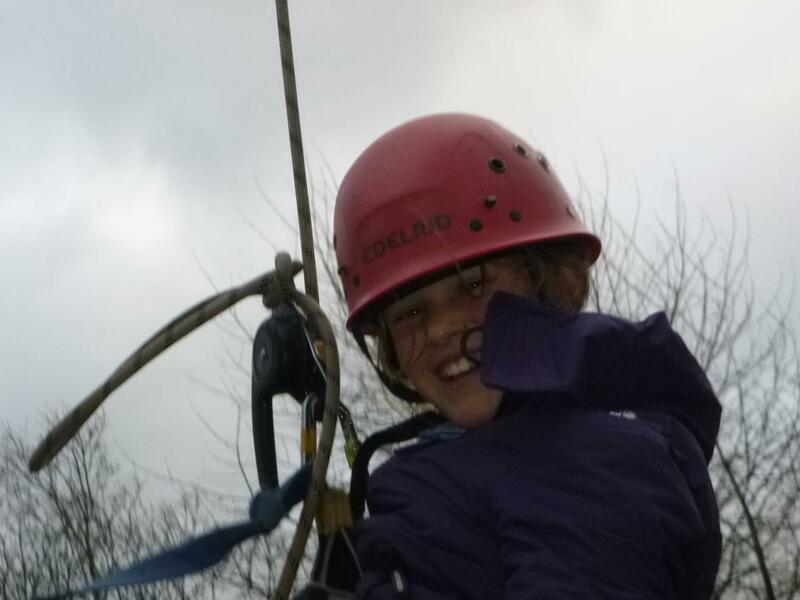 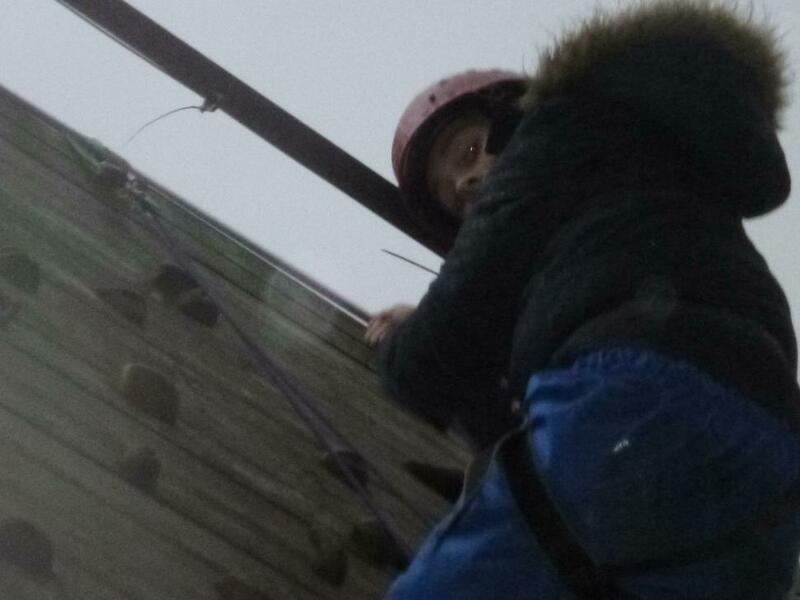 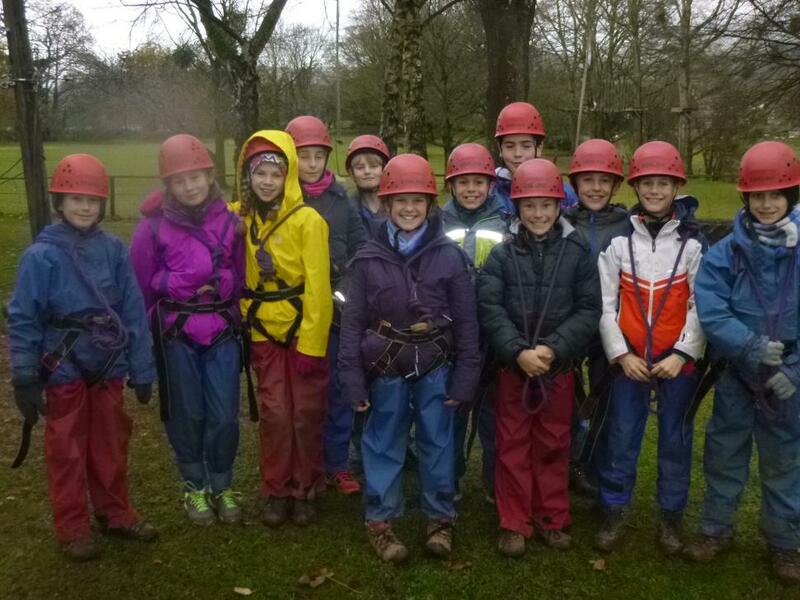 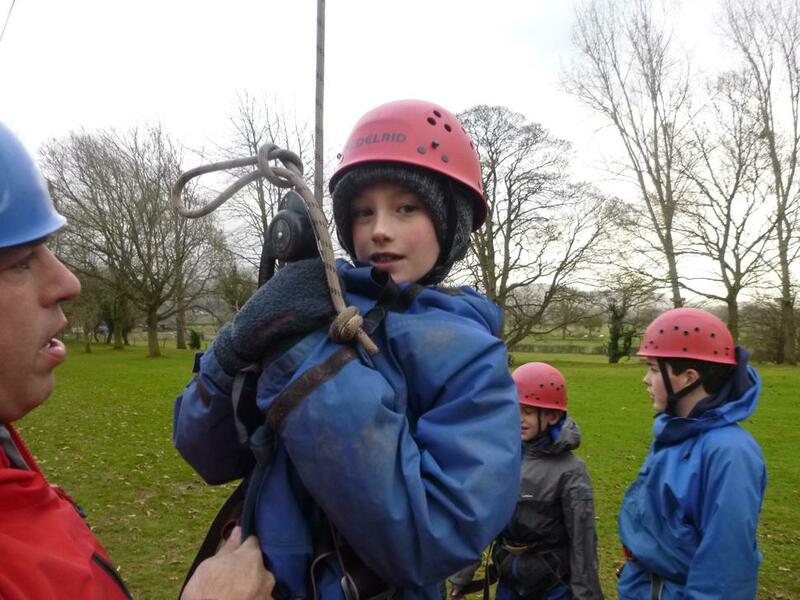 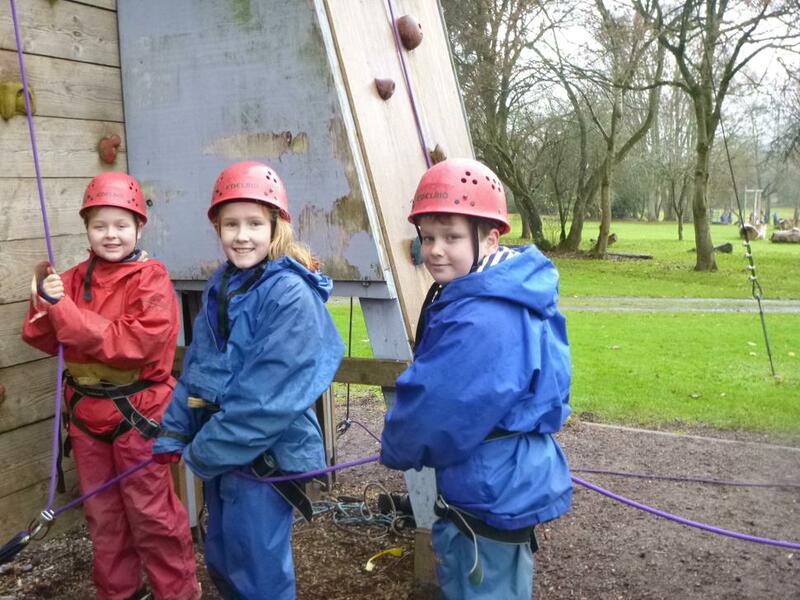 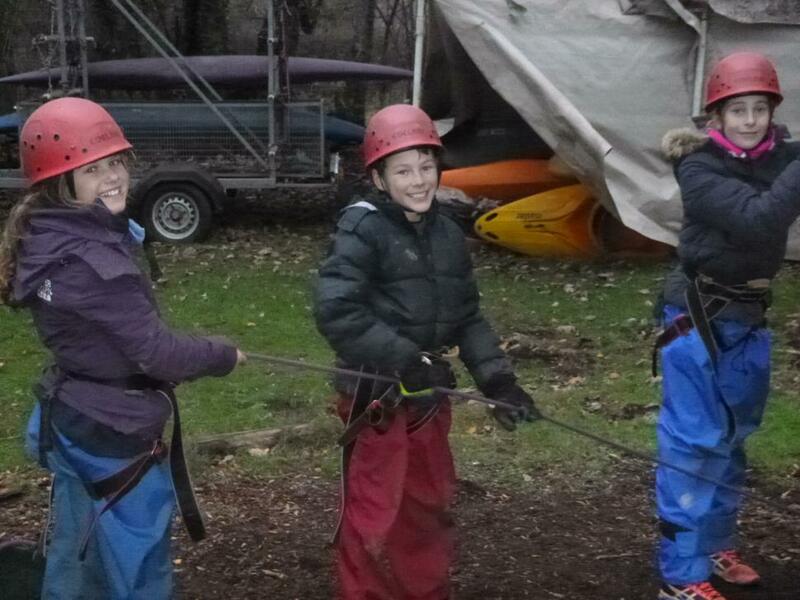 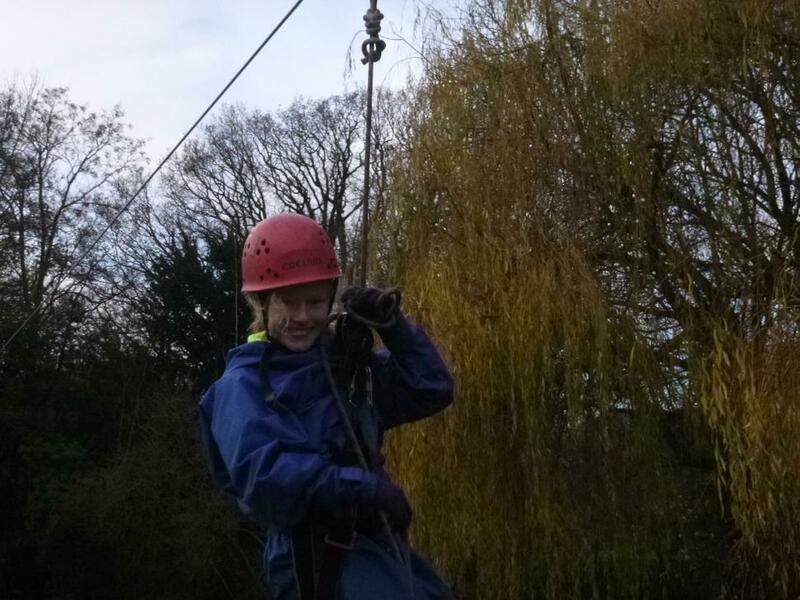 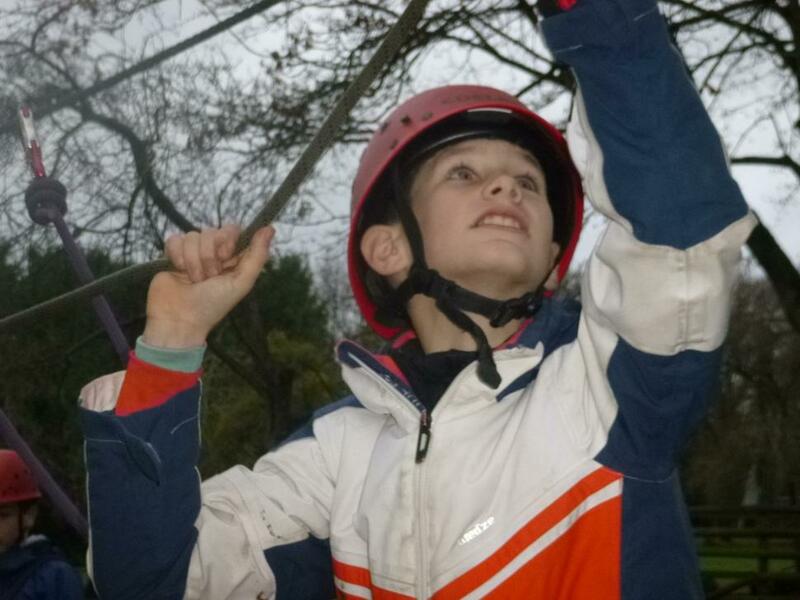 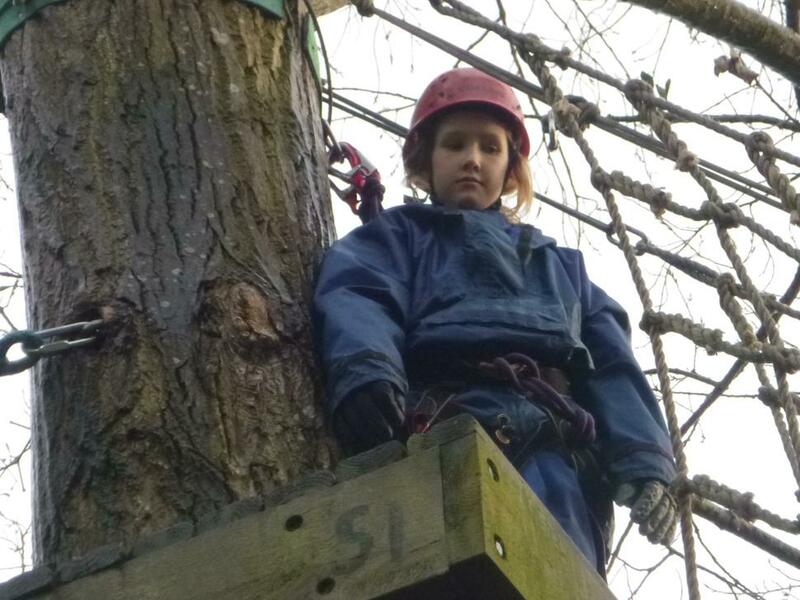 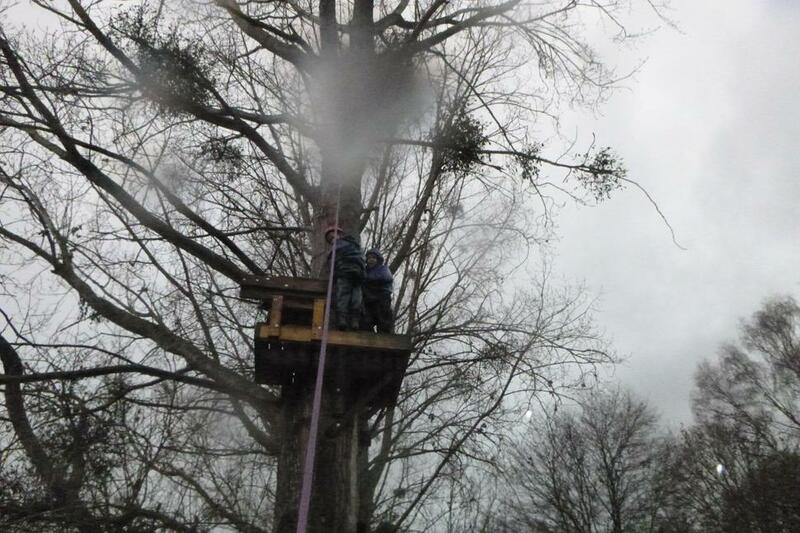 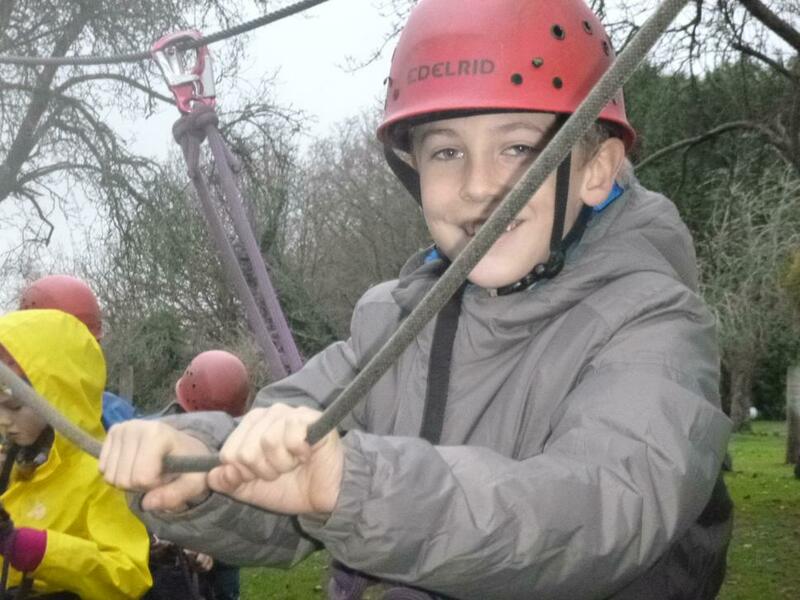 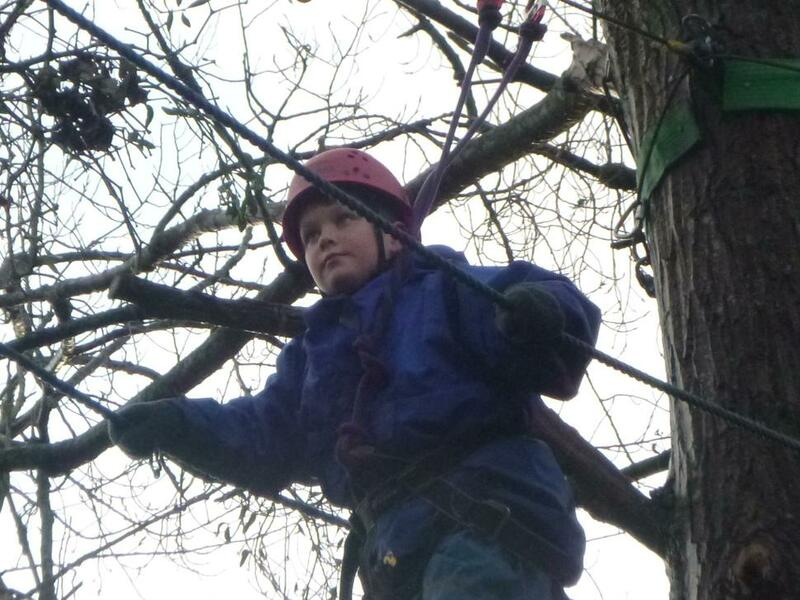 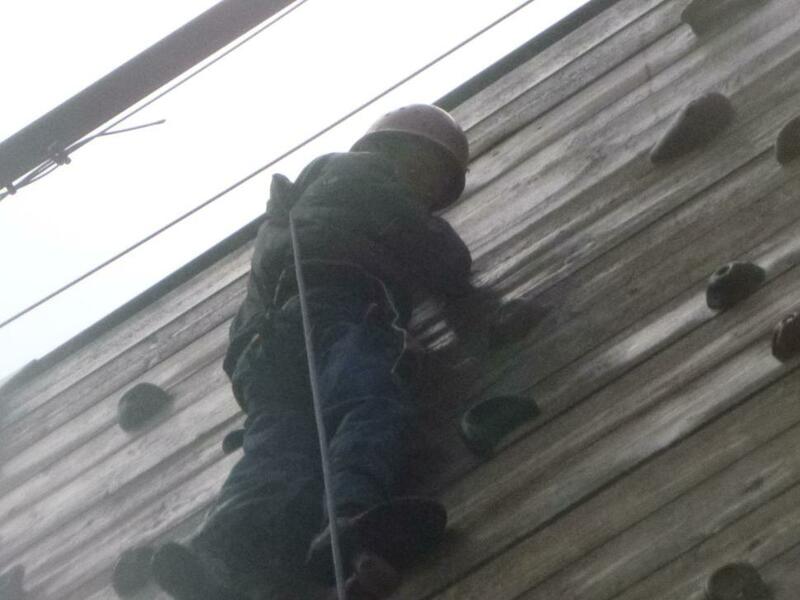 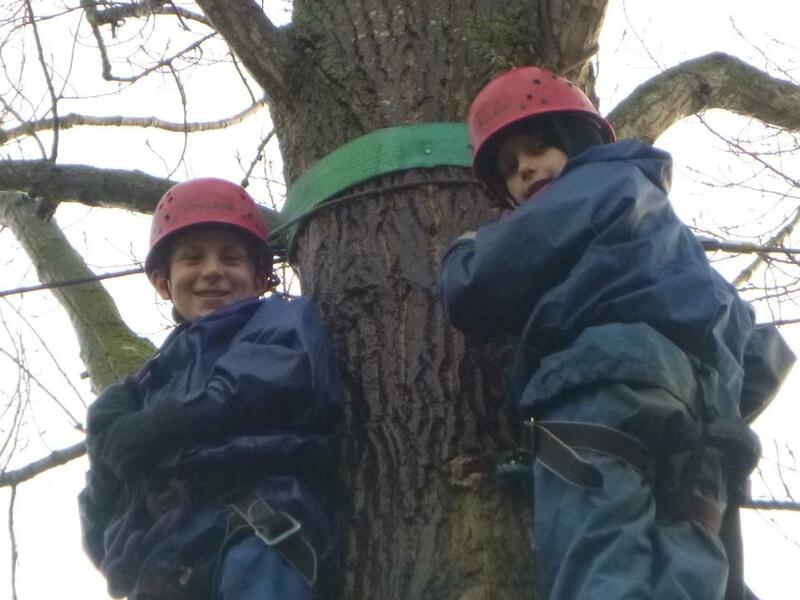 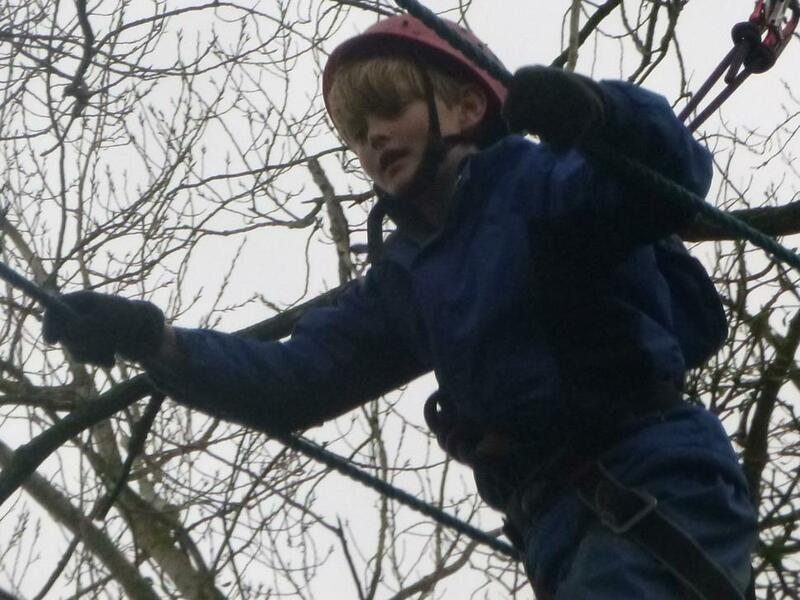 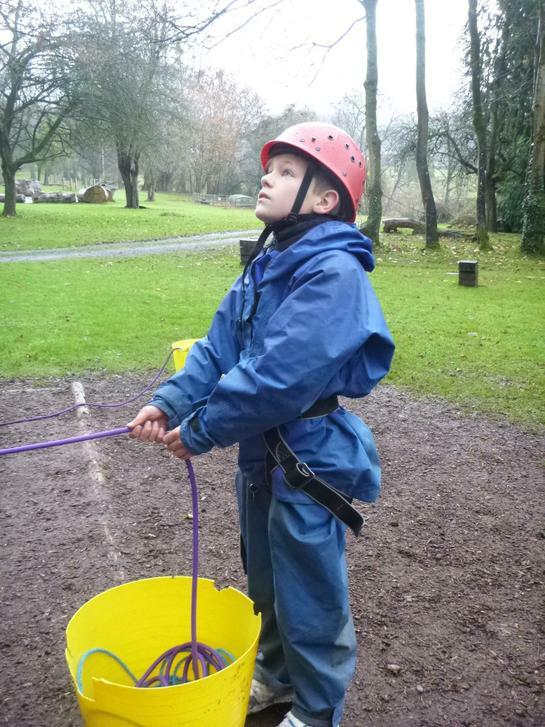 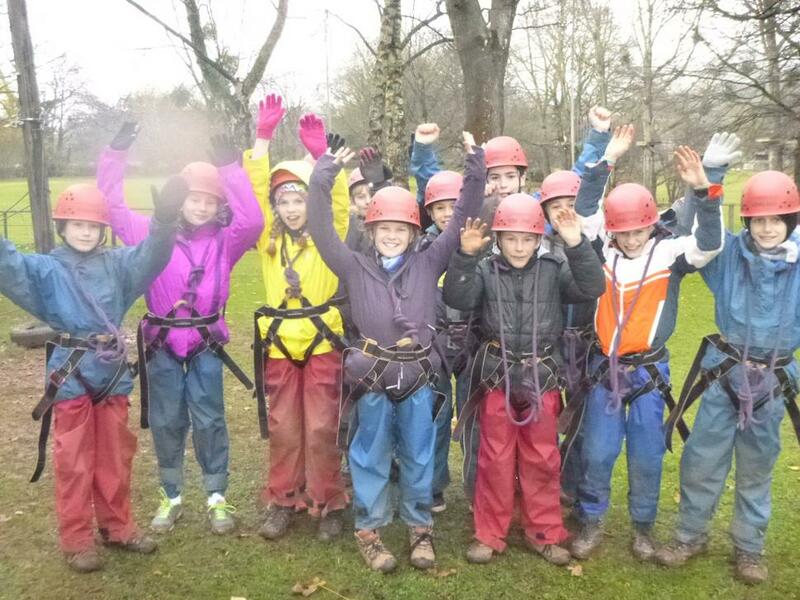 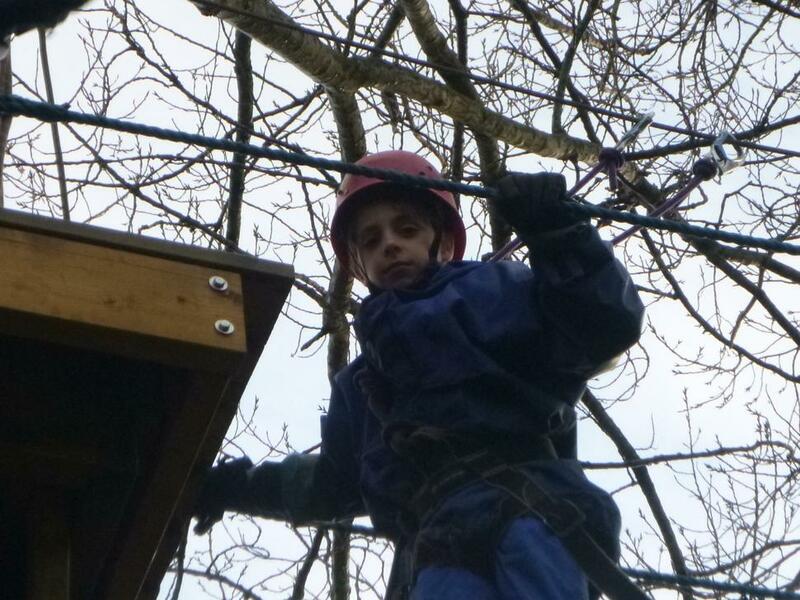 2 groups stayed on site and conquered the high ropes, the climbing walls and the zip wire. 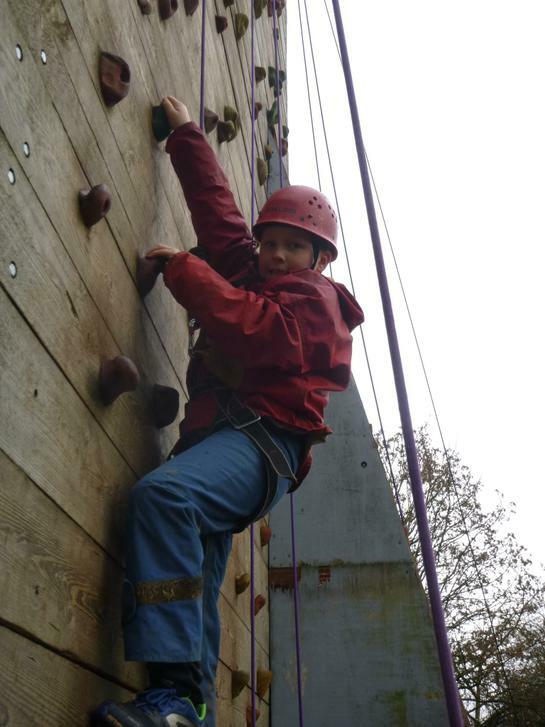 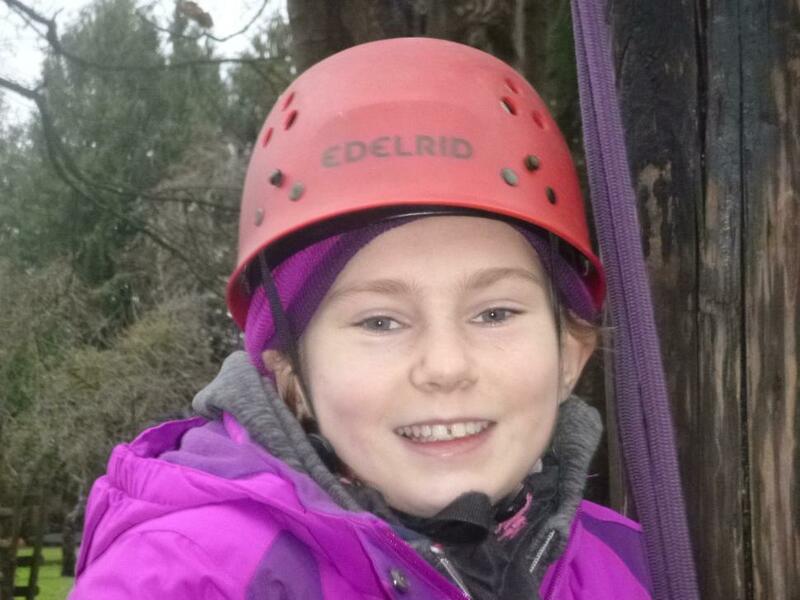 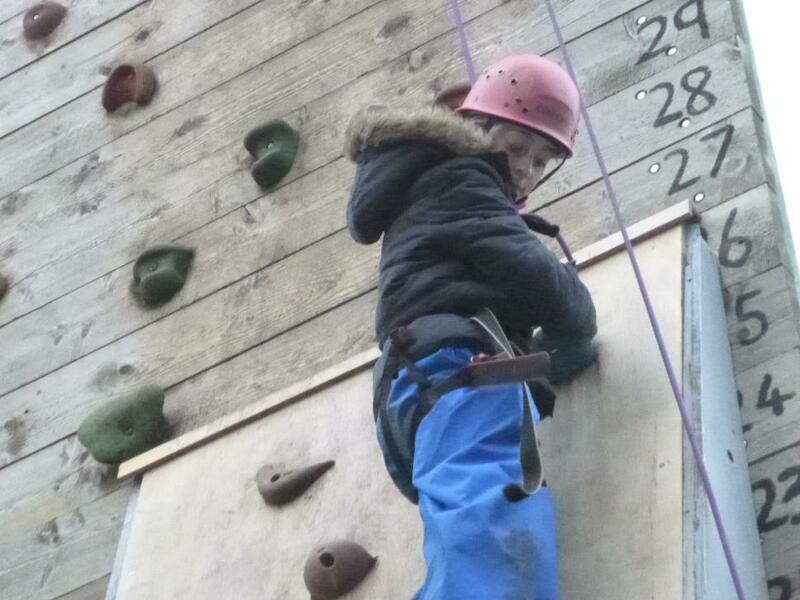 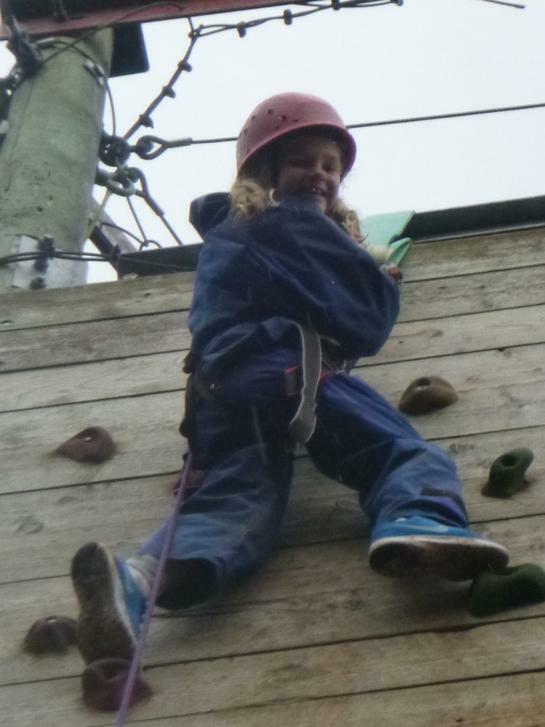 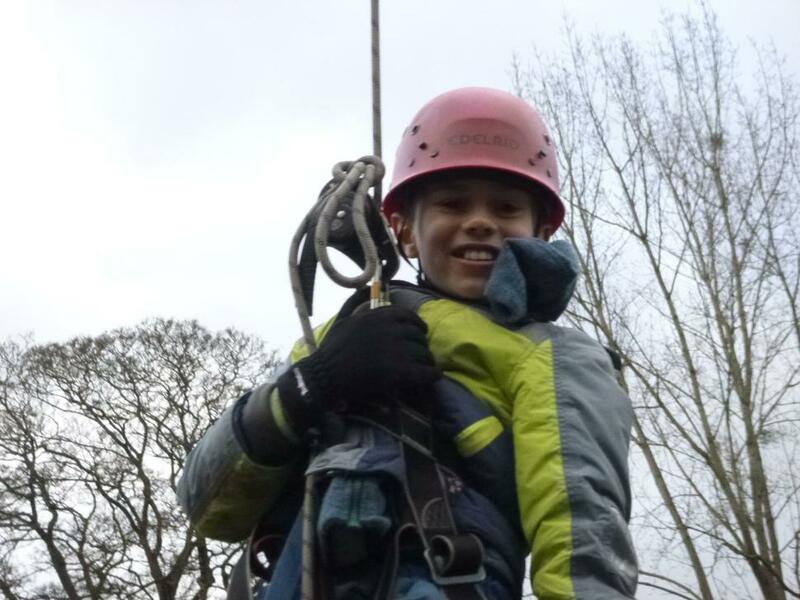 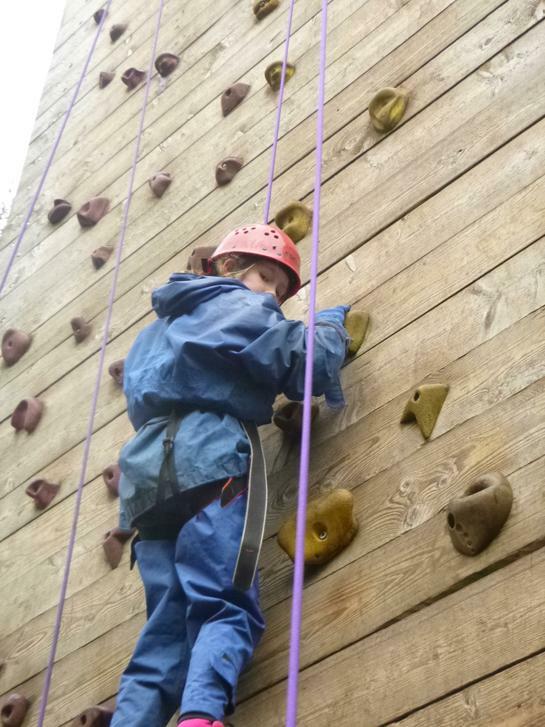 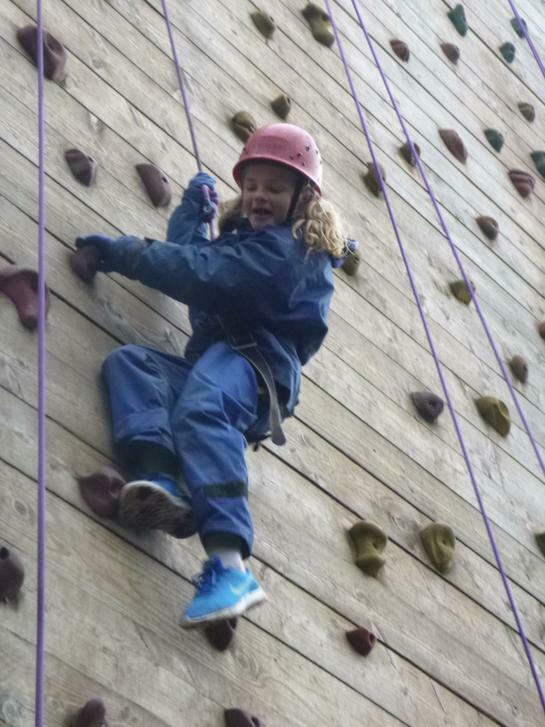 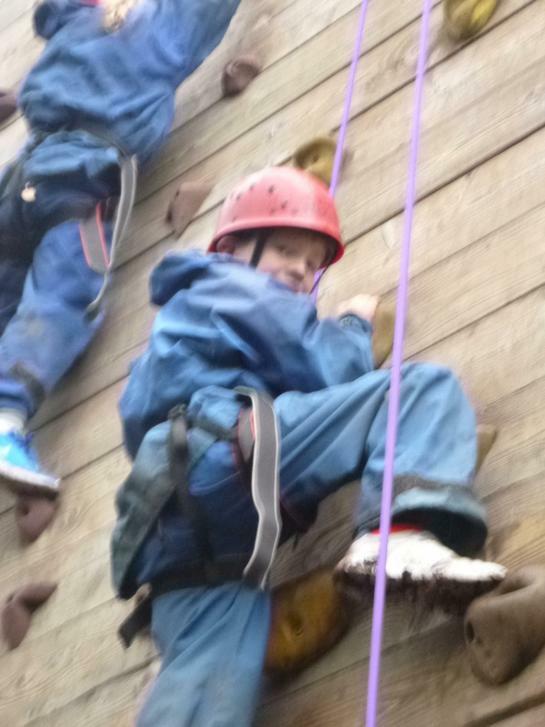 Lots of children were a lot more than "10% braver " with many children surpassing their aims on the climbing wall and the high ropes. 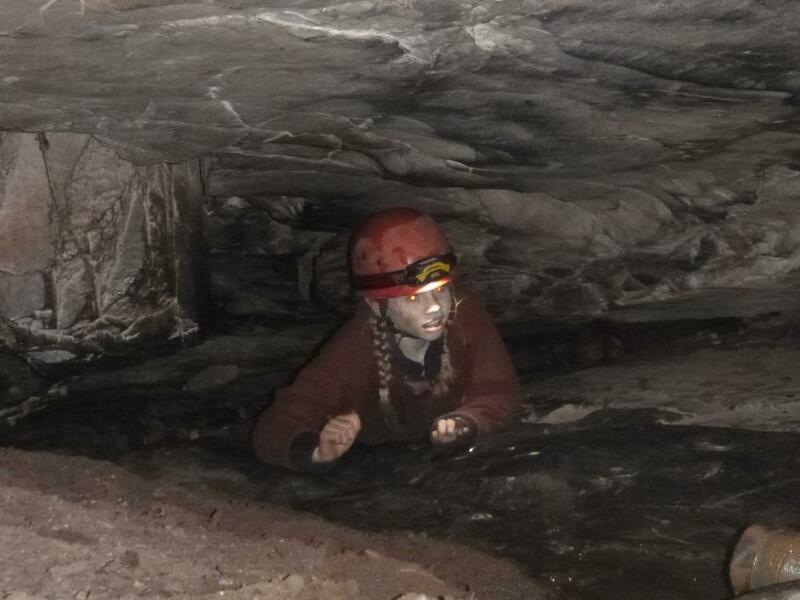 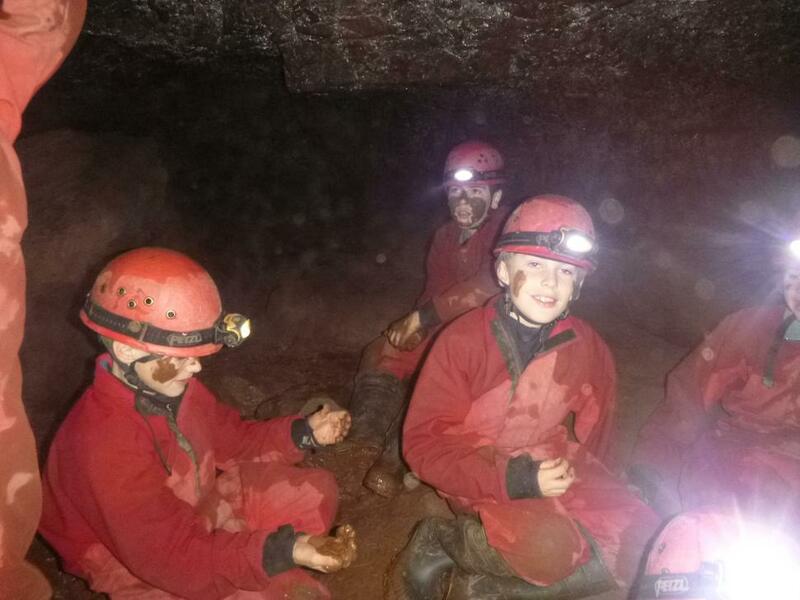 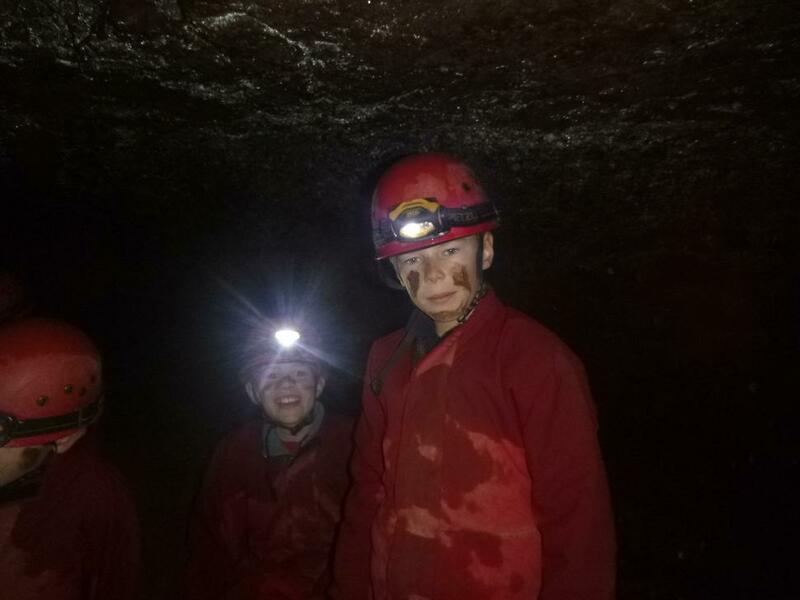 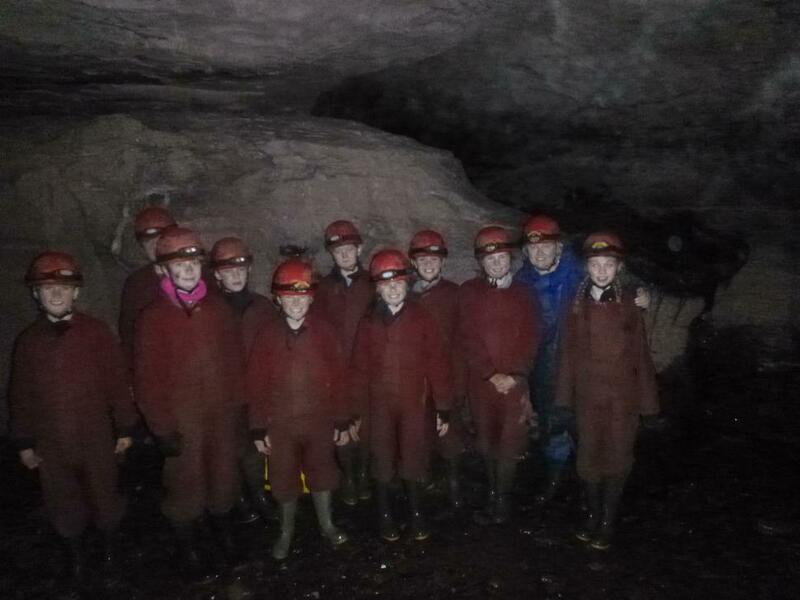 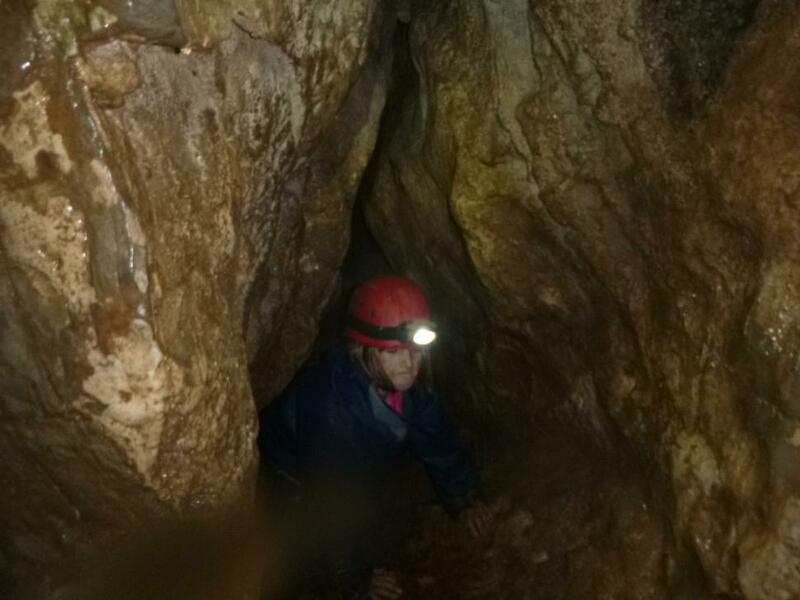 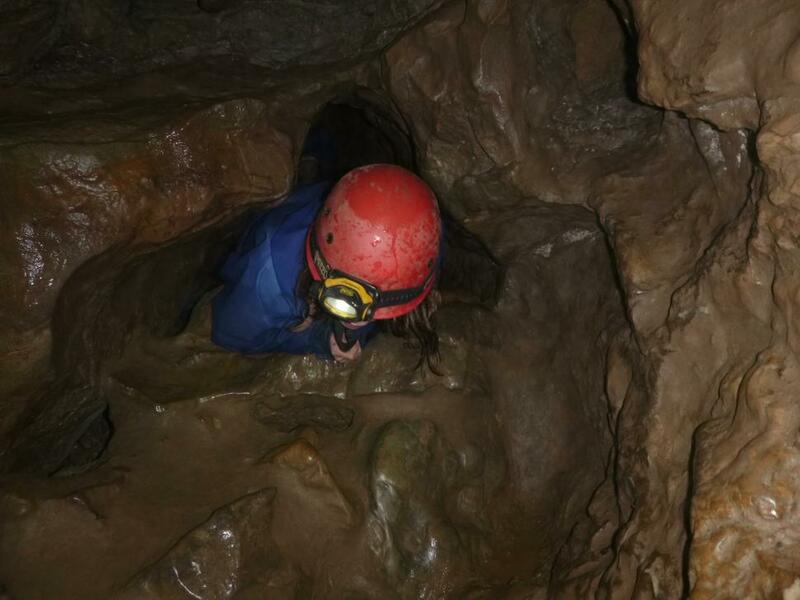 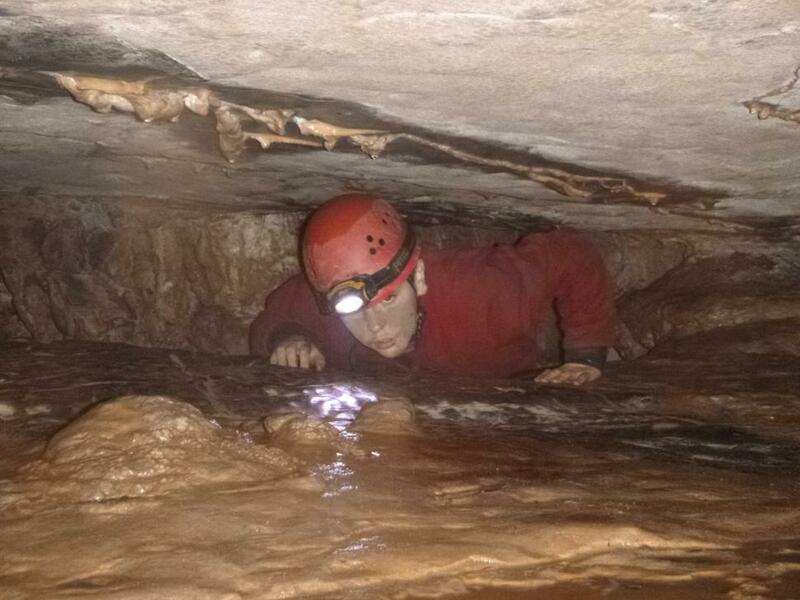 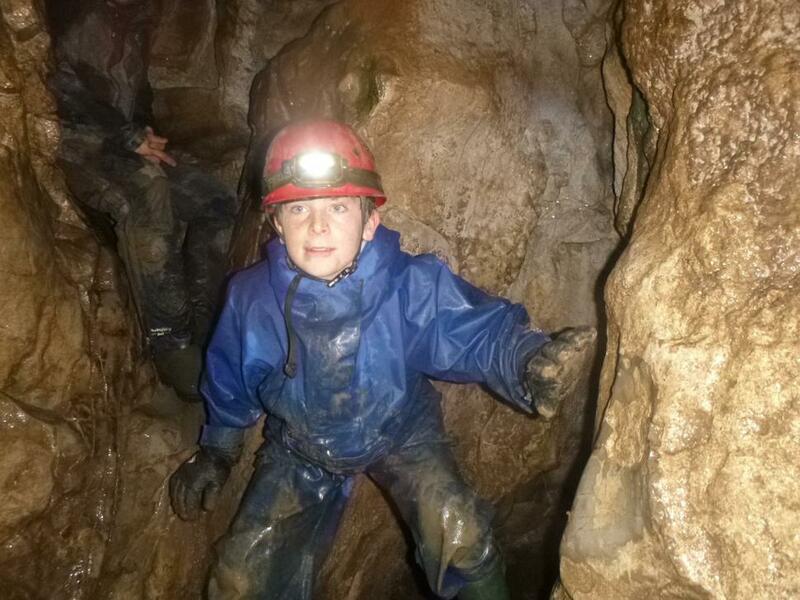 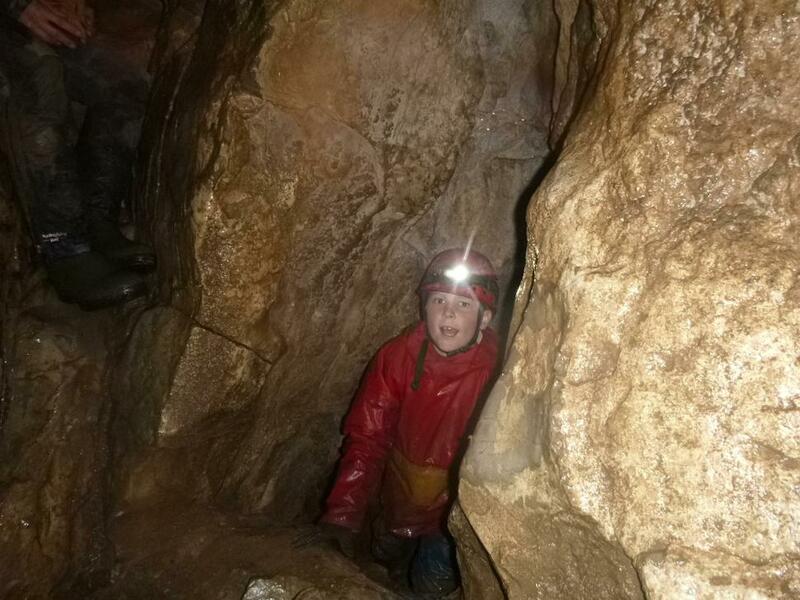 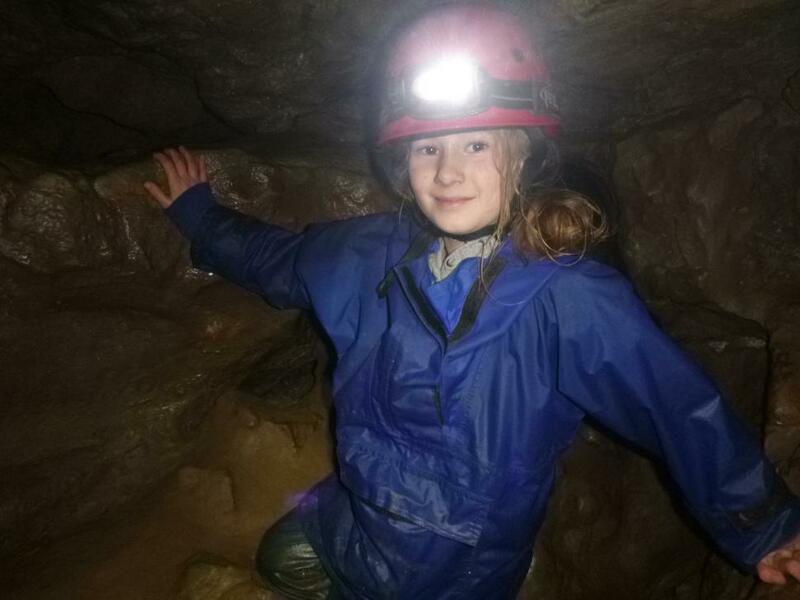 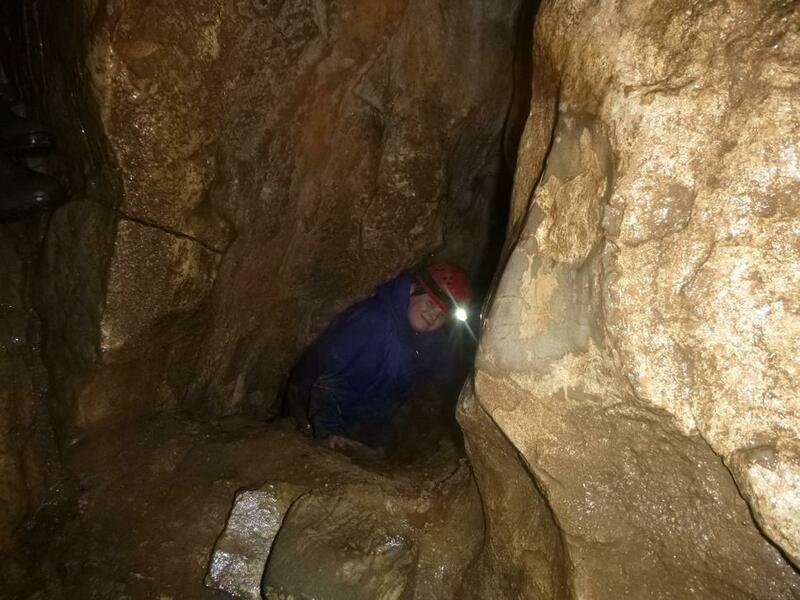 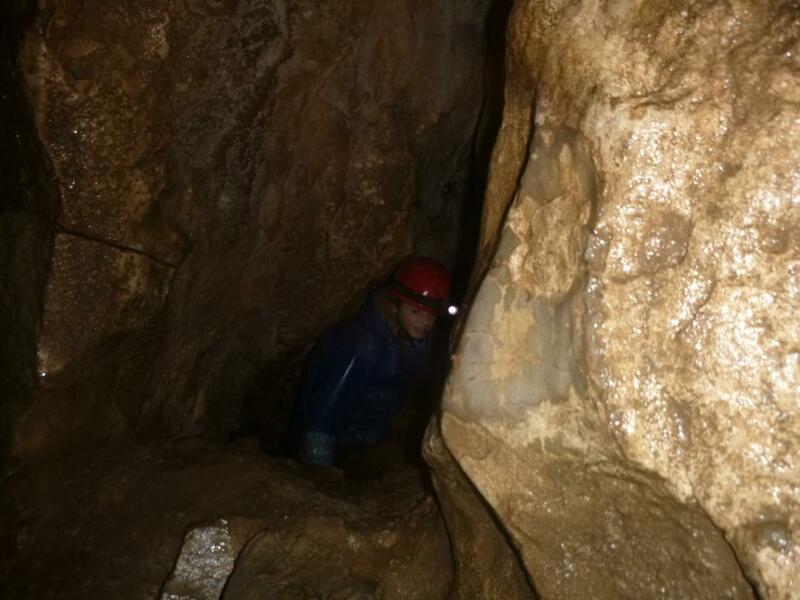 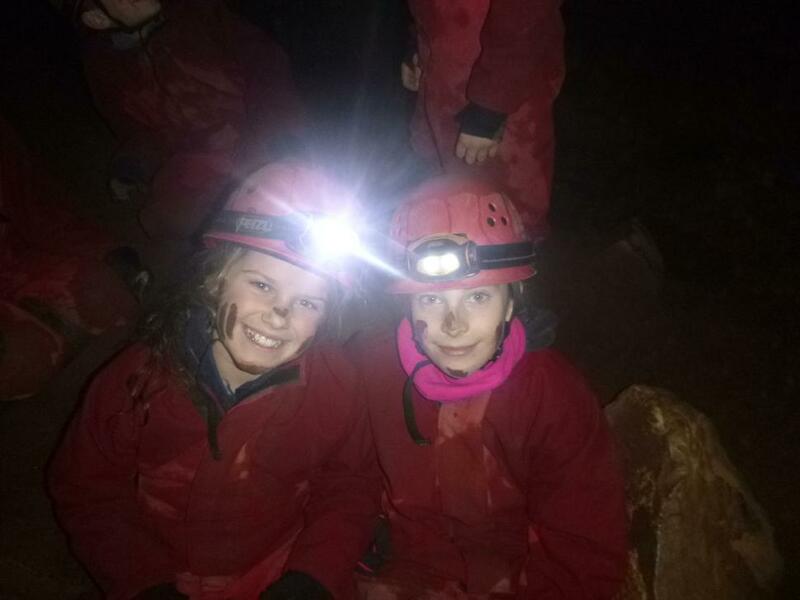 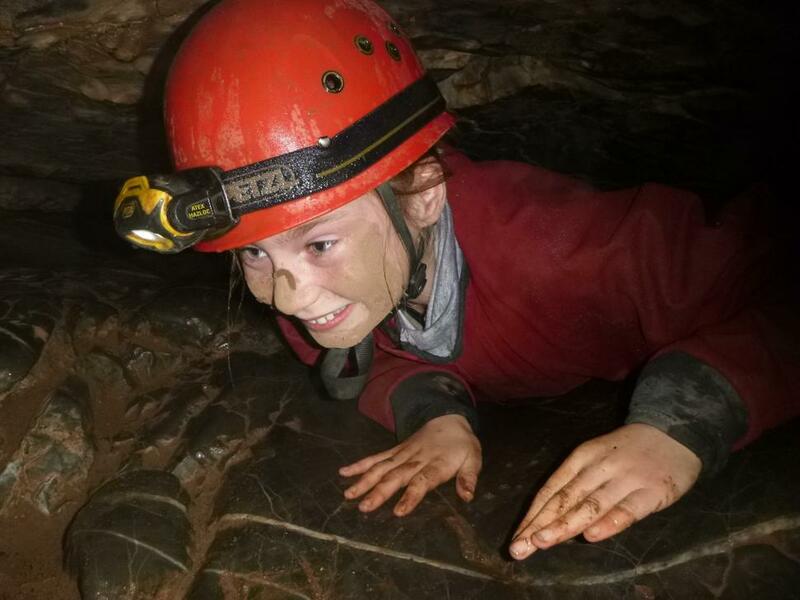 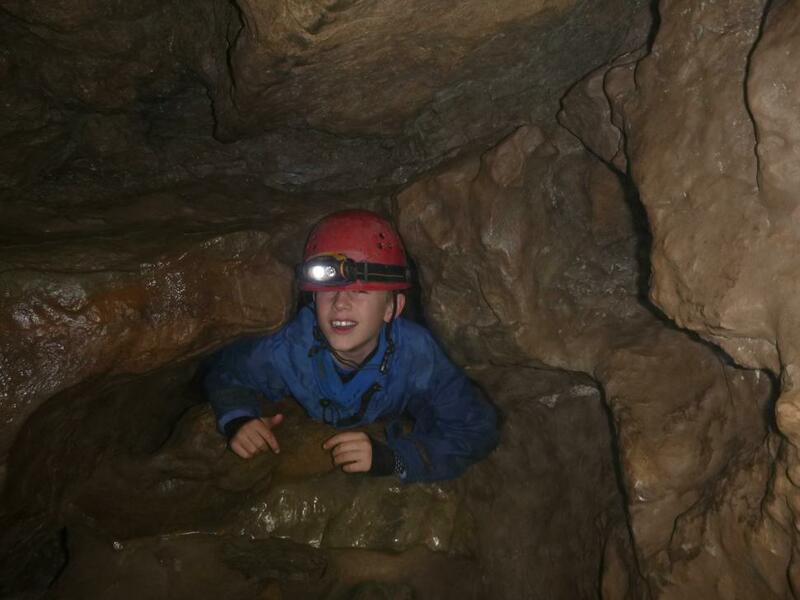 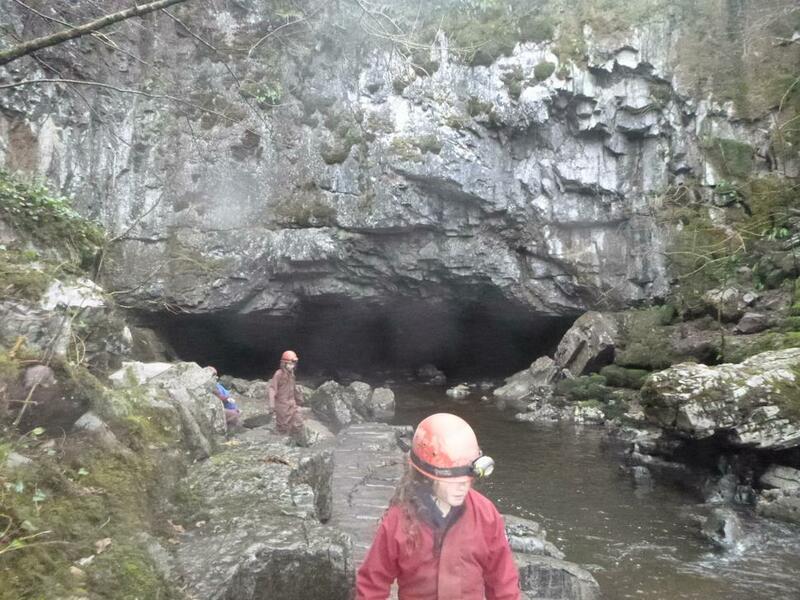 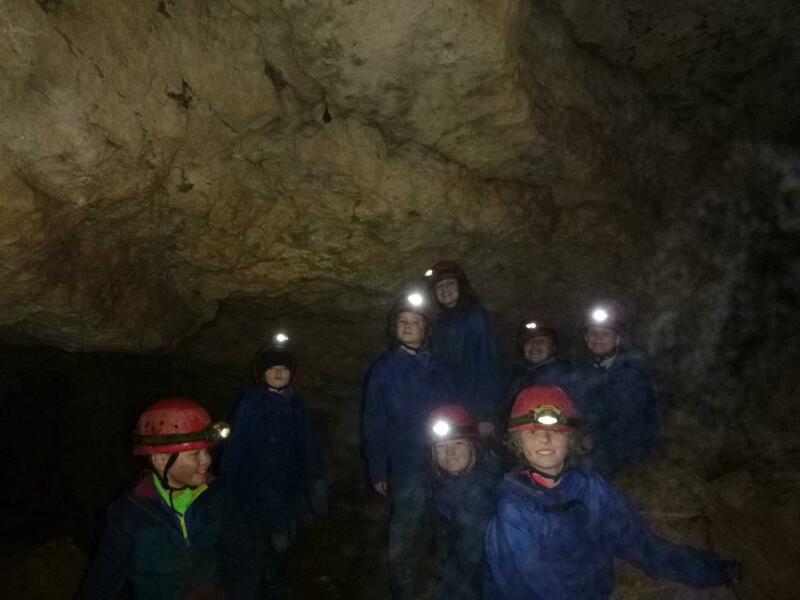 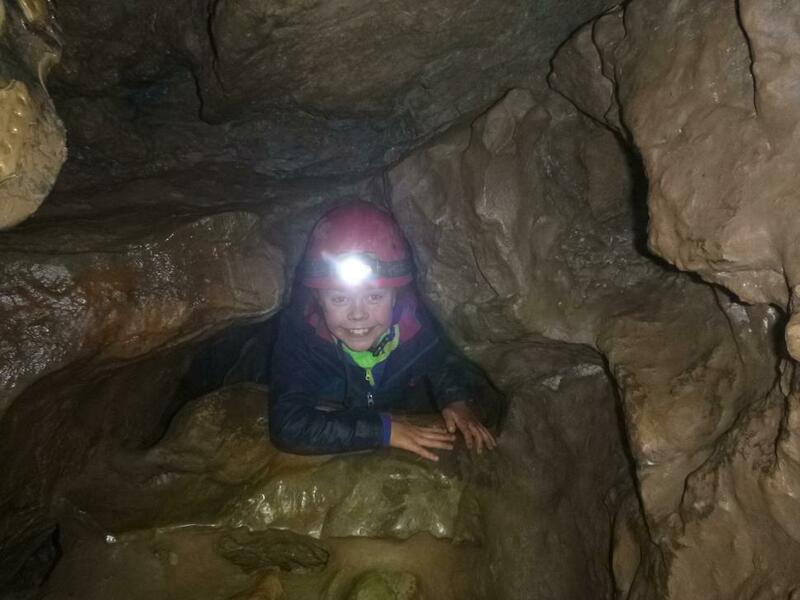 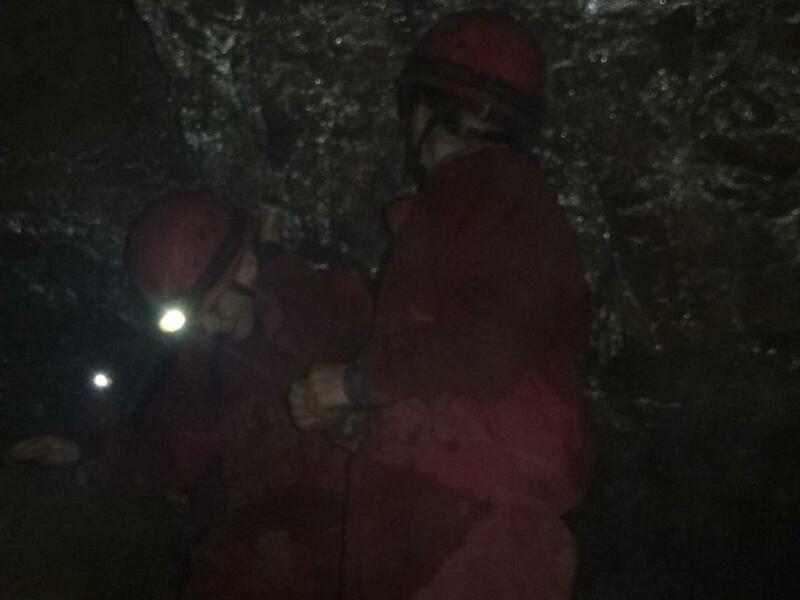 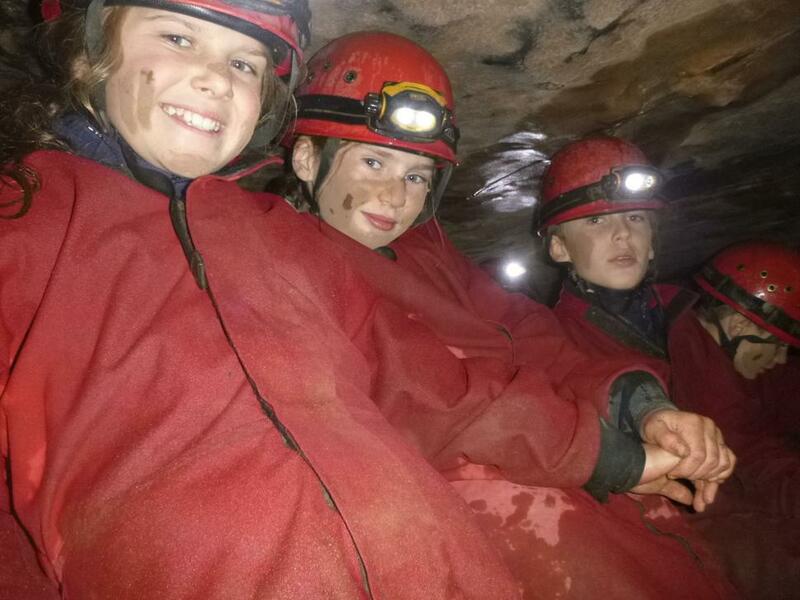 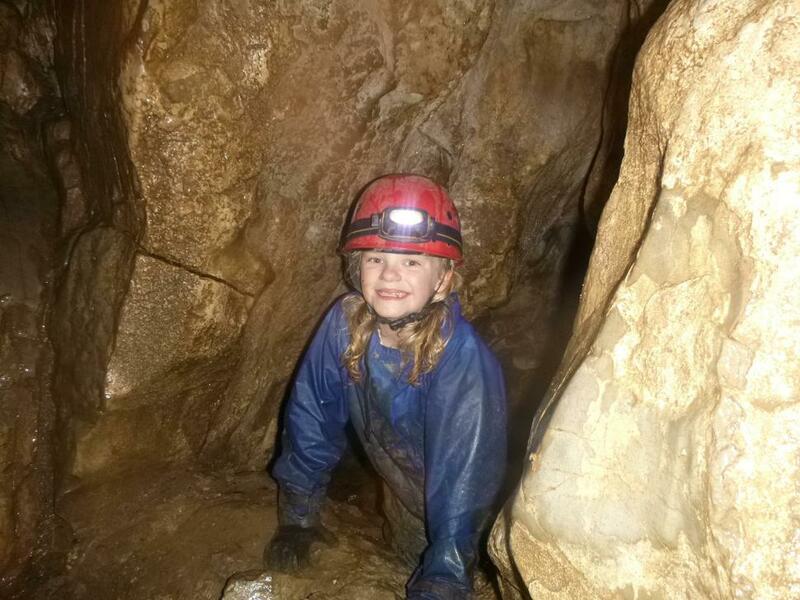 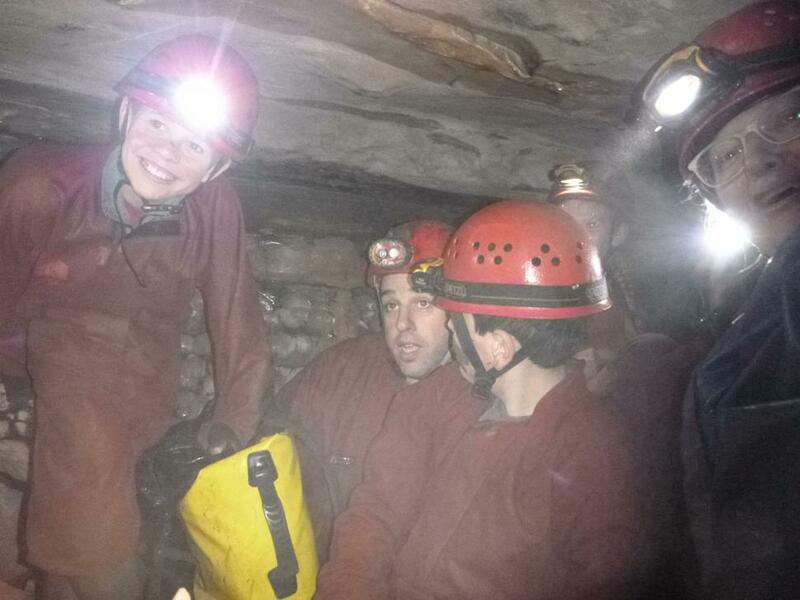 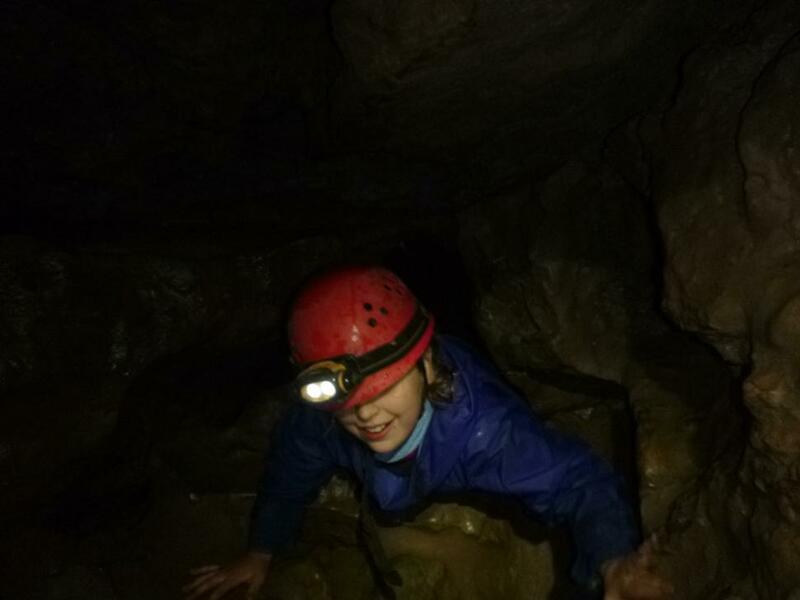 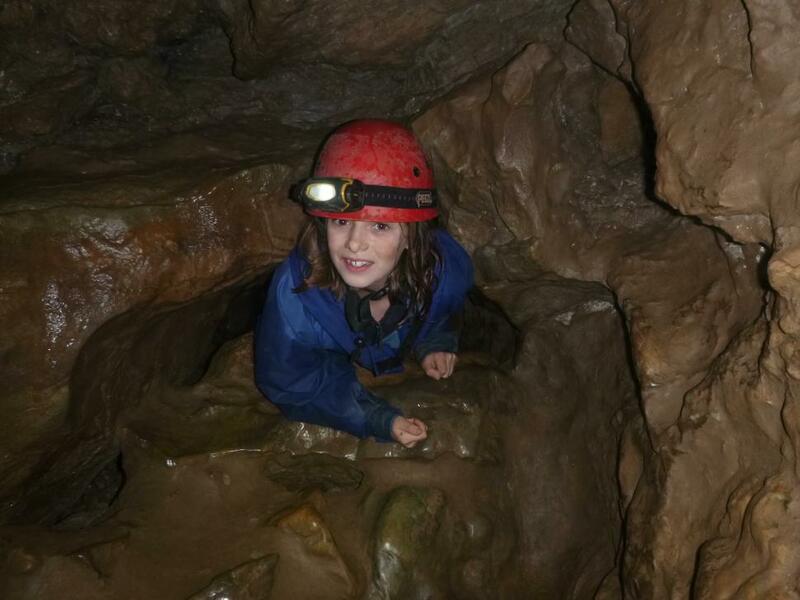 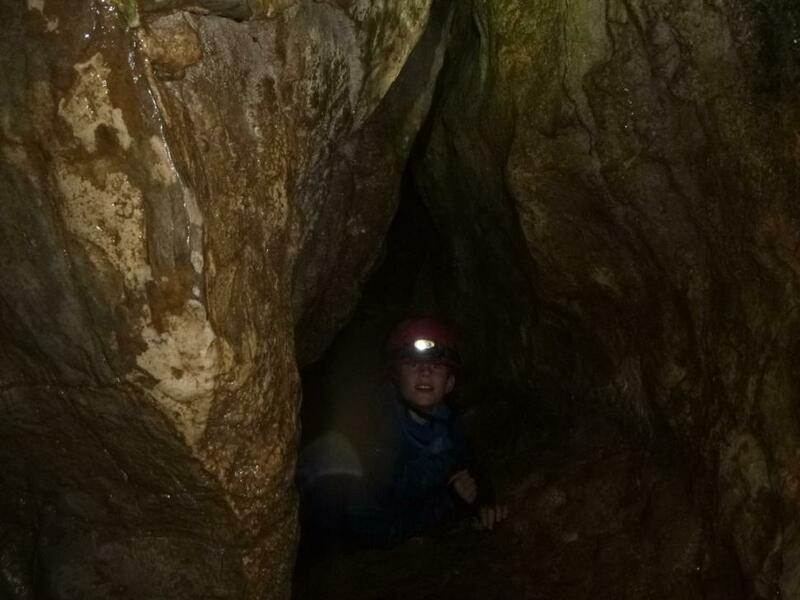 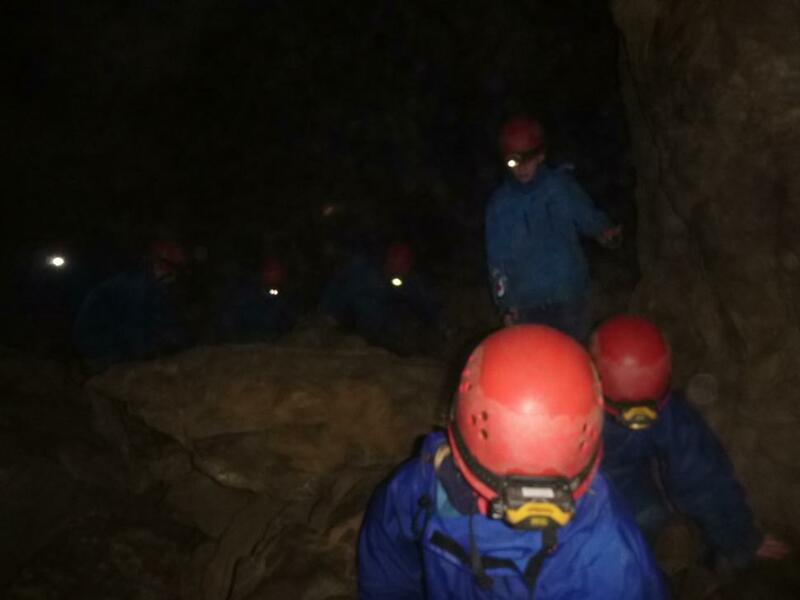 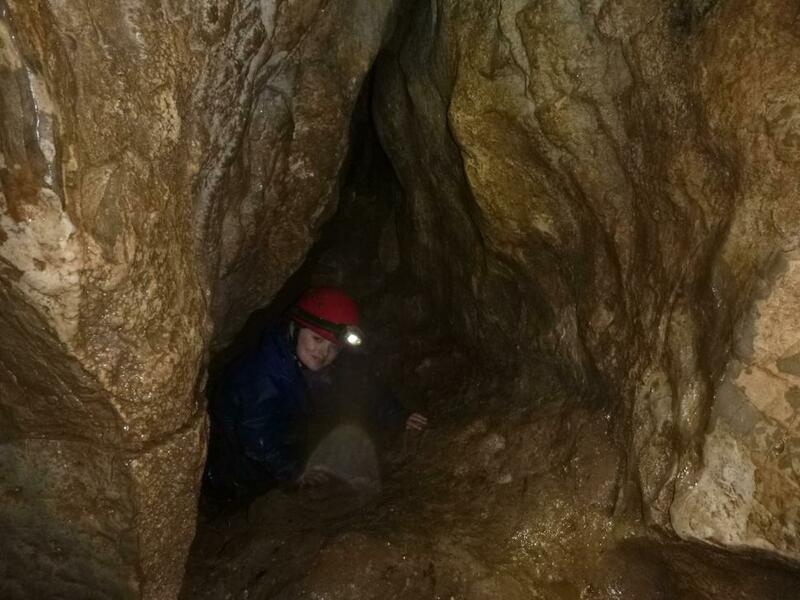 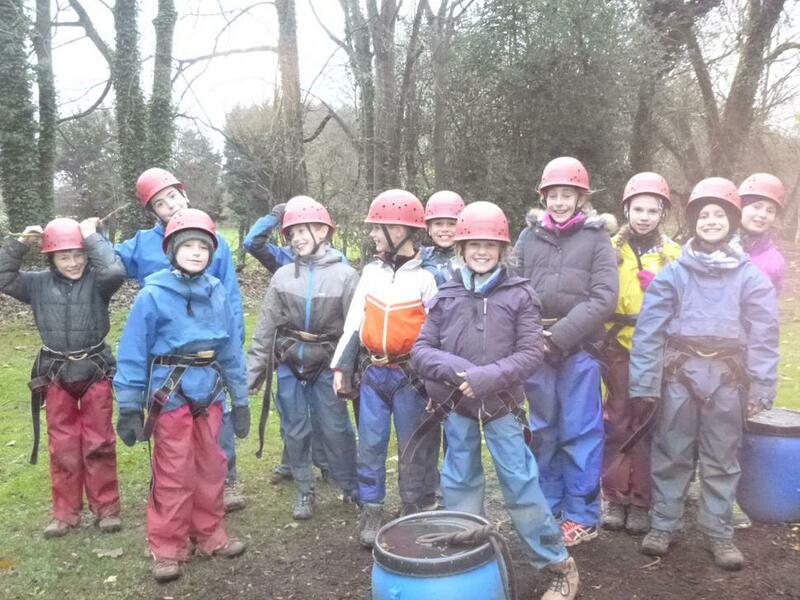 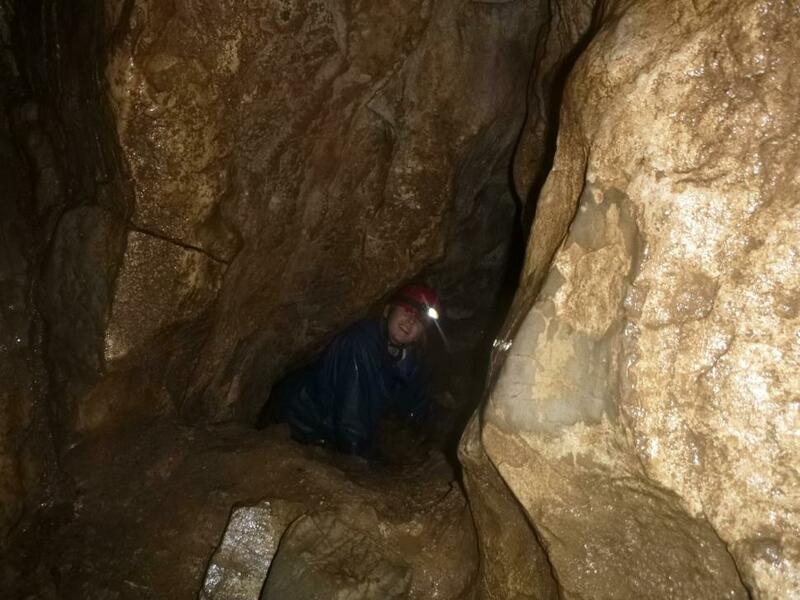 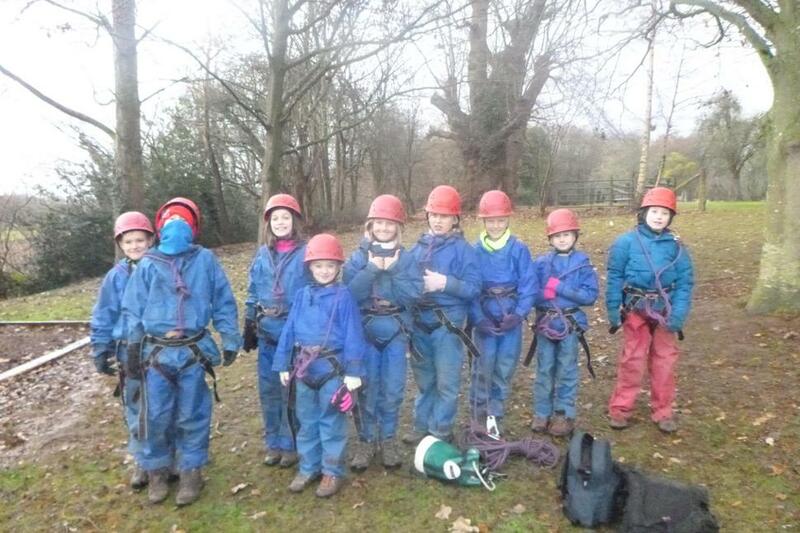 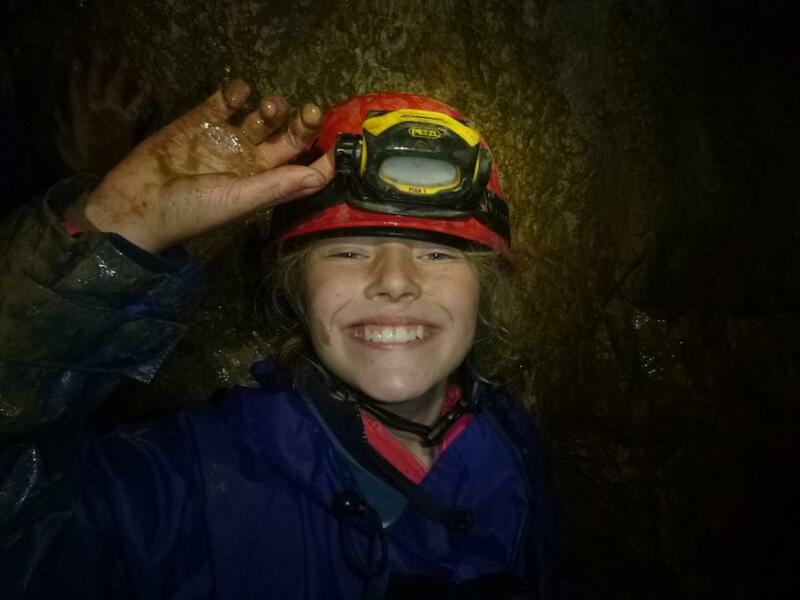 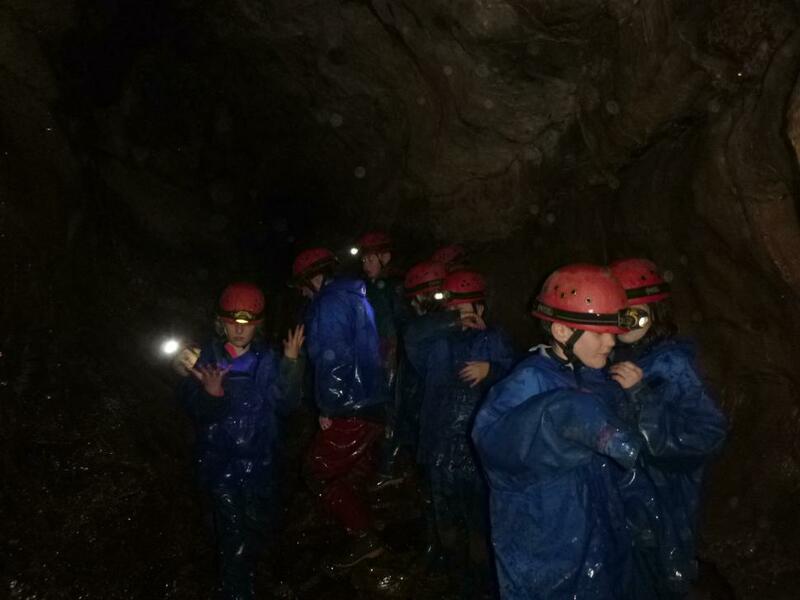 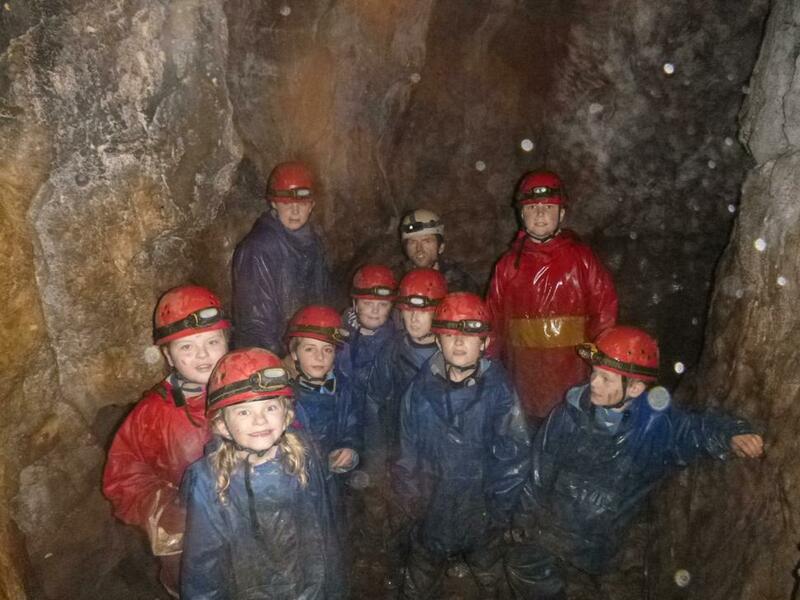 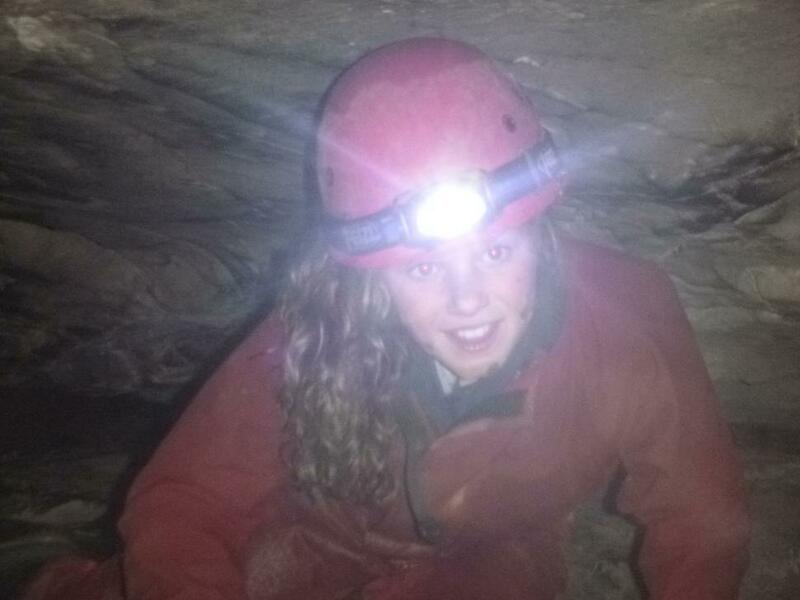 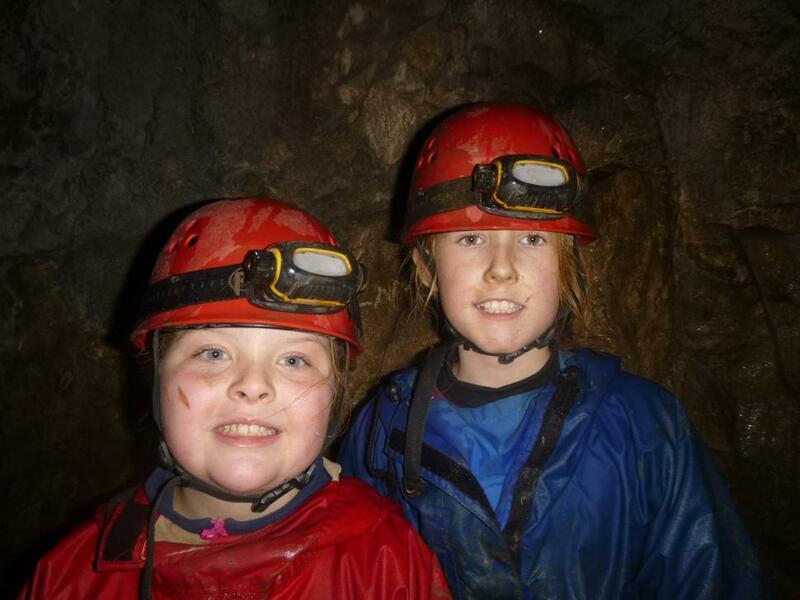 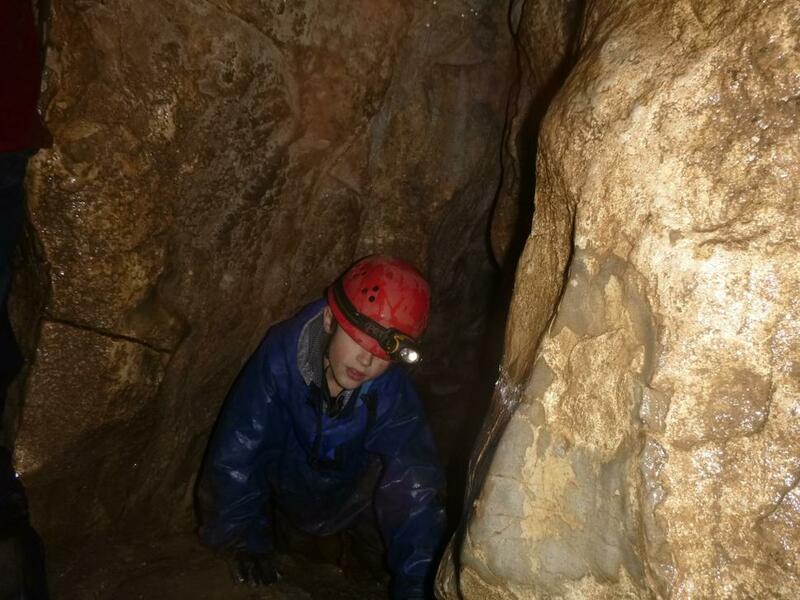 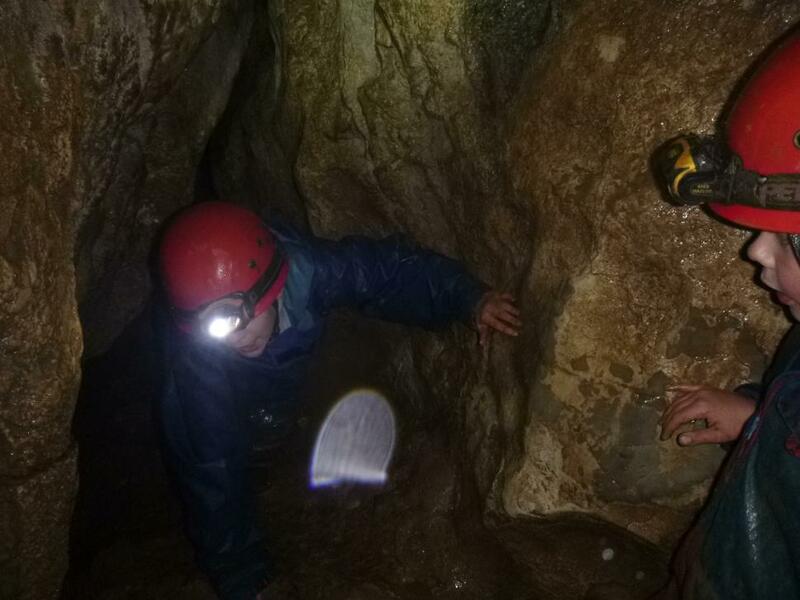 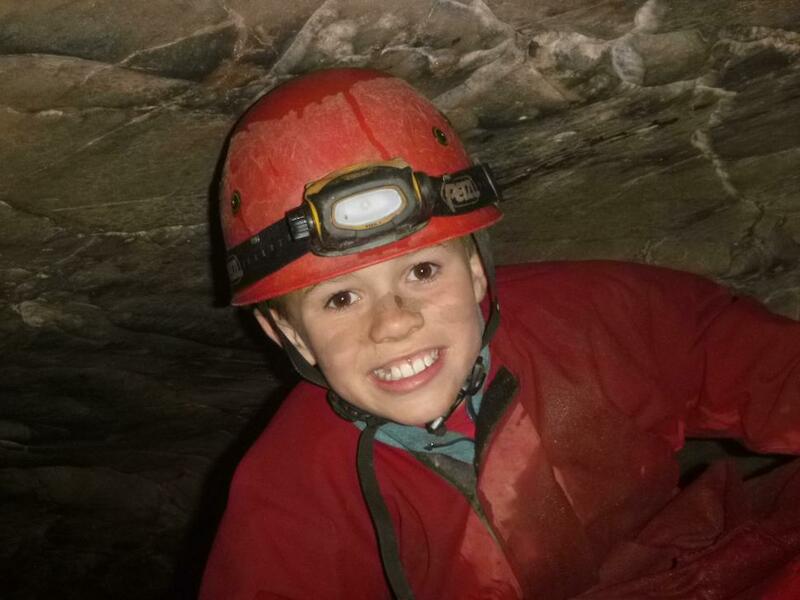 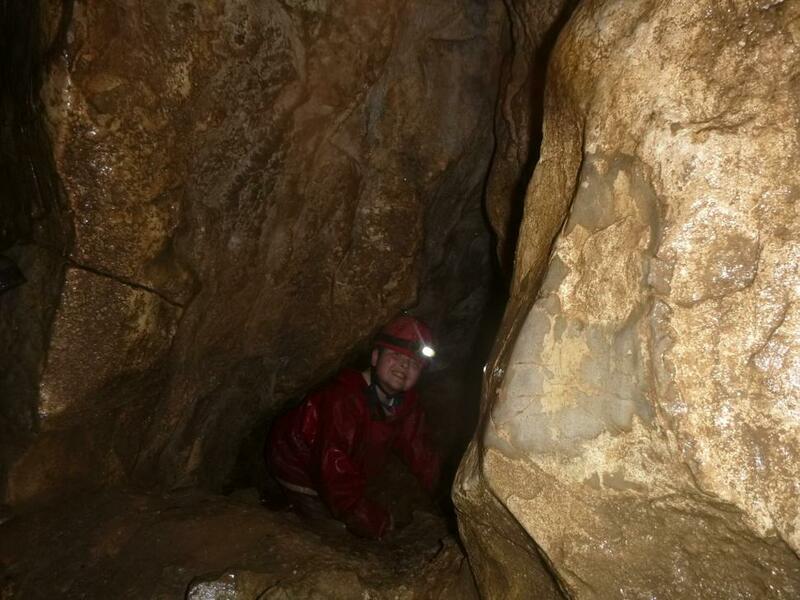 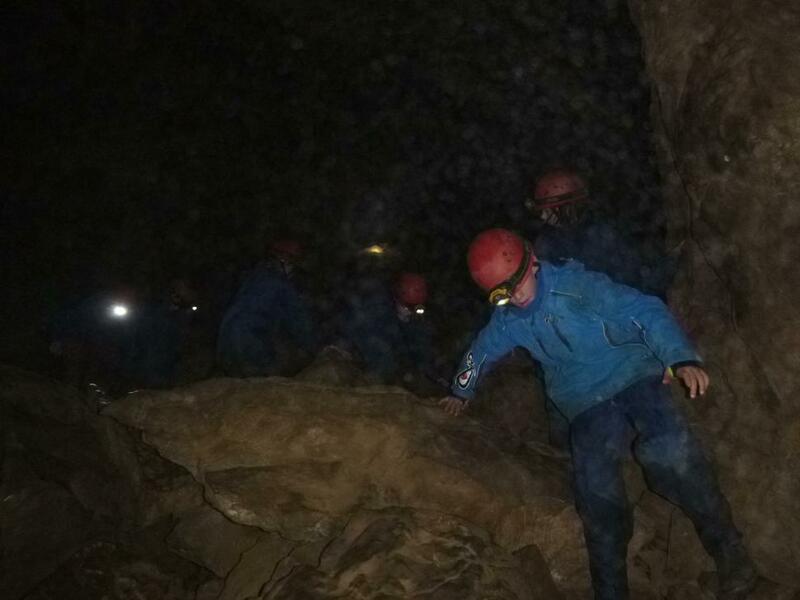 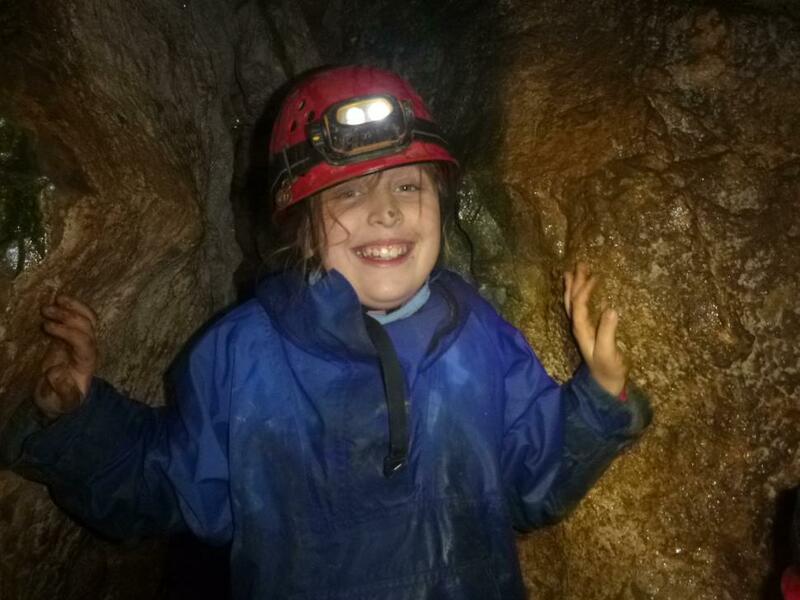 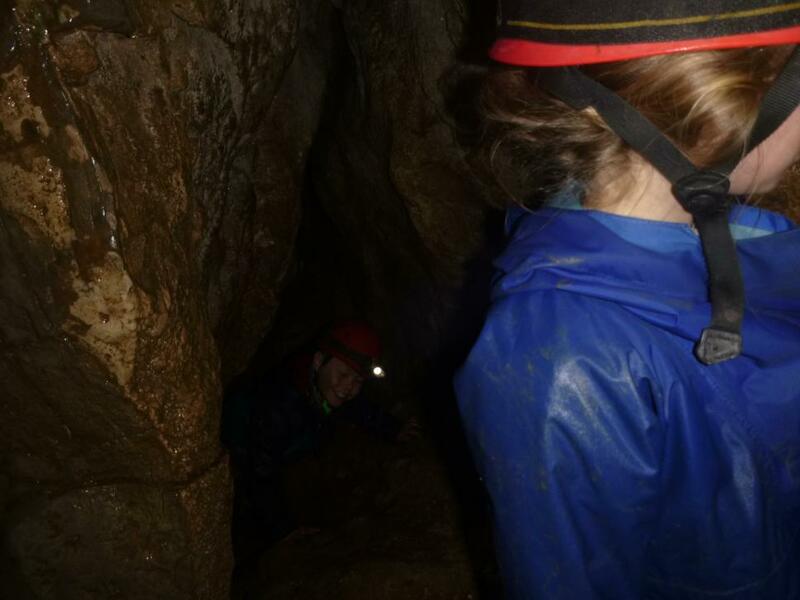 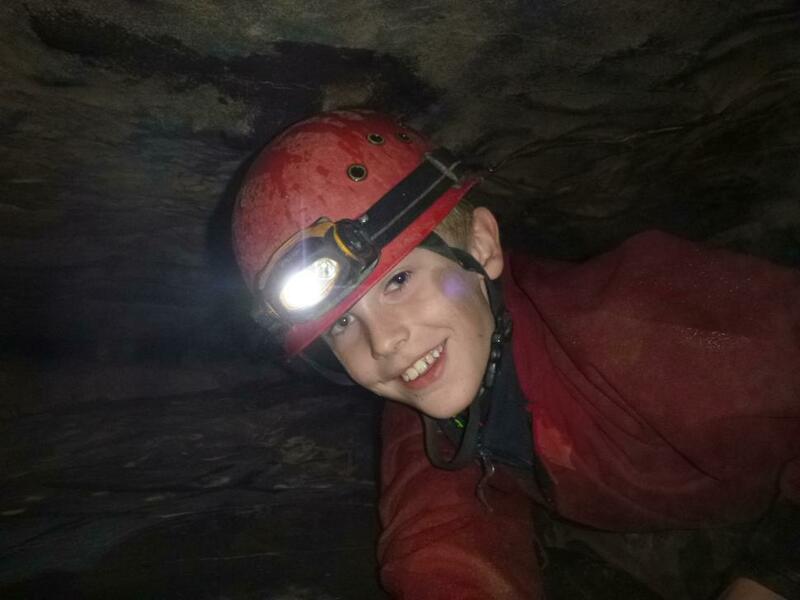 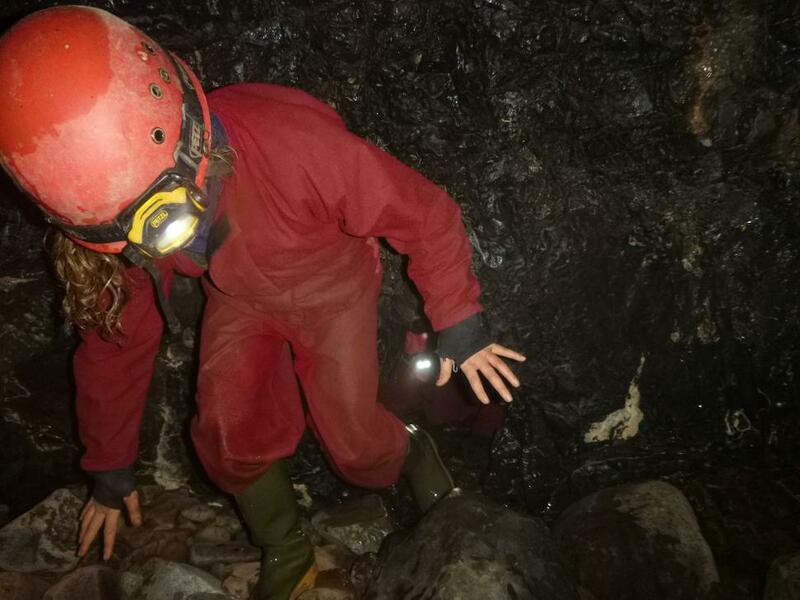 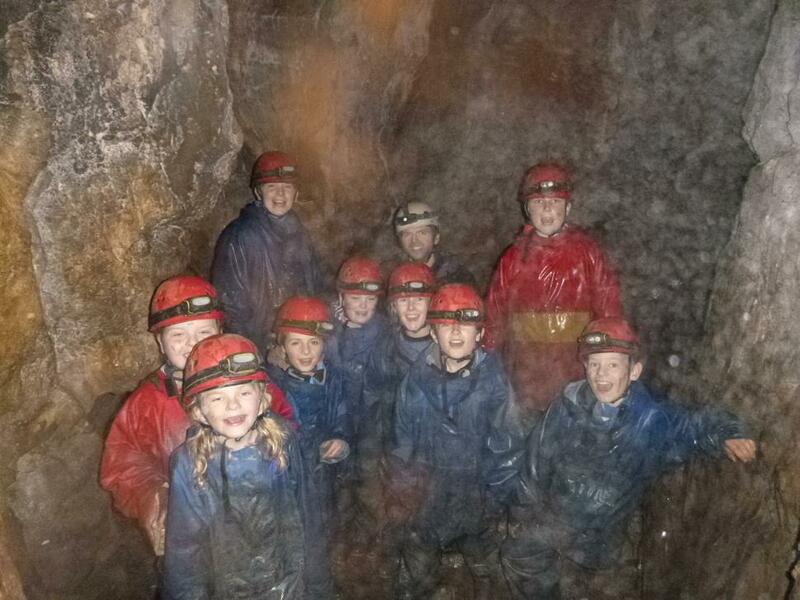 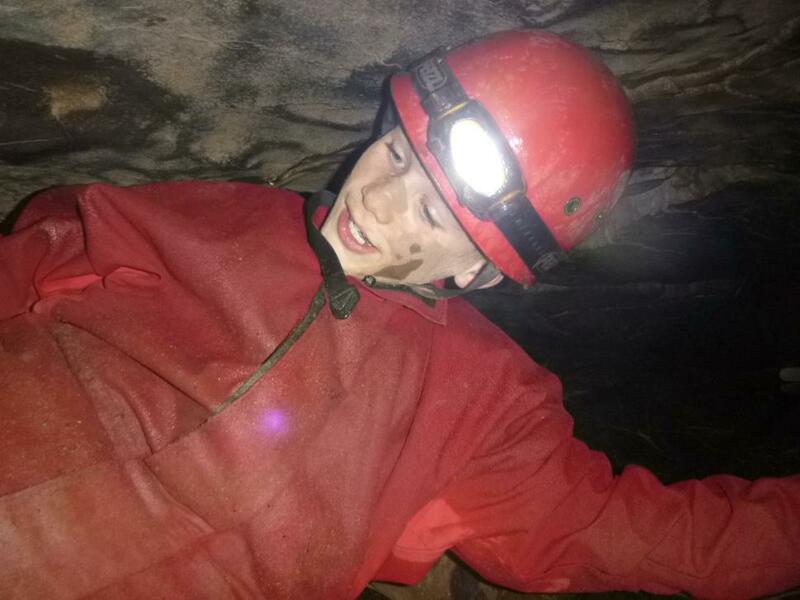 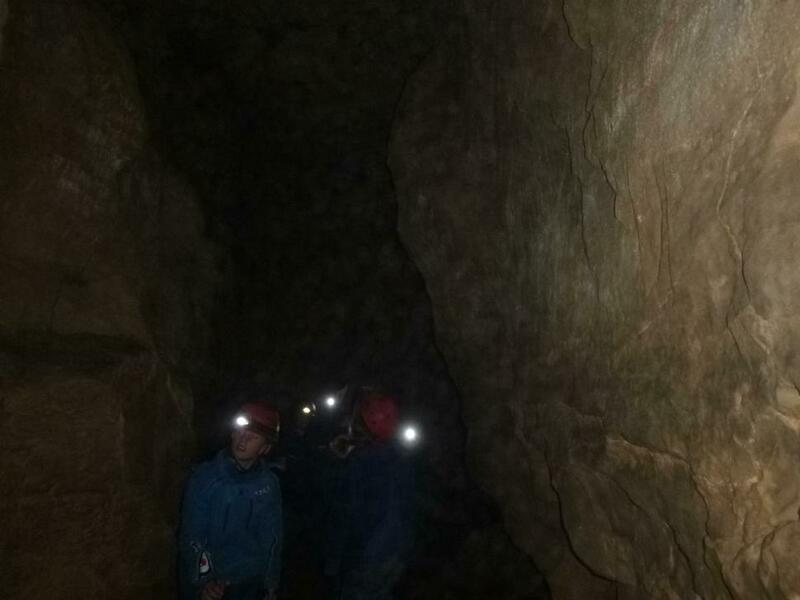 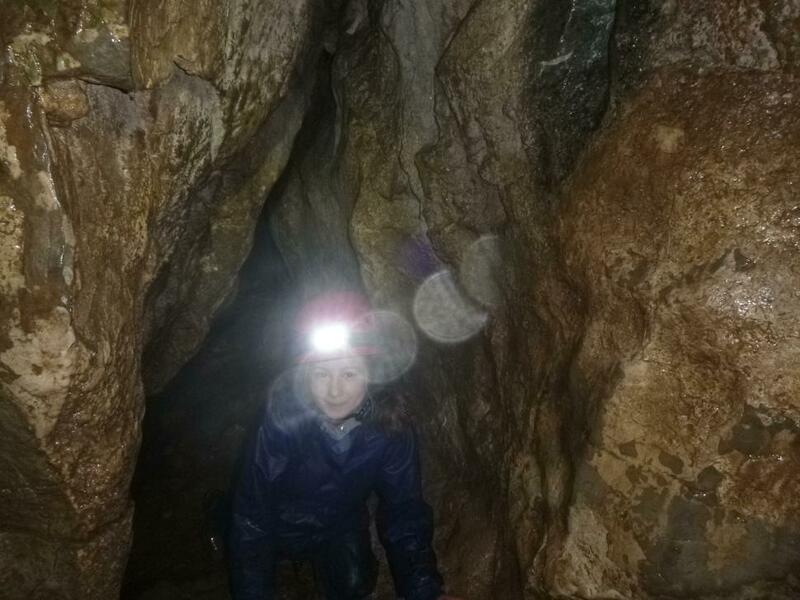 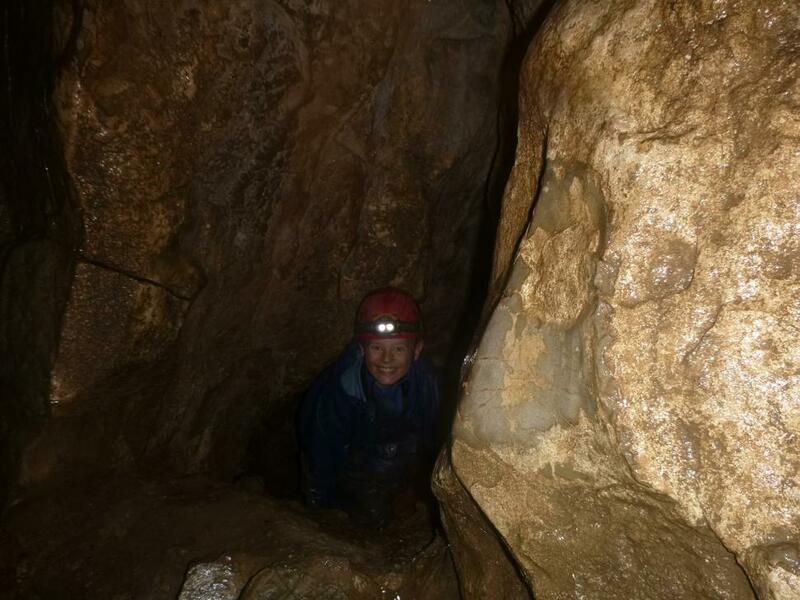 Mrs Brady's group went caving today and had a fantastic day with lots of children being a bit scared but all children gave their day at least 4/5 and said they would cave again in the future. 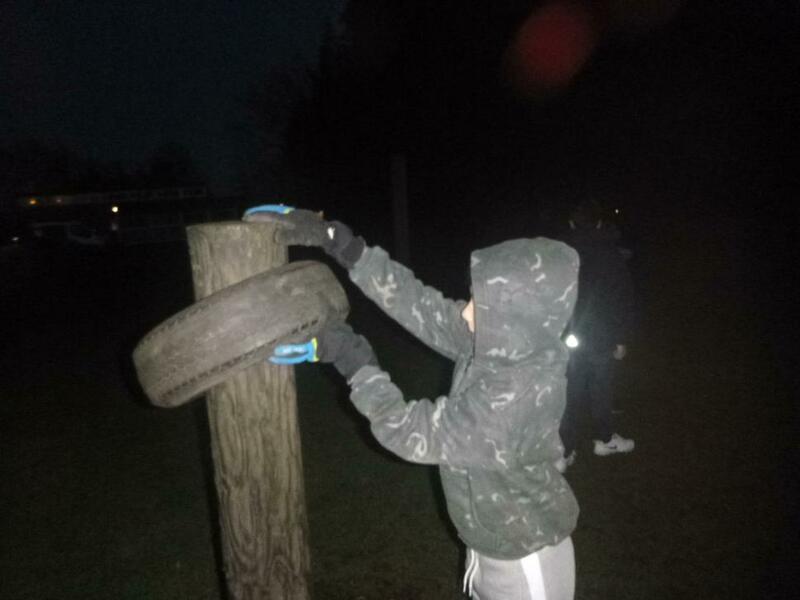 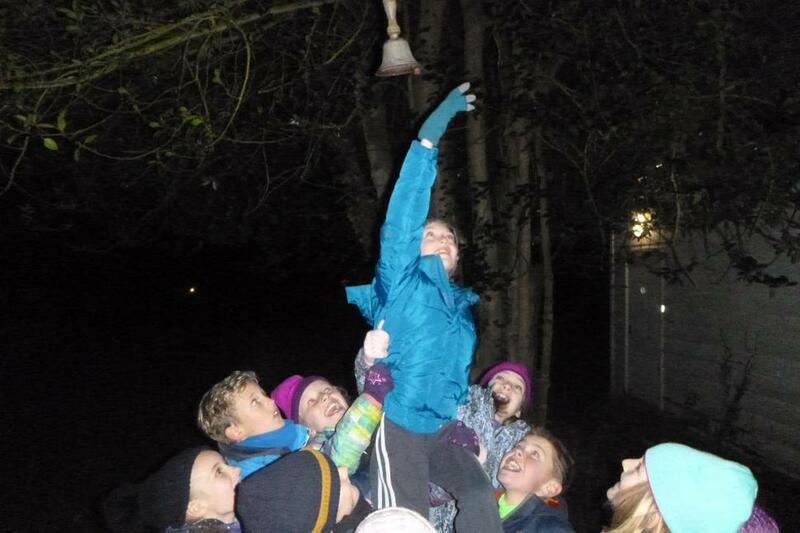 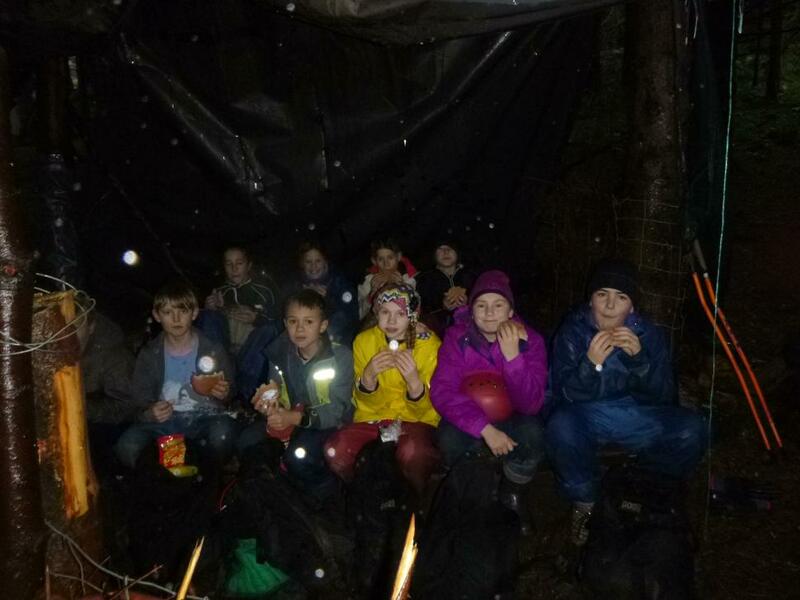 After a hearty dinner of pasta bake and jam tart, the children mixed with St James' to do photo orienteering in the dark with their torches. 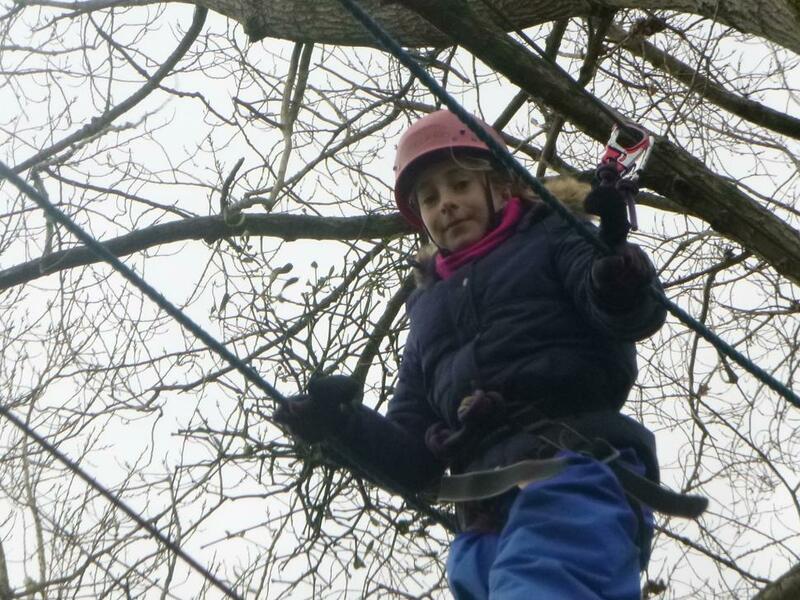 All enjoyed this and Charlotte and her St James partner won the prize. 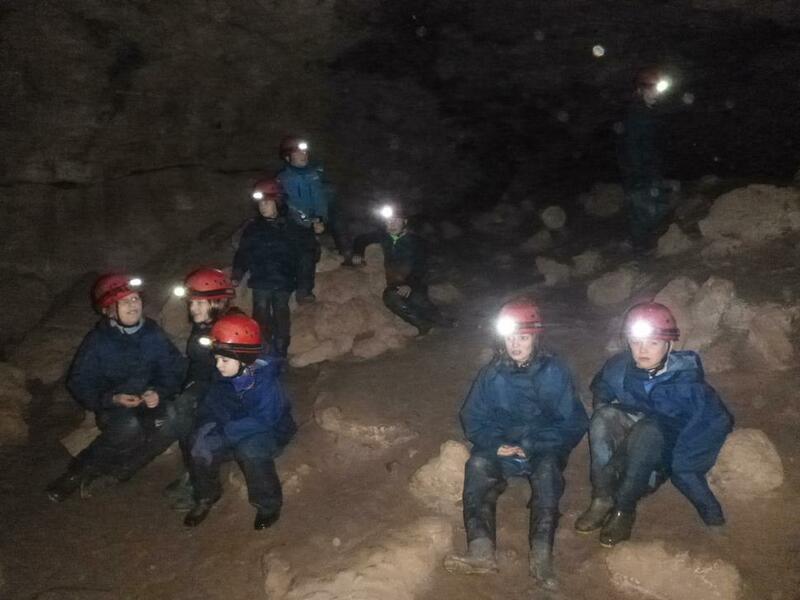 All children are all settled in bed and quiet now. 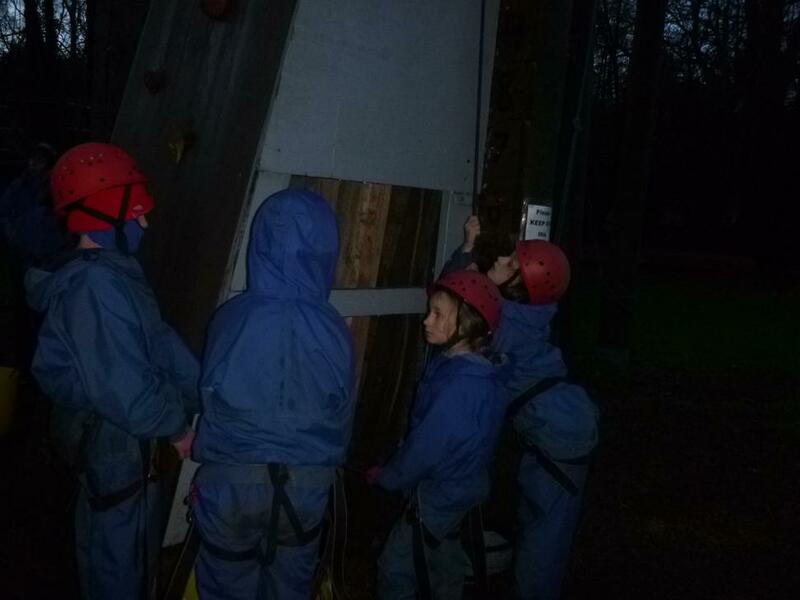 Fingers crossed for another good night. 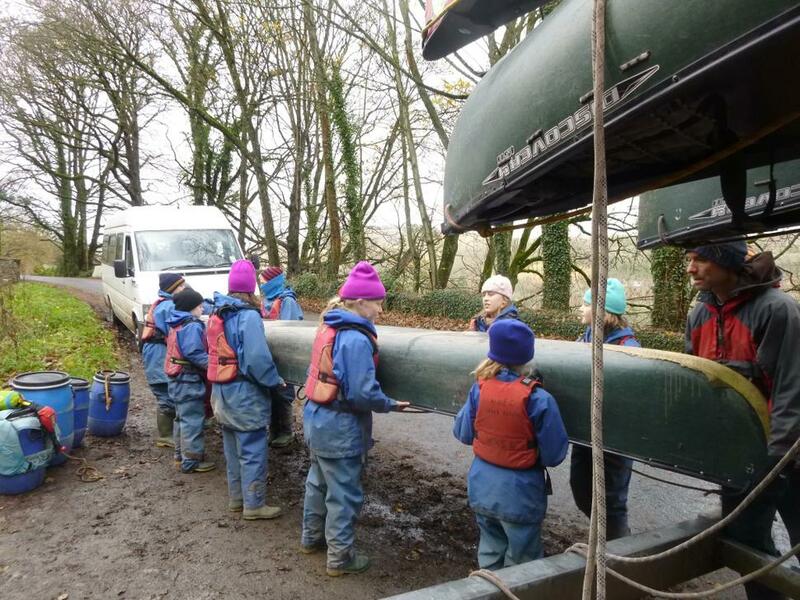 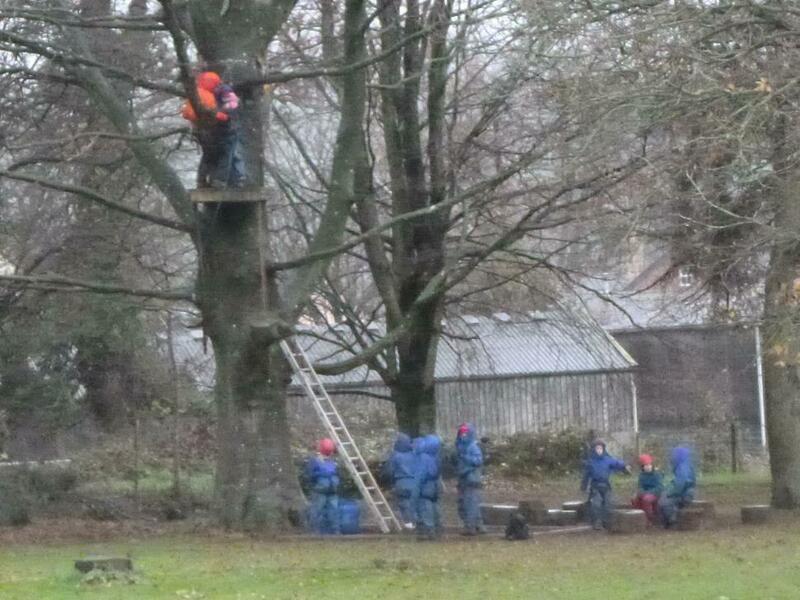 Oaks all arrived safely this afternoon. 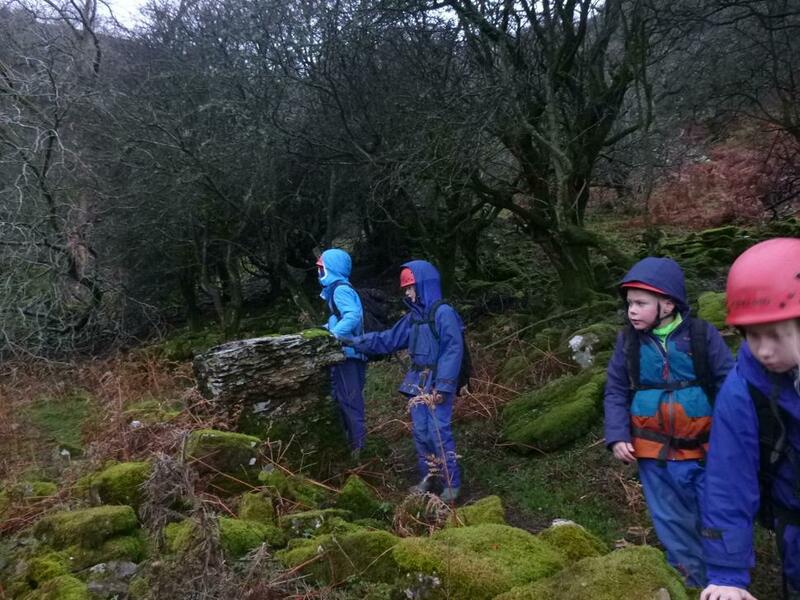 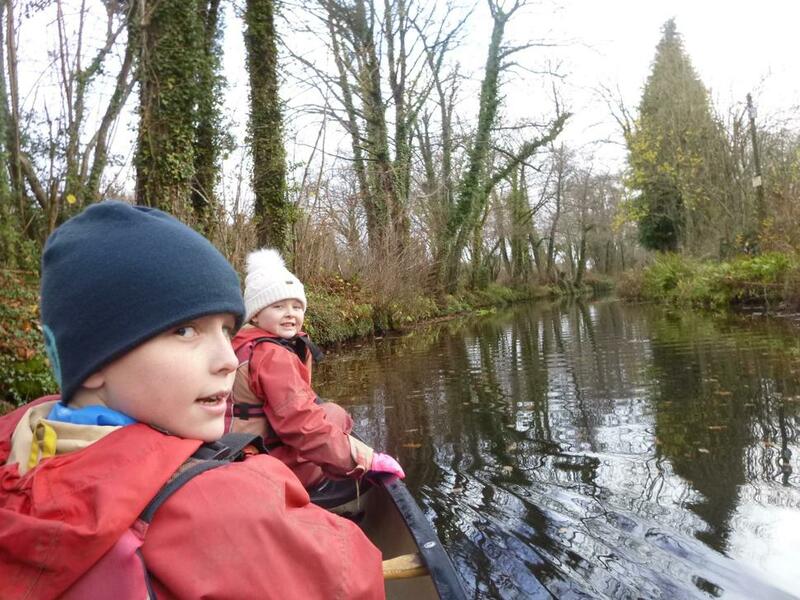 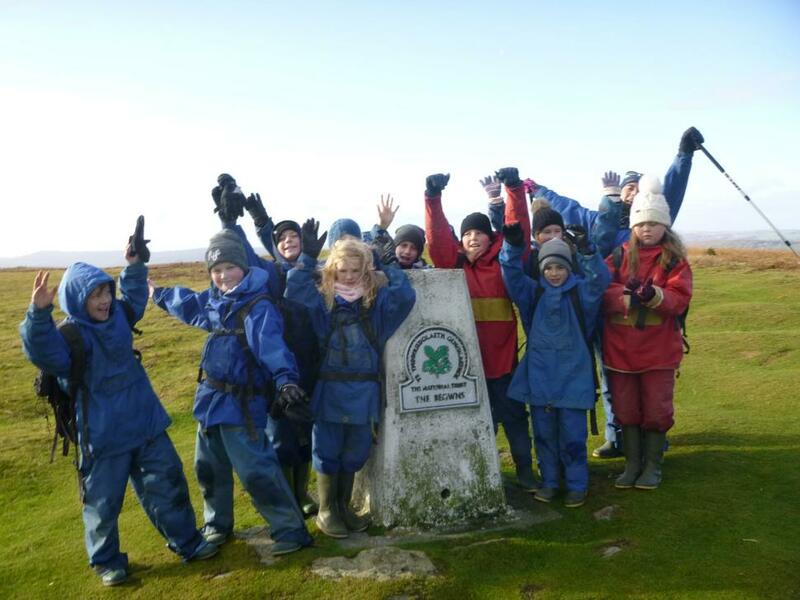 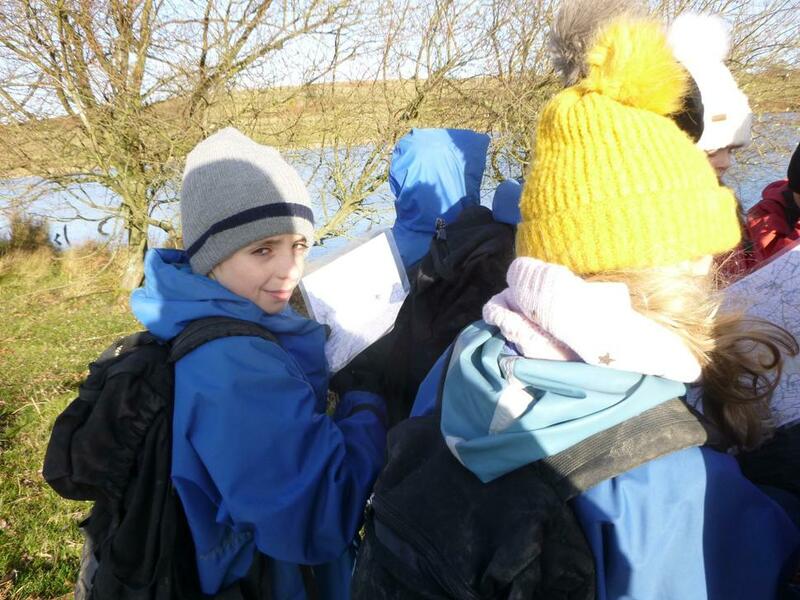 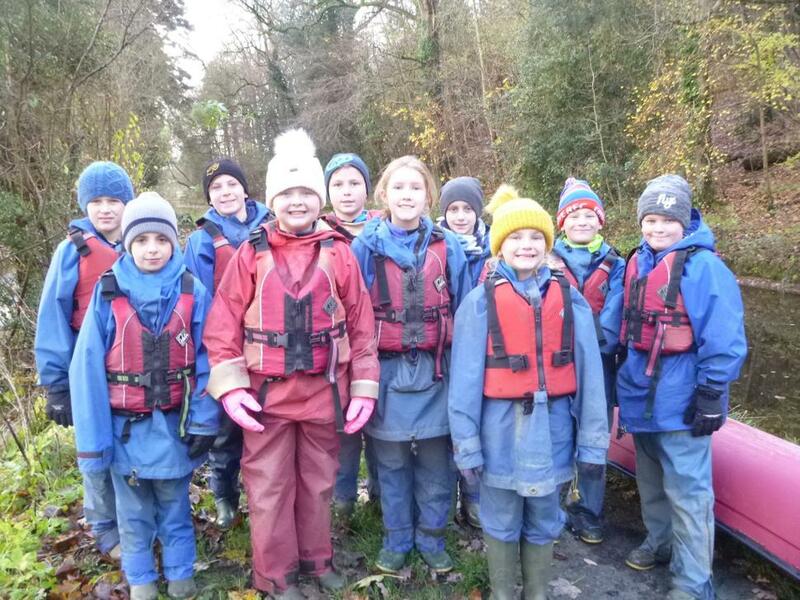 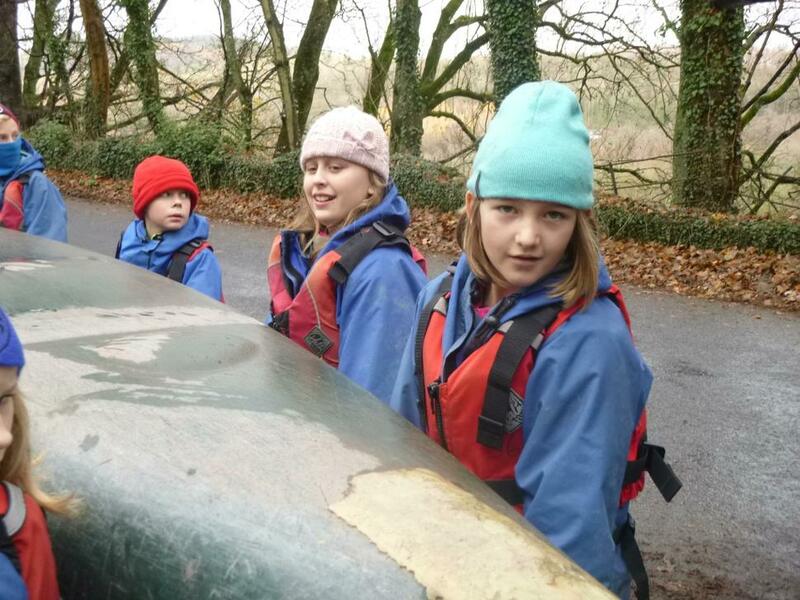 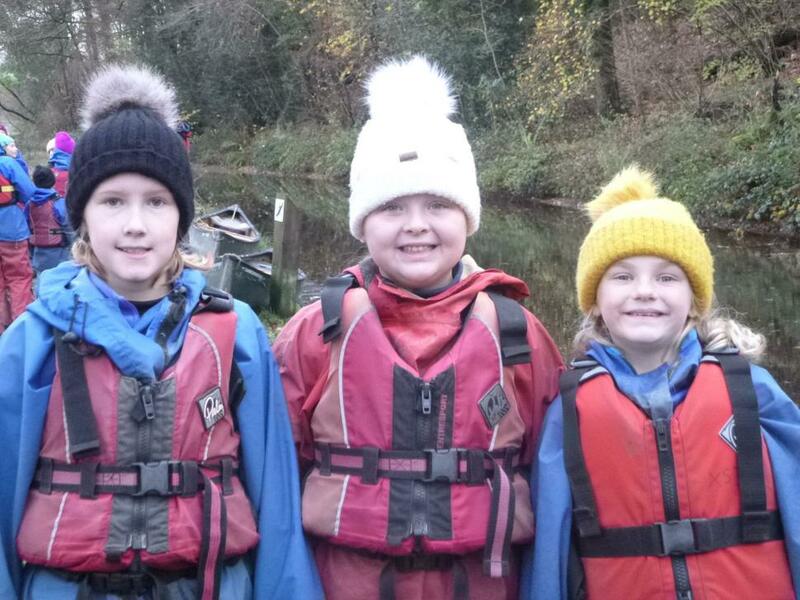 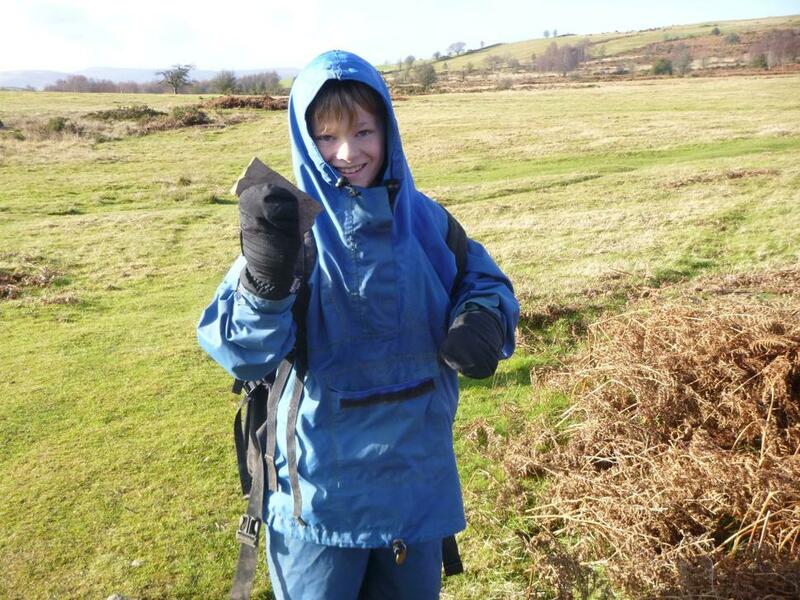 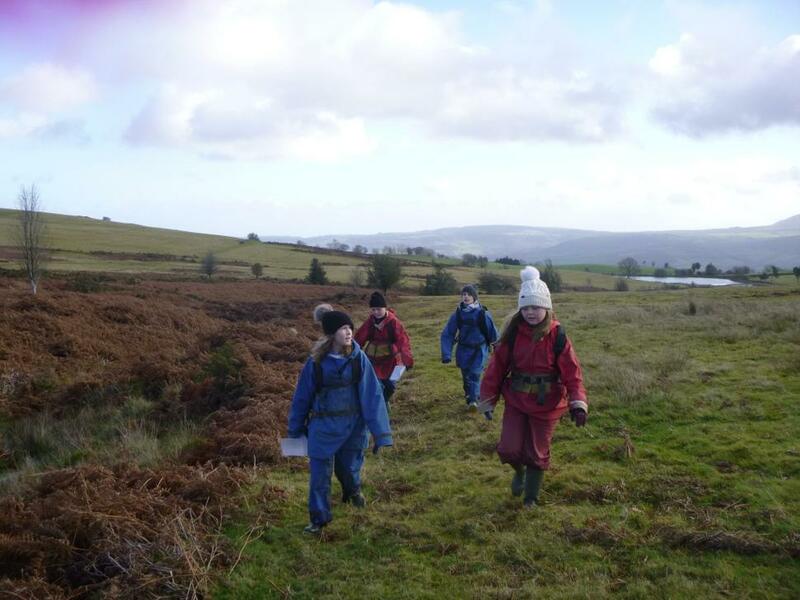 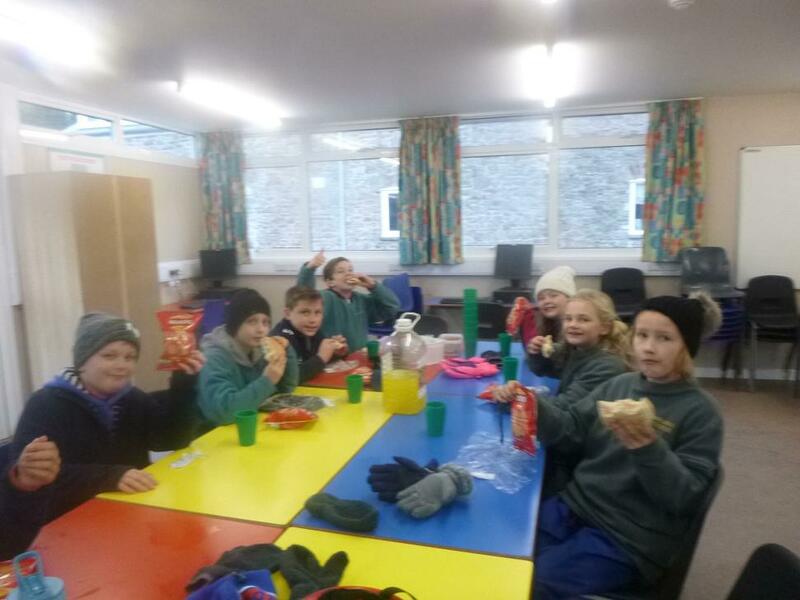 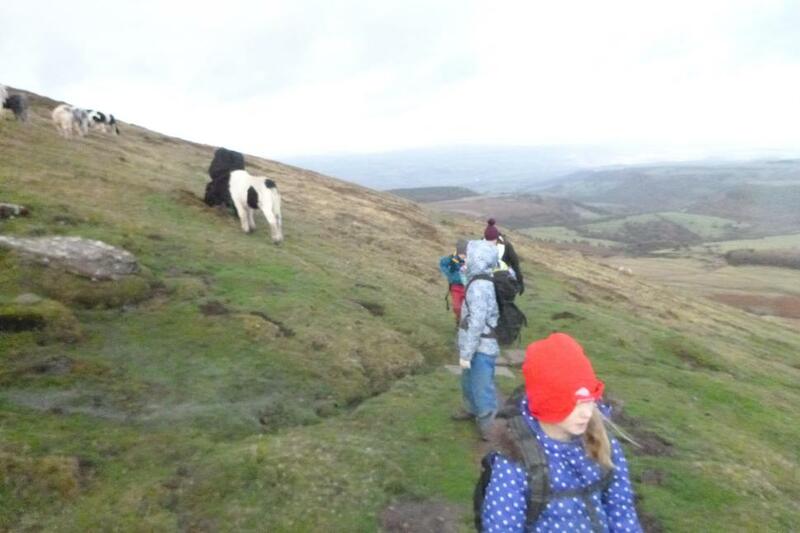 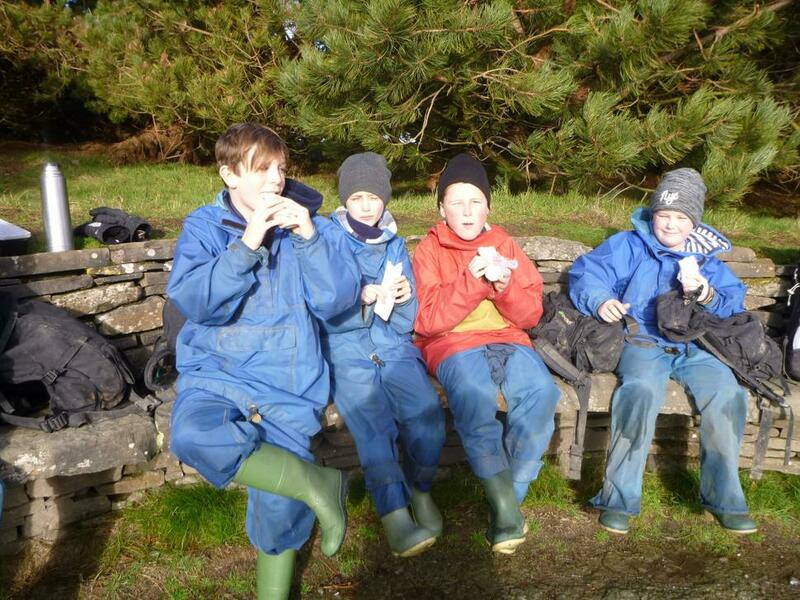 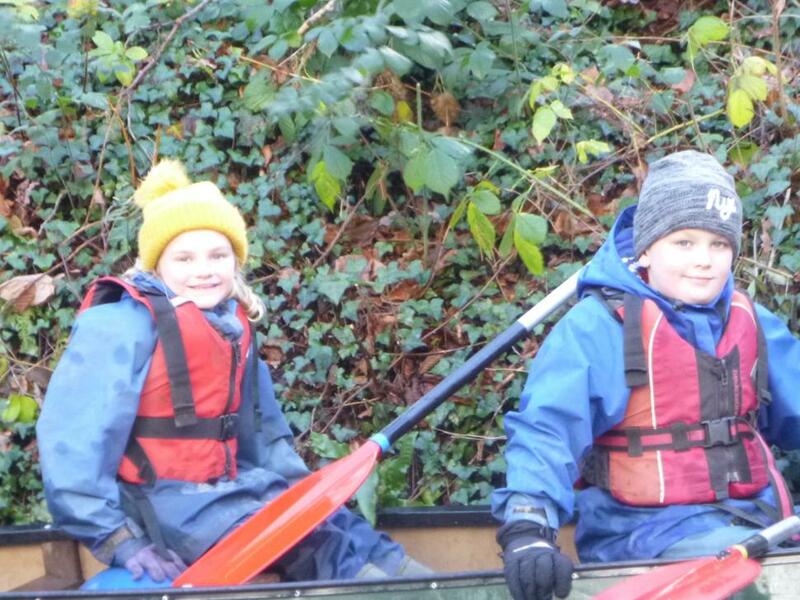 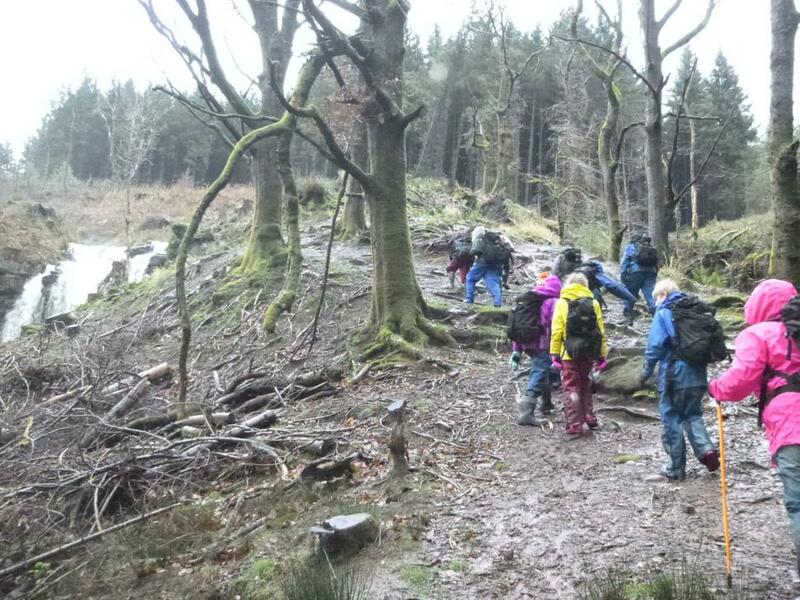 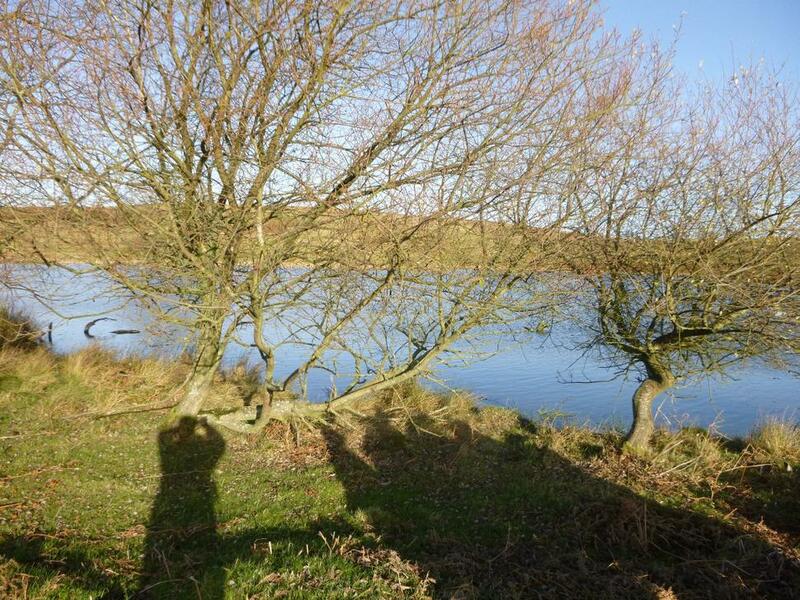 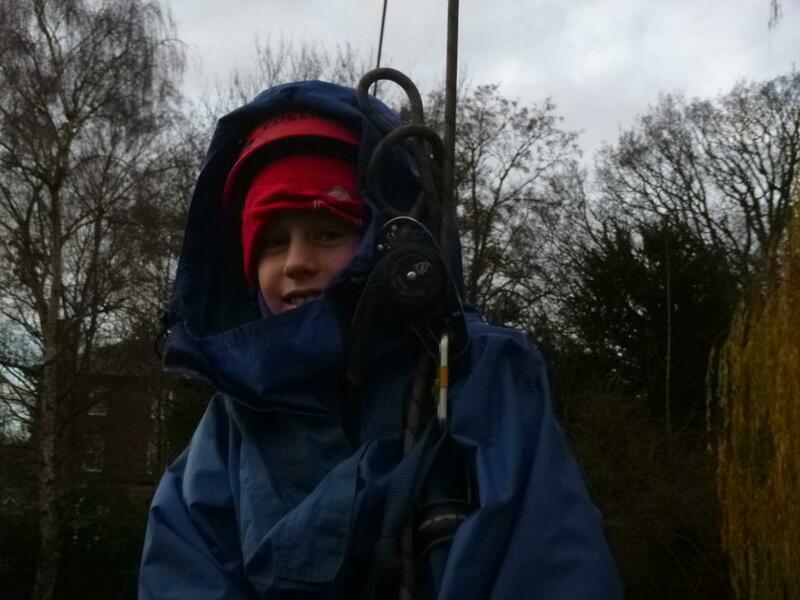 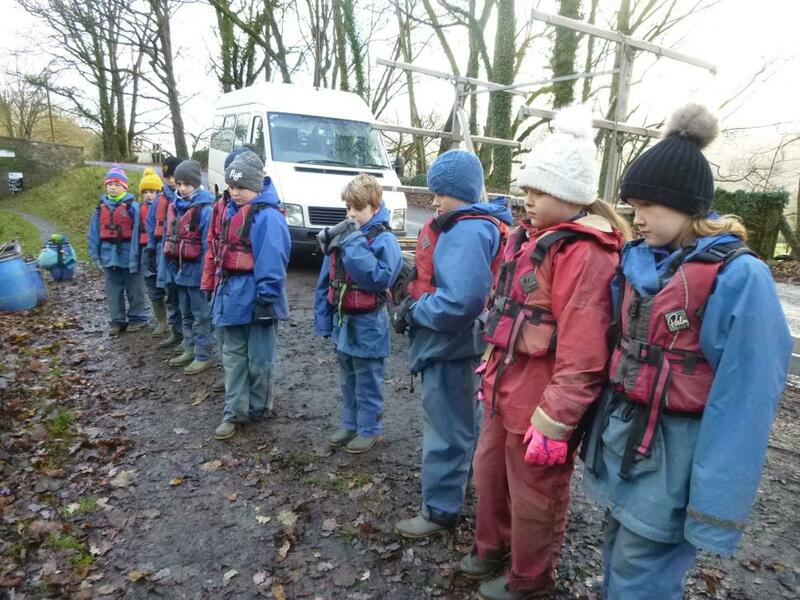 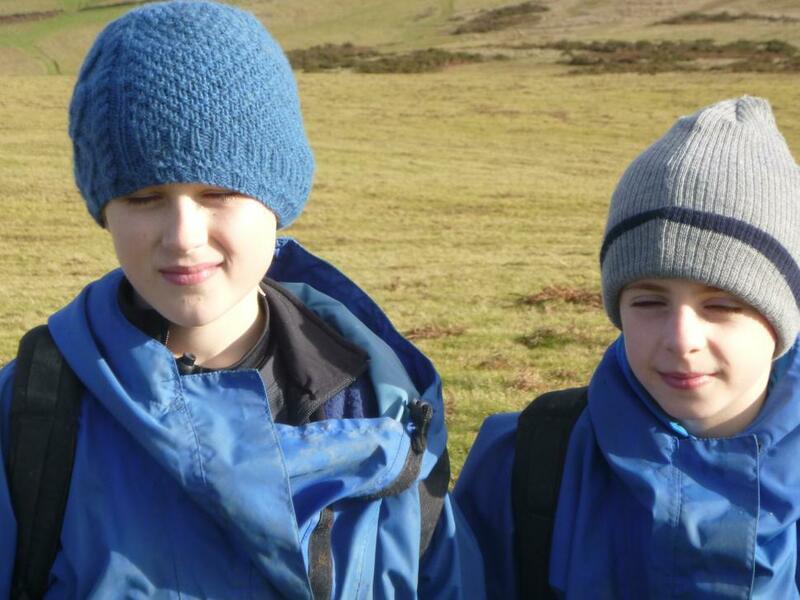 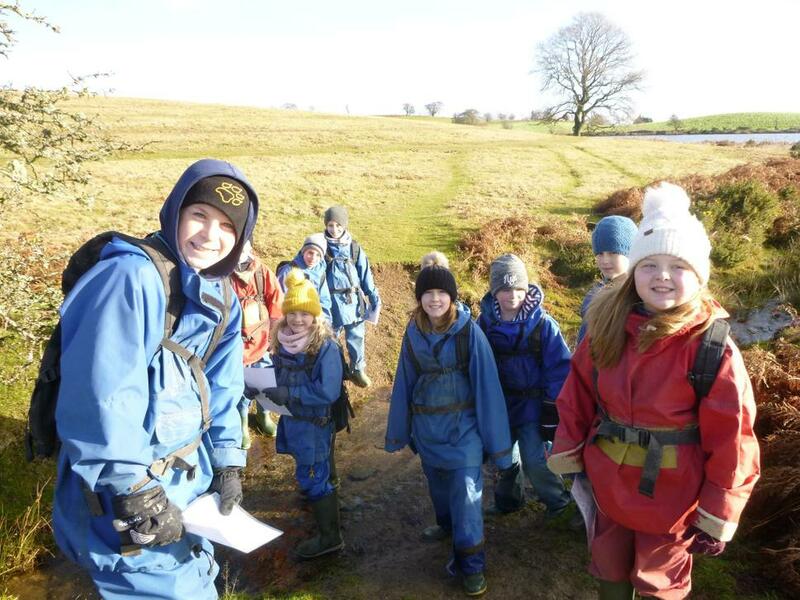 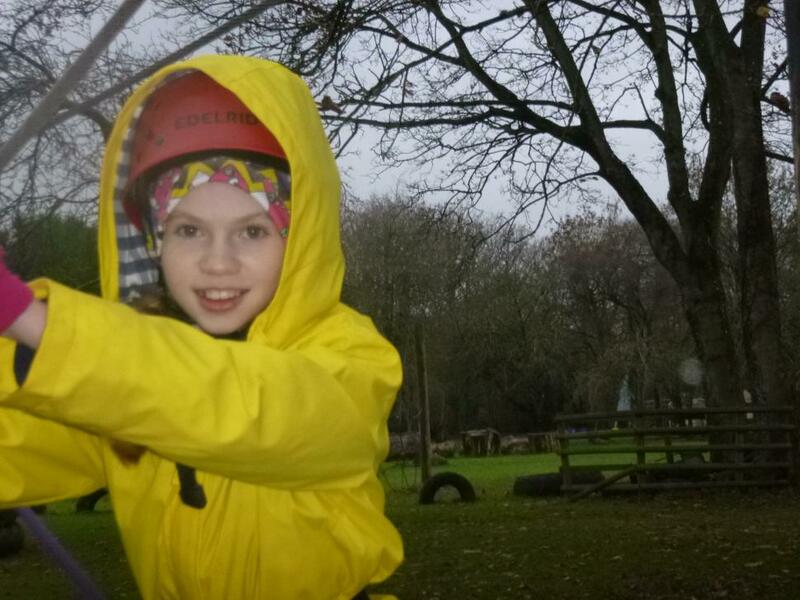 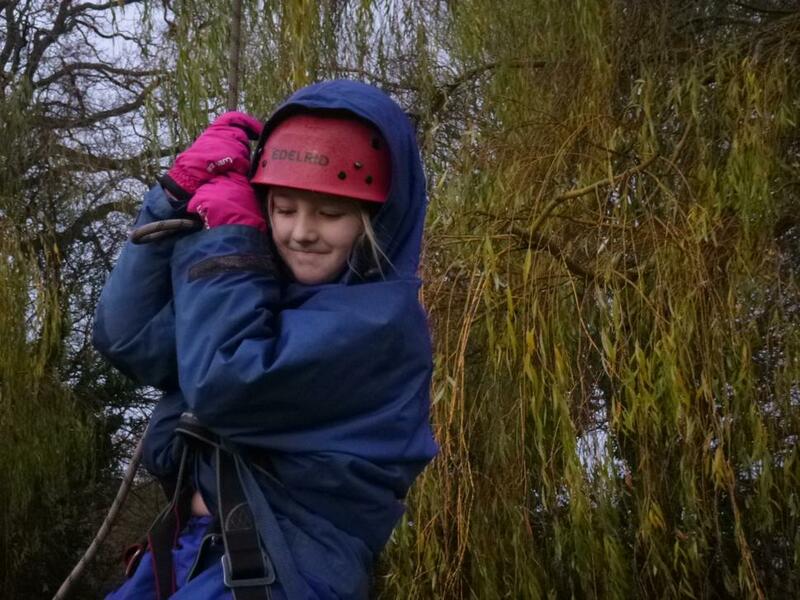 All of the children enjoyed some french bread pizza and flapjack and then were kitted out with their outdoor Woodlands waterproofs and fleece. 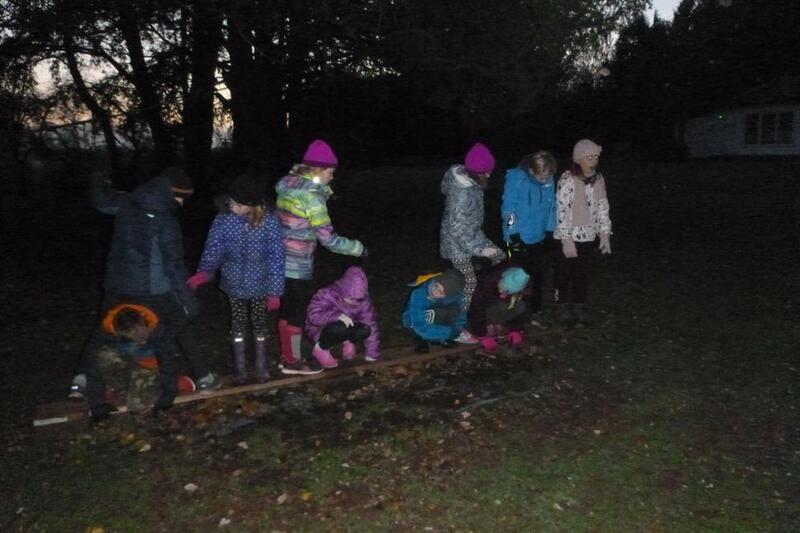 After making their beds, we set out for a little "outdoor business" until it became too dark. 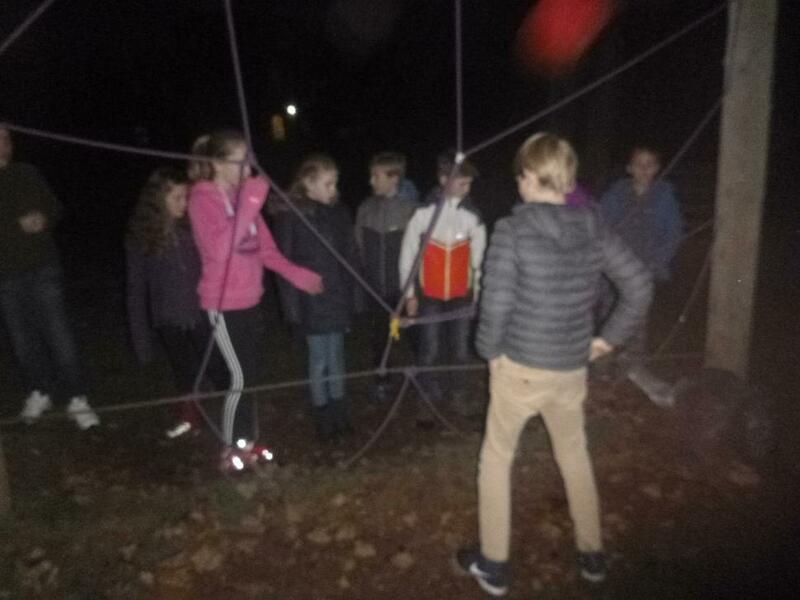 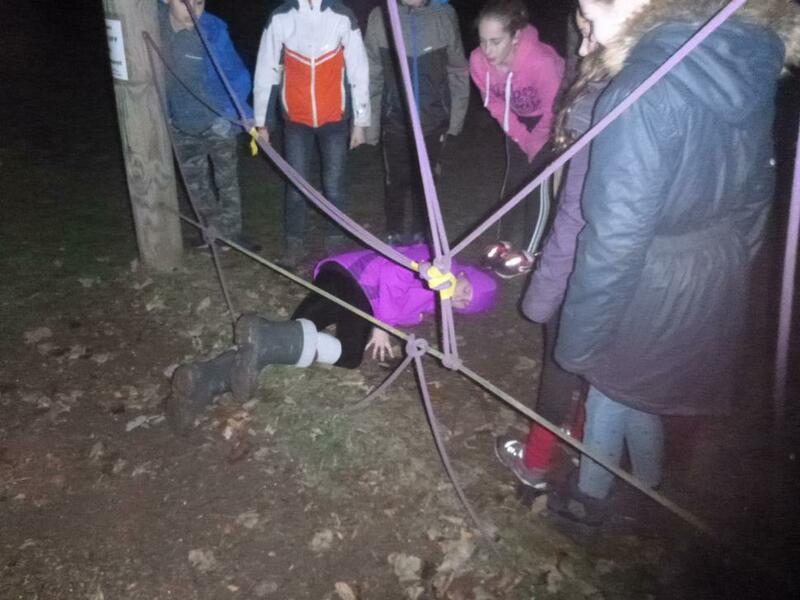 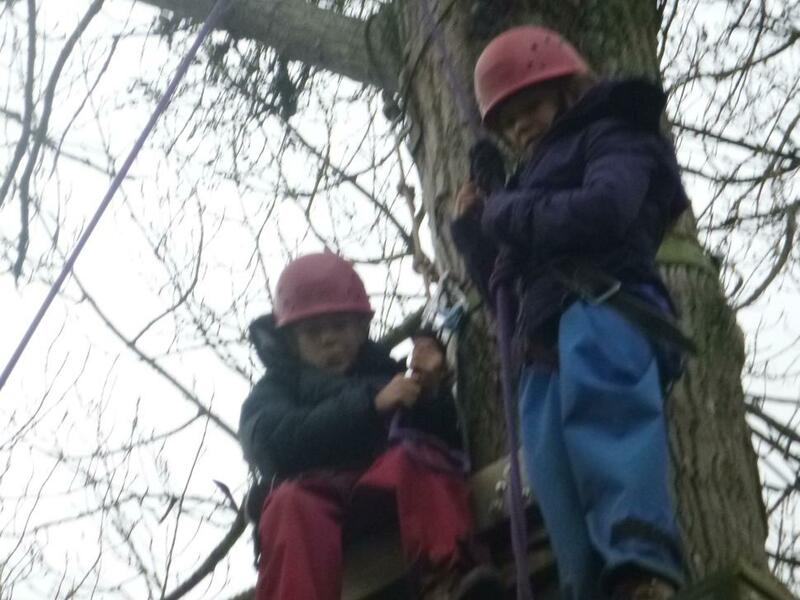 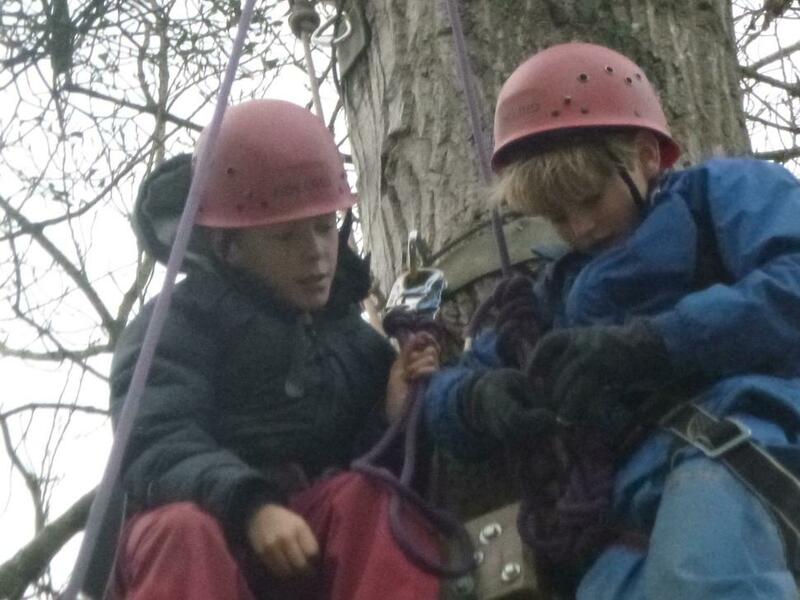 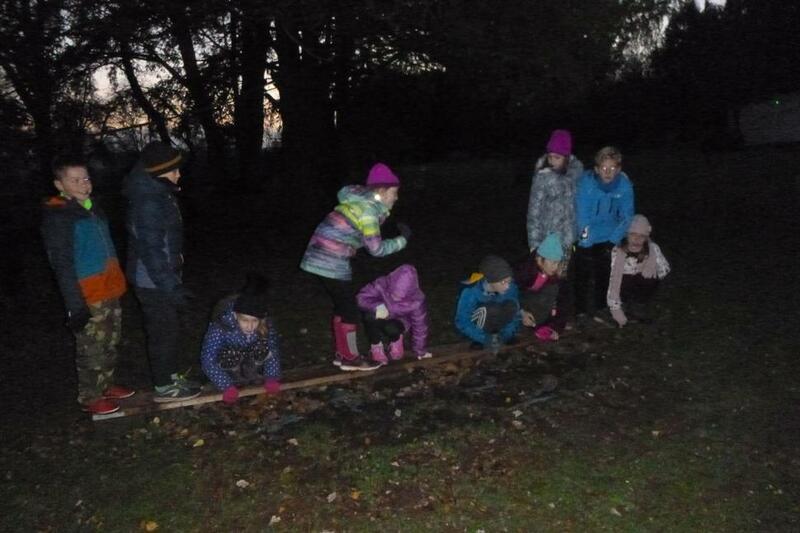 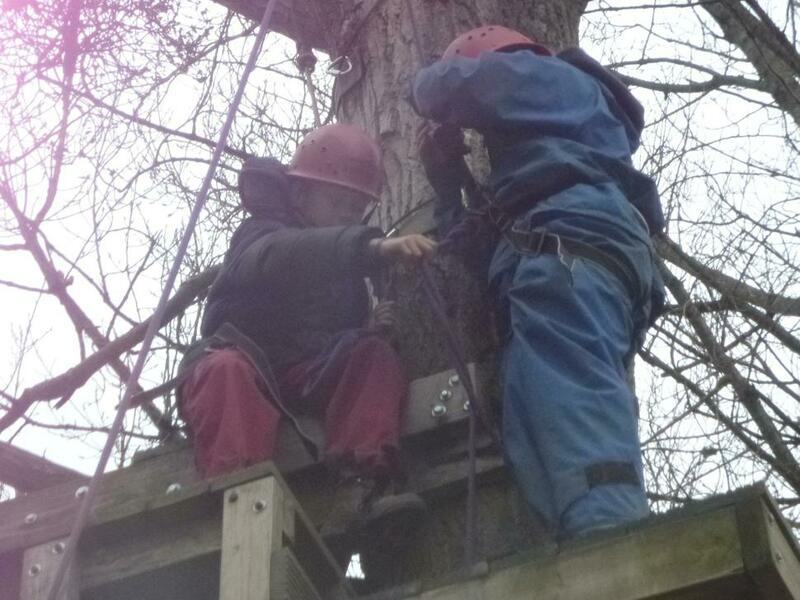 Children were able to work together to get themselves through a spiders web, ring a bell high above them just by supporting each other and work together on a plank to organise themselves in different orders. 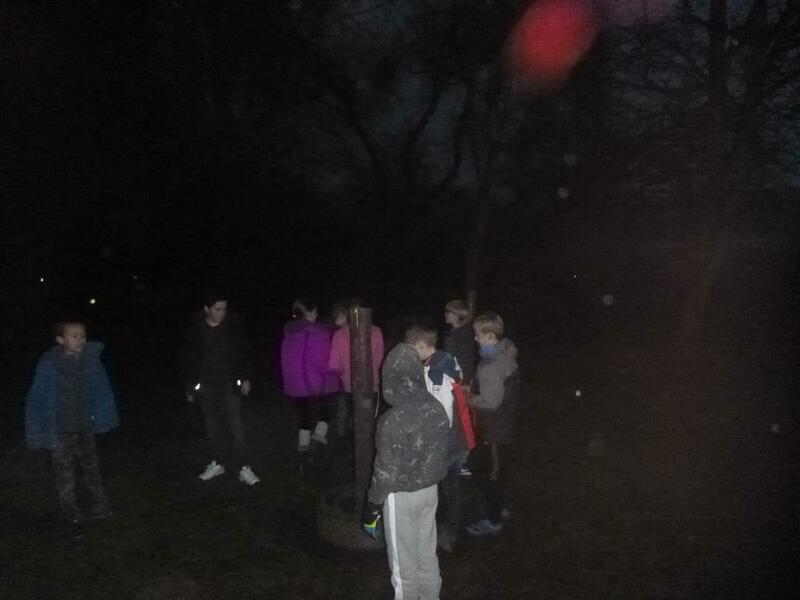 This evening, we will be going on a night walk where we hope to see some stars. 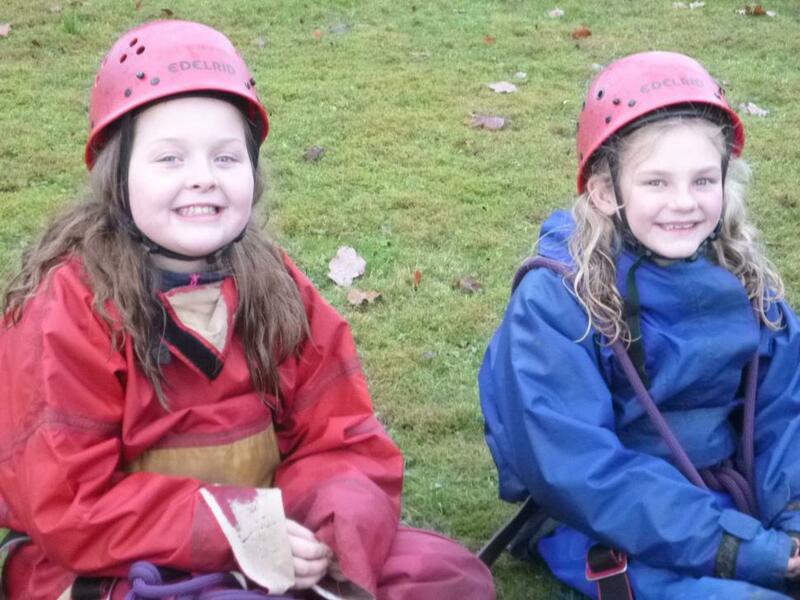 All children -and staff- are happy and smiling! 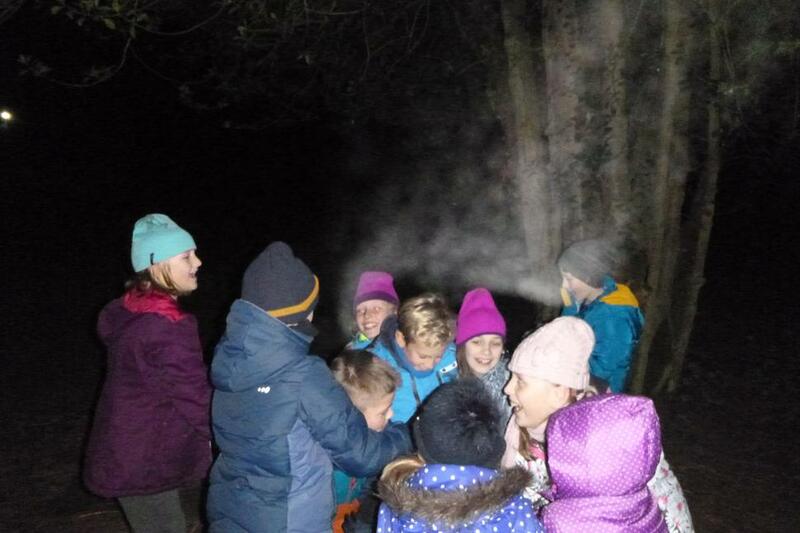 Everyone enjoyed the night walk and we saw lots of stars and heard silence! 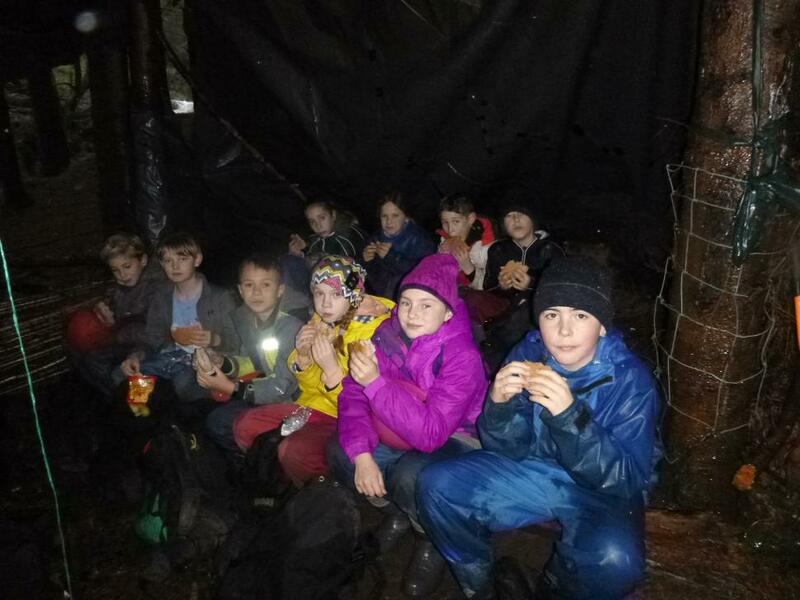 All children are in bed and settled with no fuss or tears. 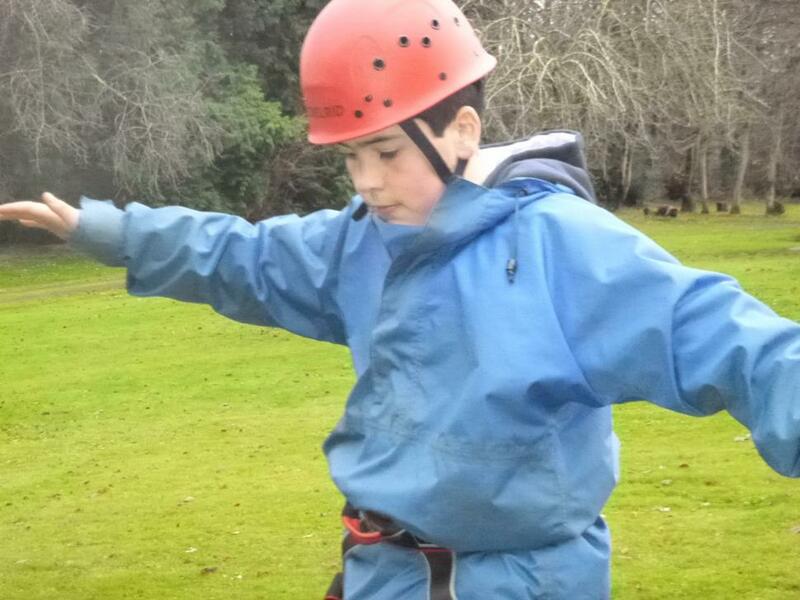 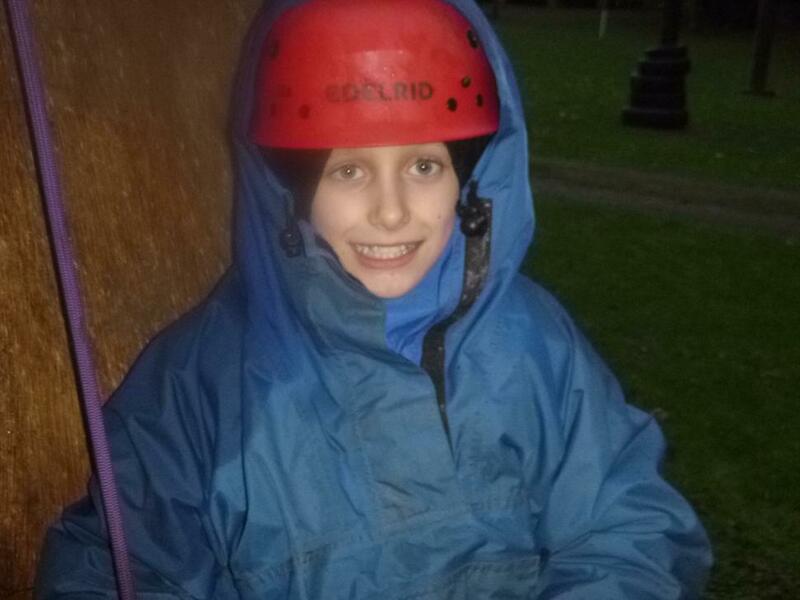 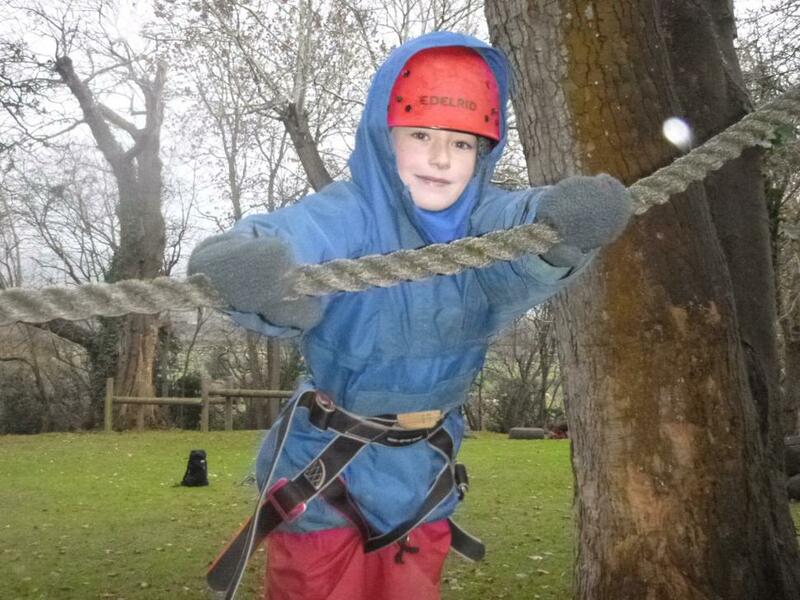 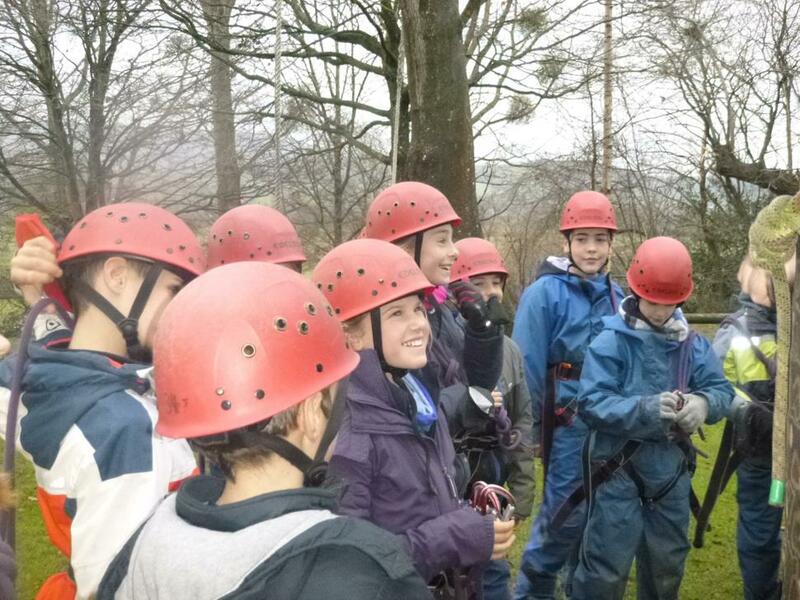 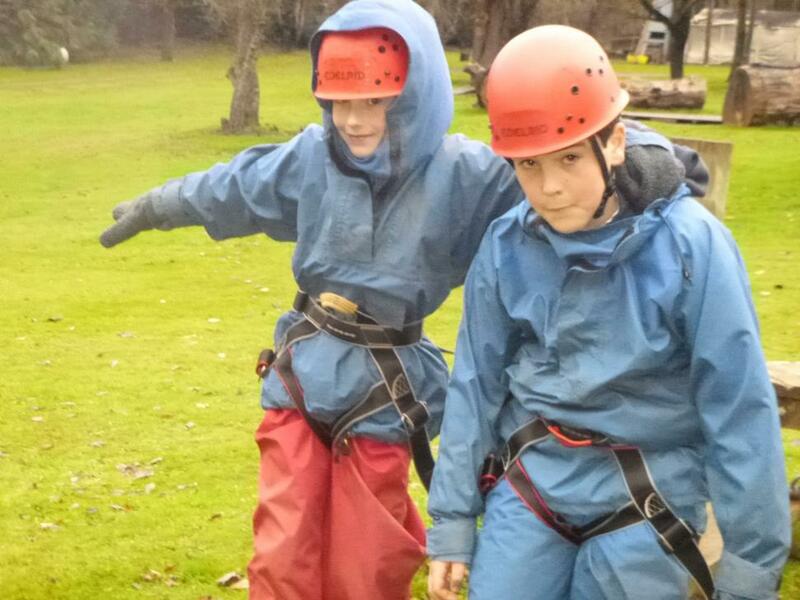 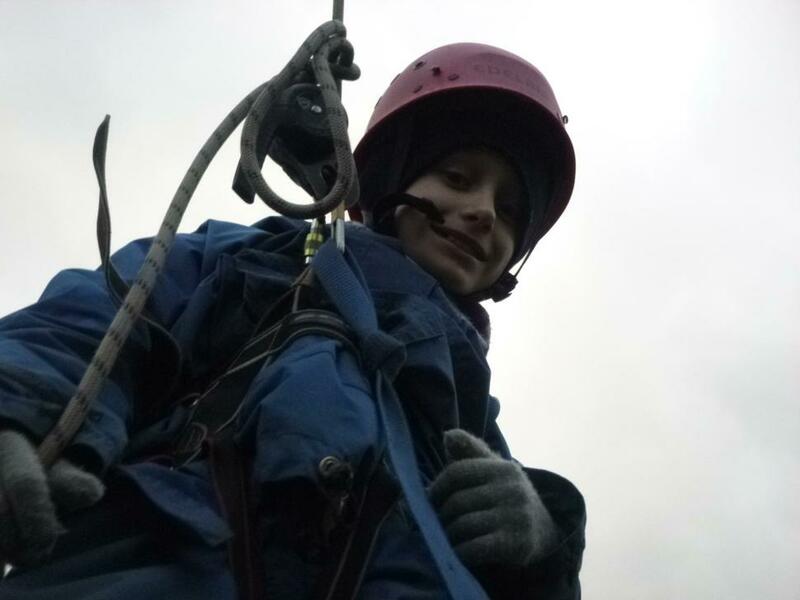 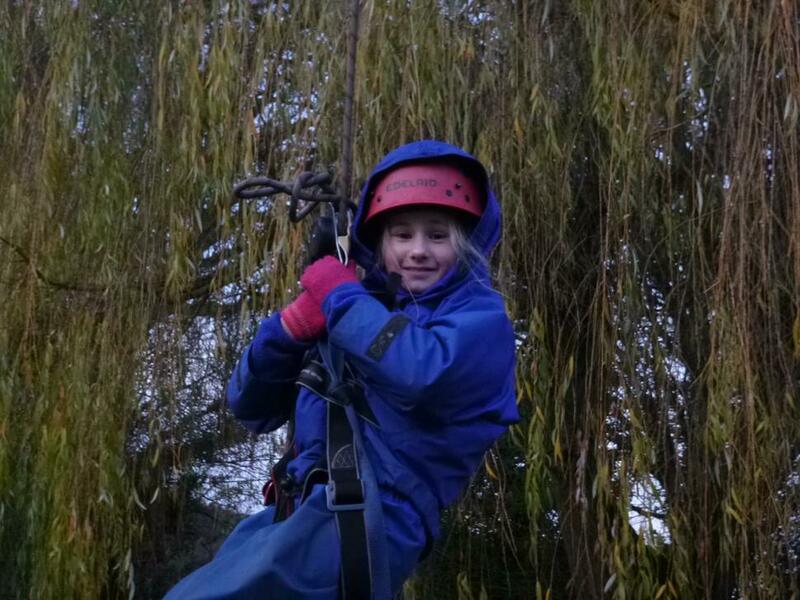 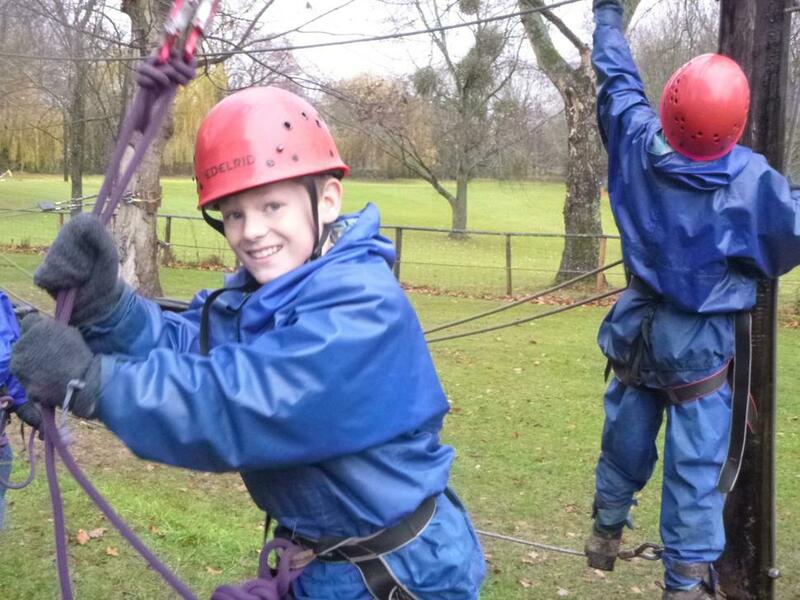 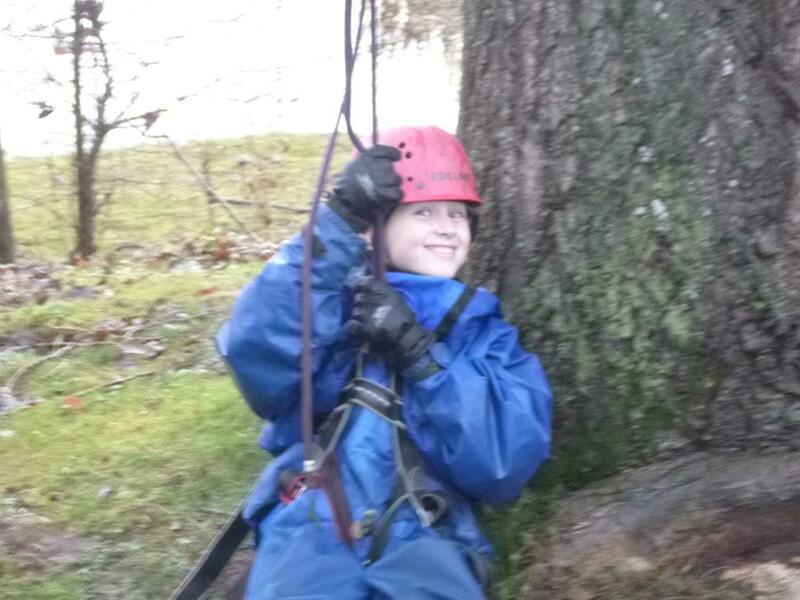 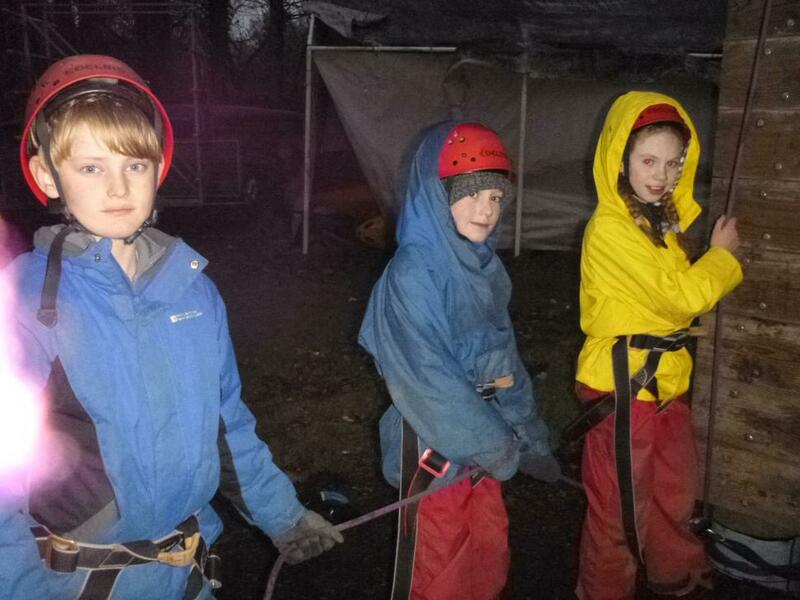 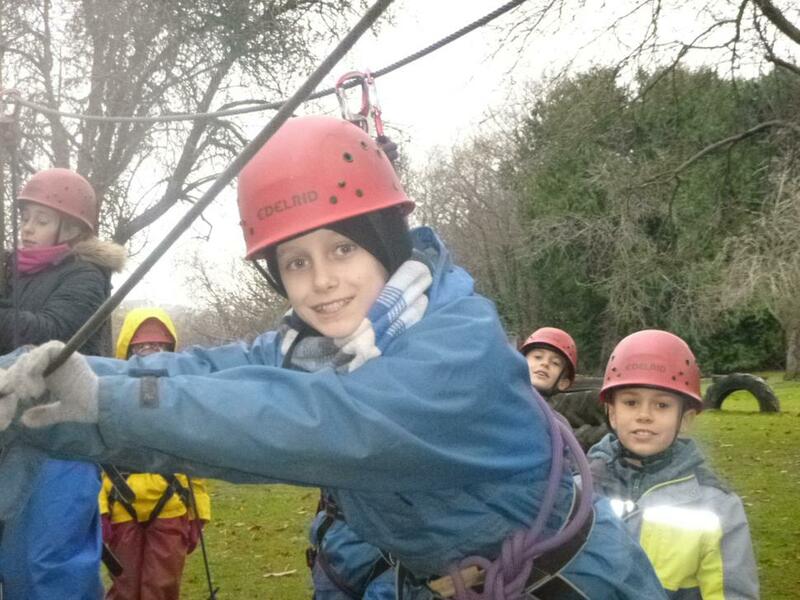 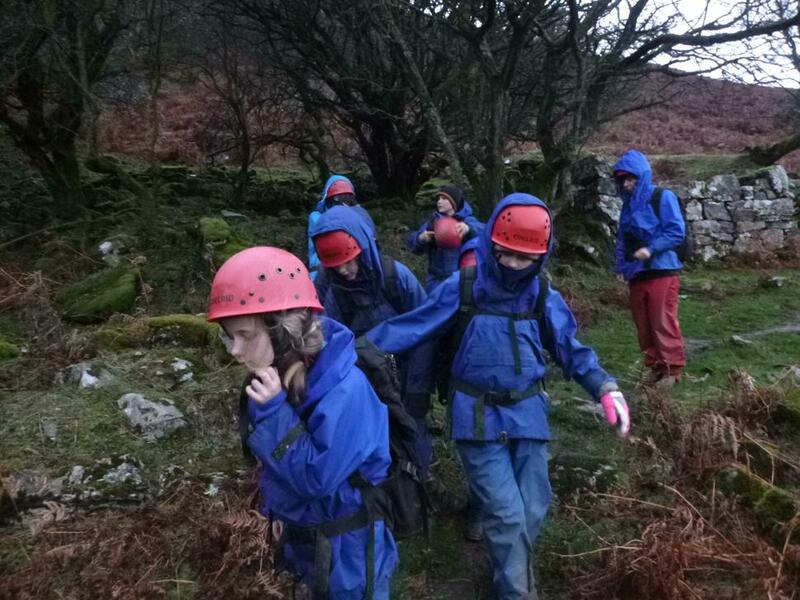 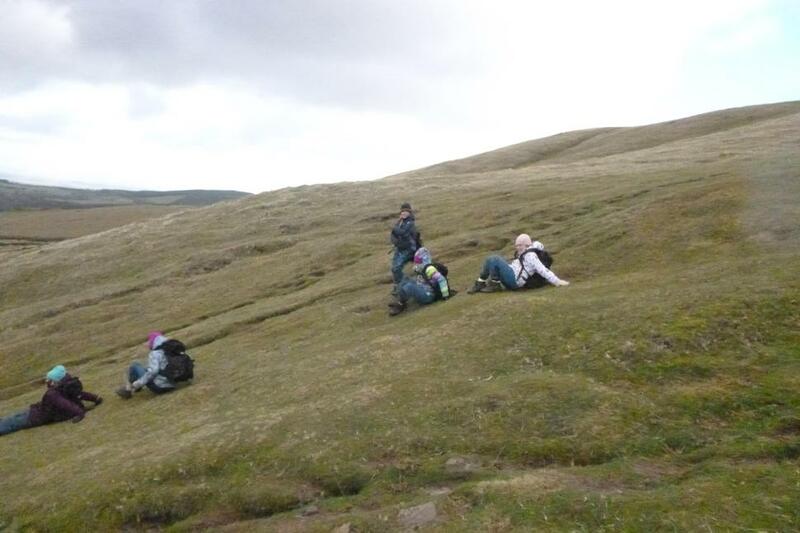 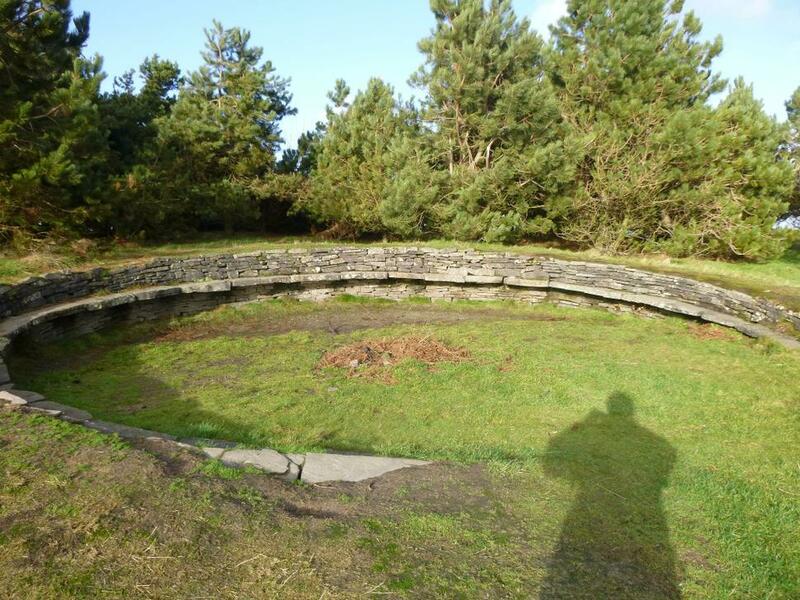 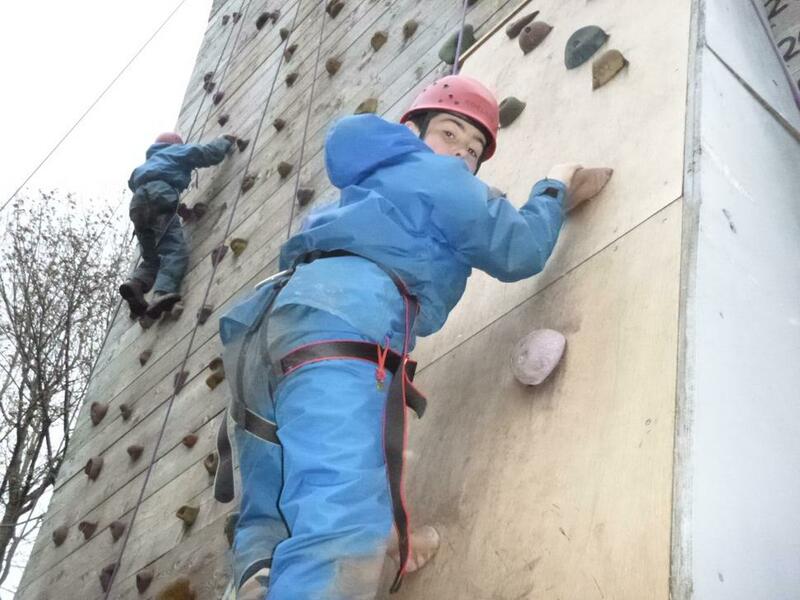 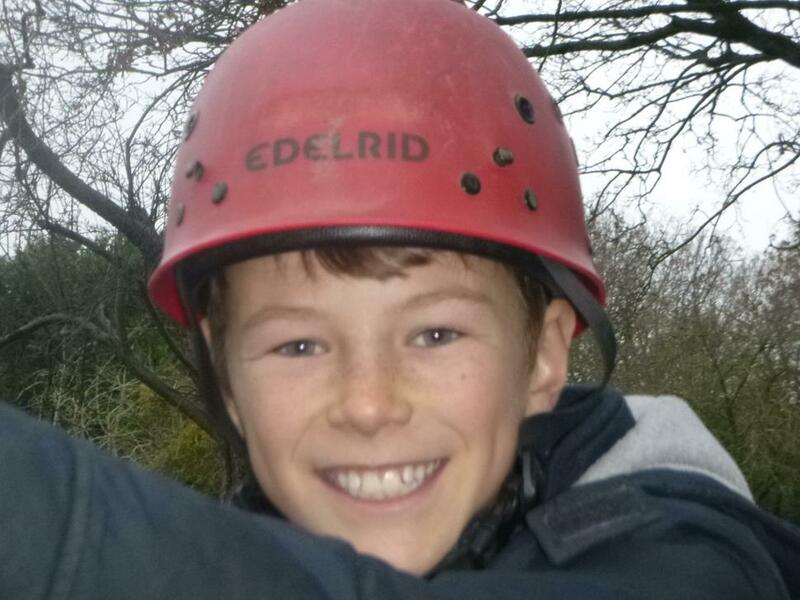 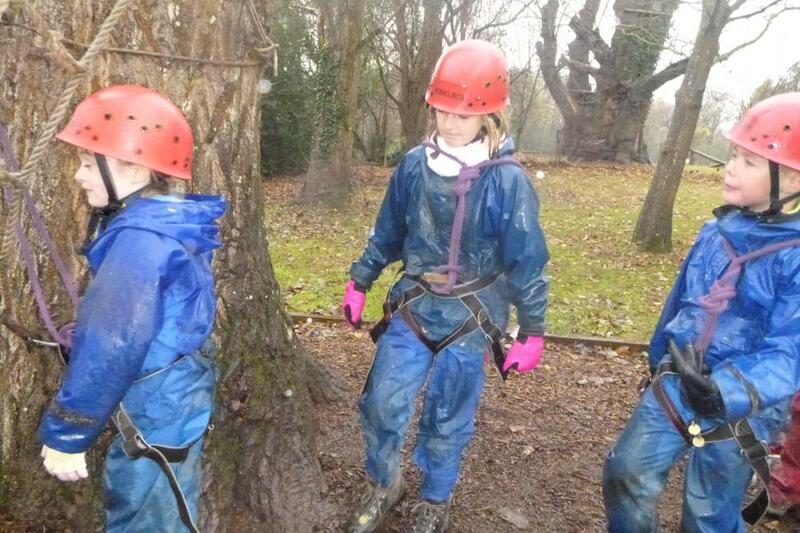 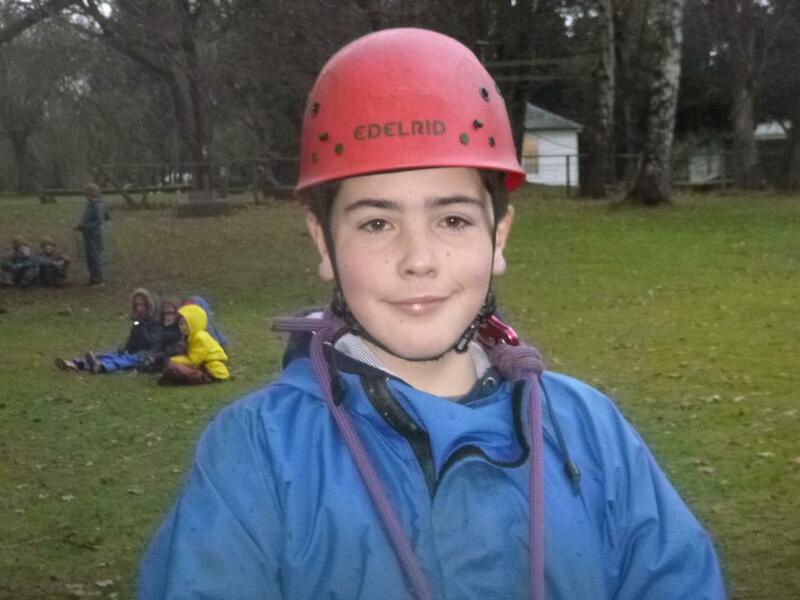 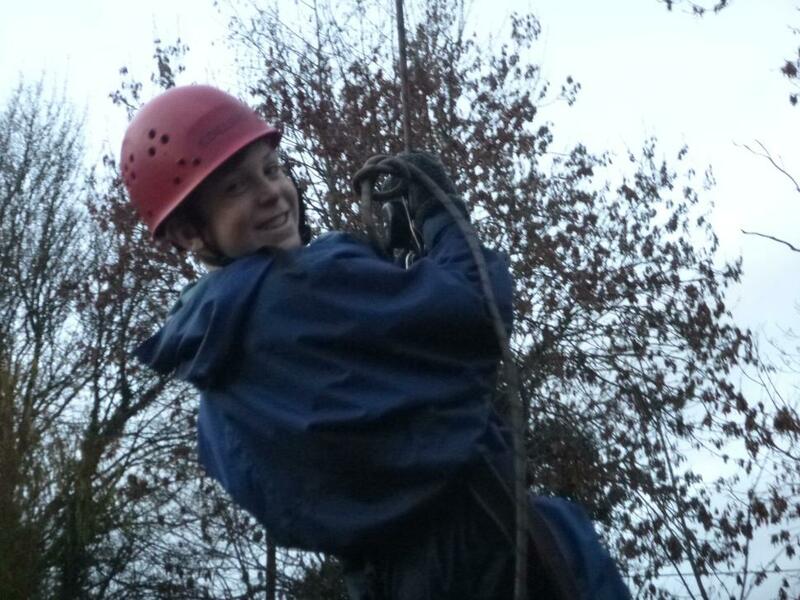 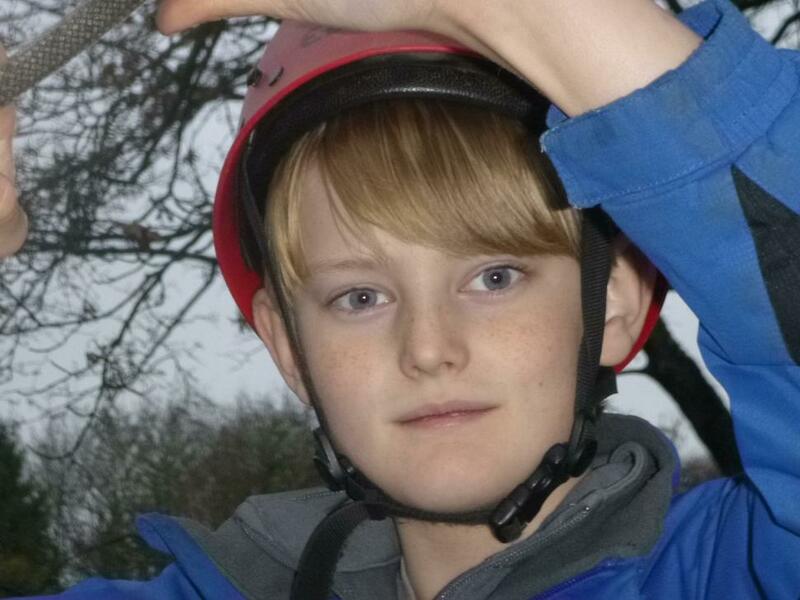 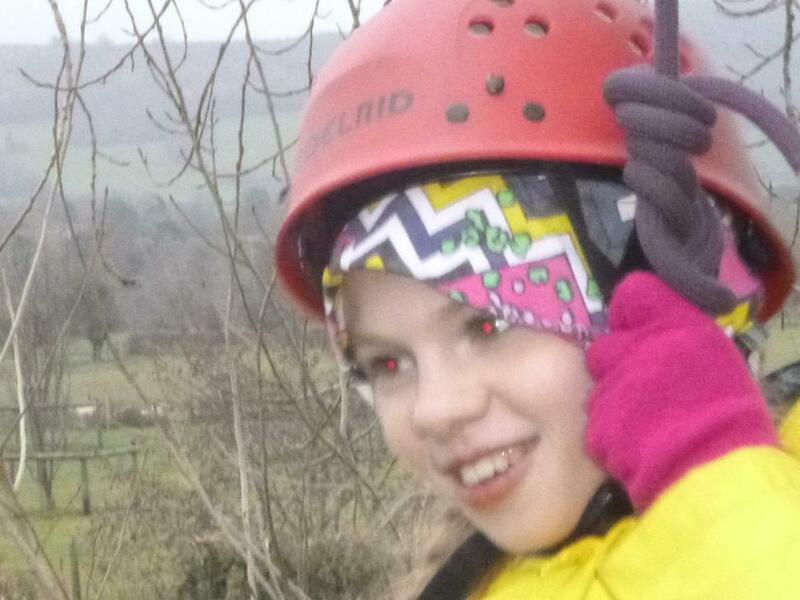 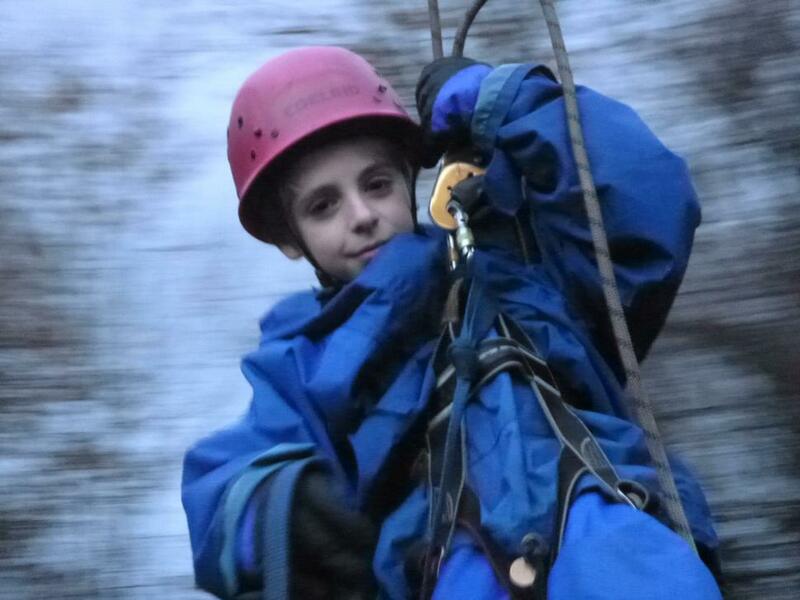 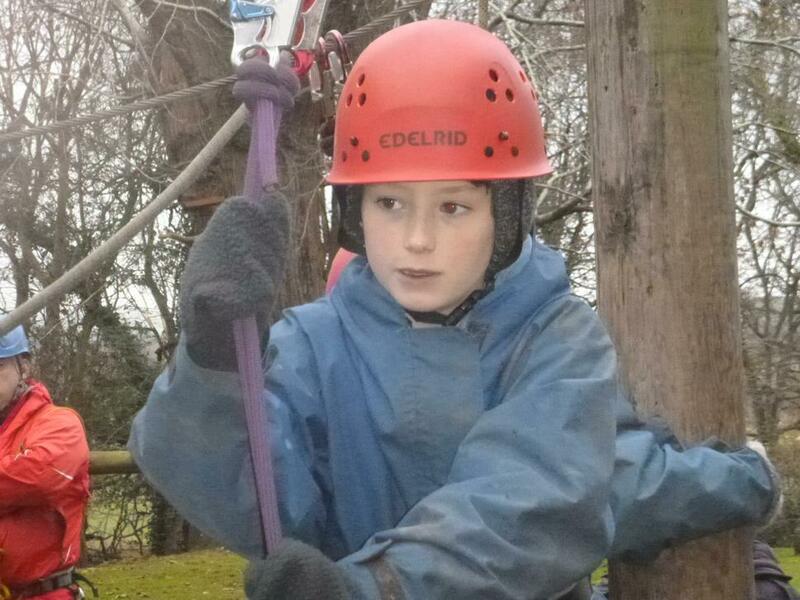 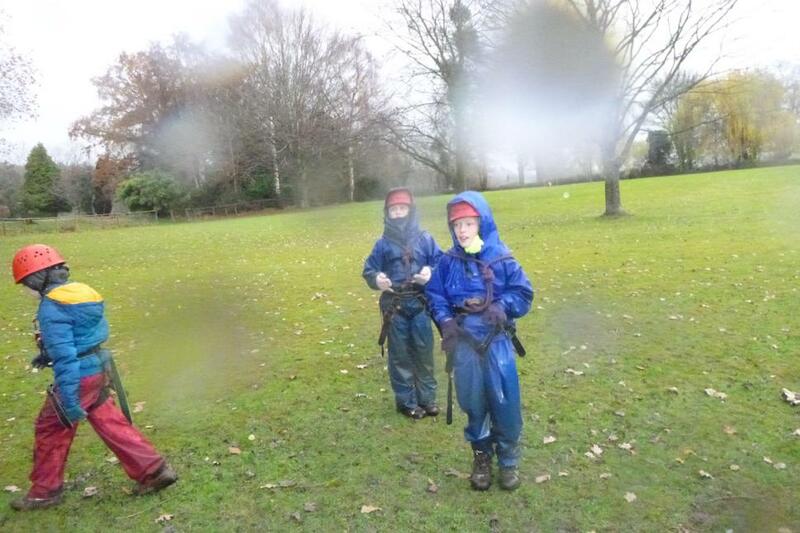 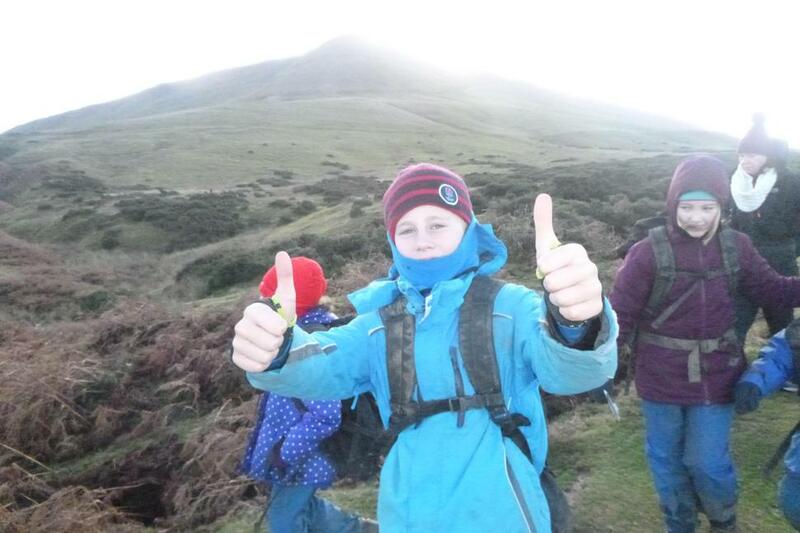 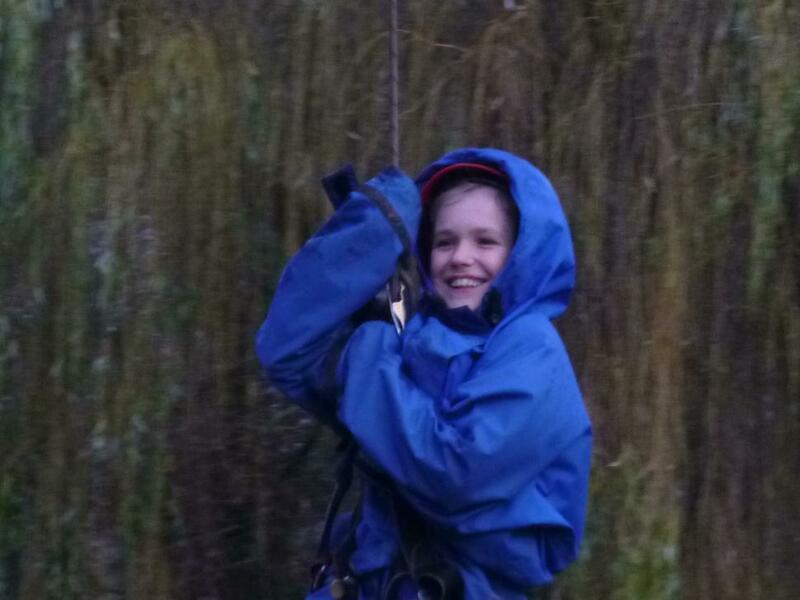 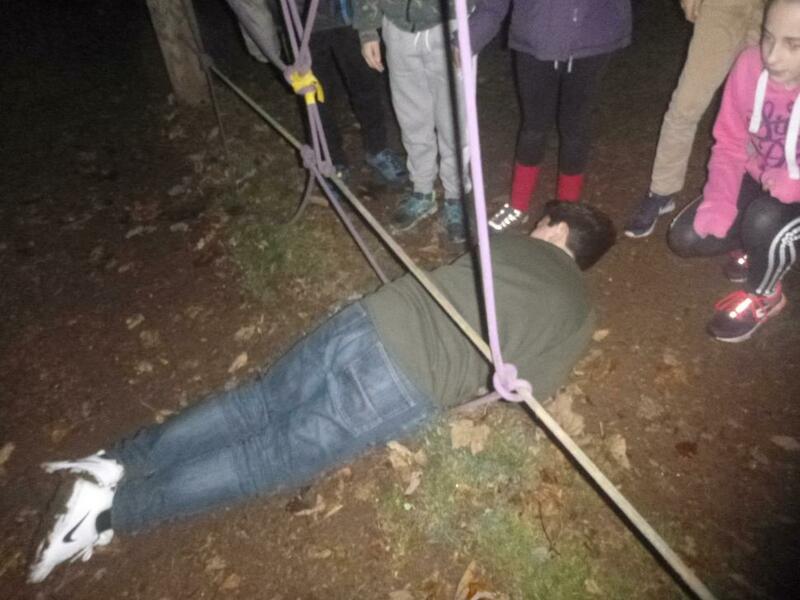 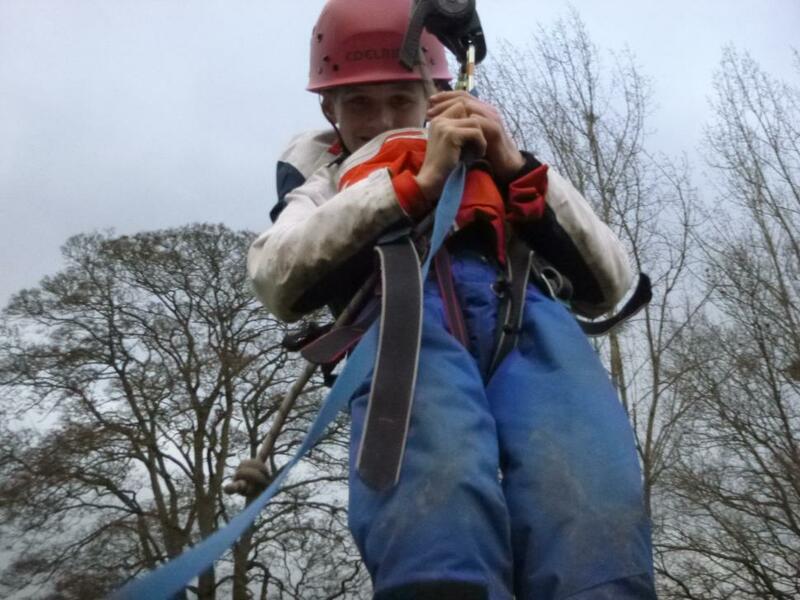 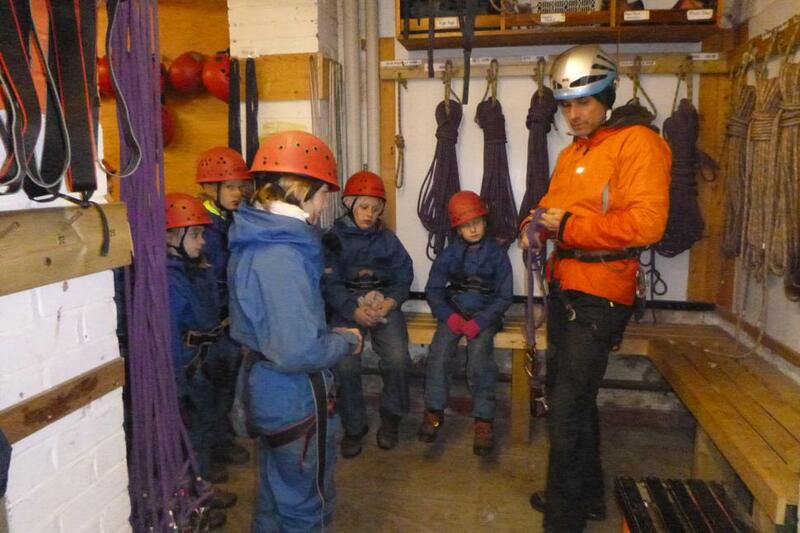 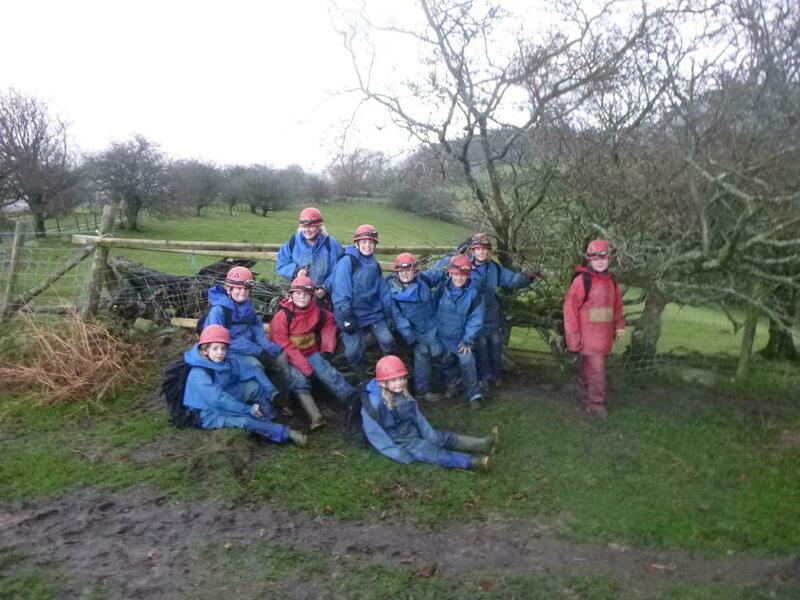 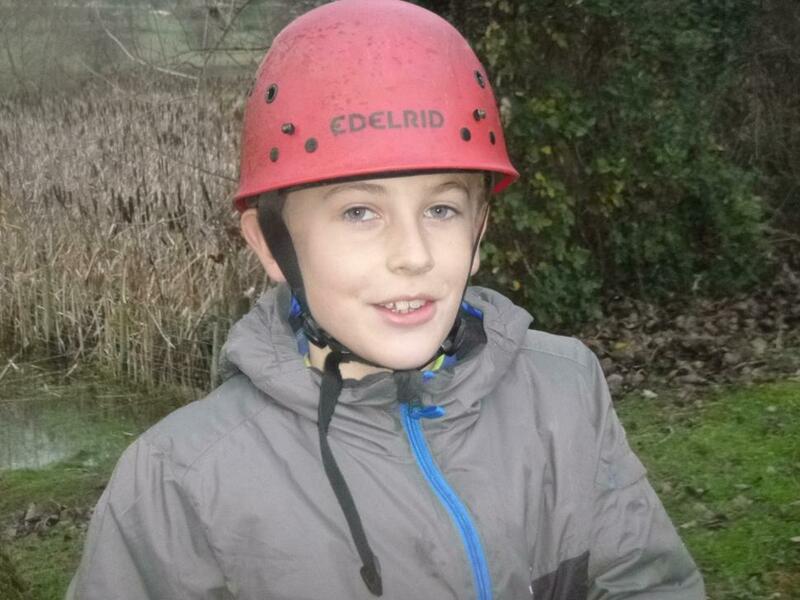 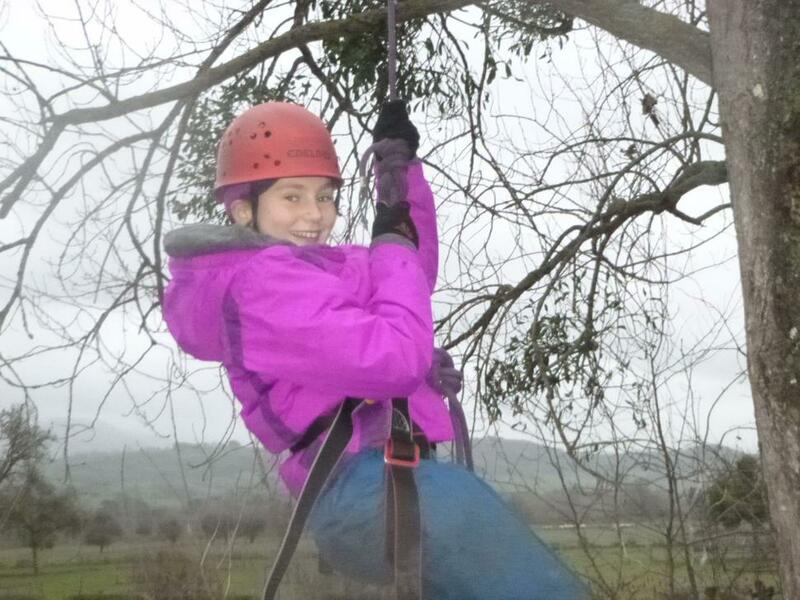 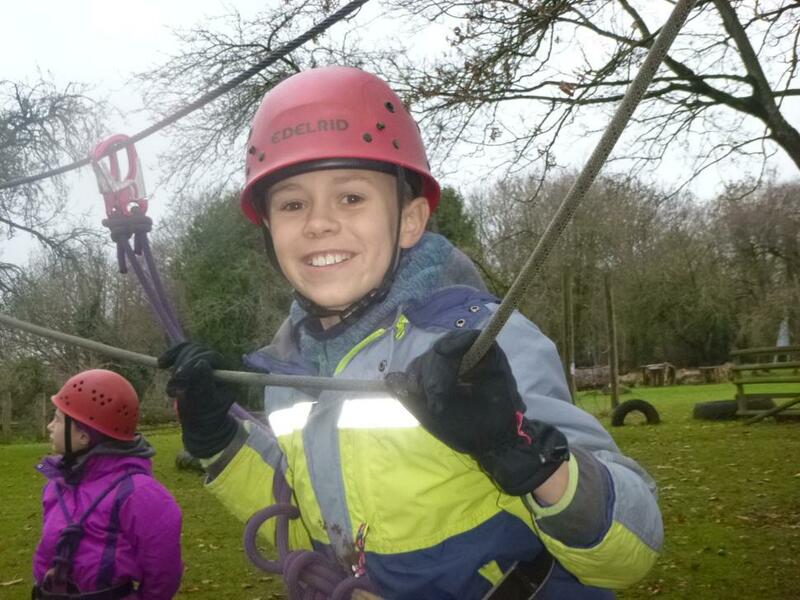 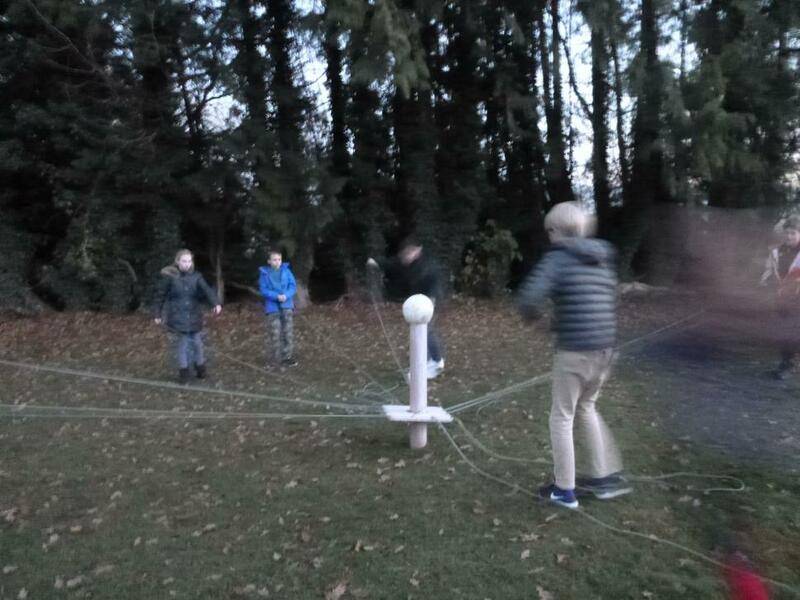 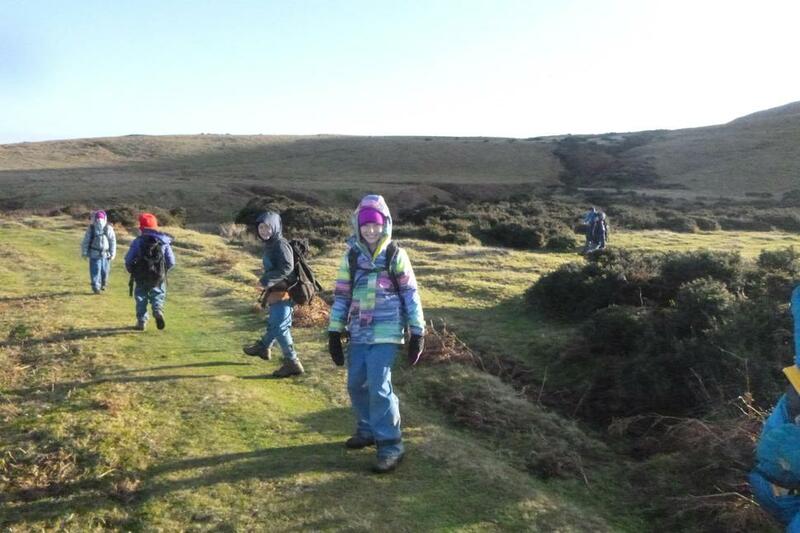 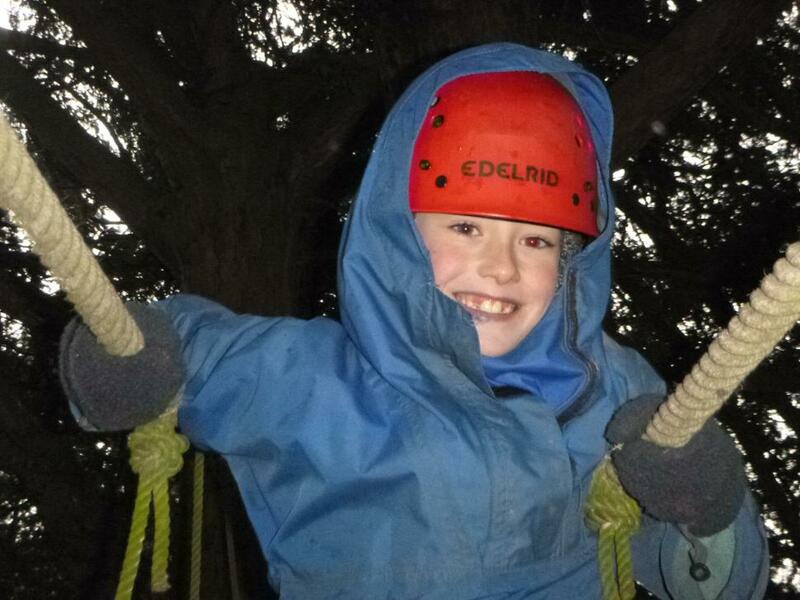 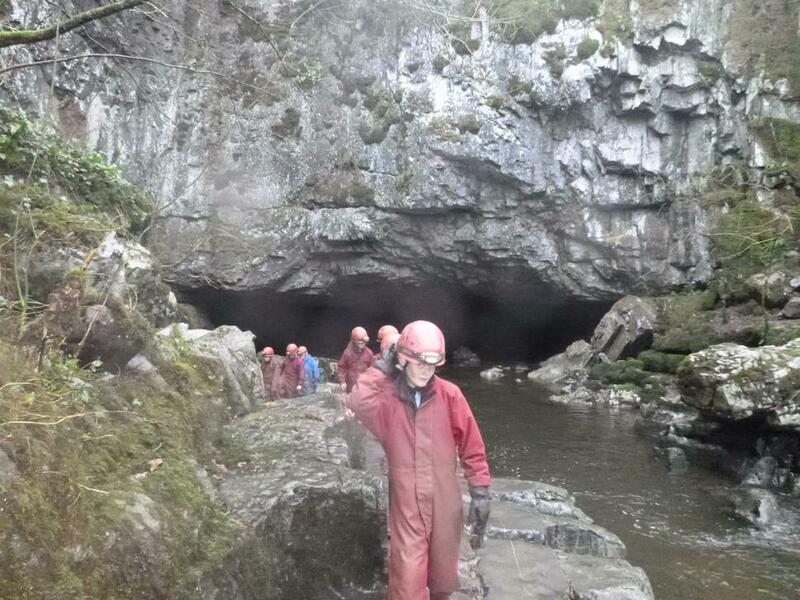 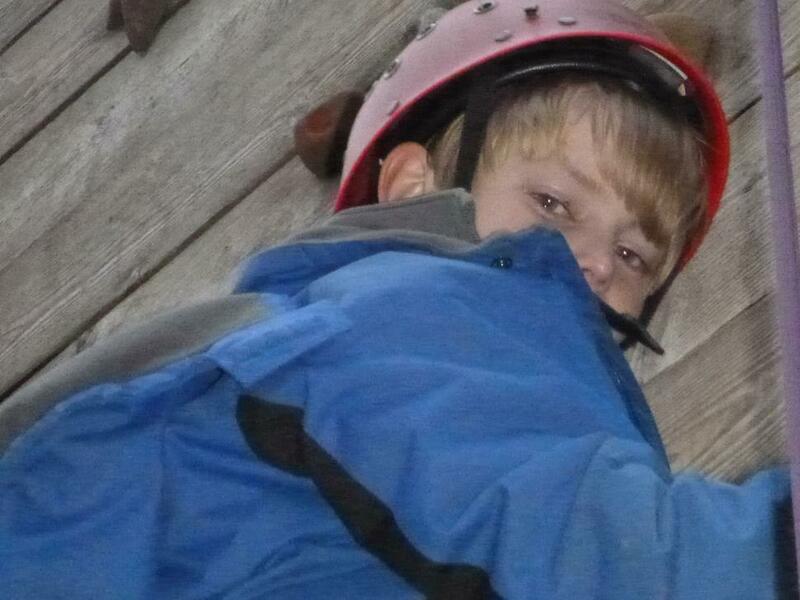 Tomorrow, 2 groups are staying on site and doing the high ropes whilst Mrs Brady's group will be caving.